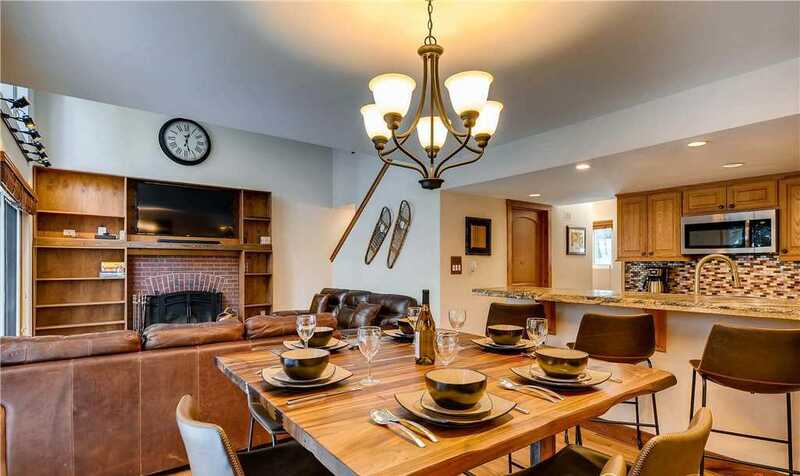 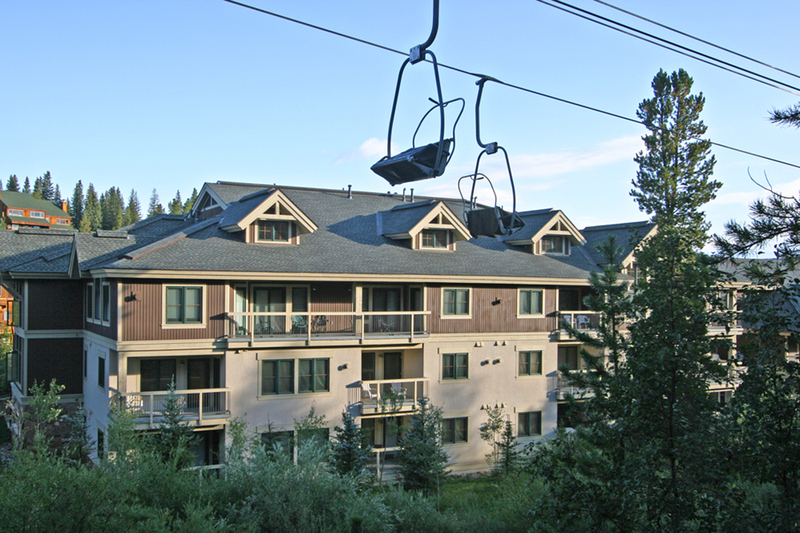 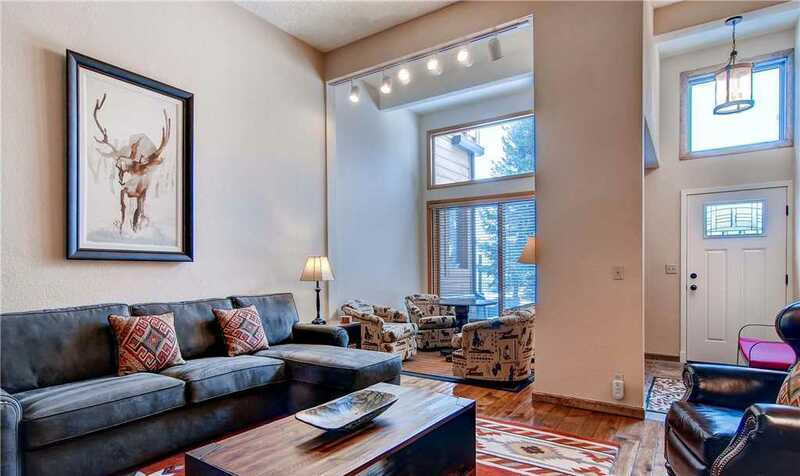 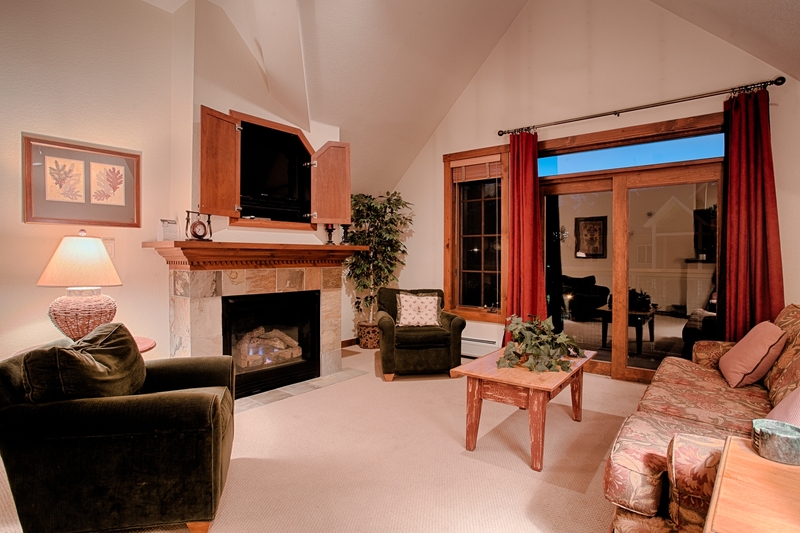 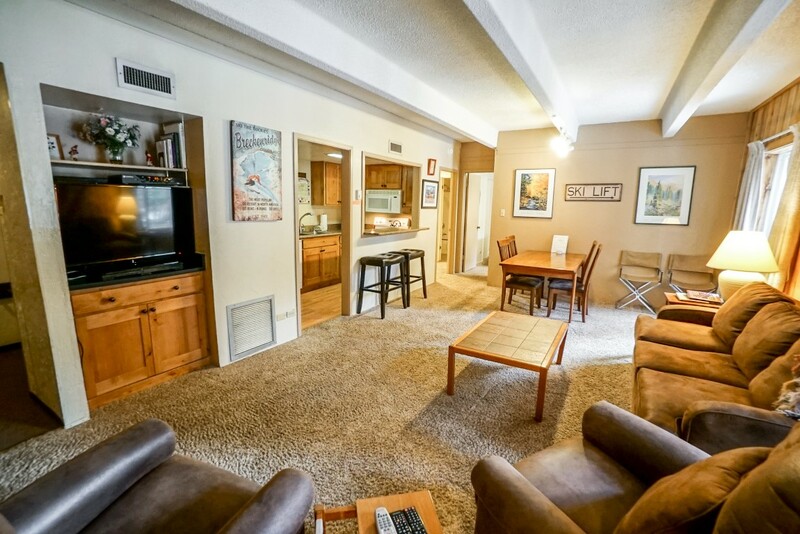 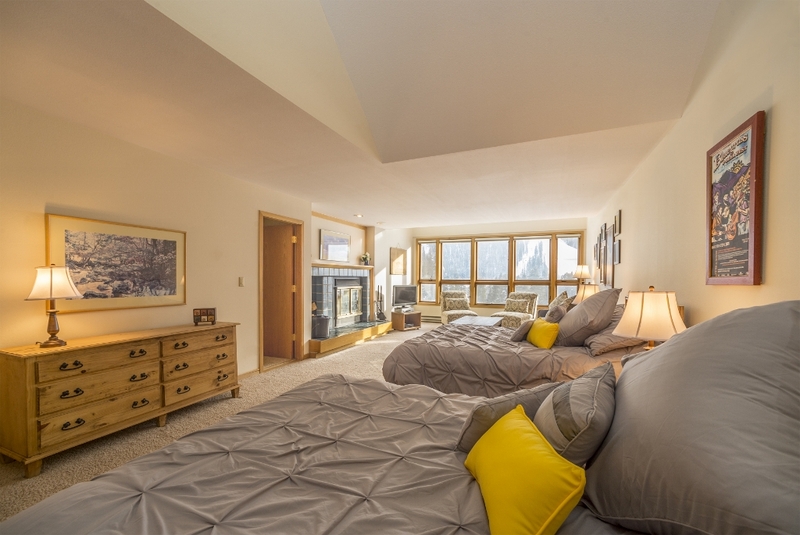 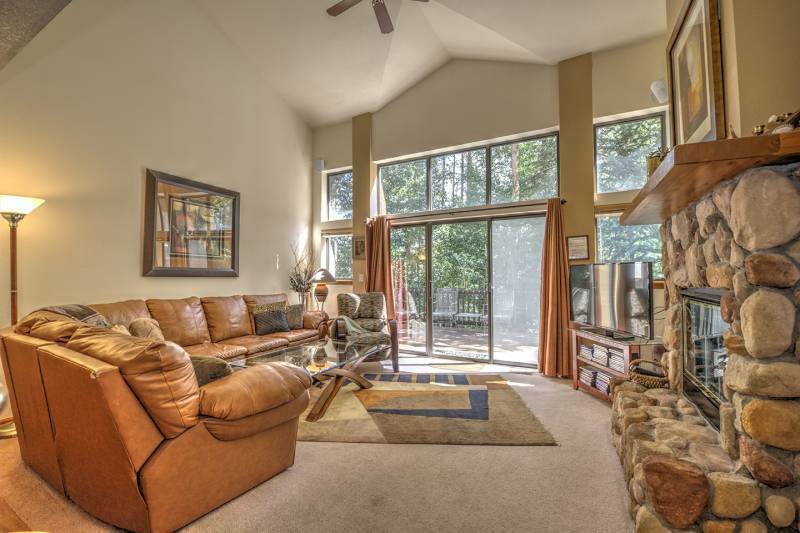 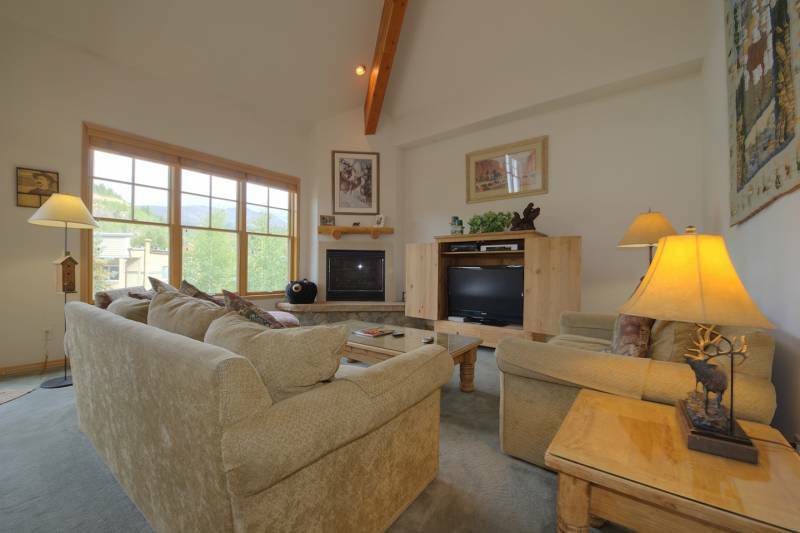 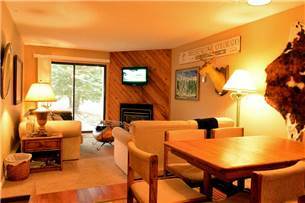 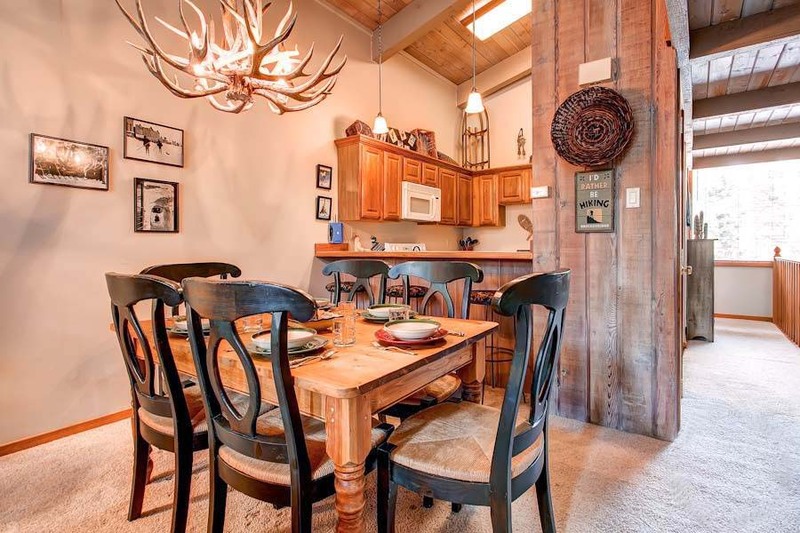 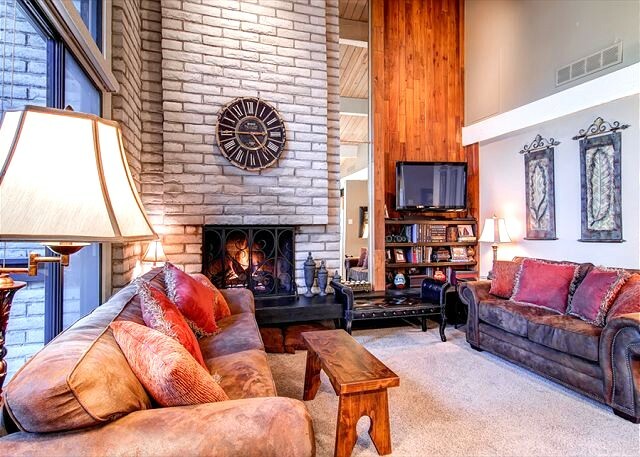 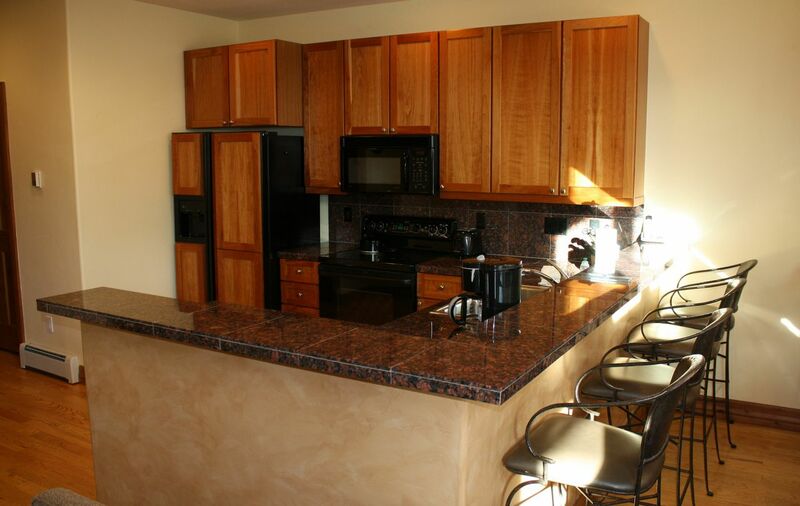 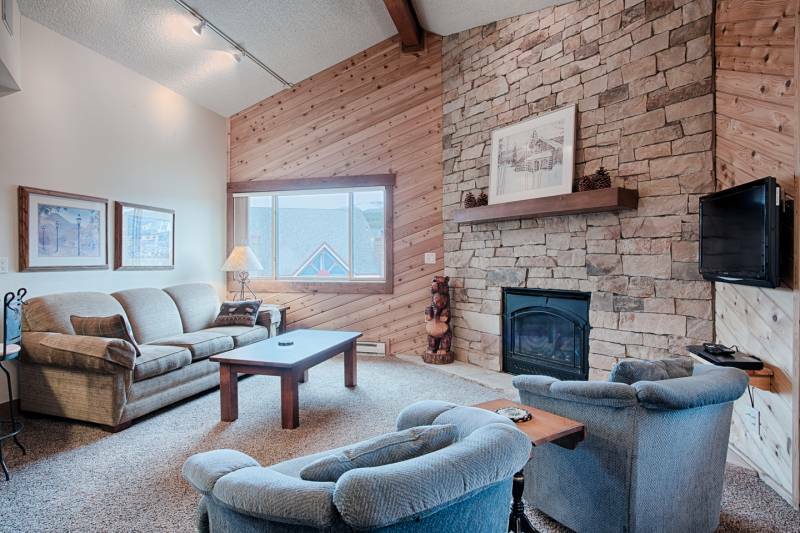 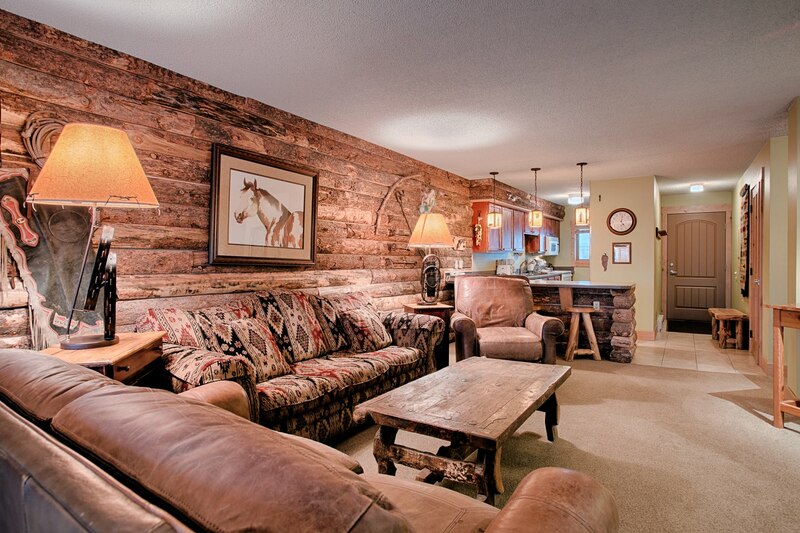 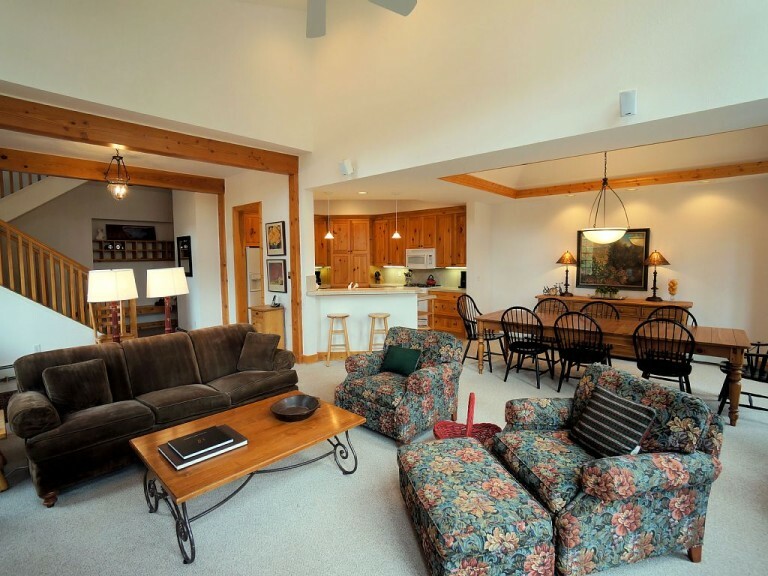 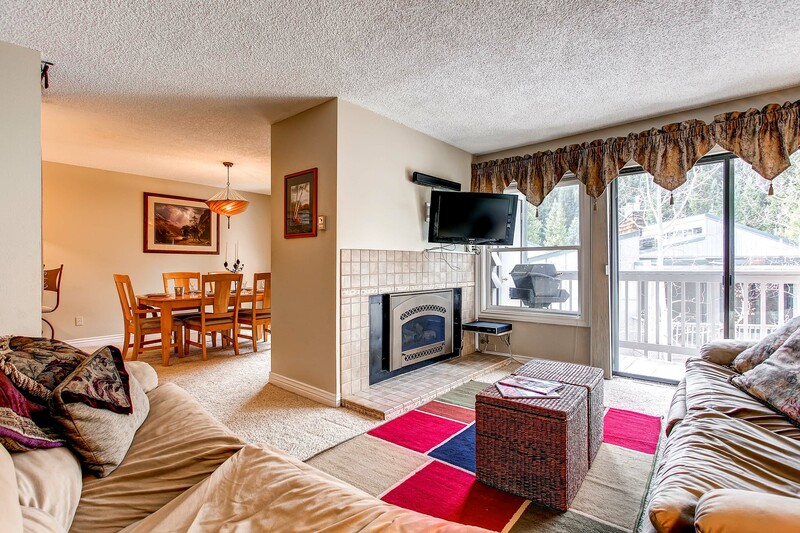 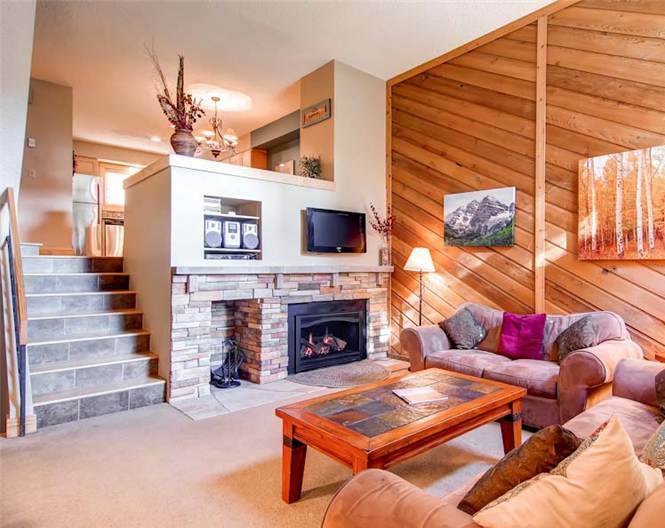 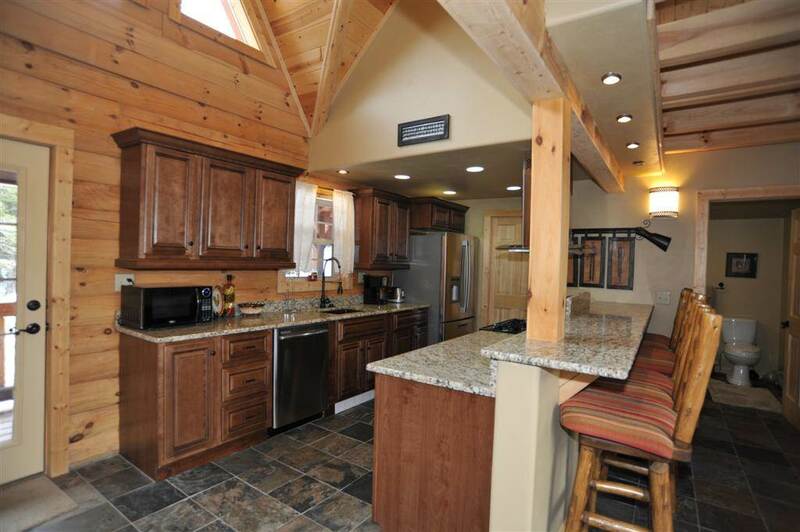 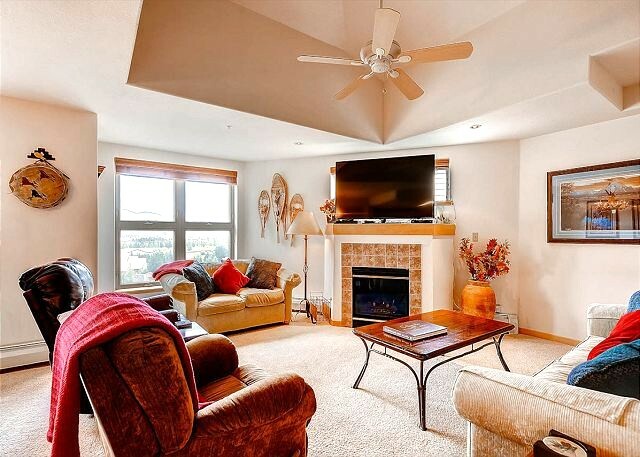 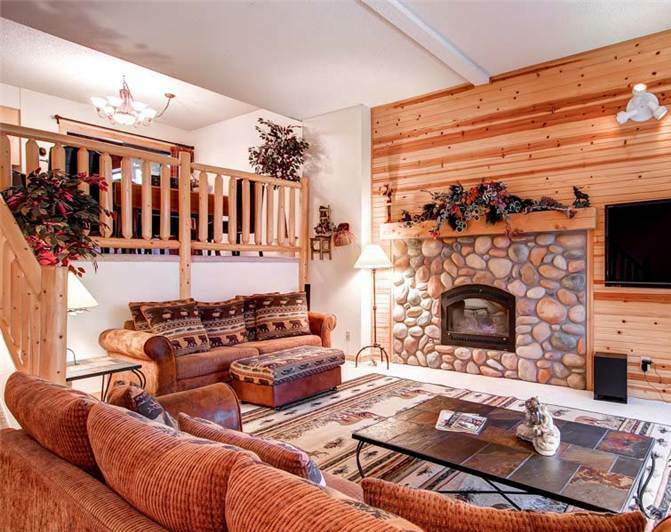 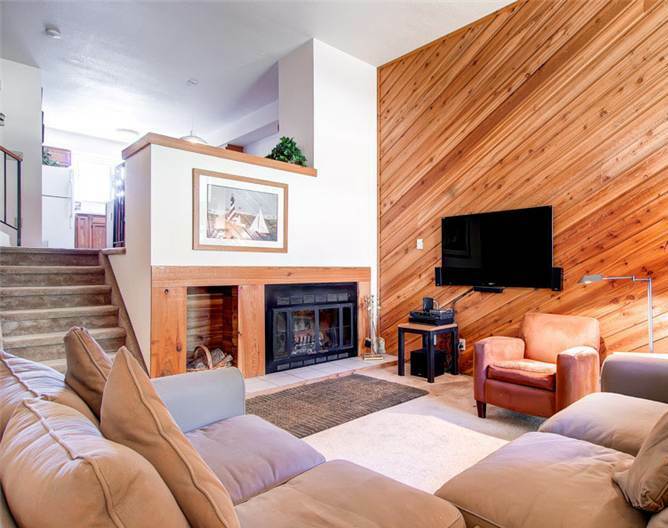 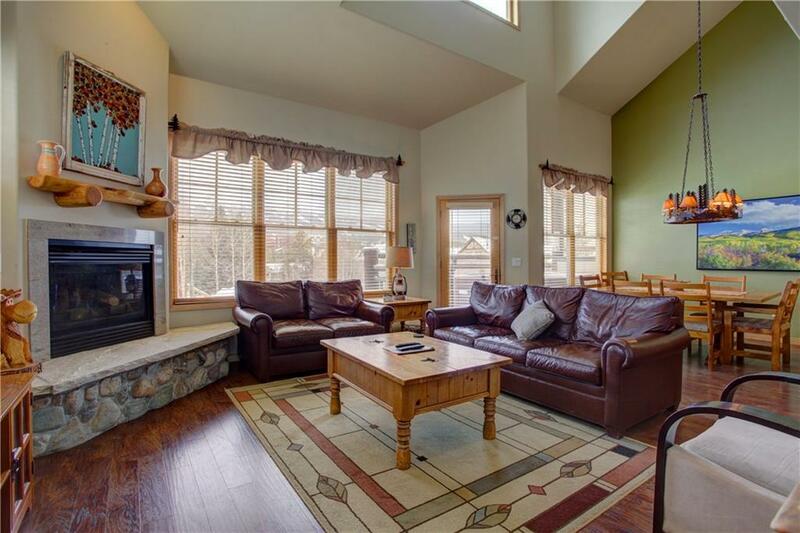 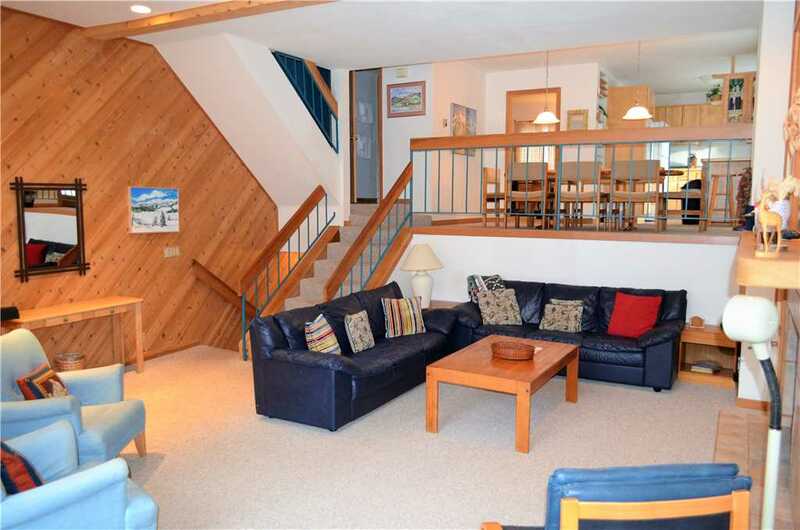 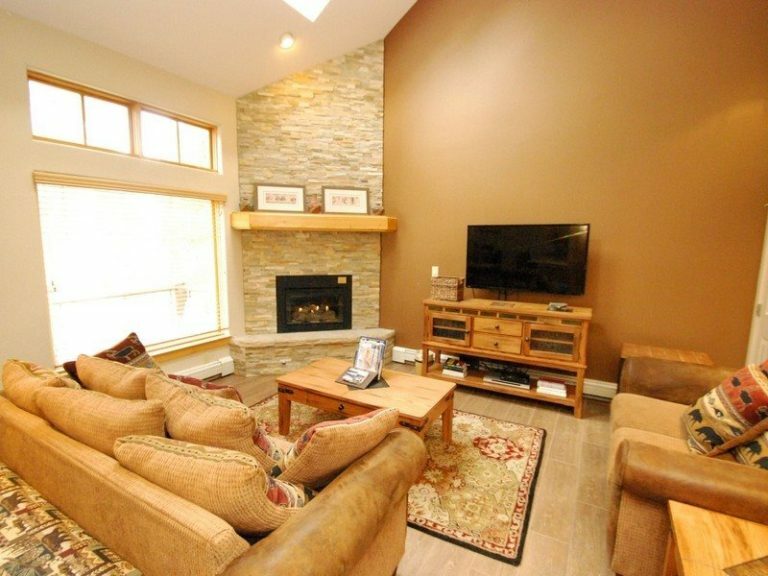 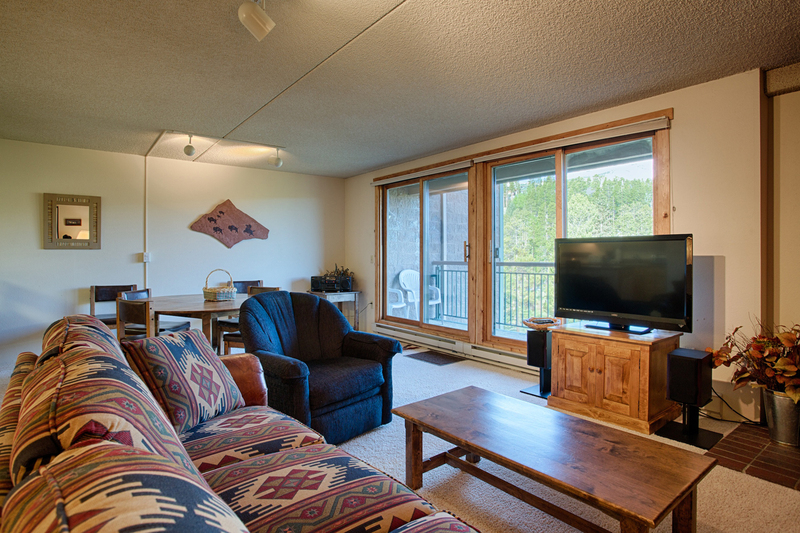 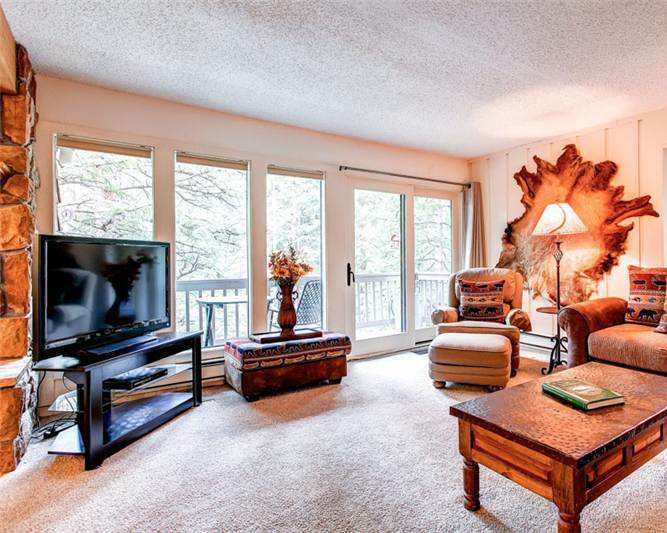 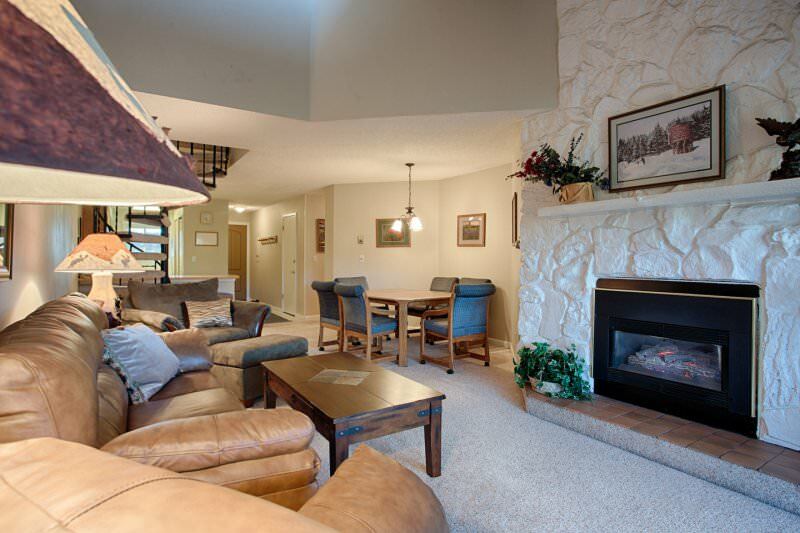 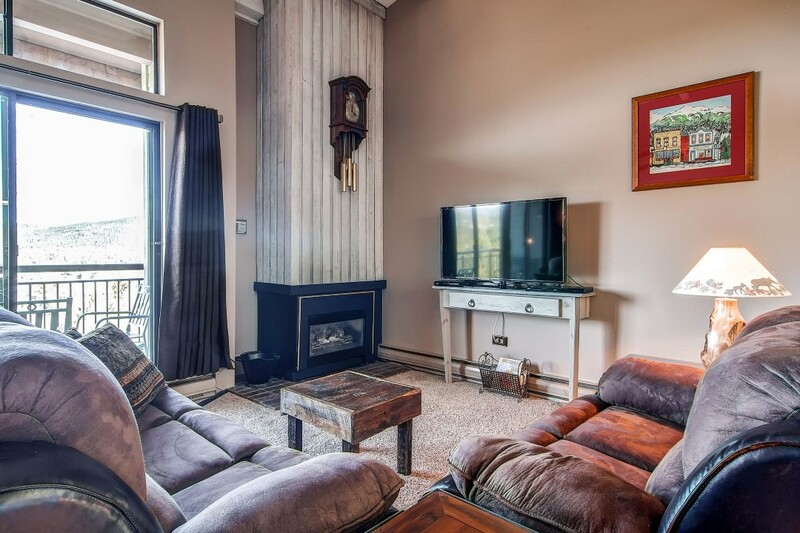 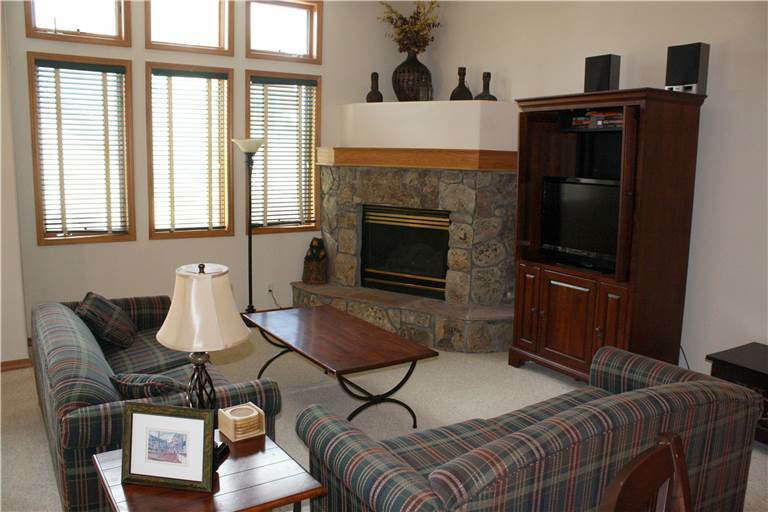 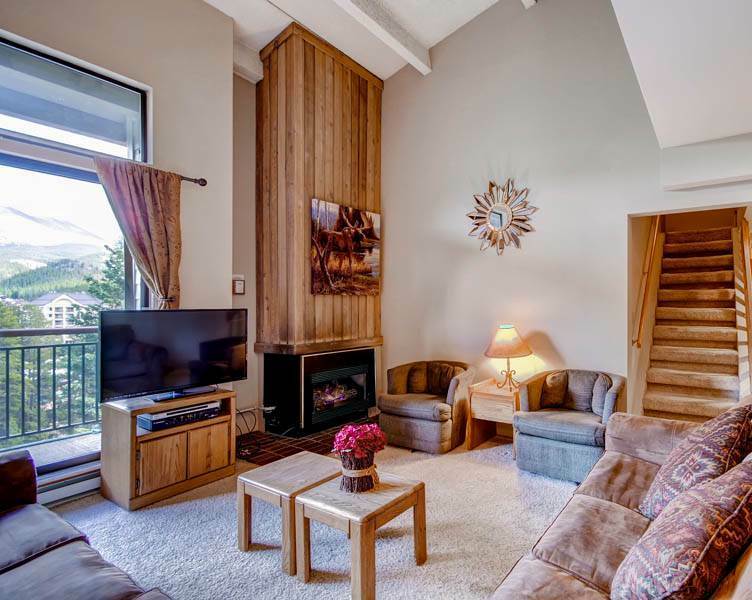 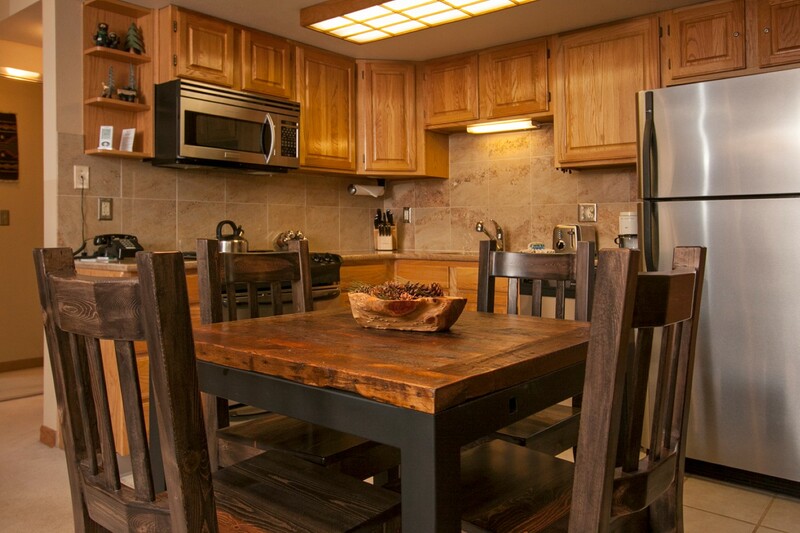 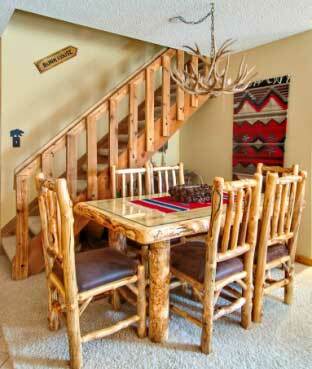 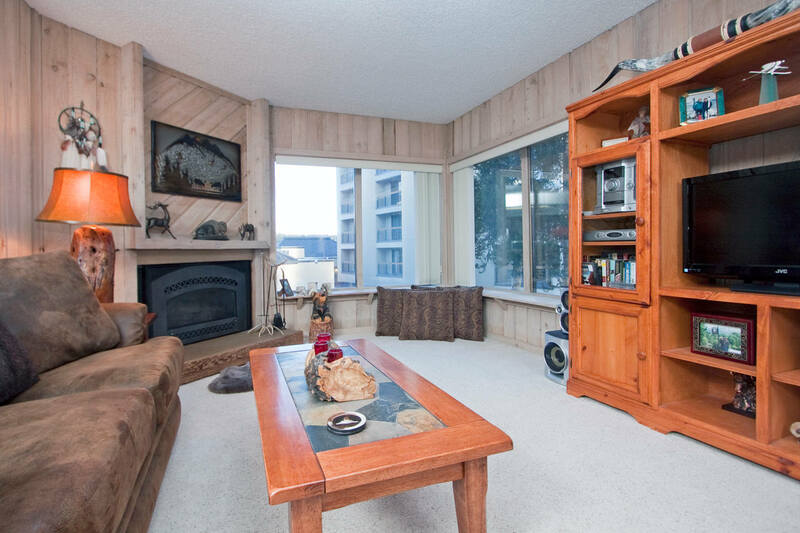 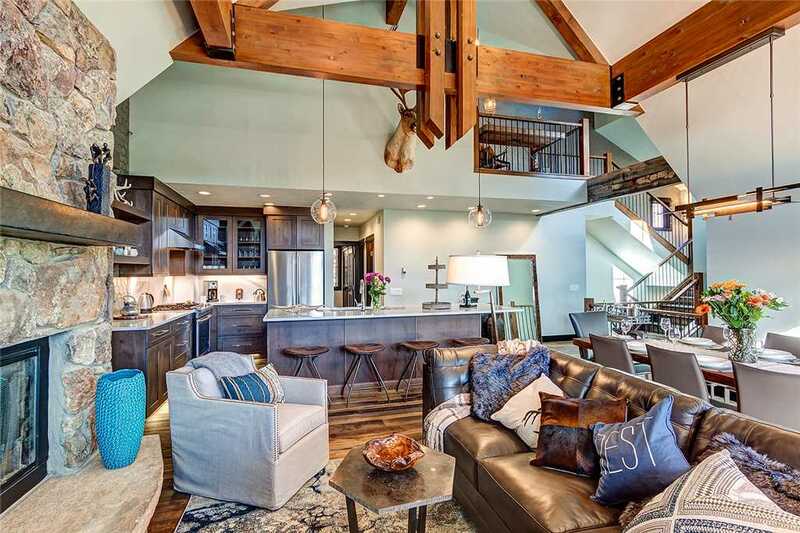 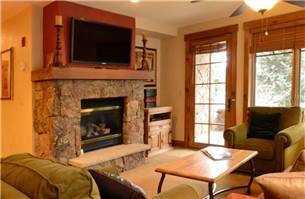 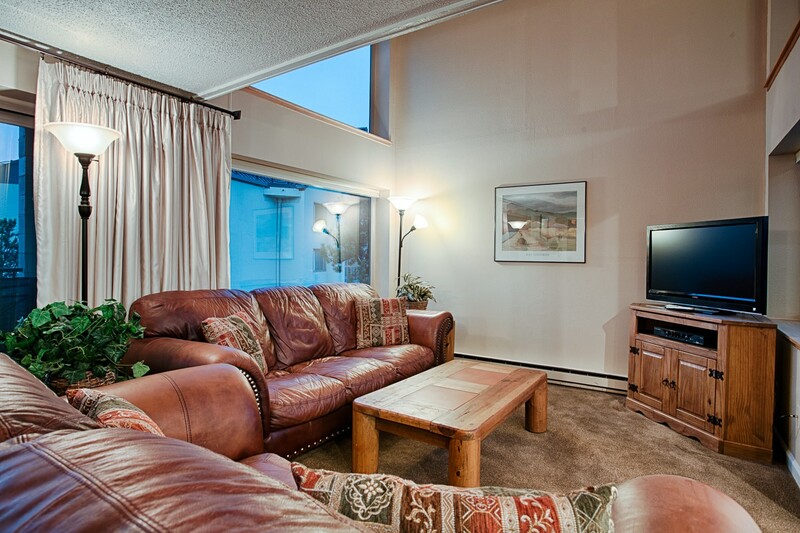 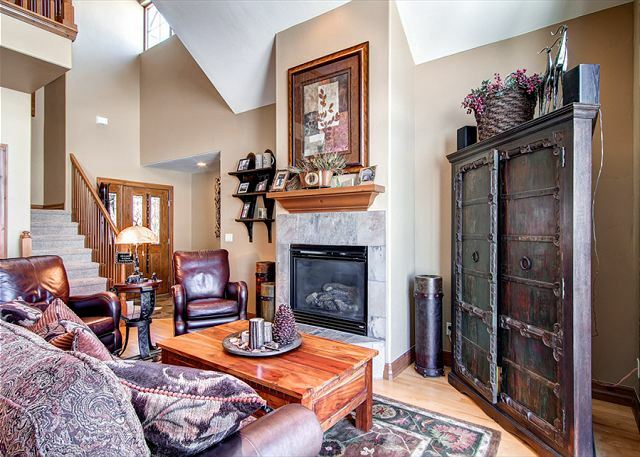 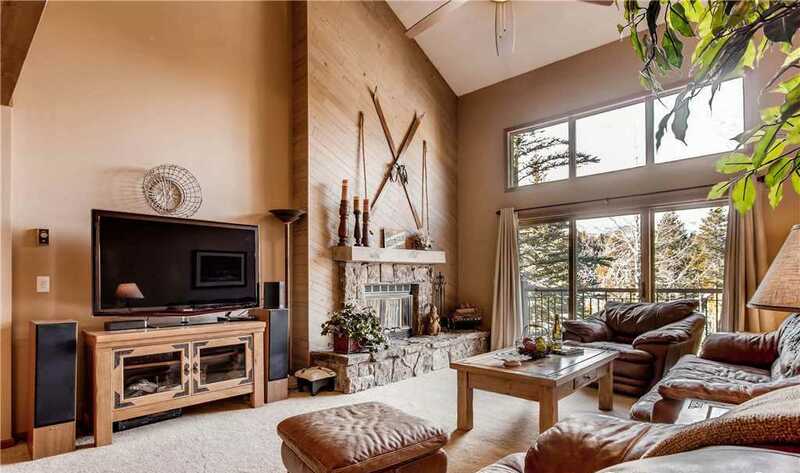 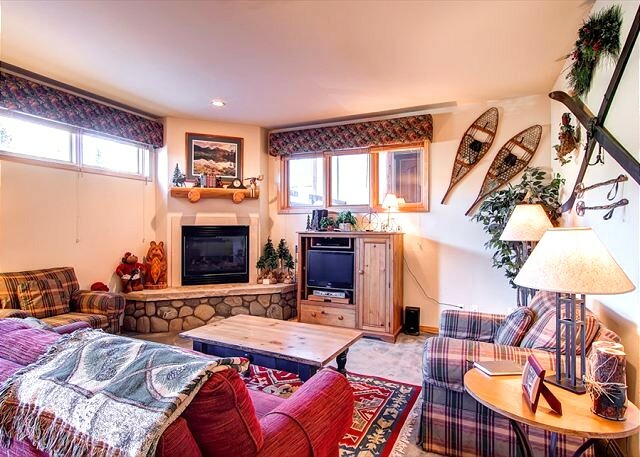 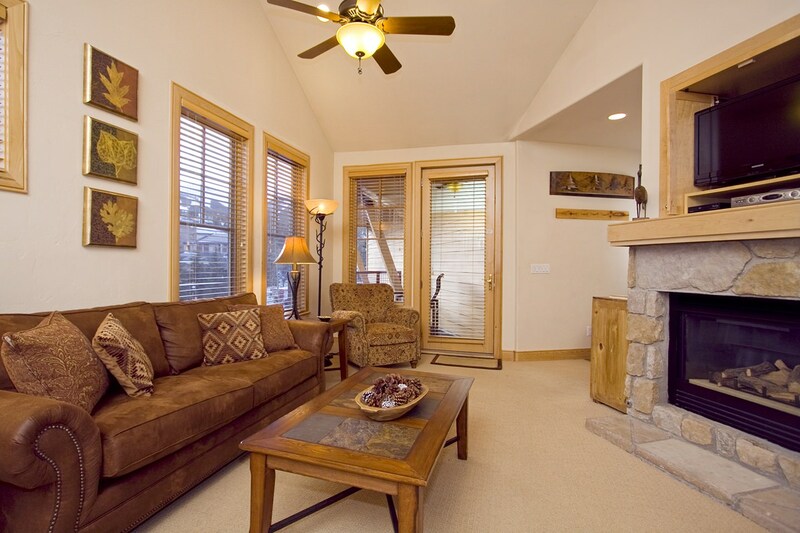 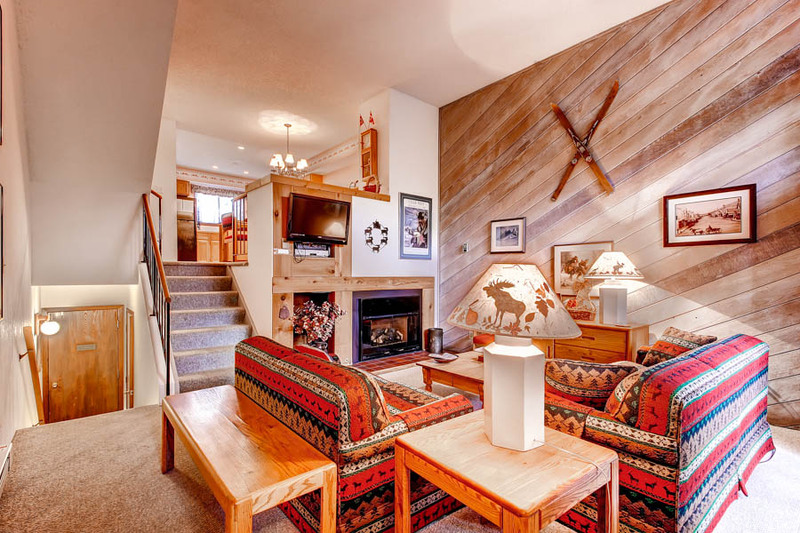 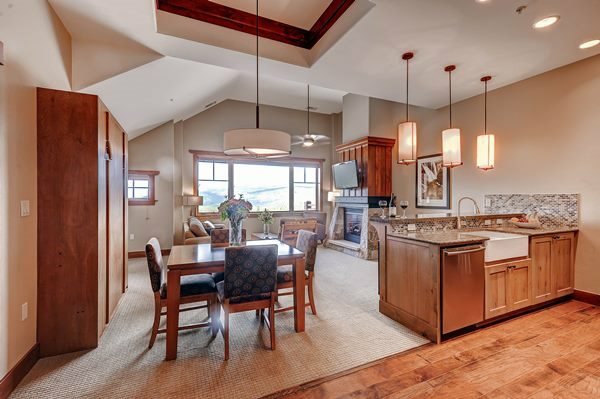 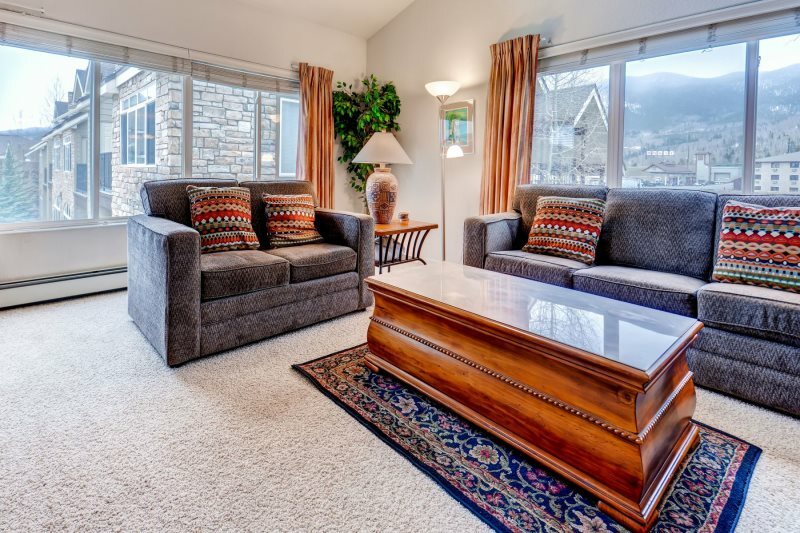 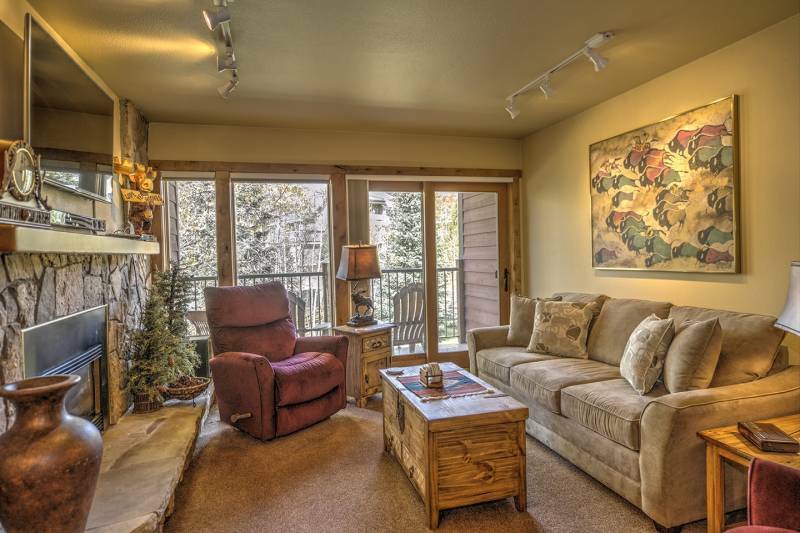 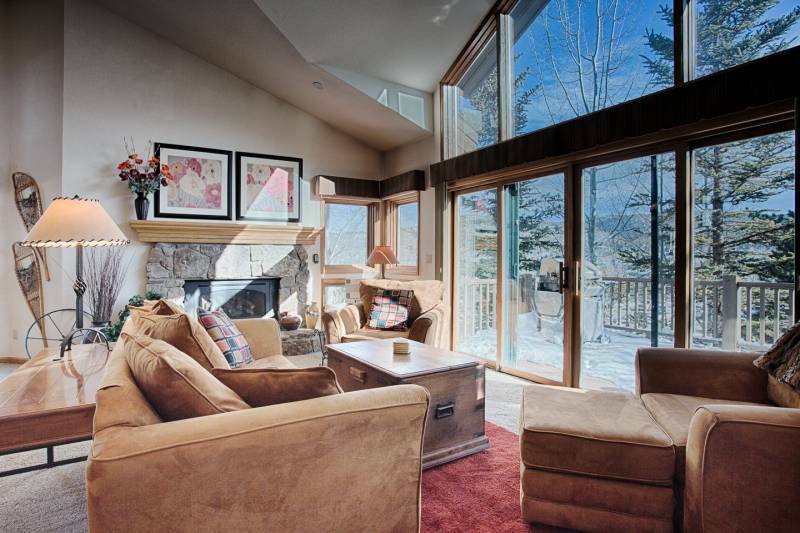 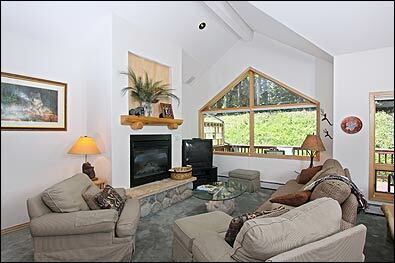 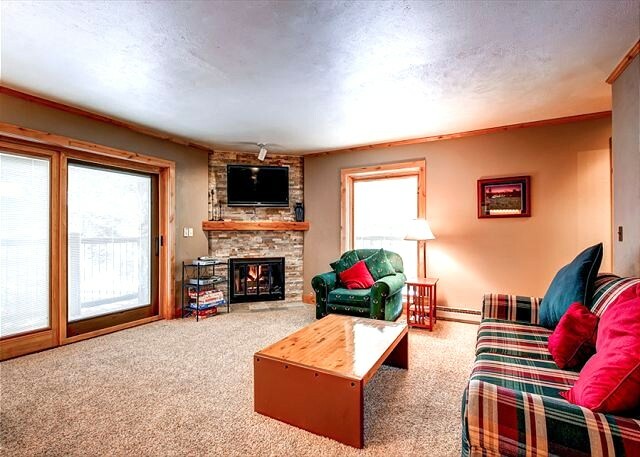 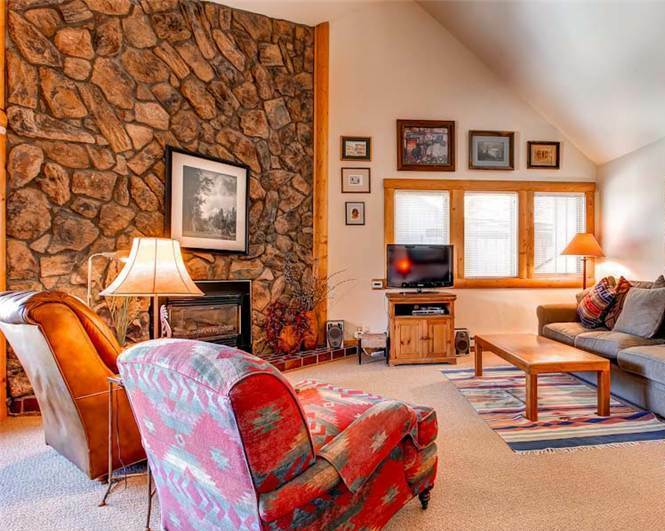 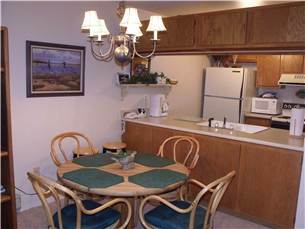 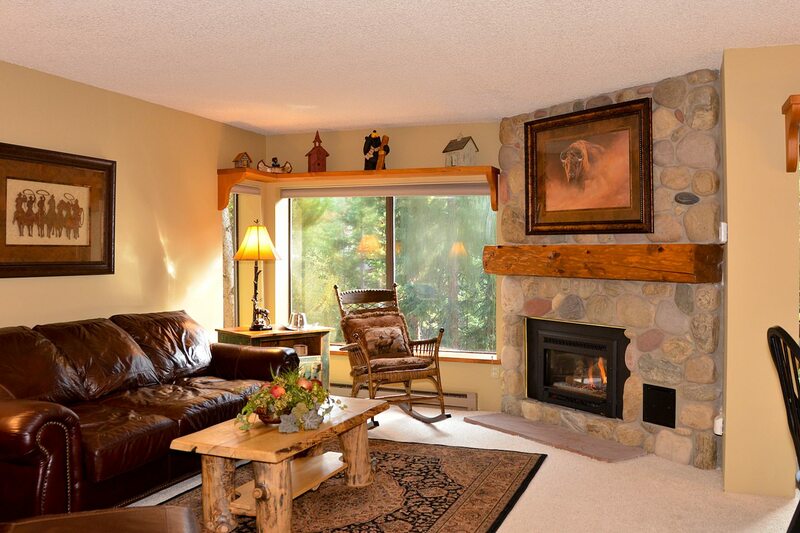 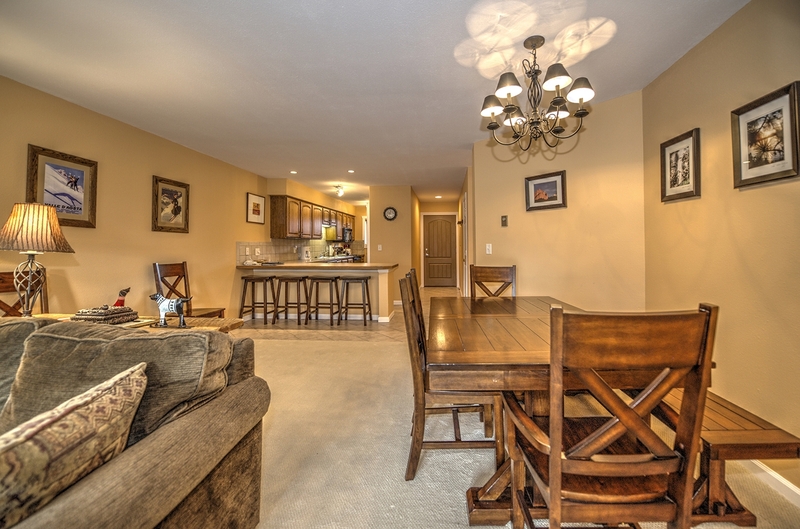 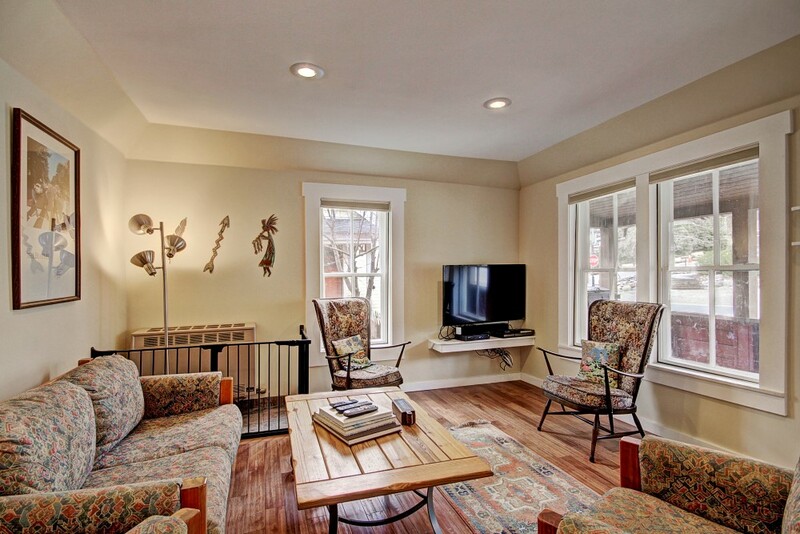 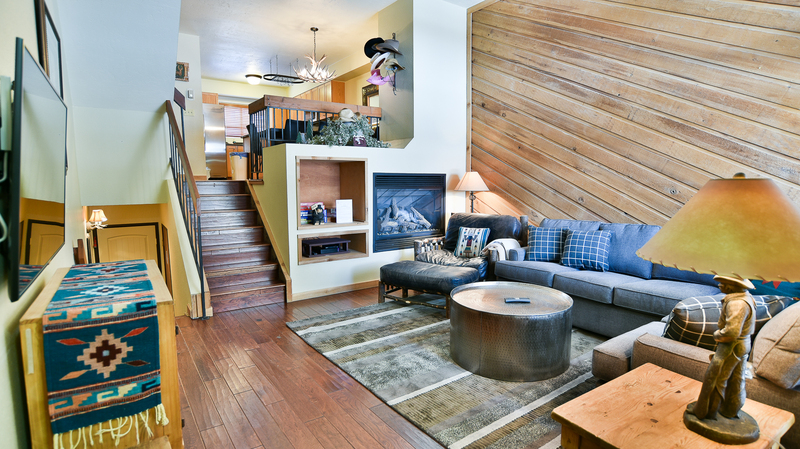 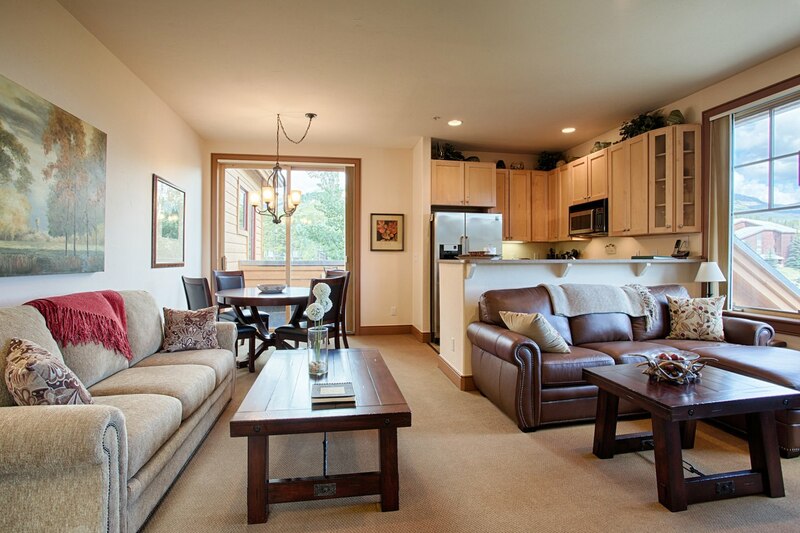 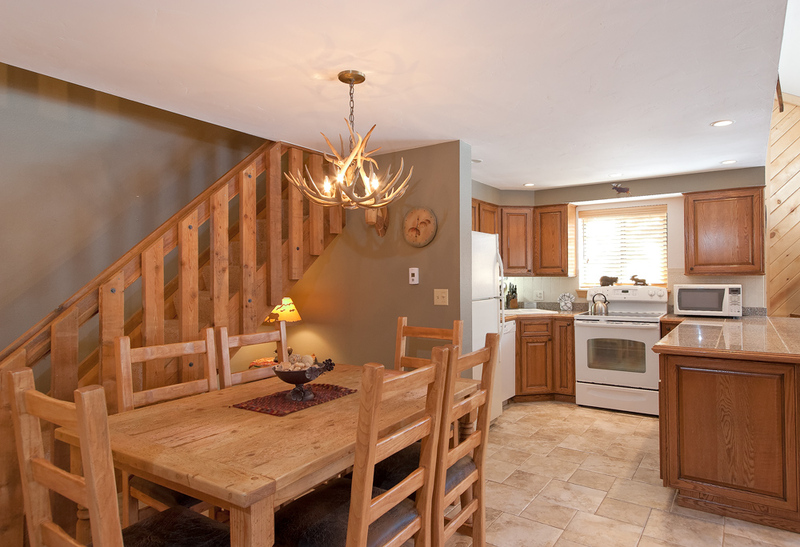 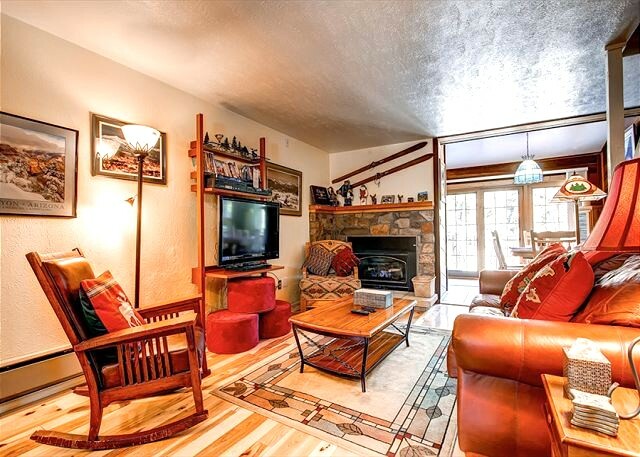 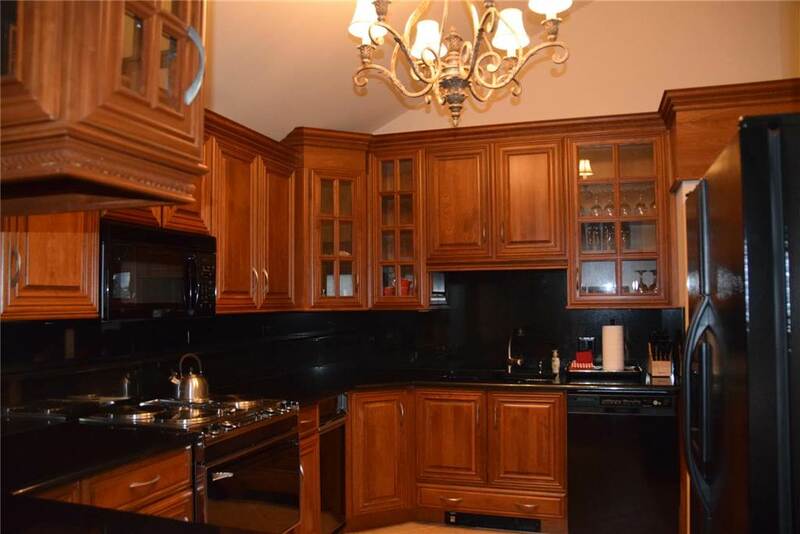 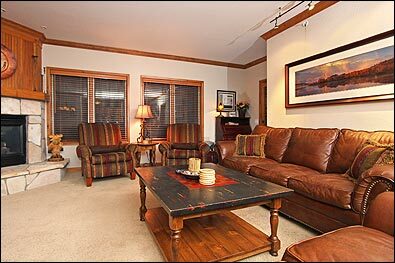 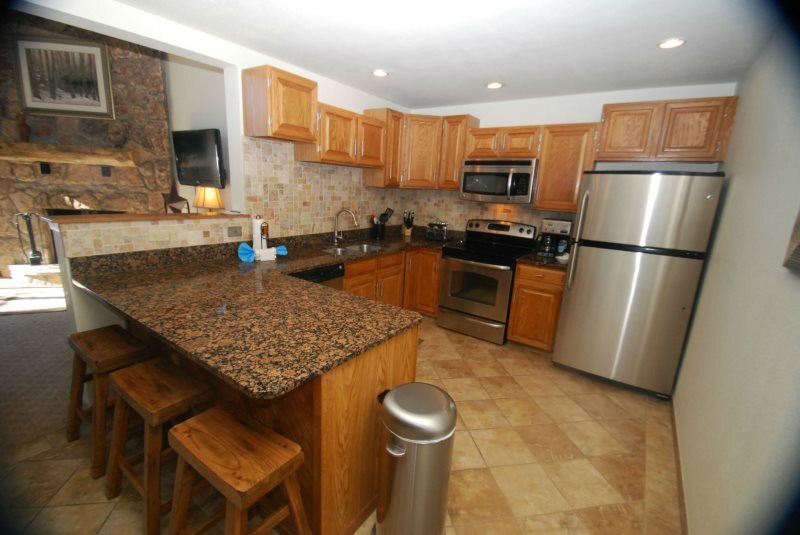 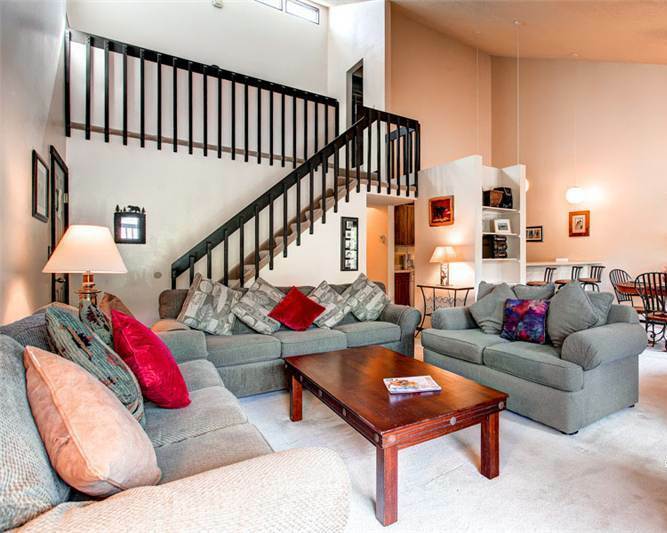 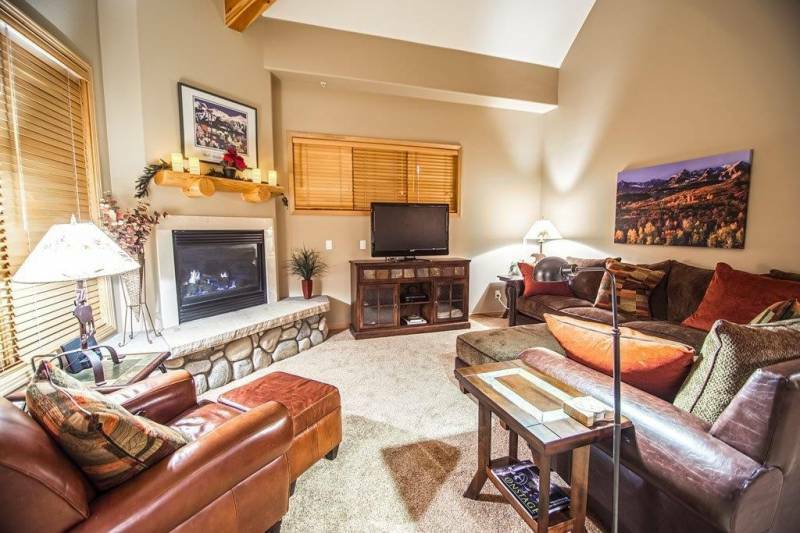 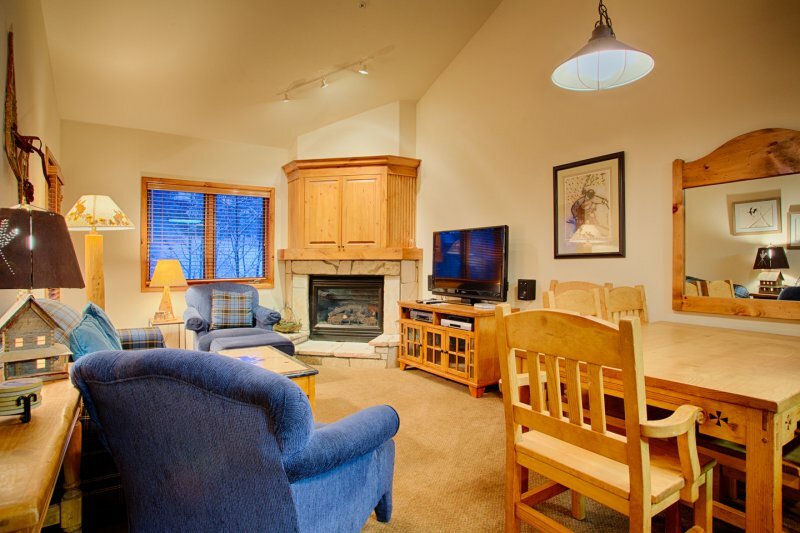 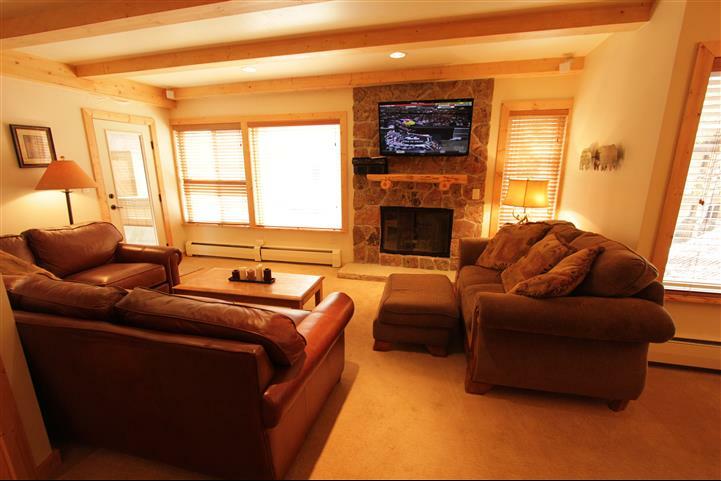 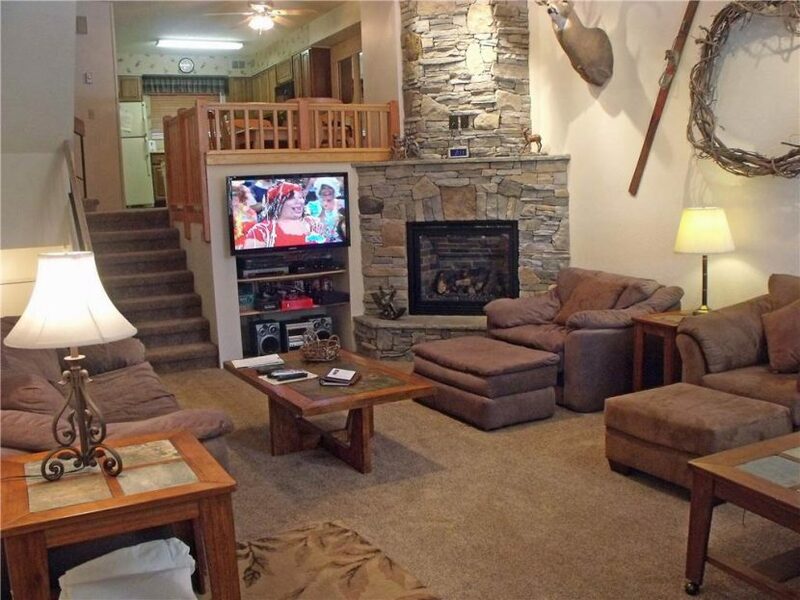 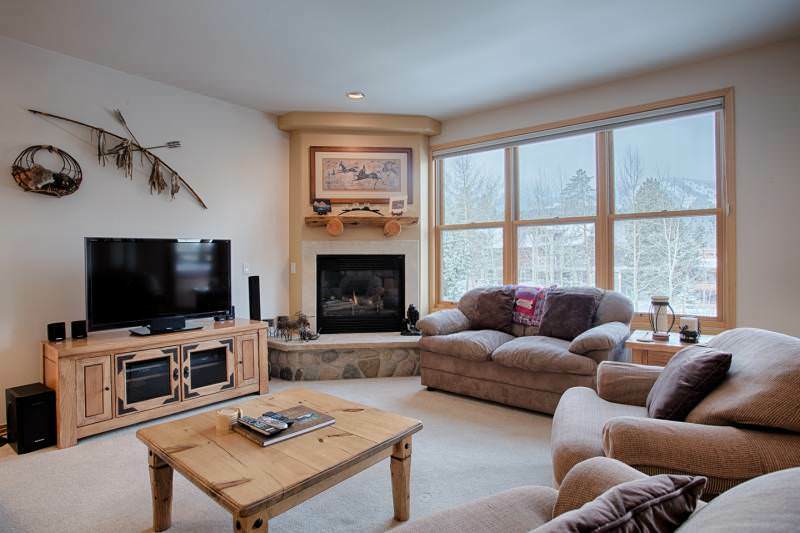 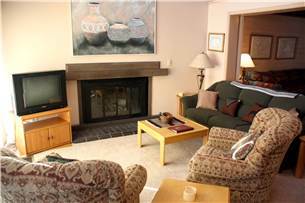 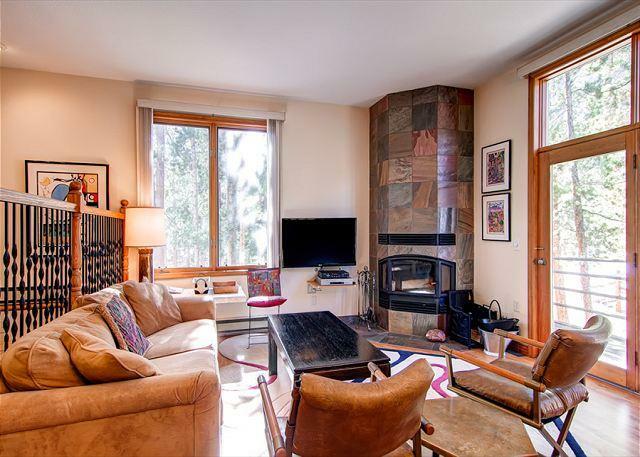 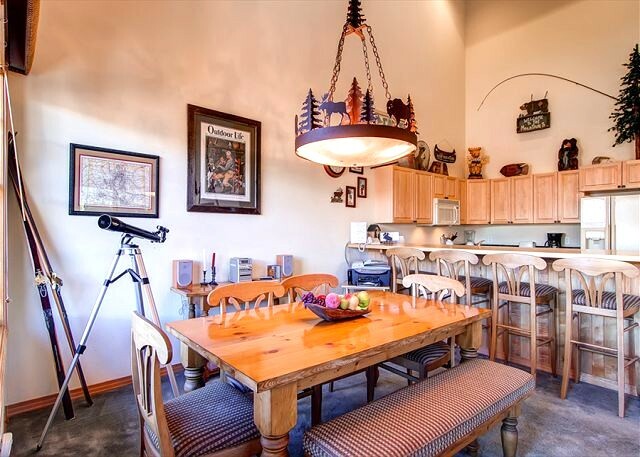 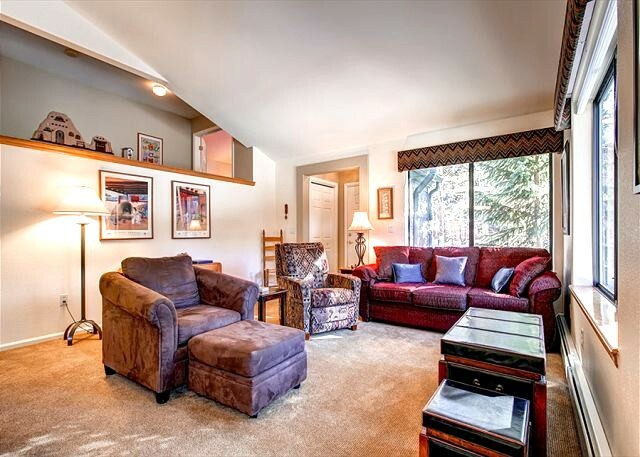 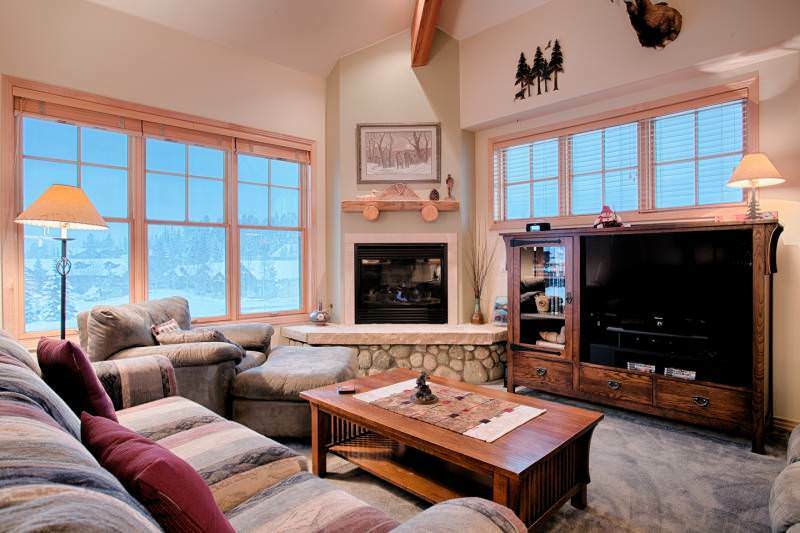 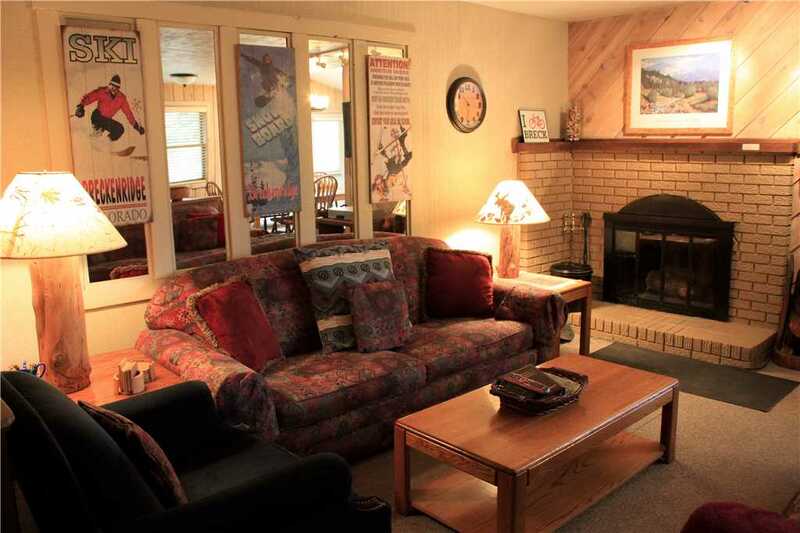 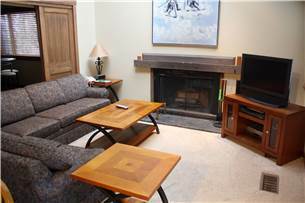 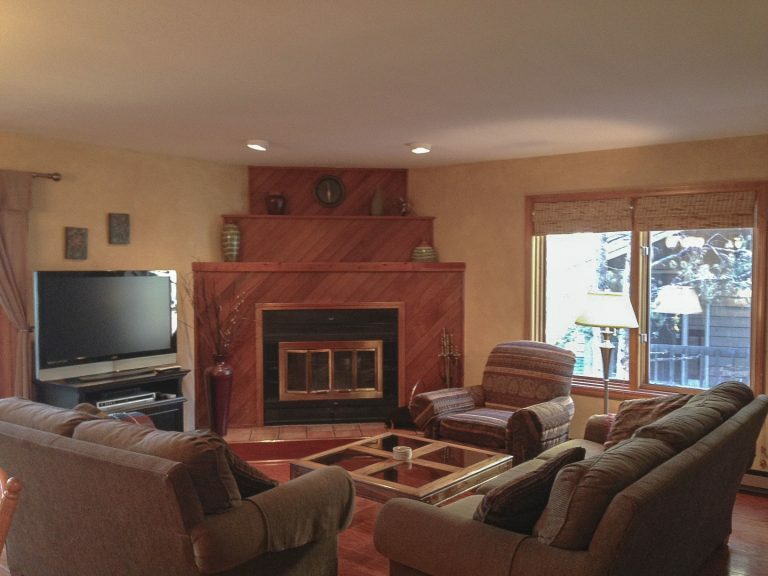 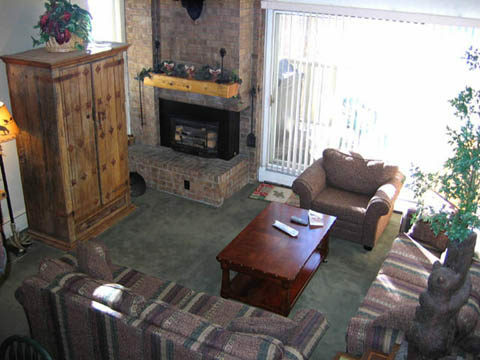 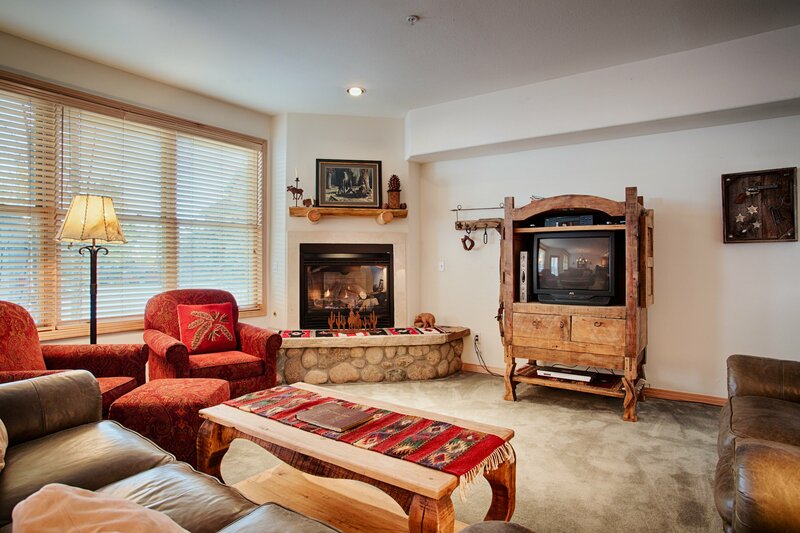 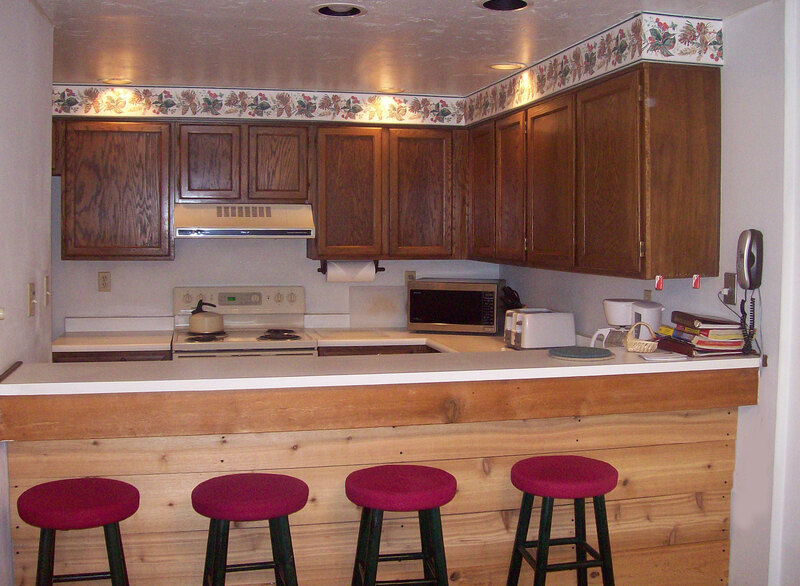 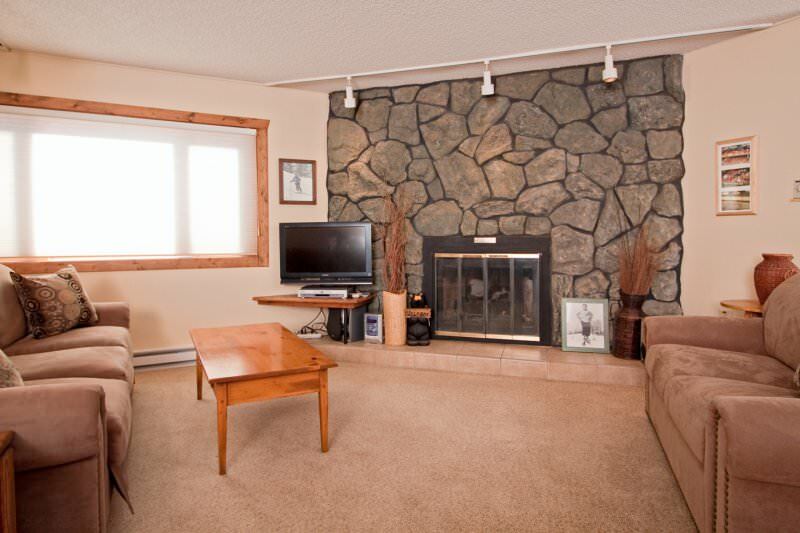 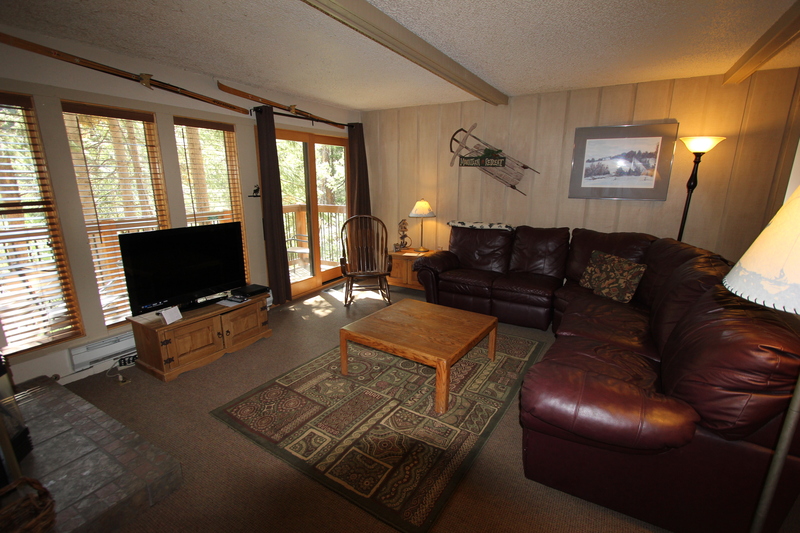 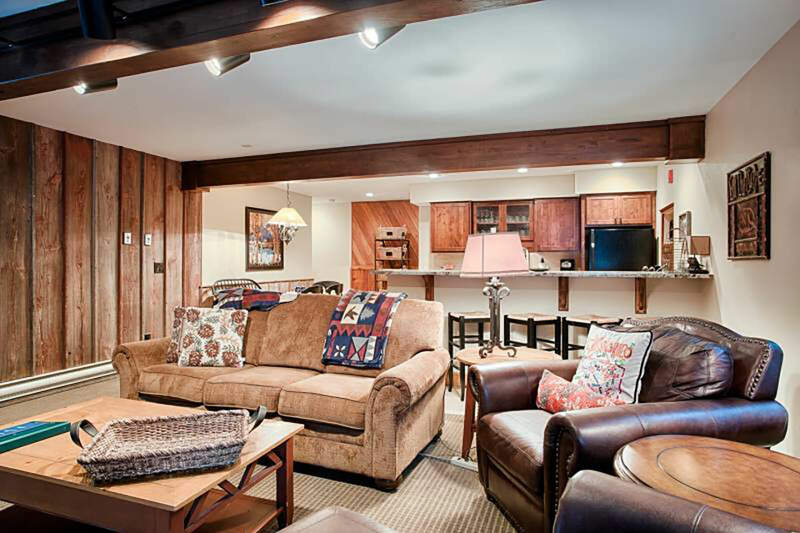 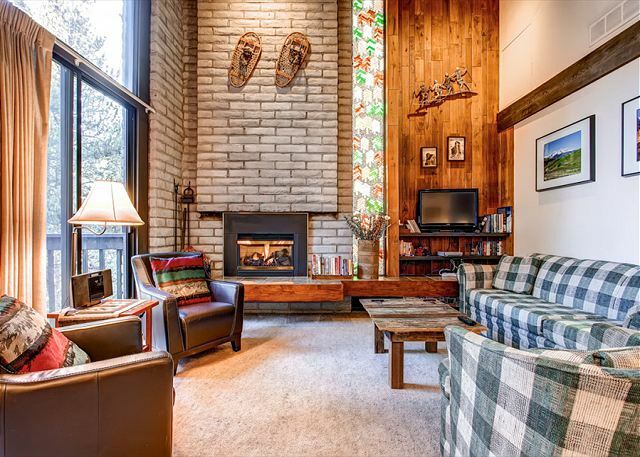 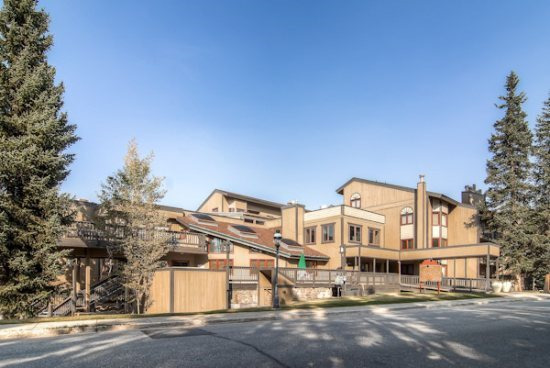 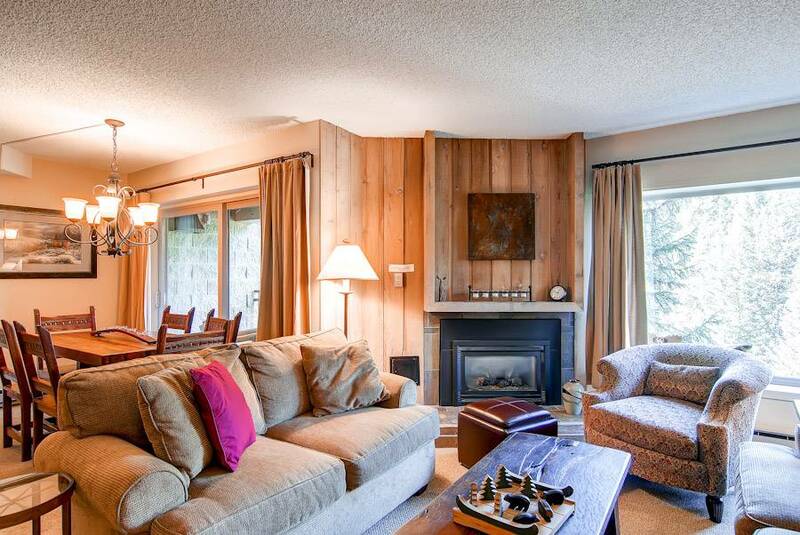 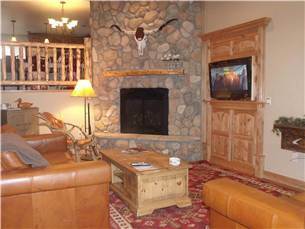 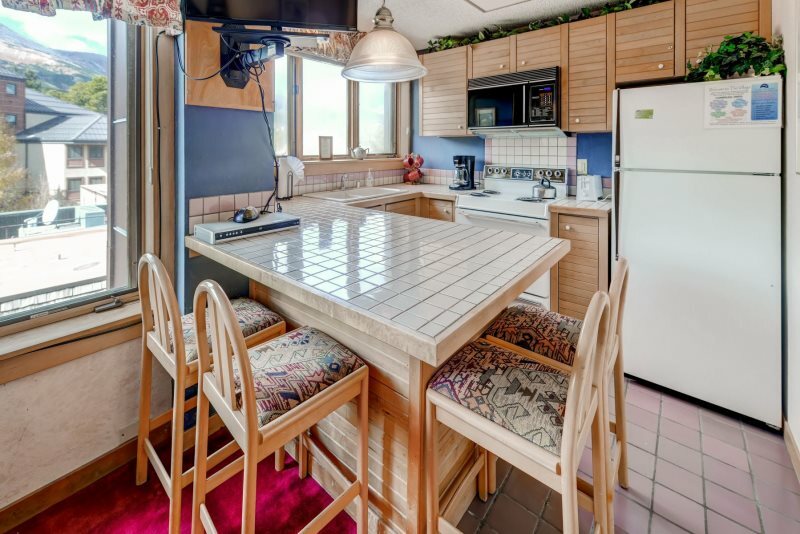 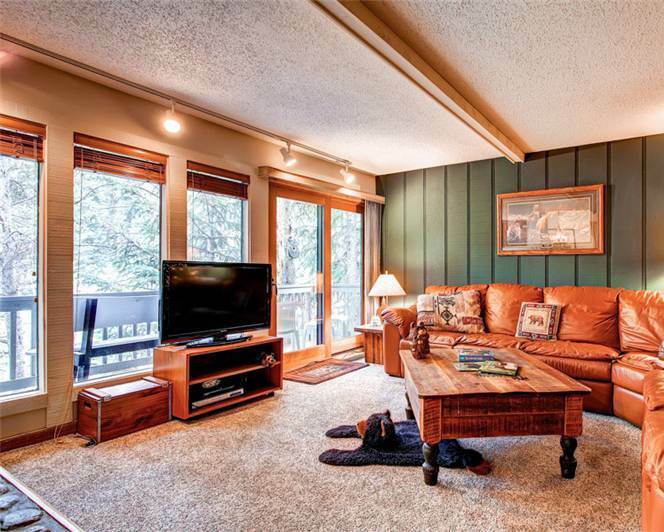 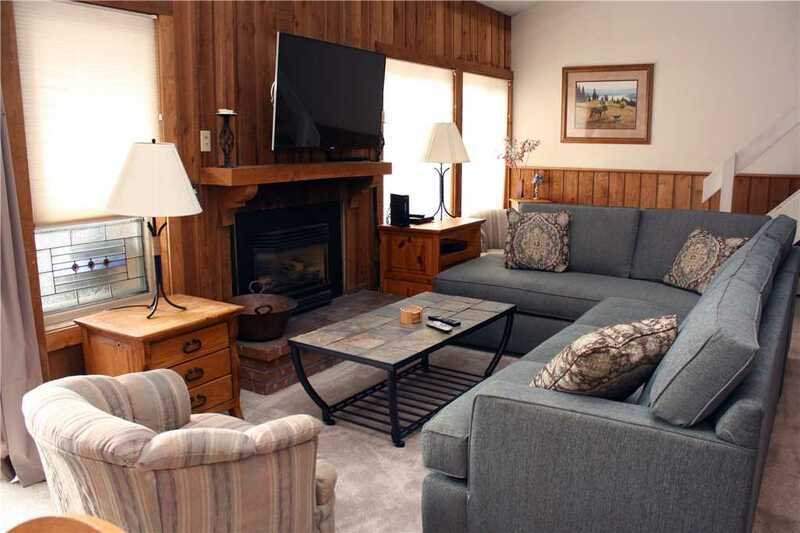 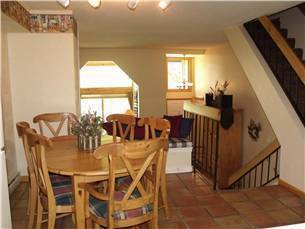 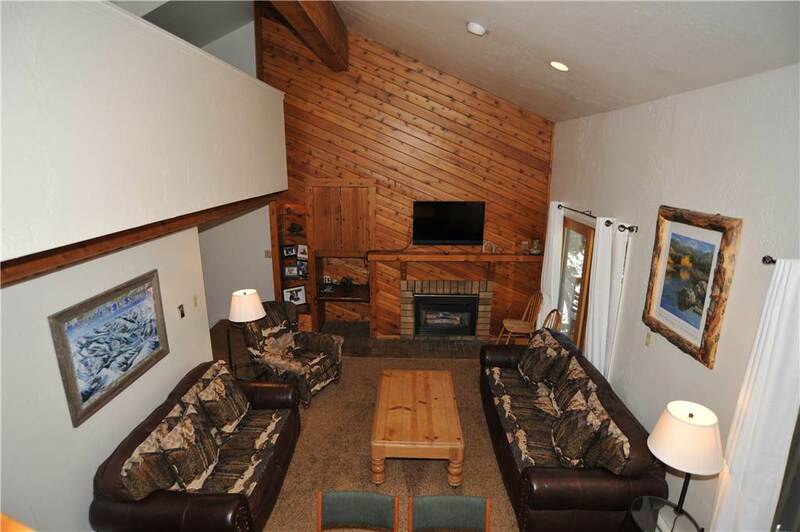 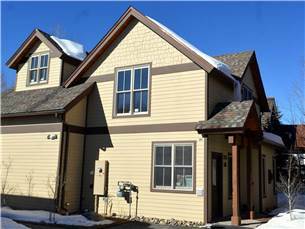 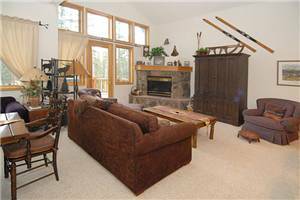 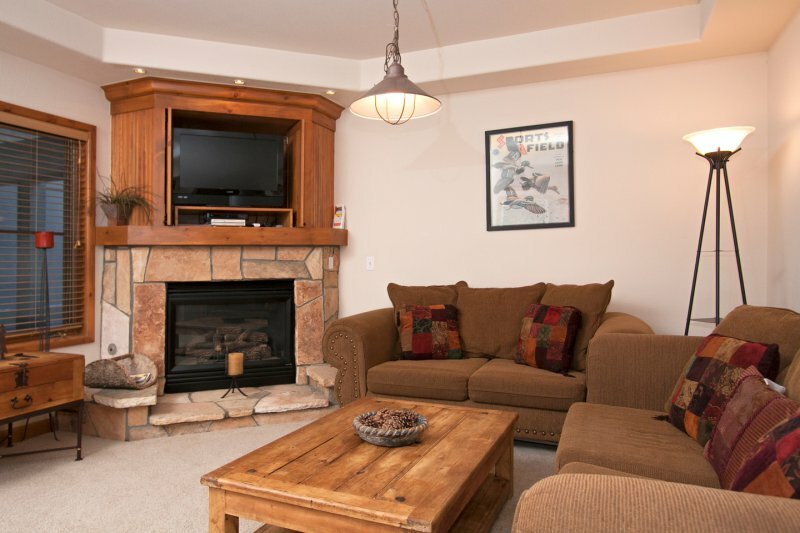 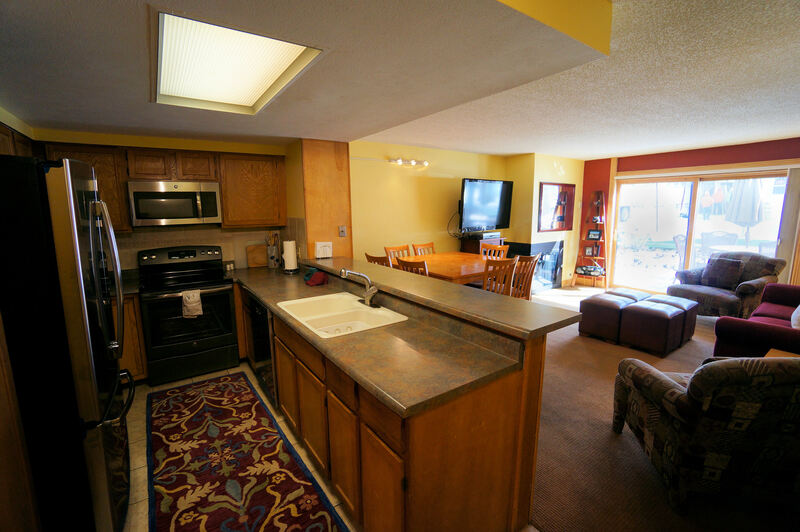 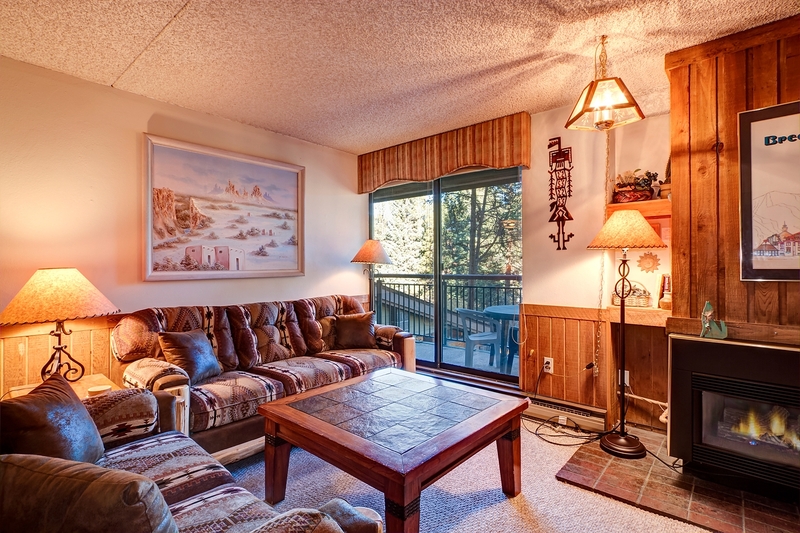 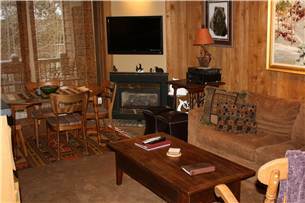 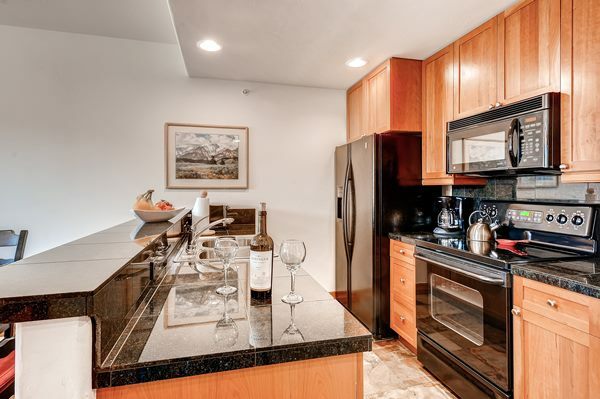 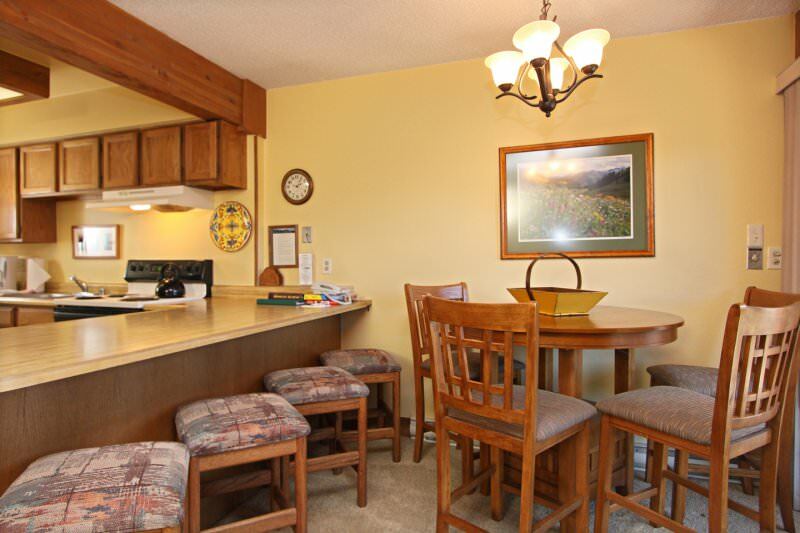 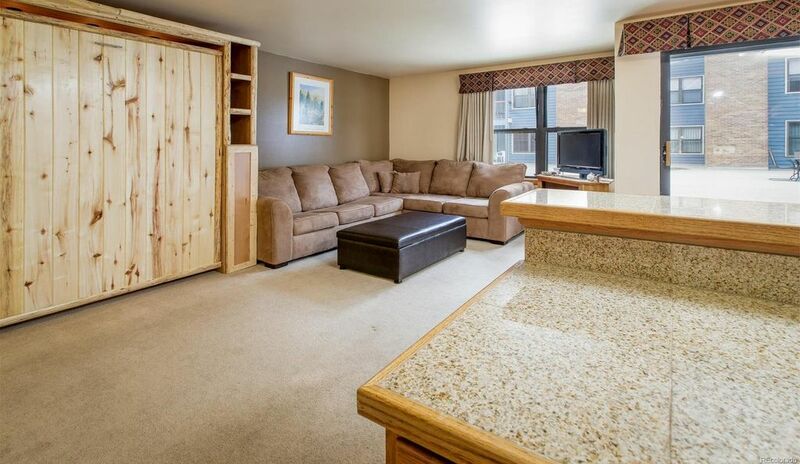 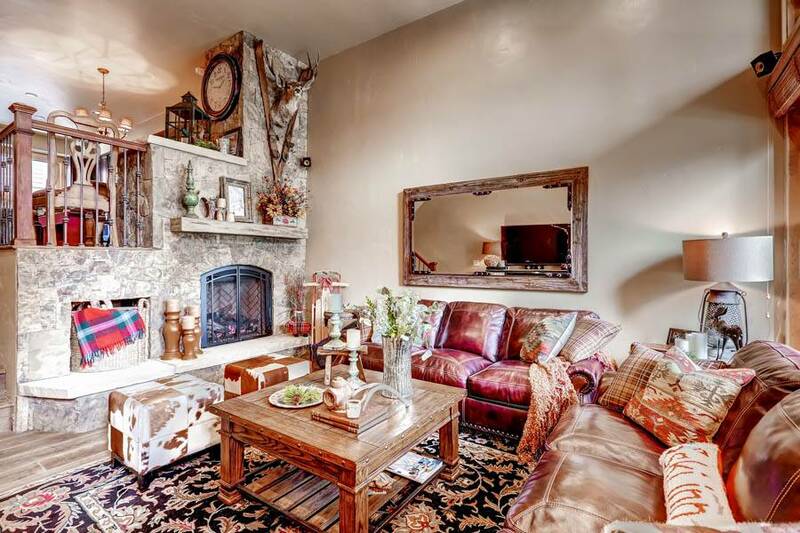 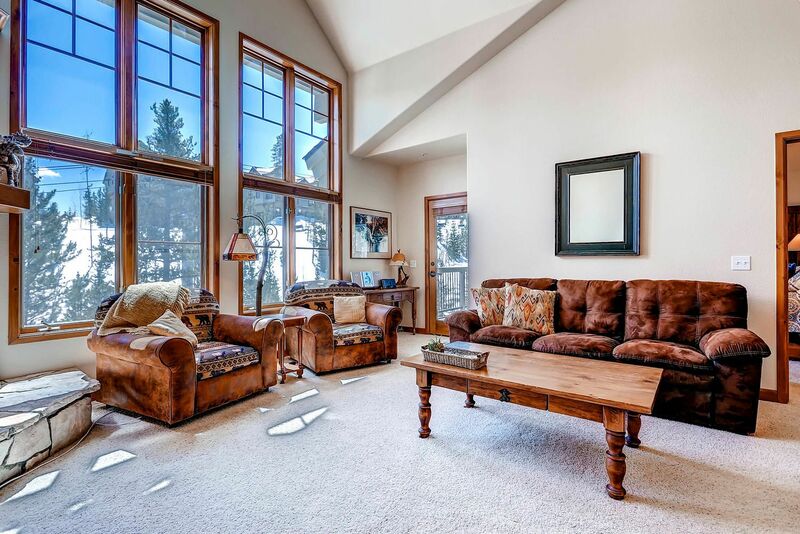 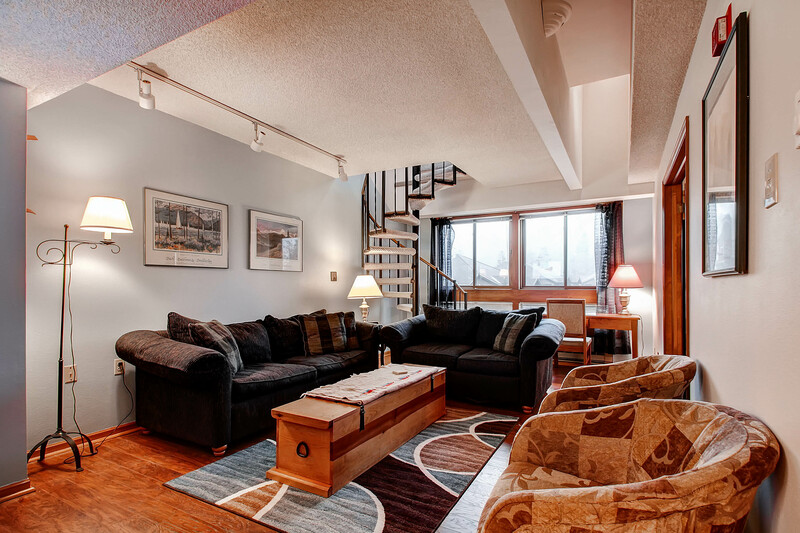 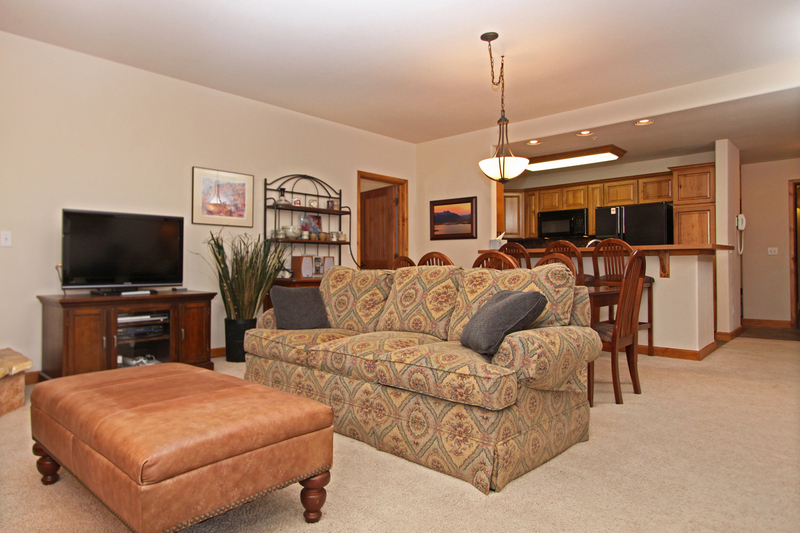 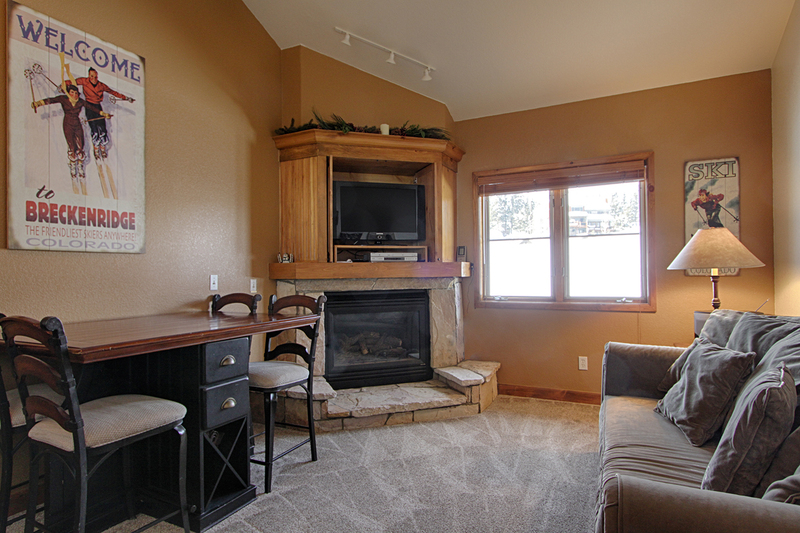 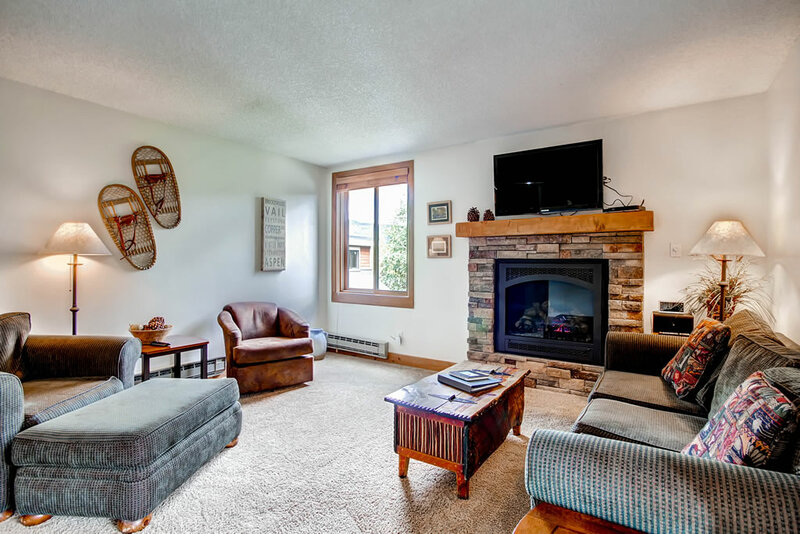 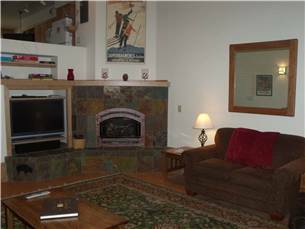 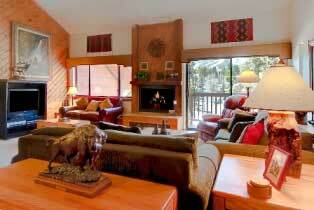 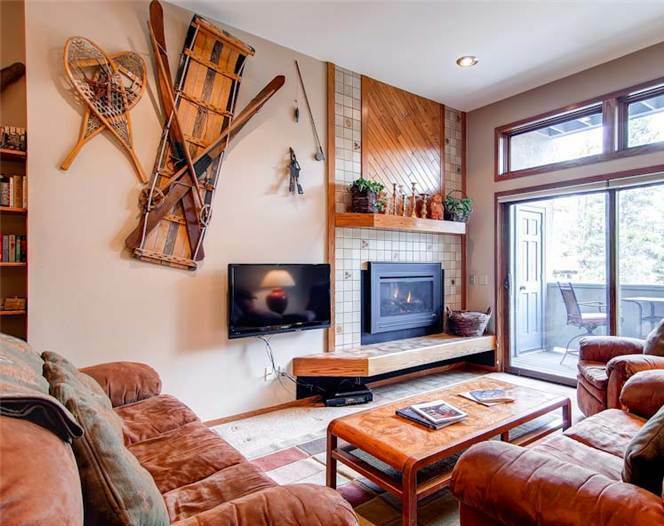 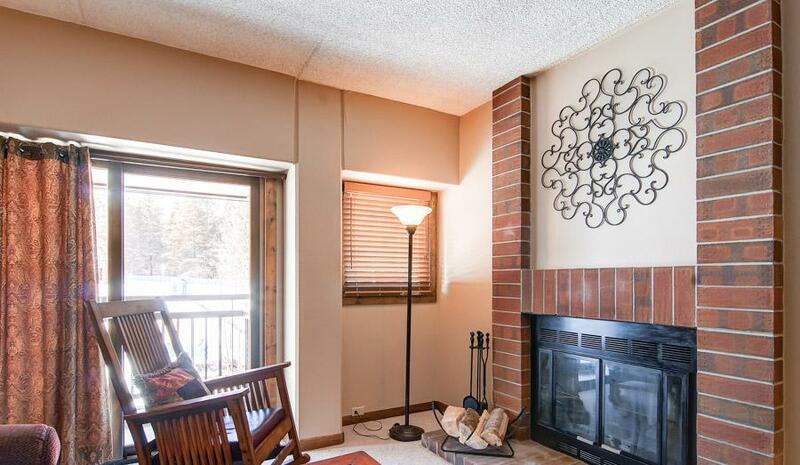 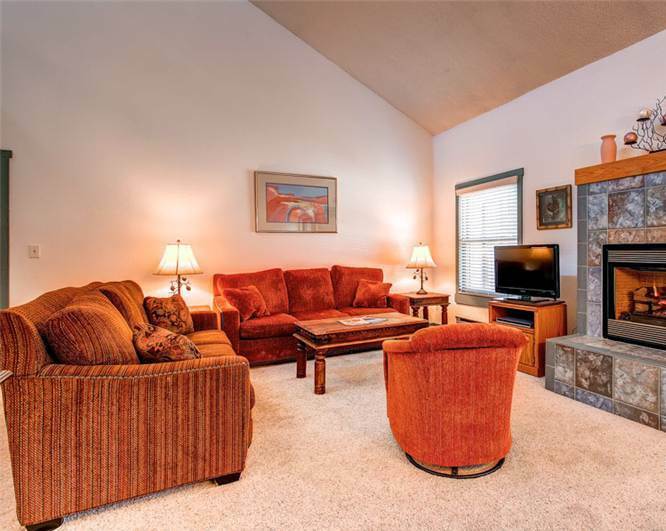 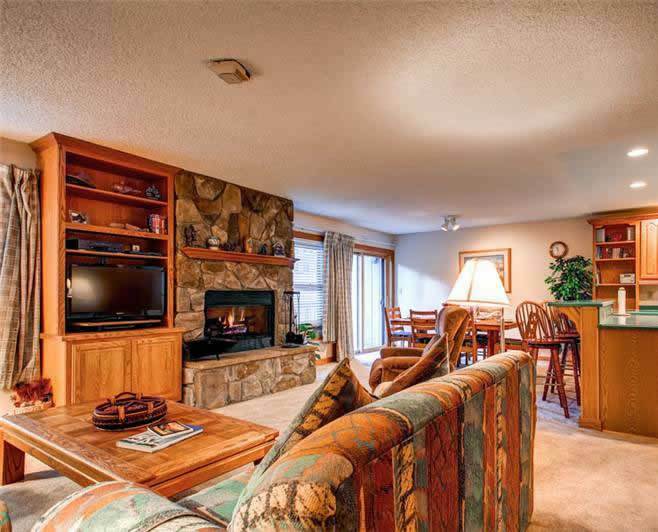 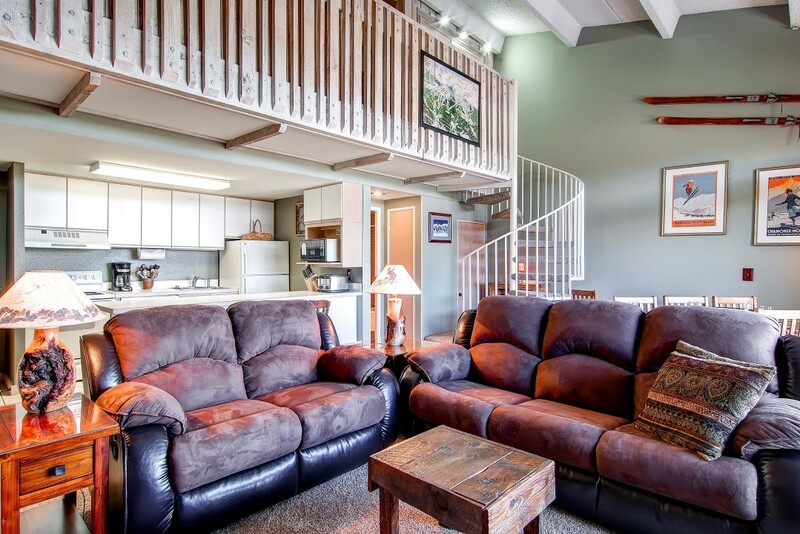 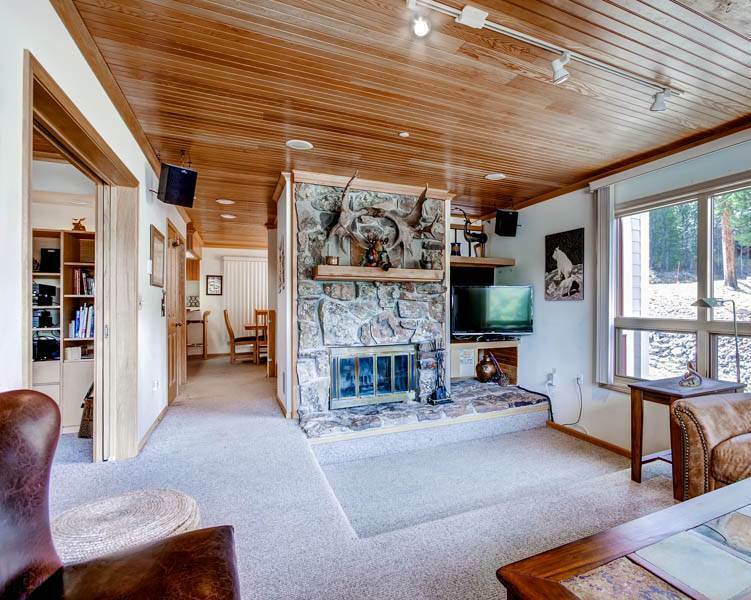 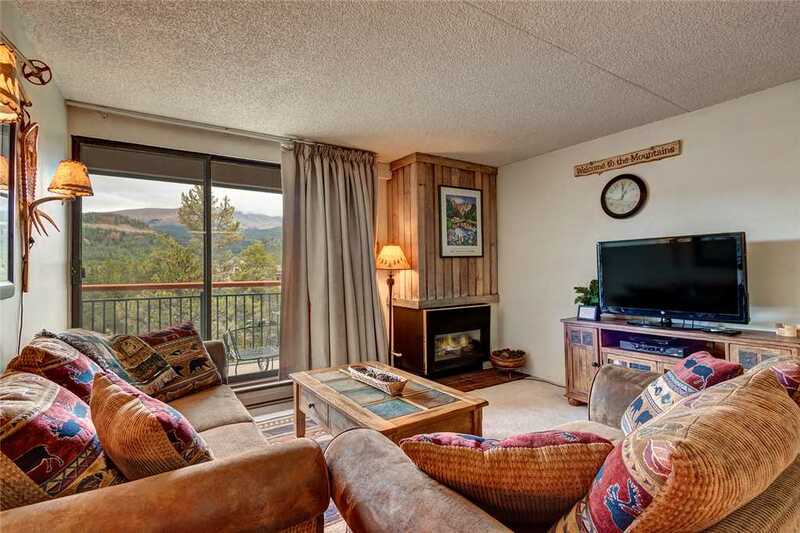 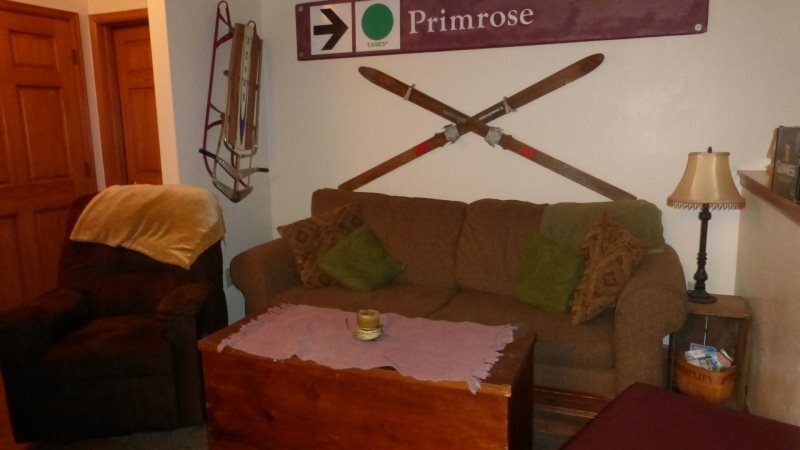 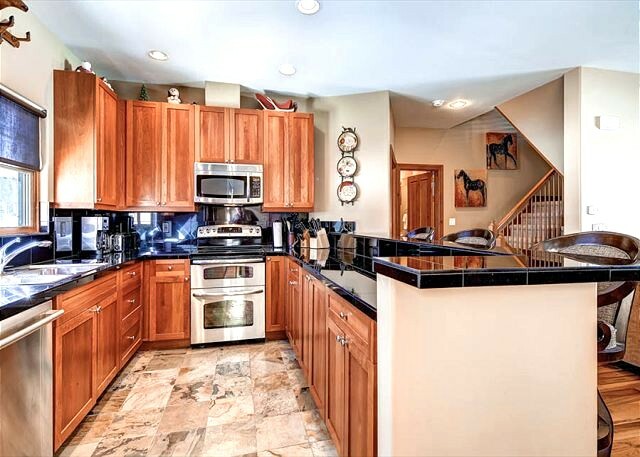 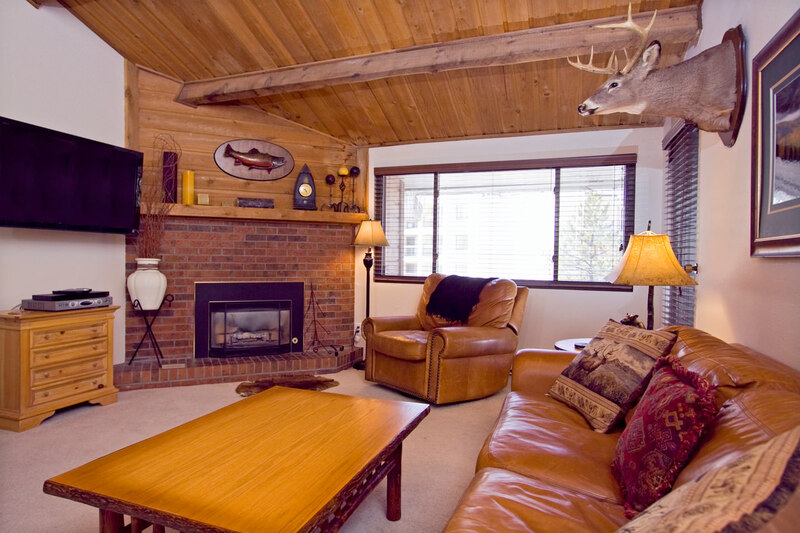 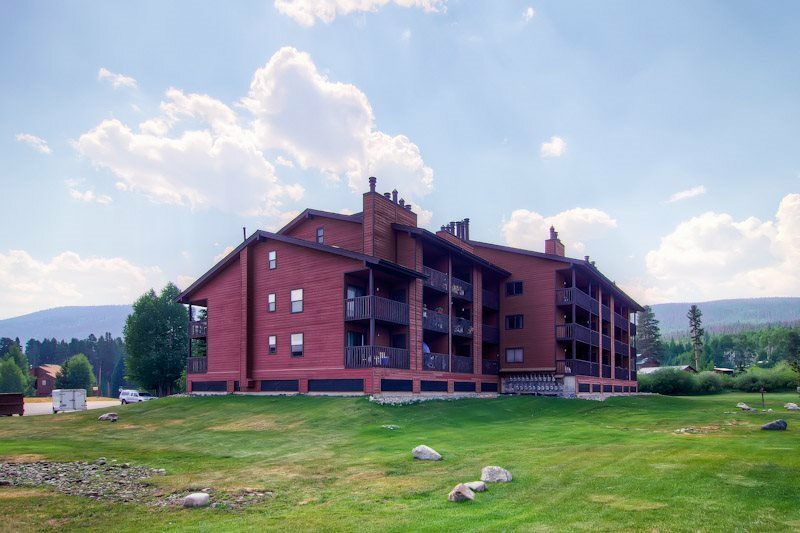 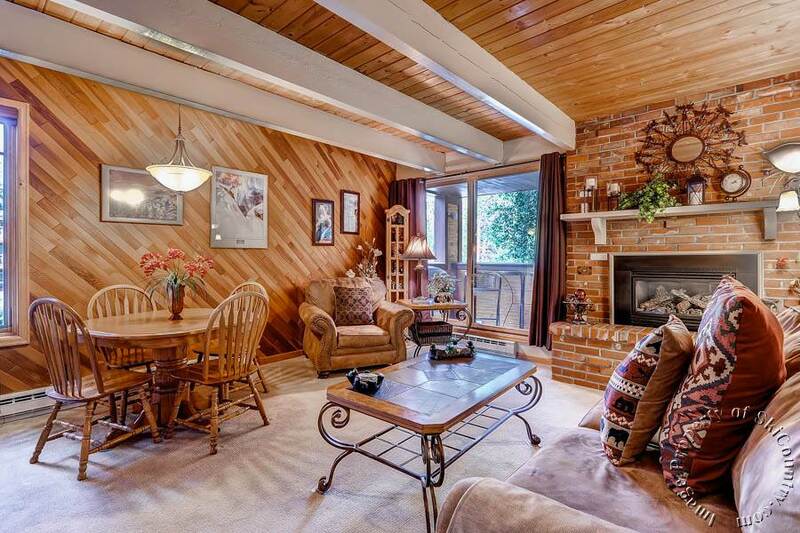 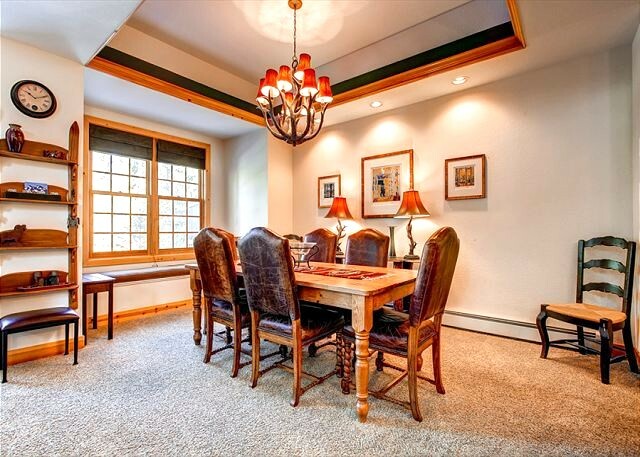 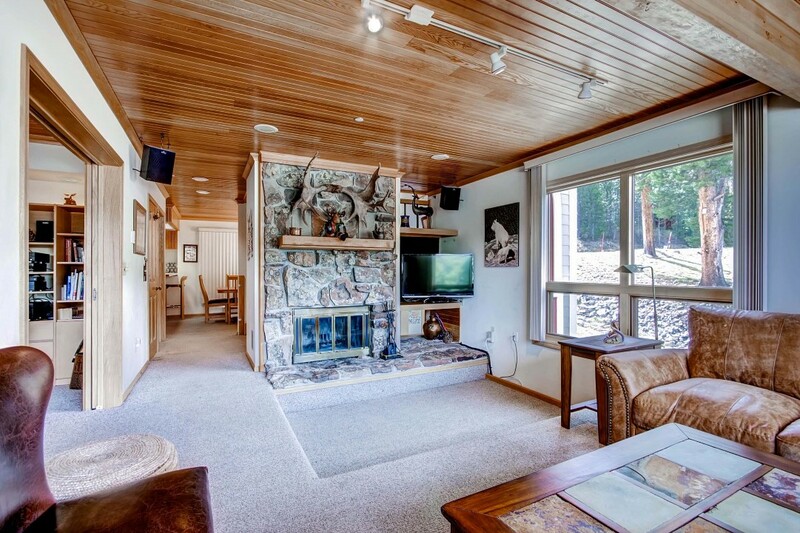 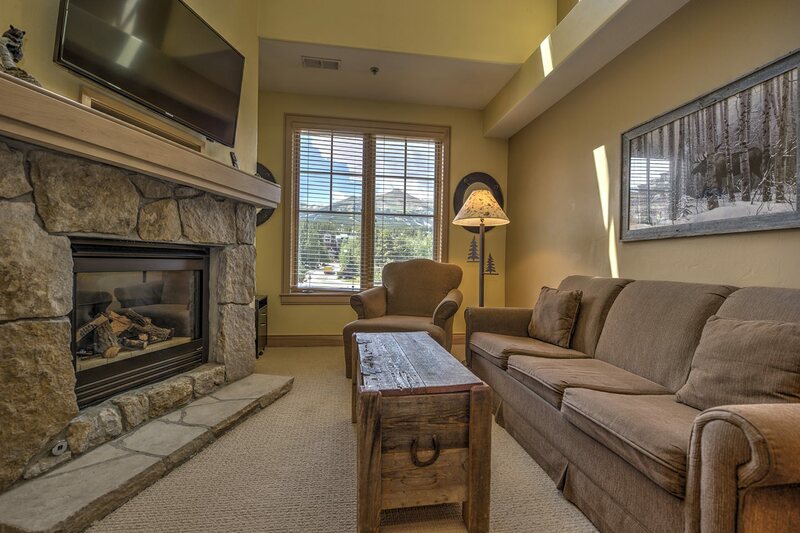 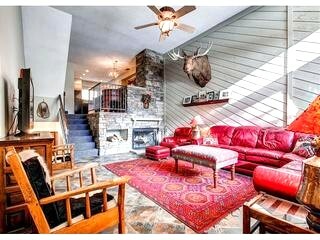 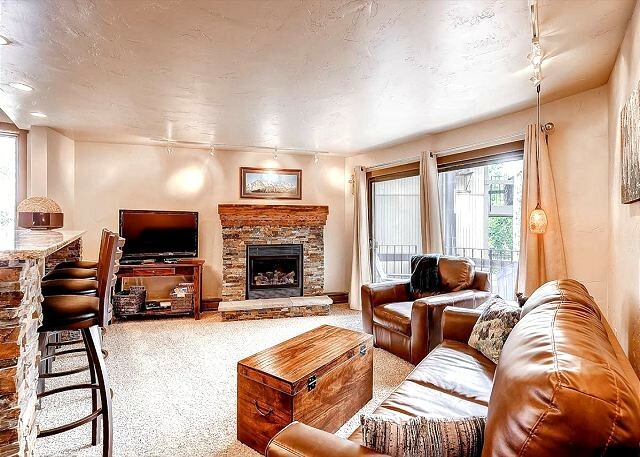 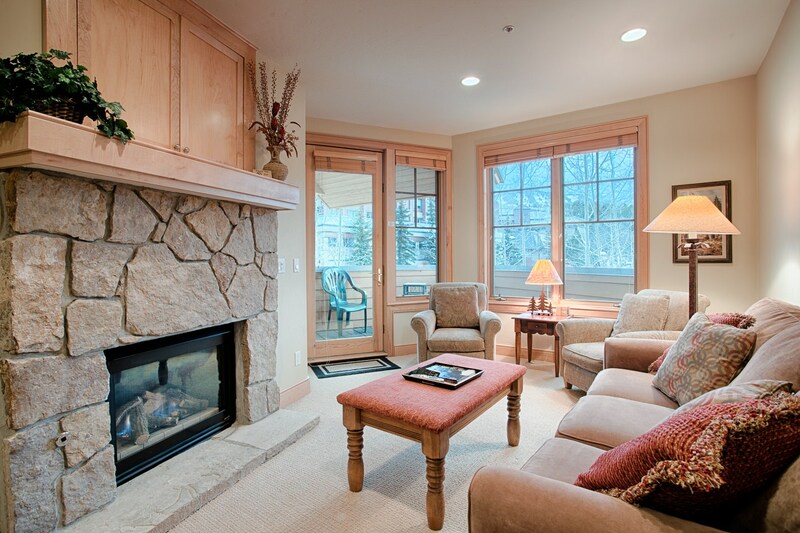 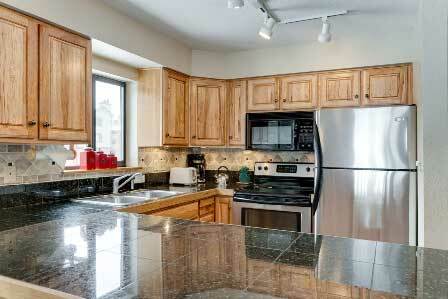 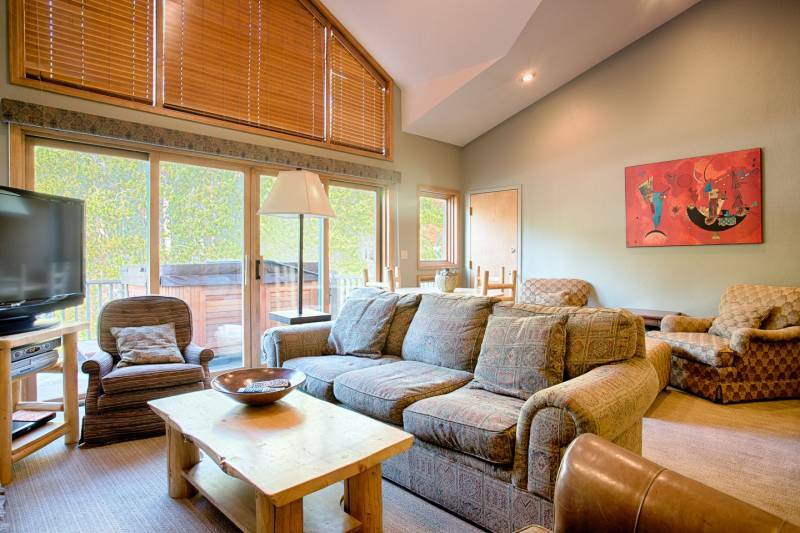 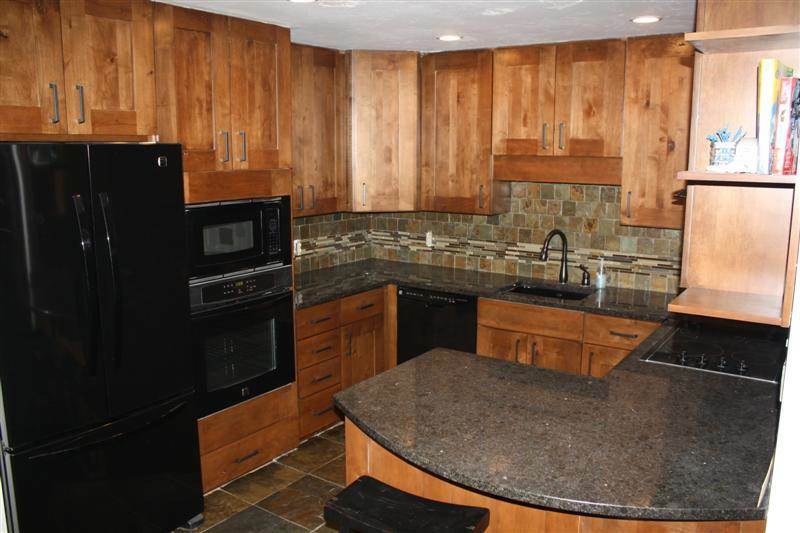 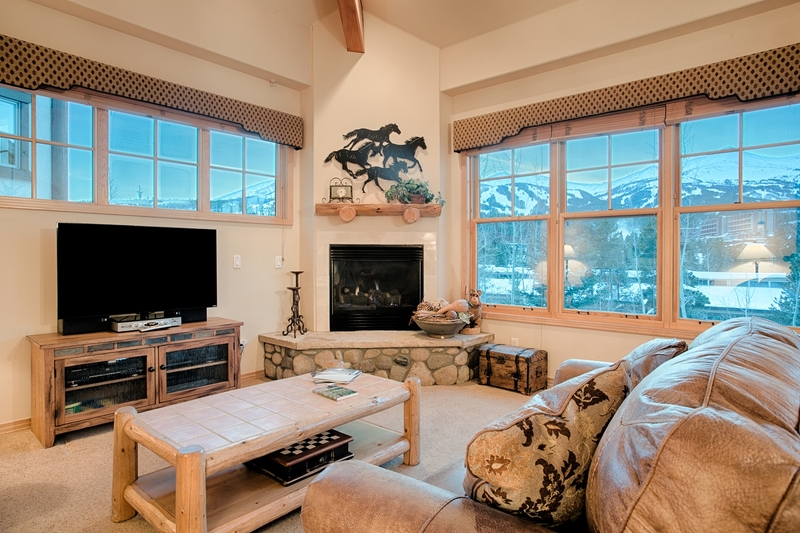 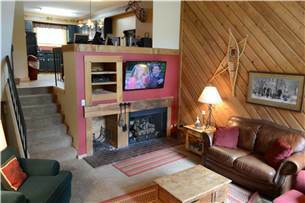 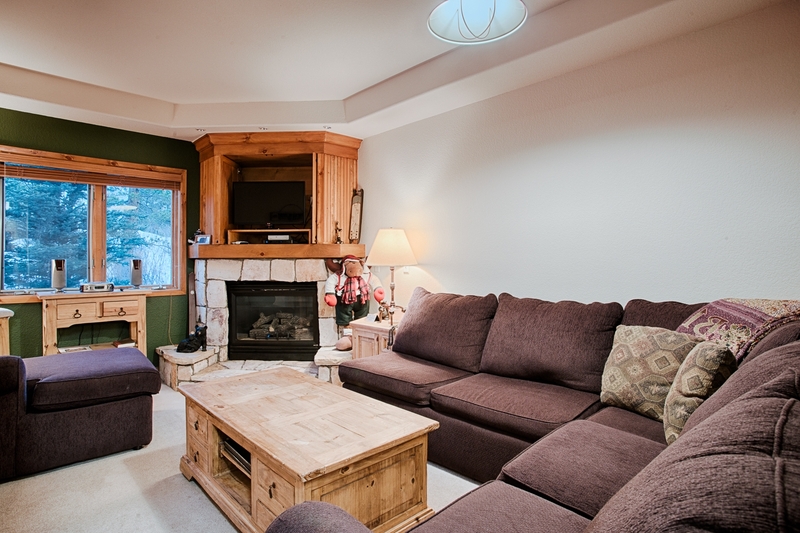 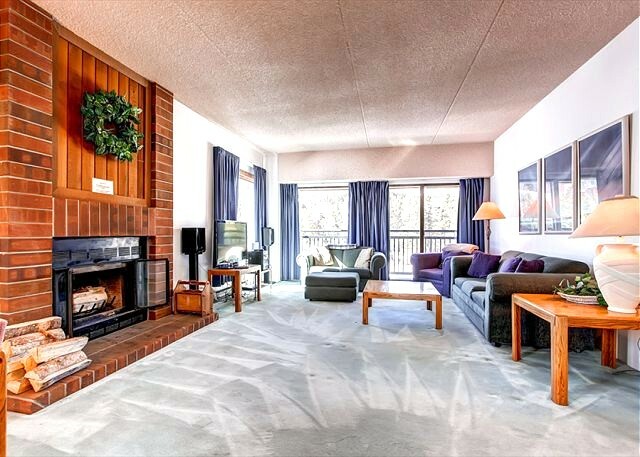 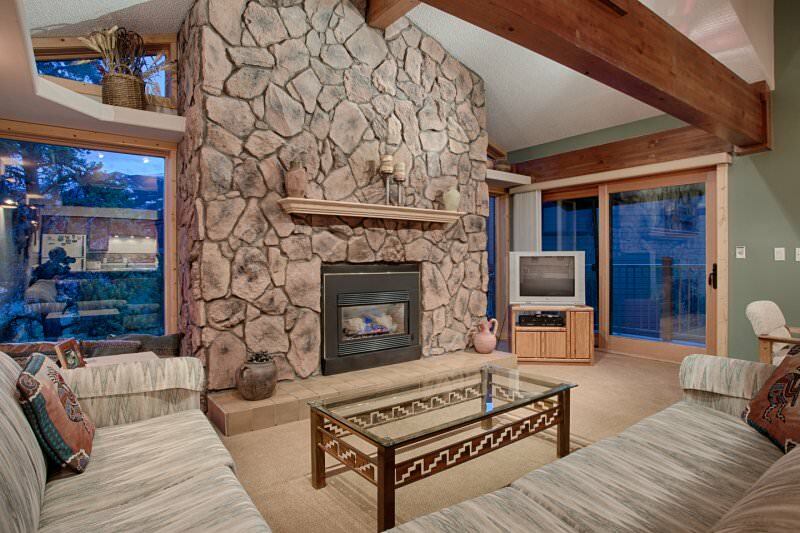 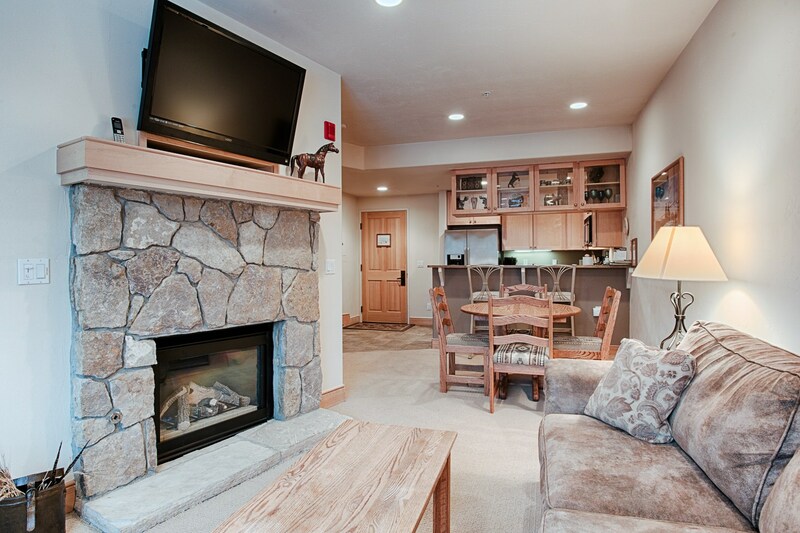 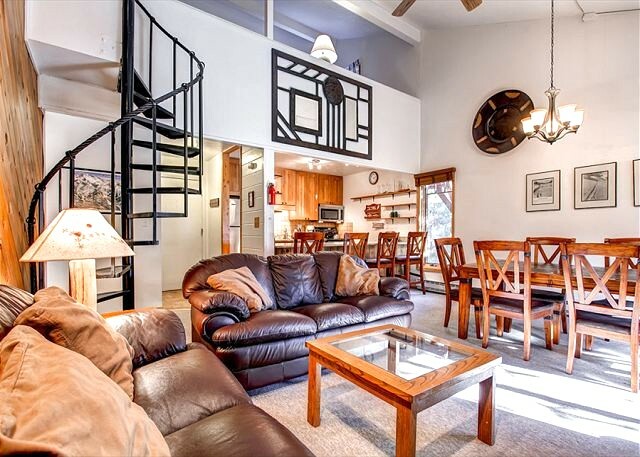 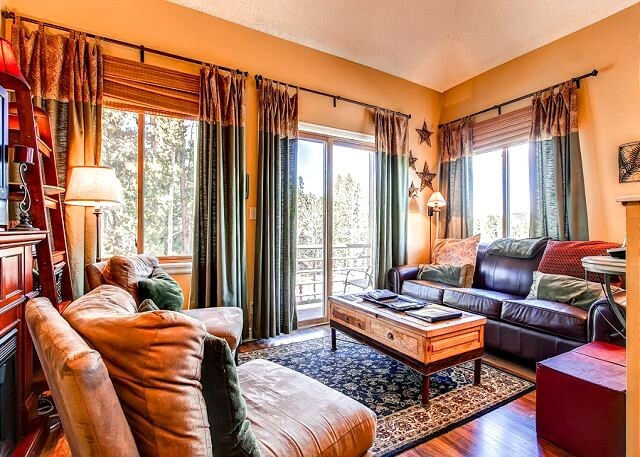 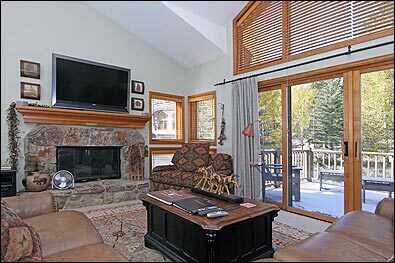 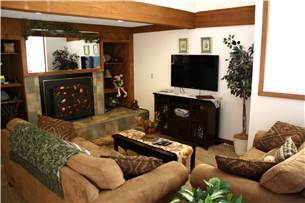 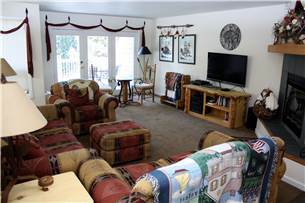 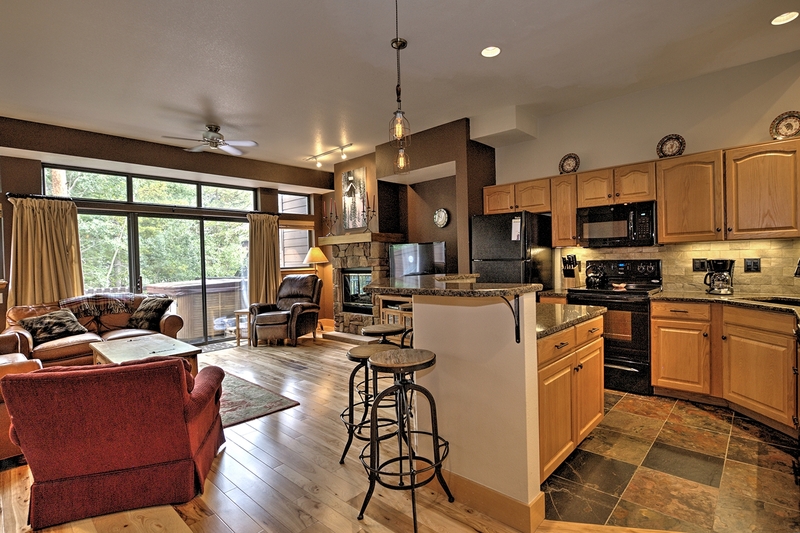 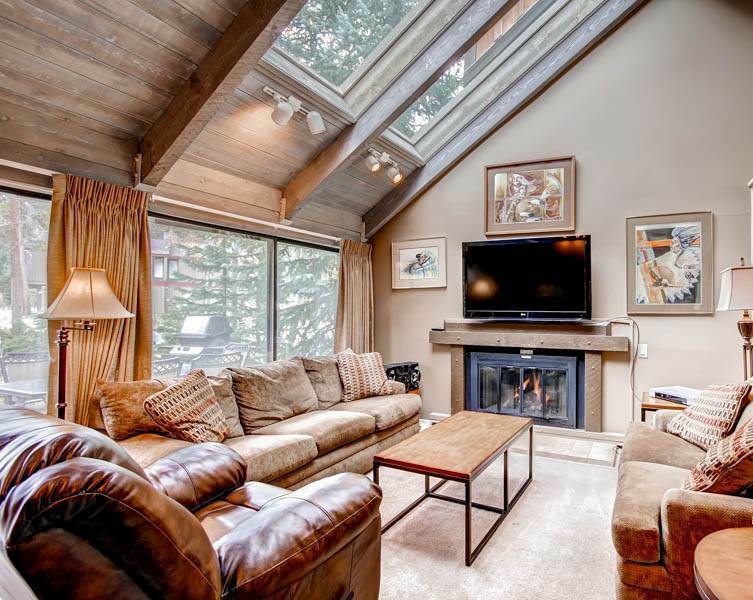 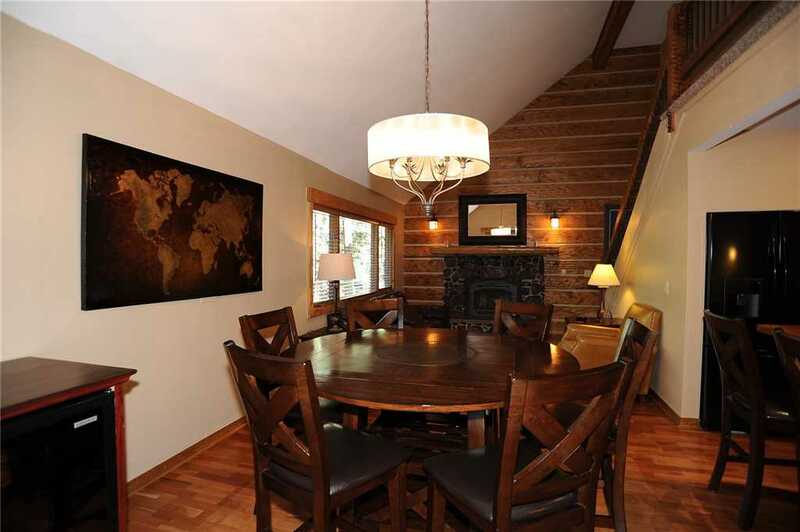 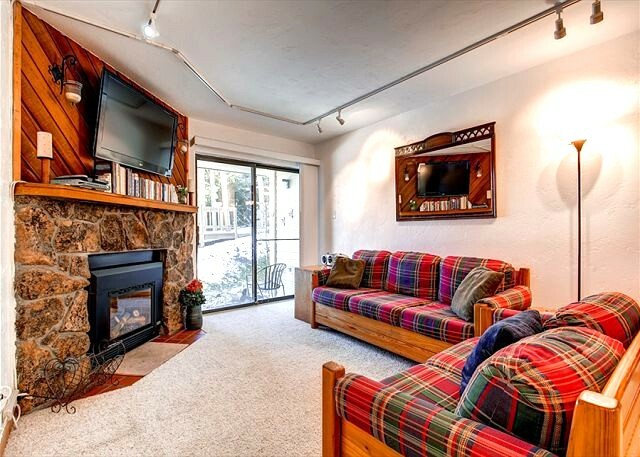 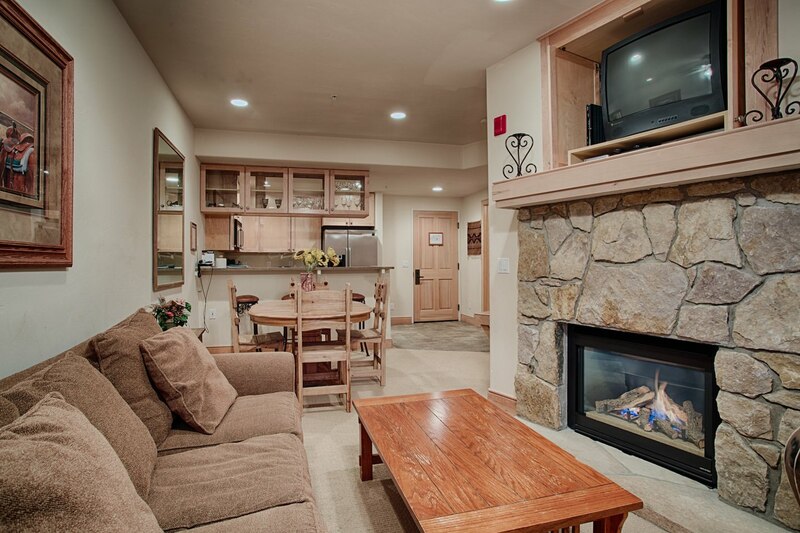 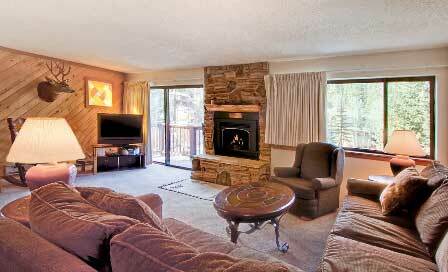 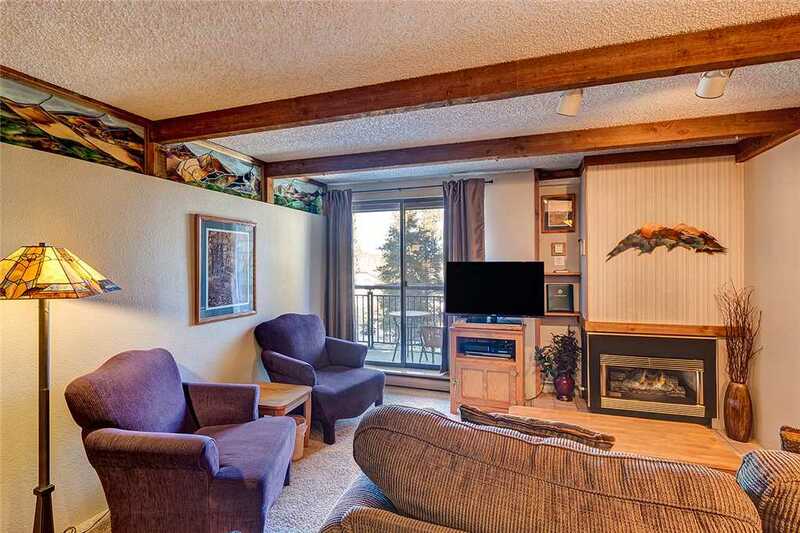 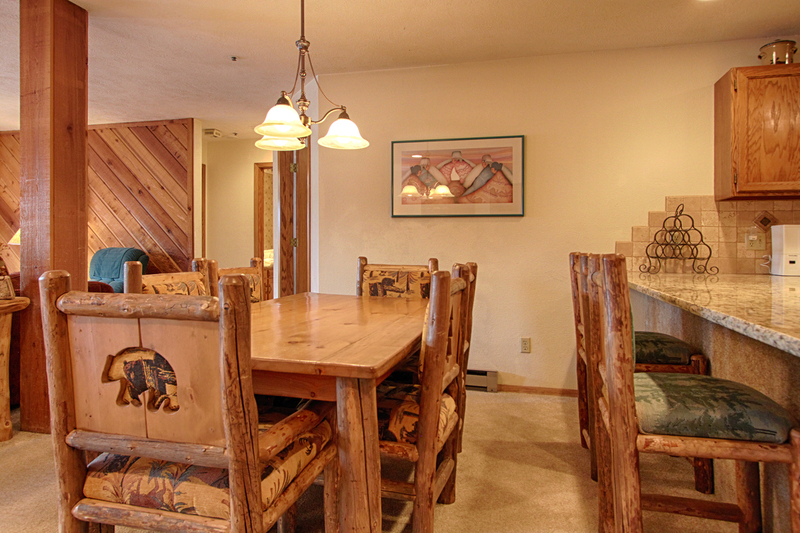 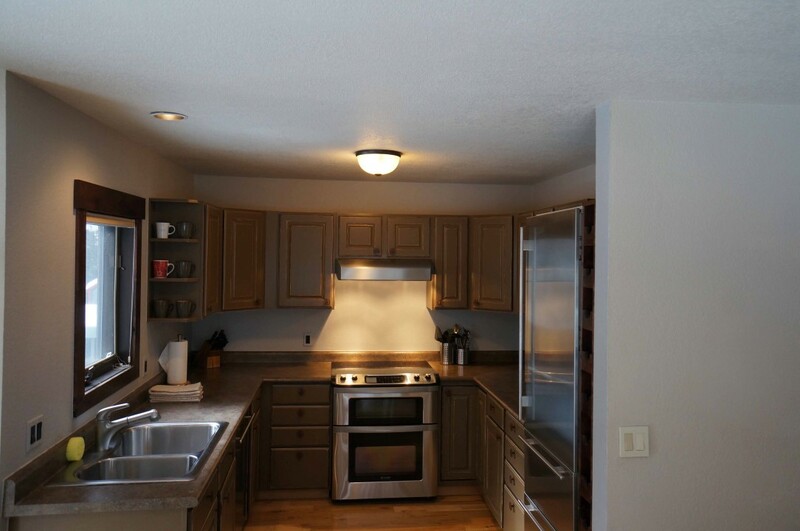 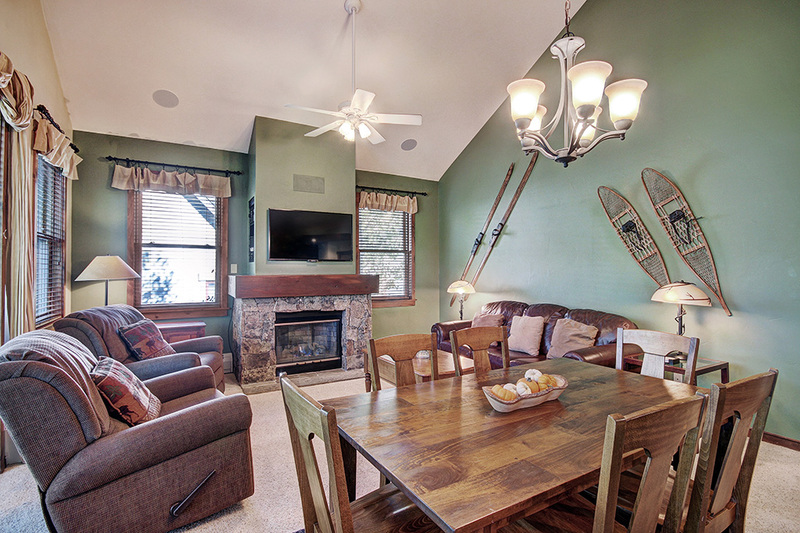 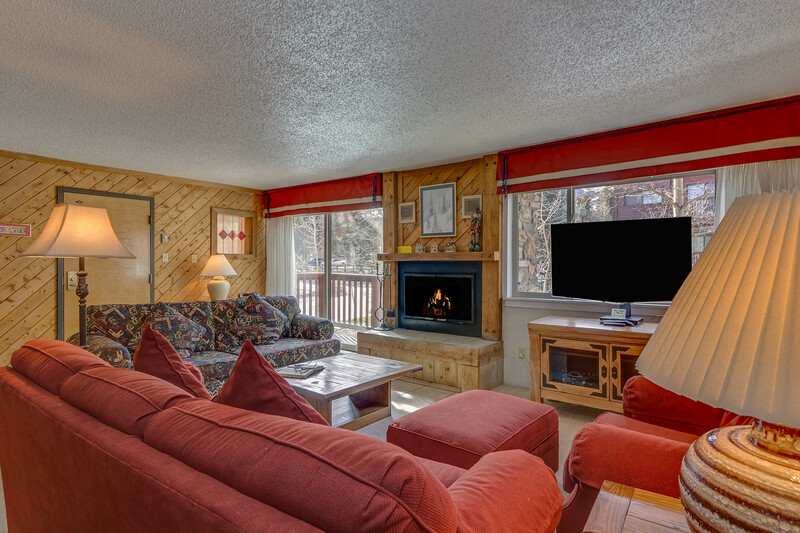 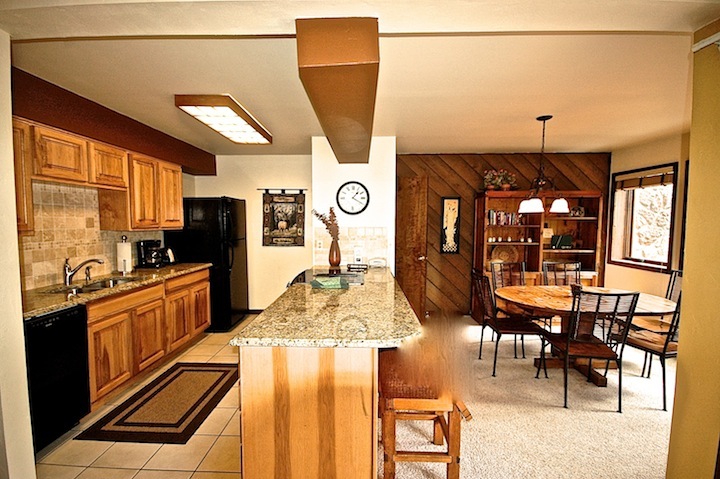 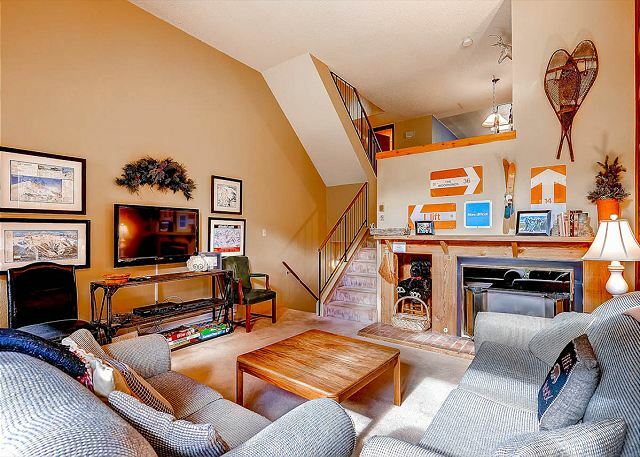 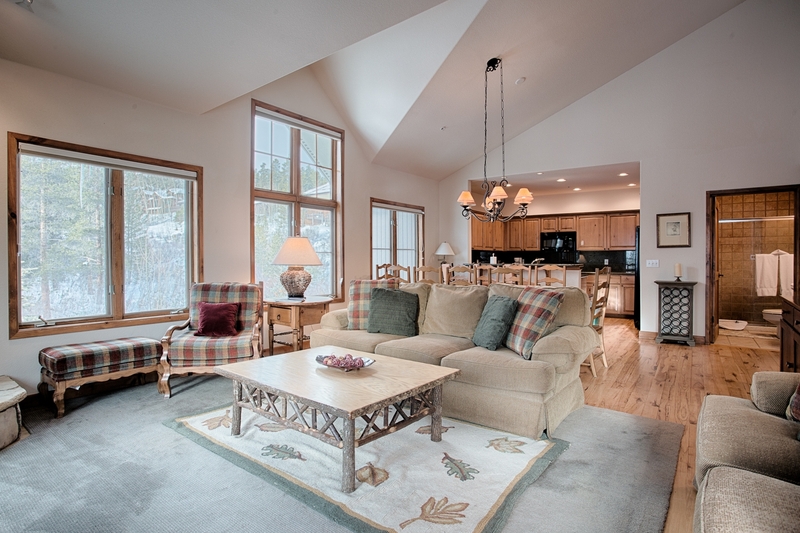 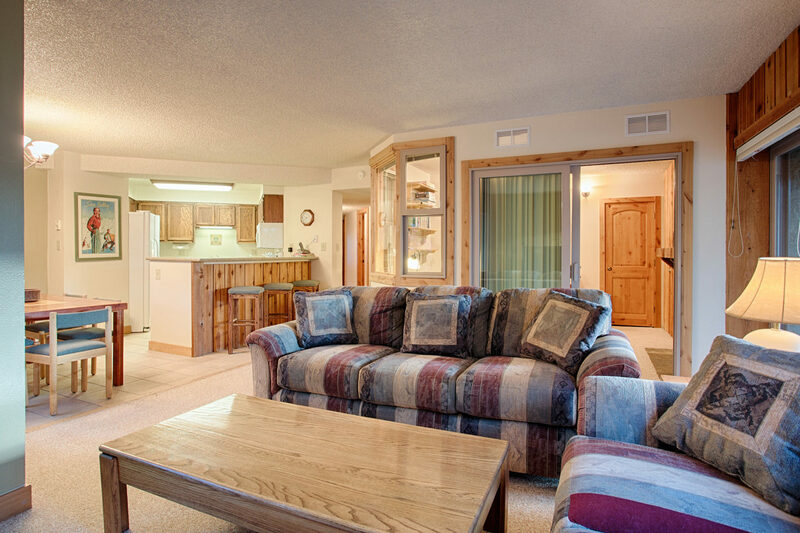 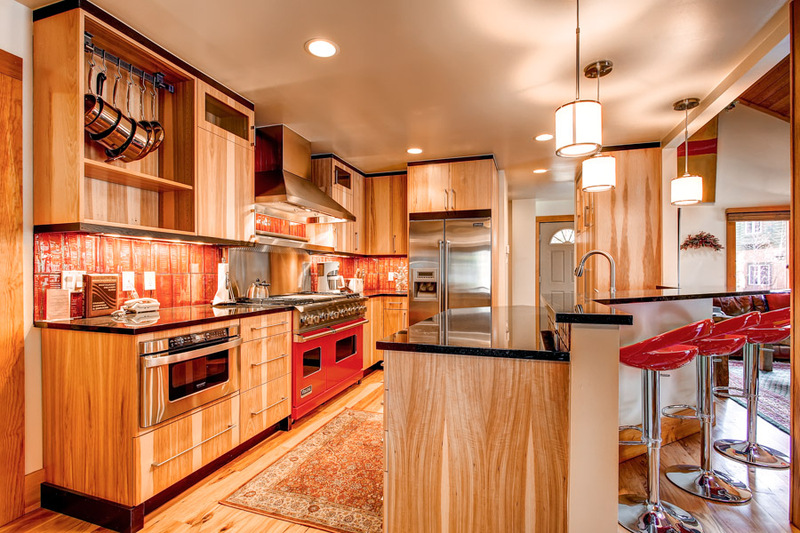 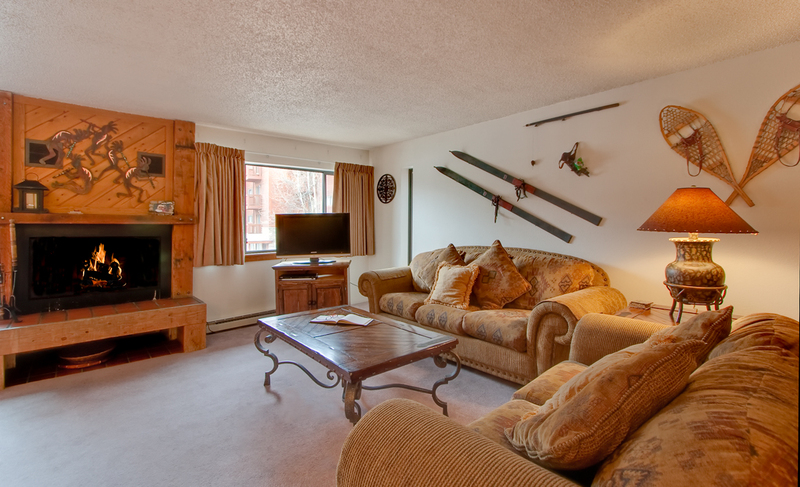 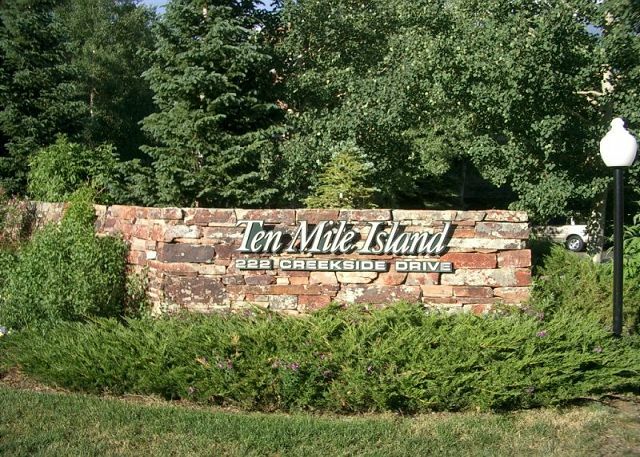 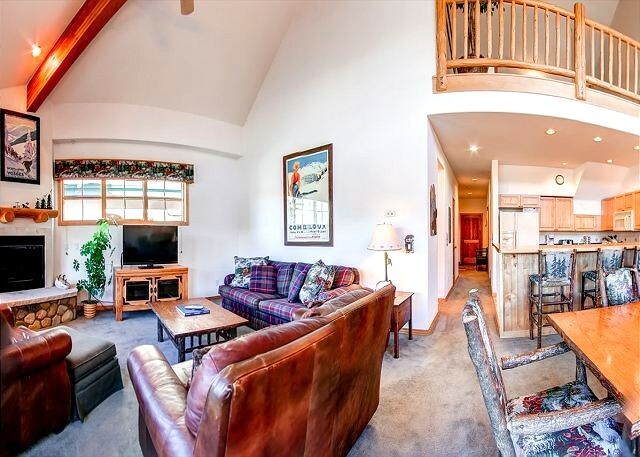 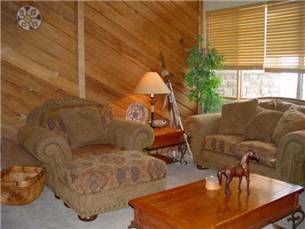 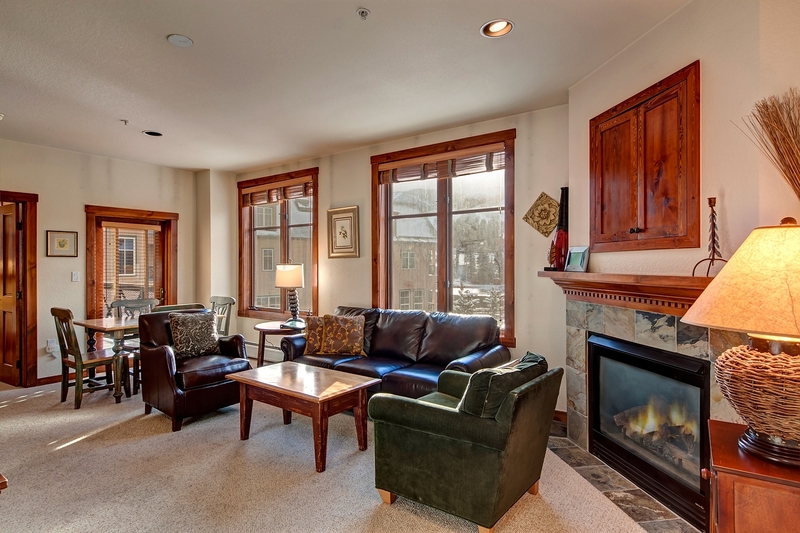 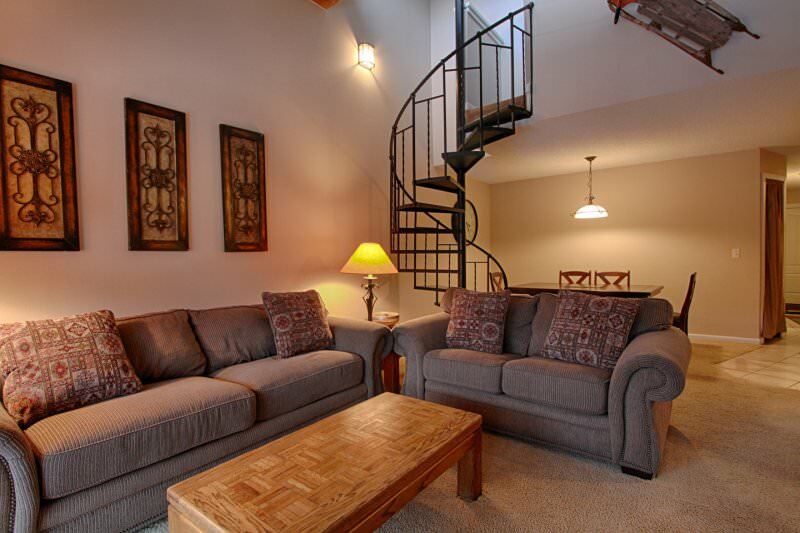 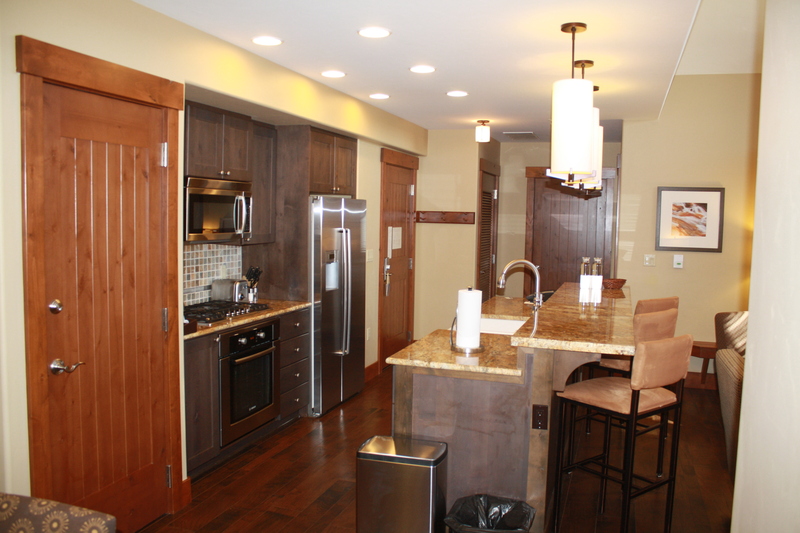 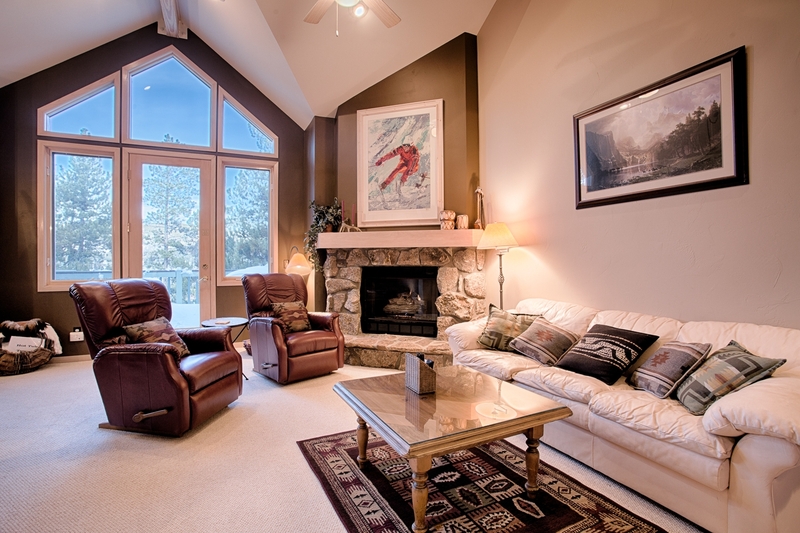 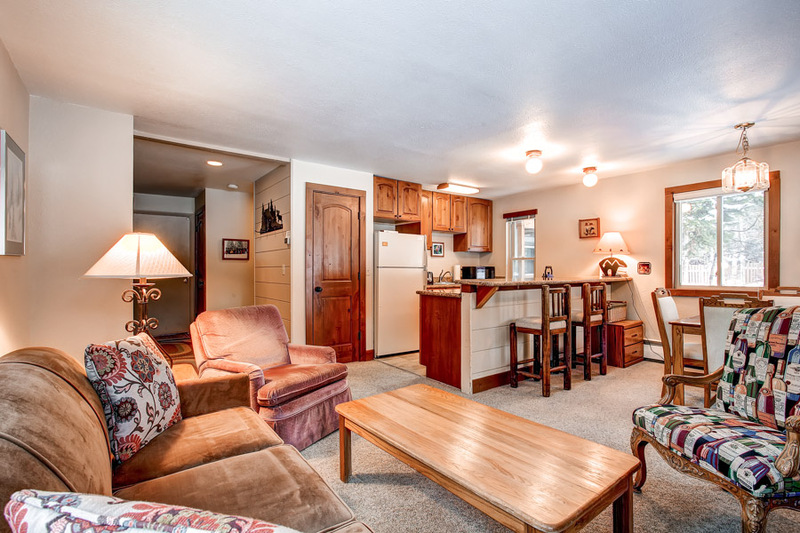 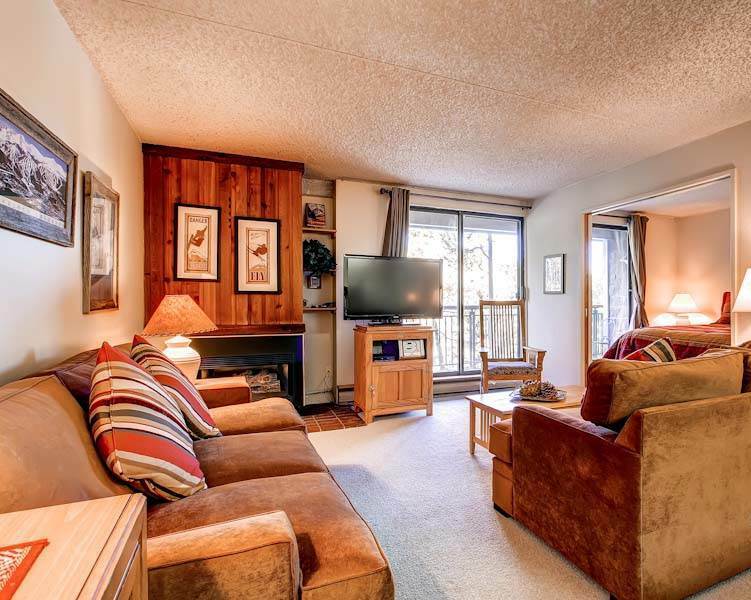 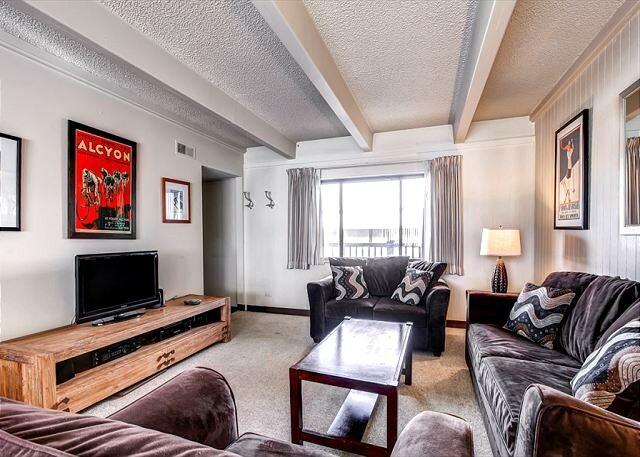 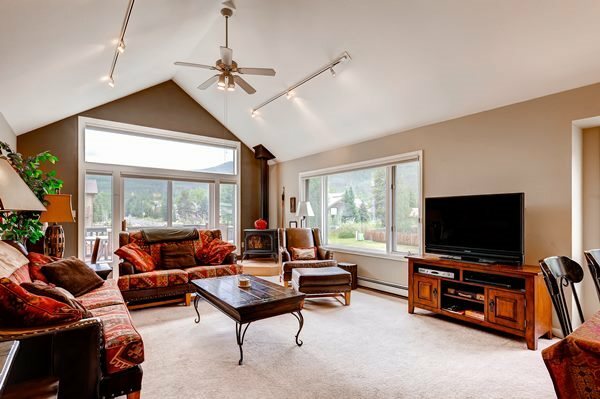 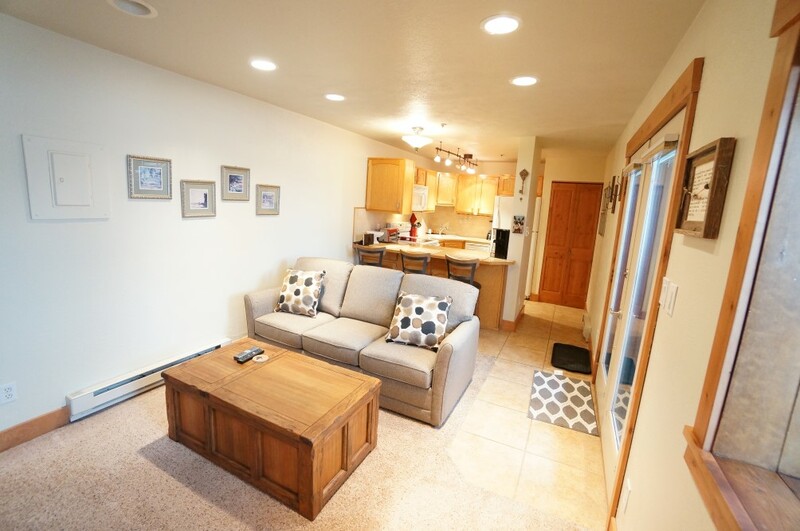 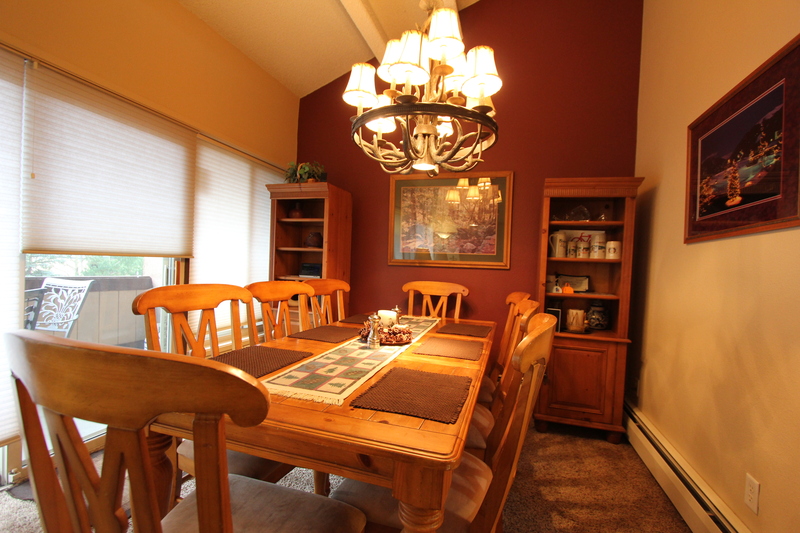 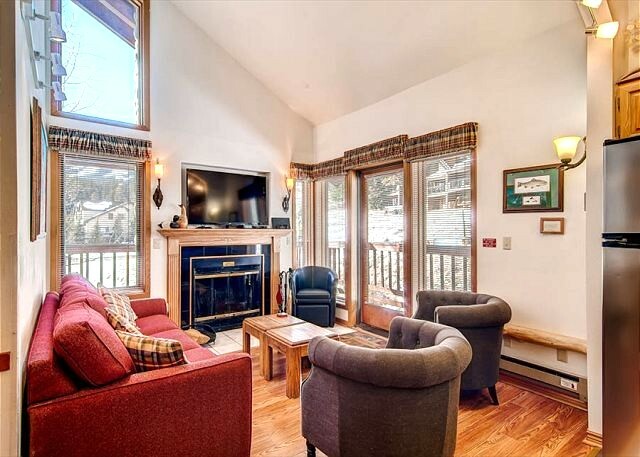 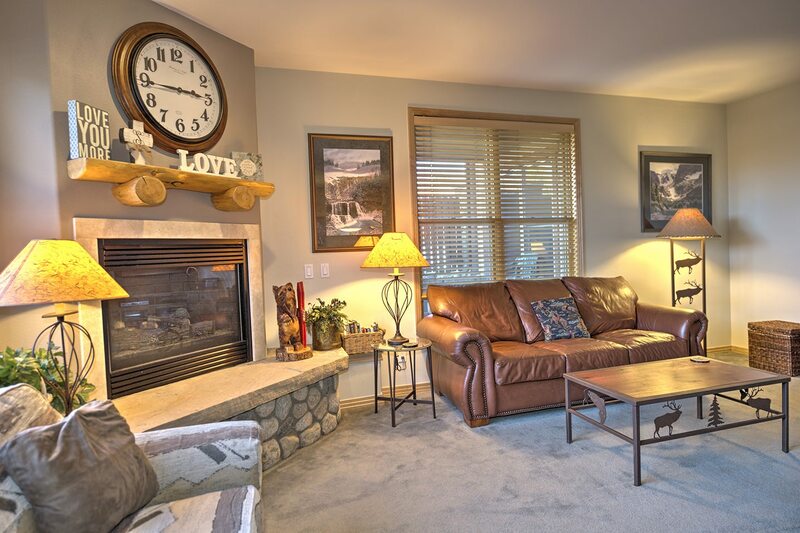 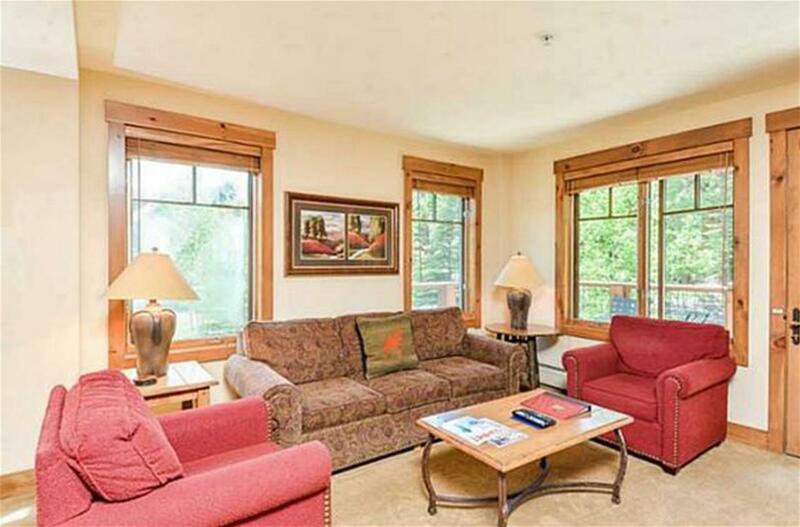 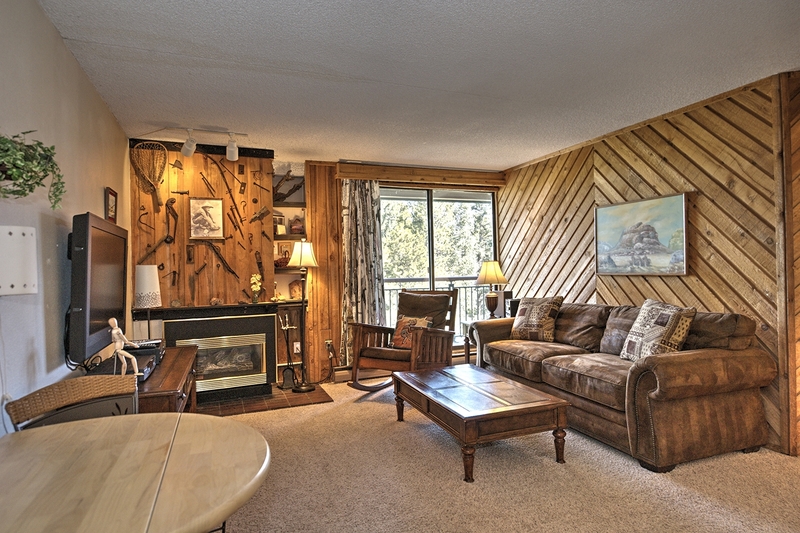 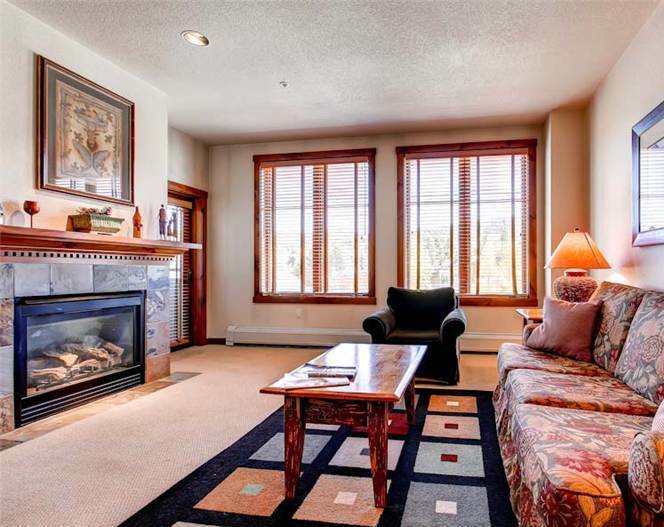 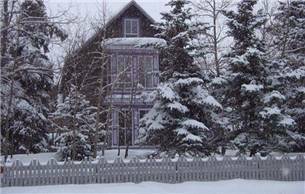 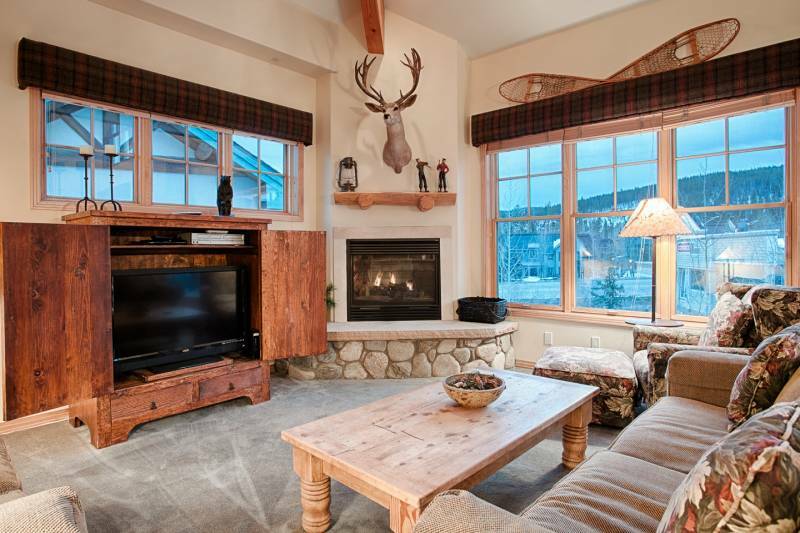 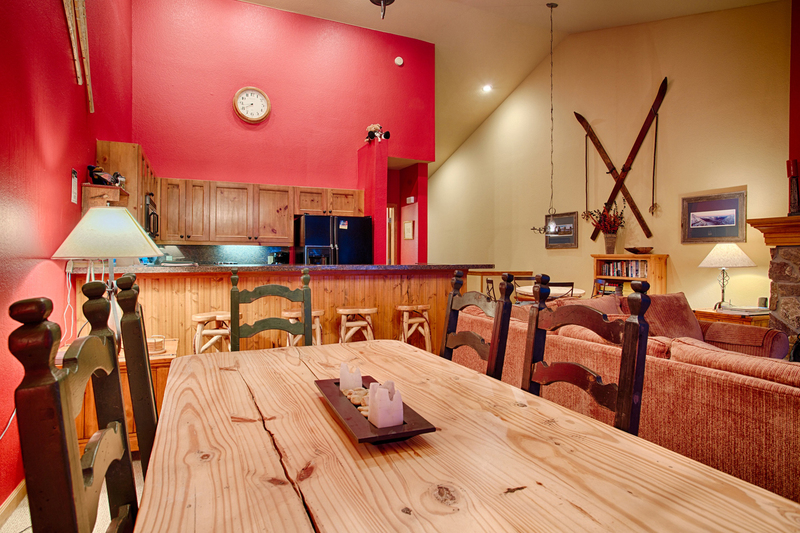 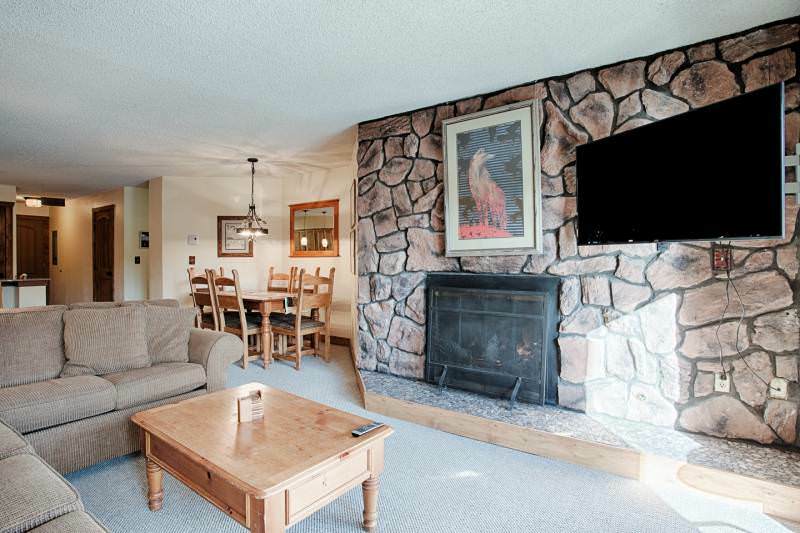 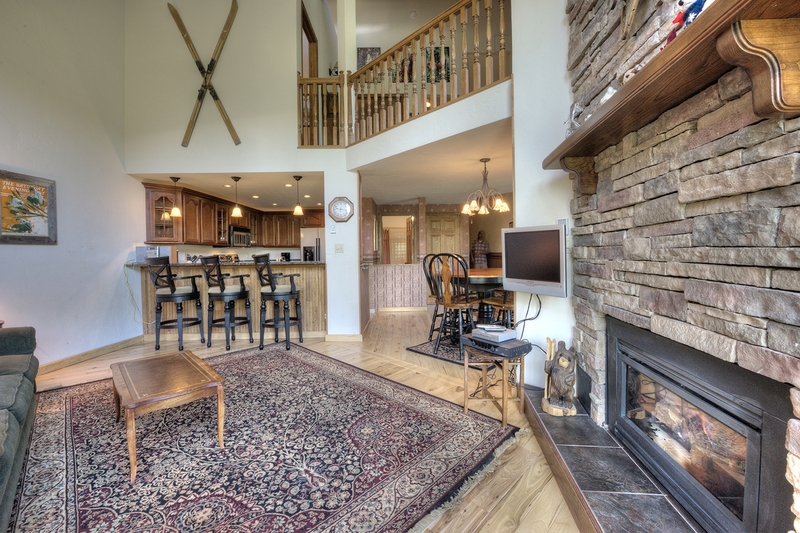 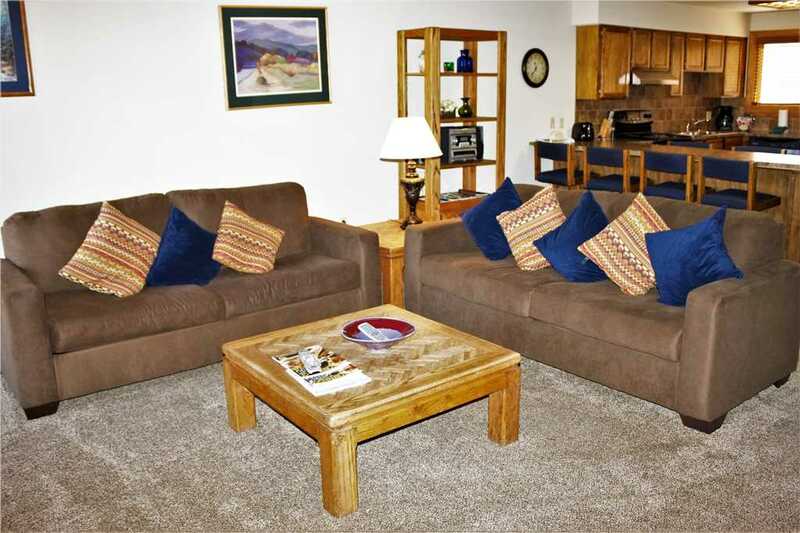 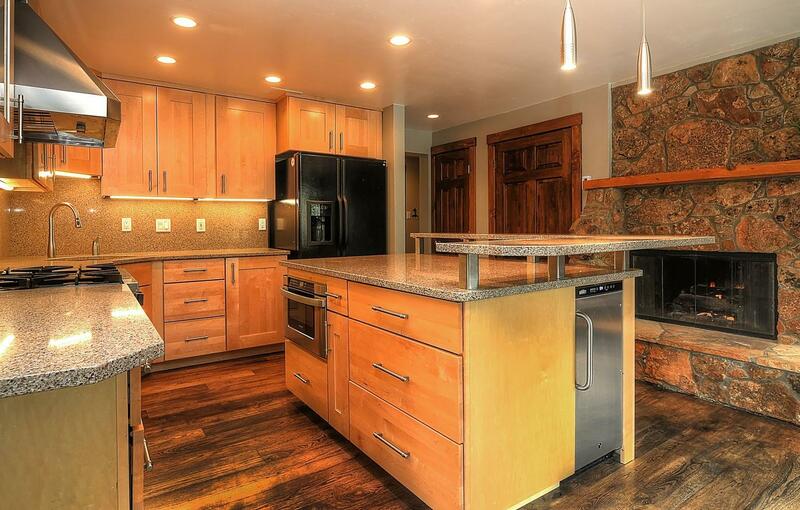 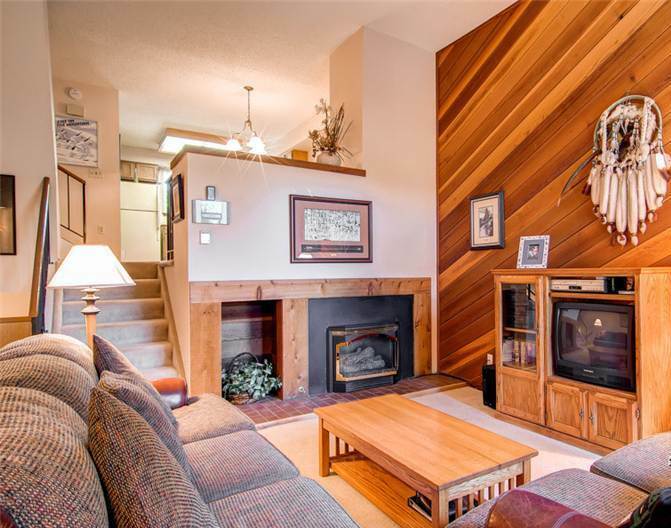 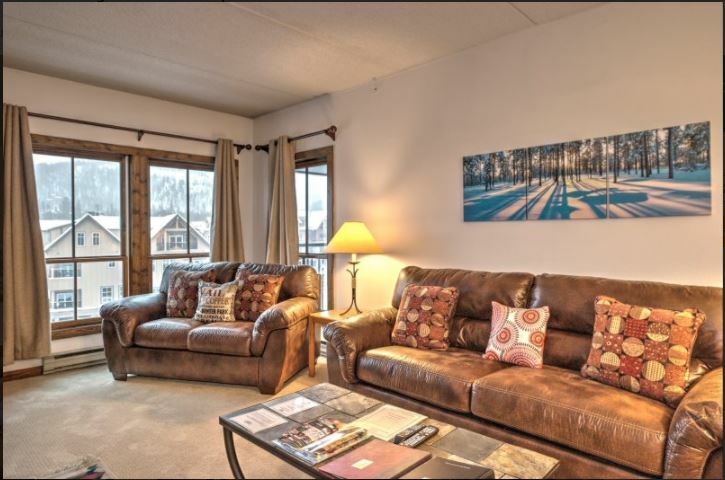 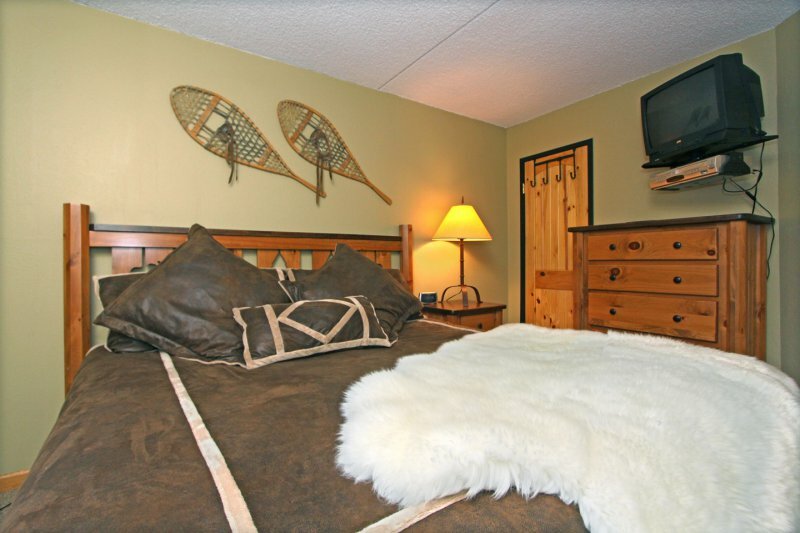 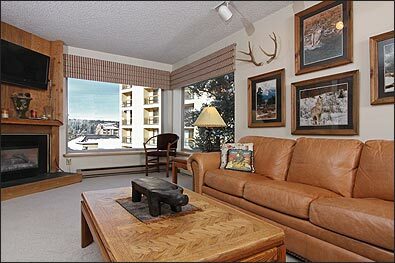 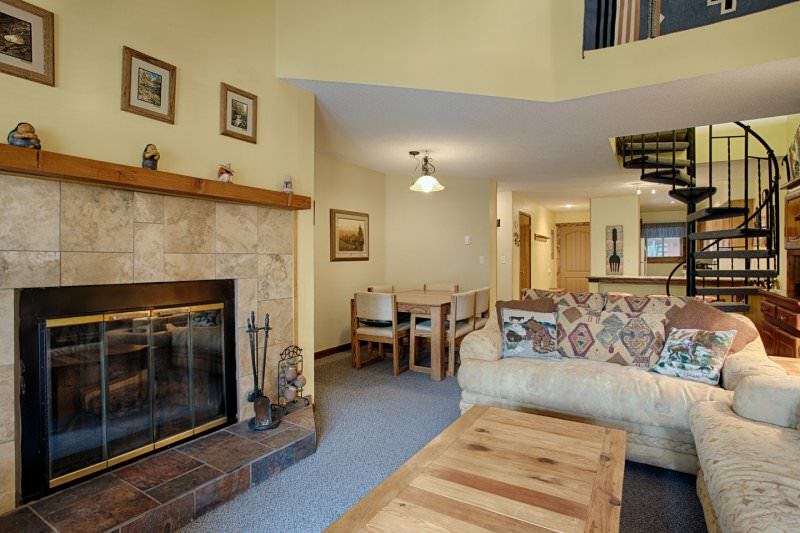 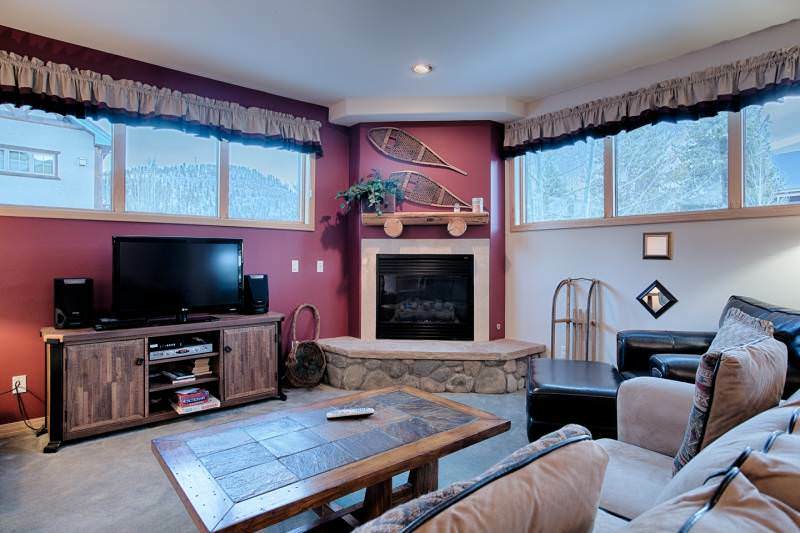 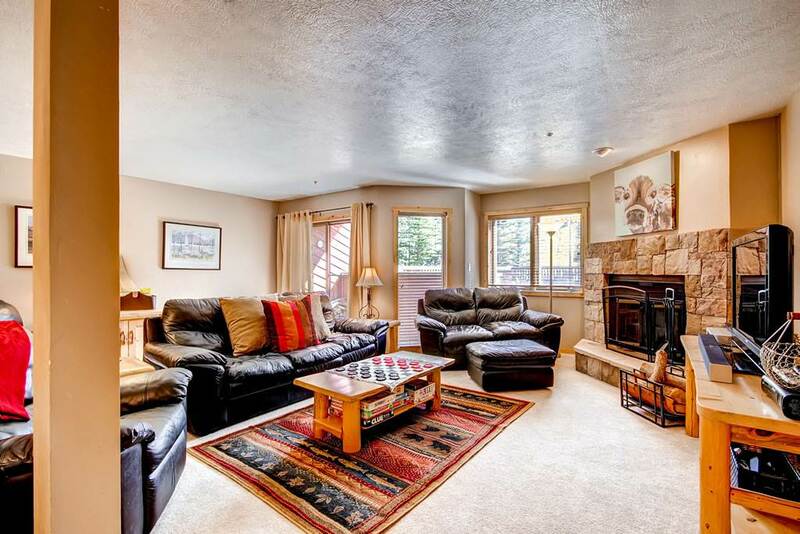 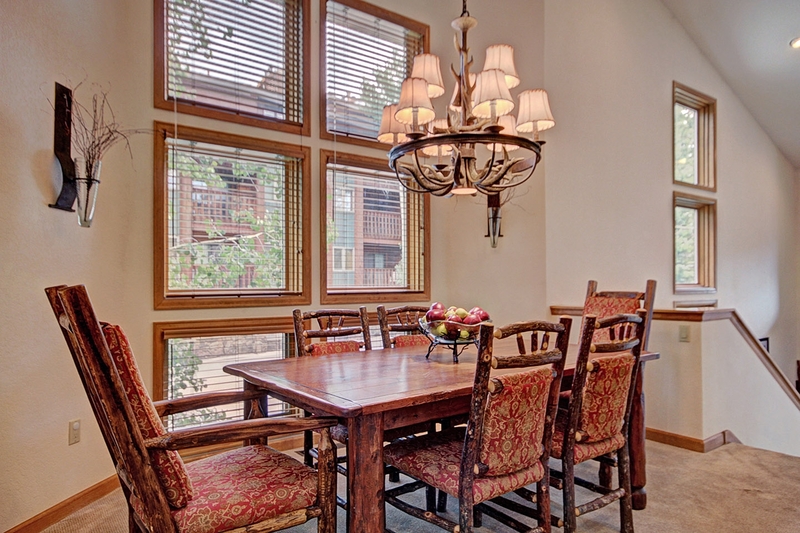 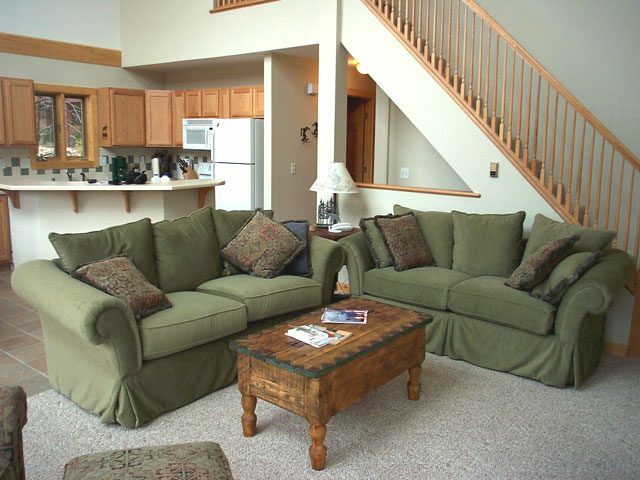 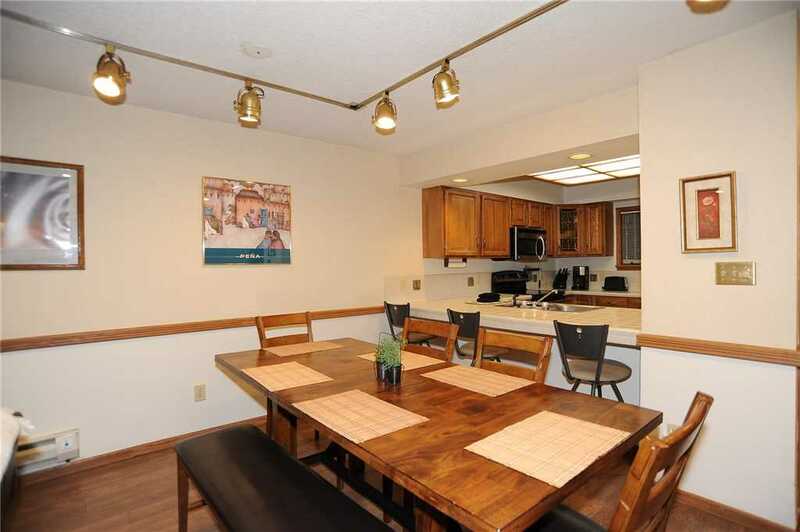 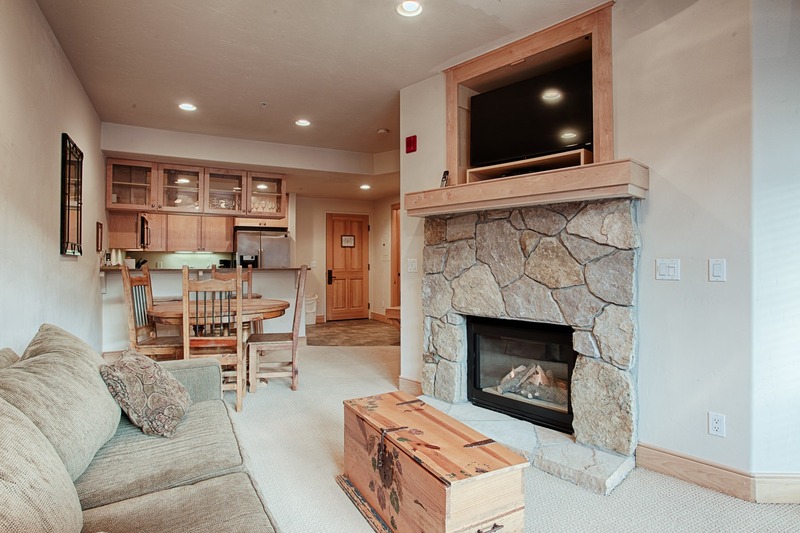 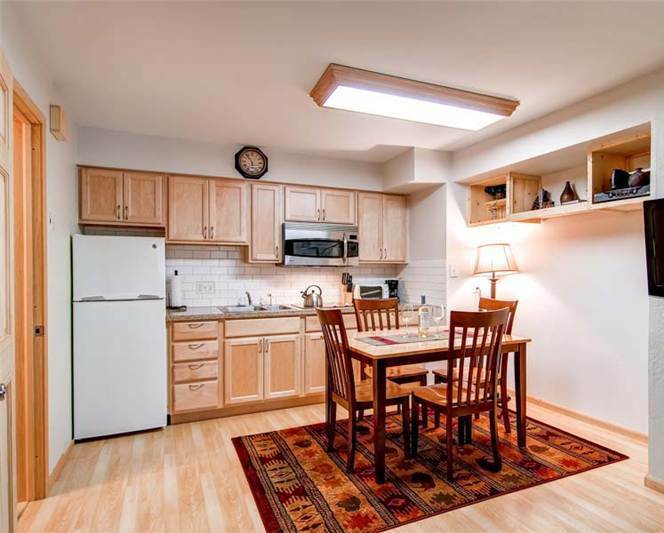 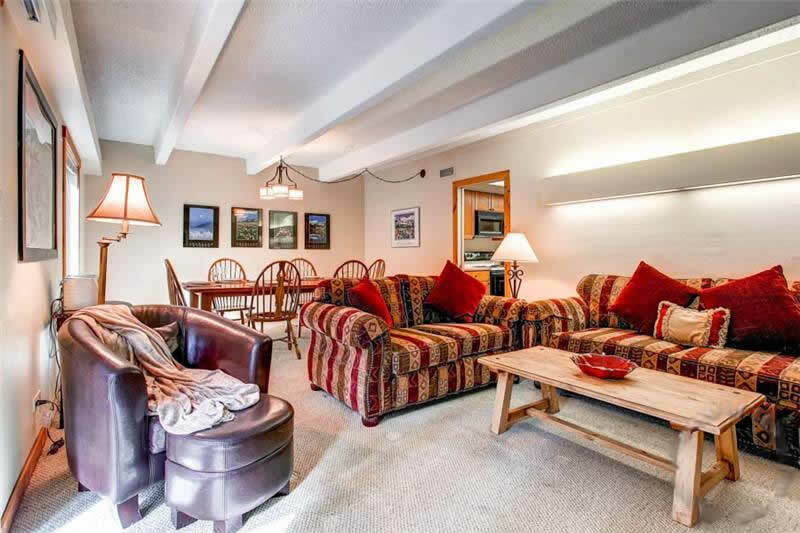 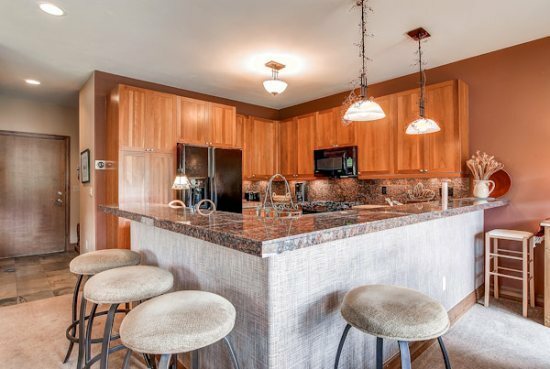 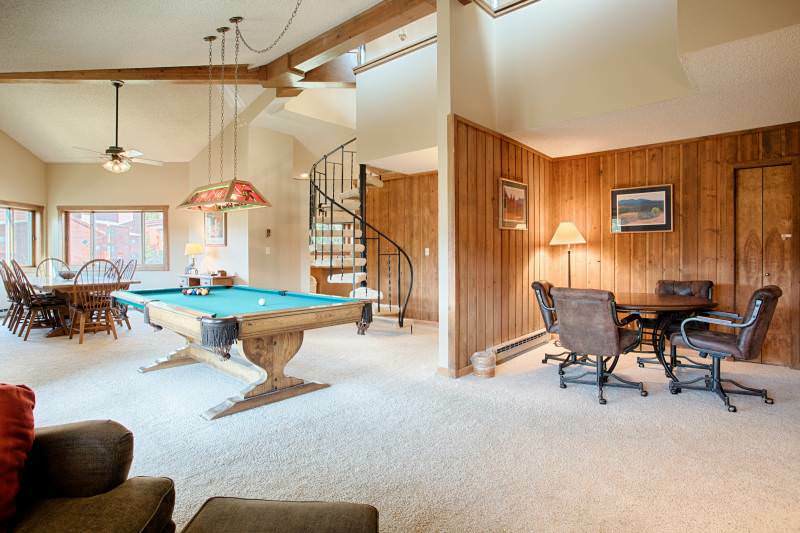 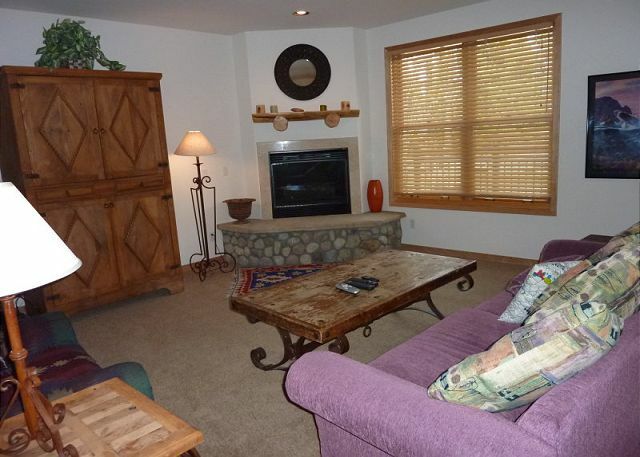 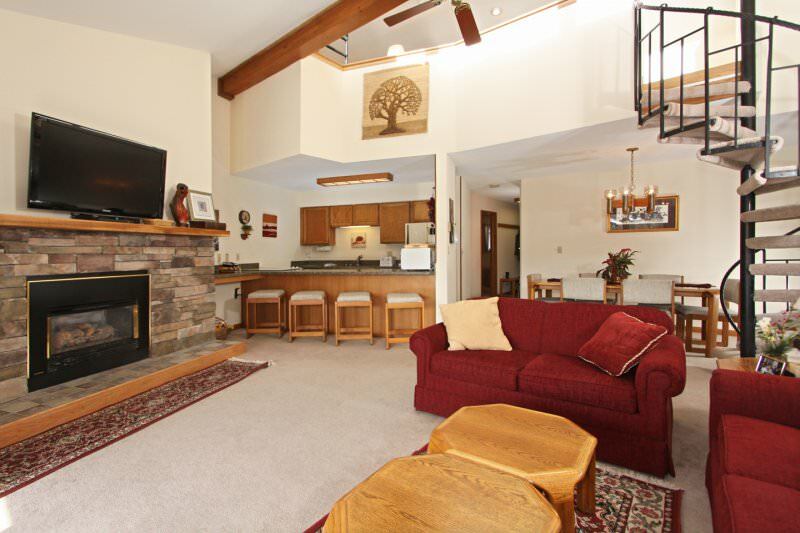 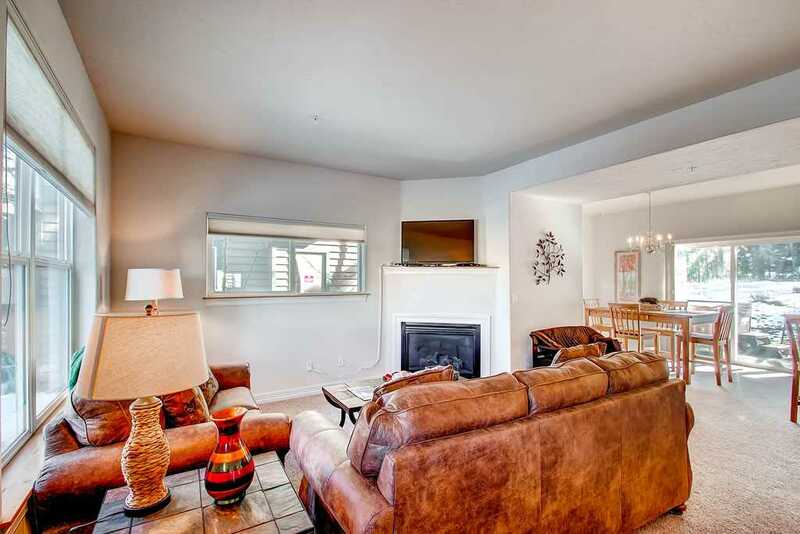 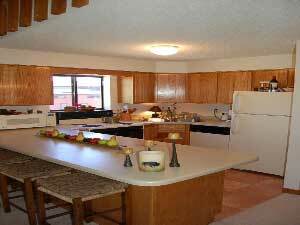 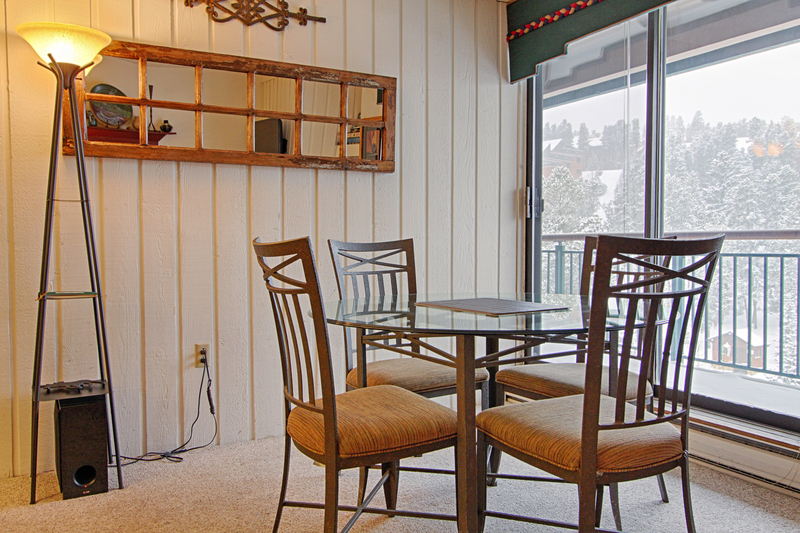 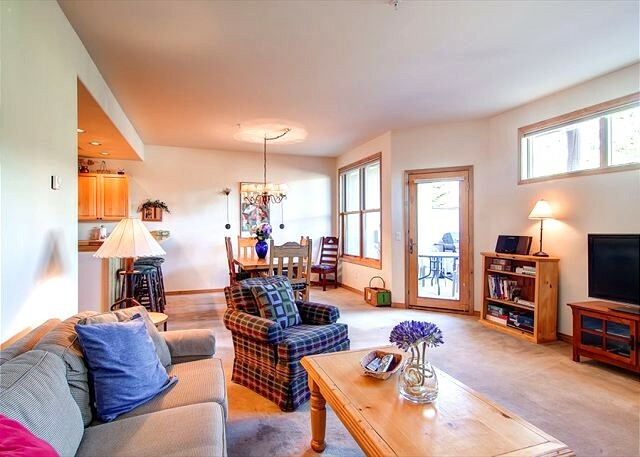 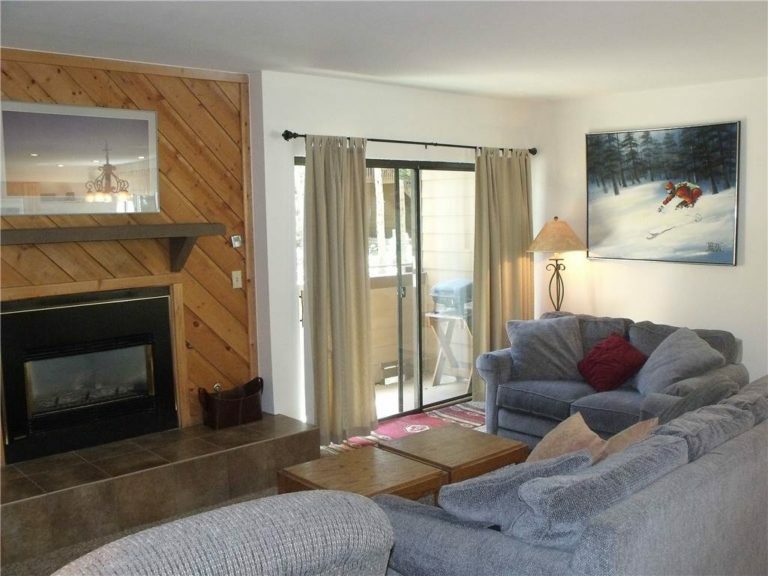 This loft condominium has a prime corner location directly overlooking the Four O’Clock Ski Run. 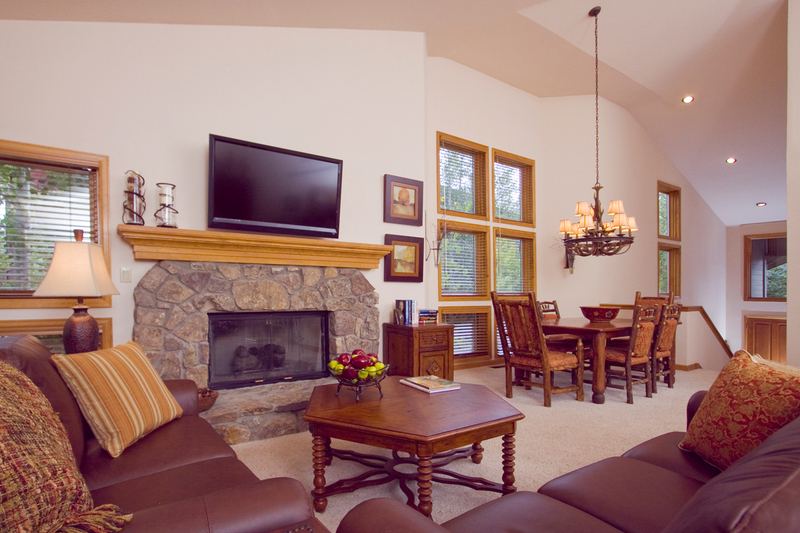 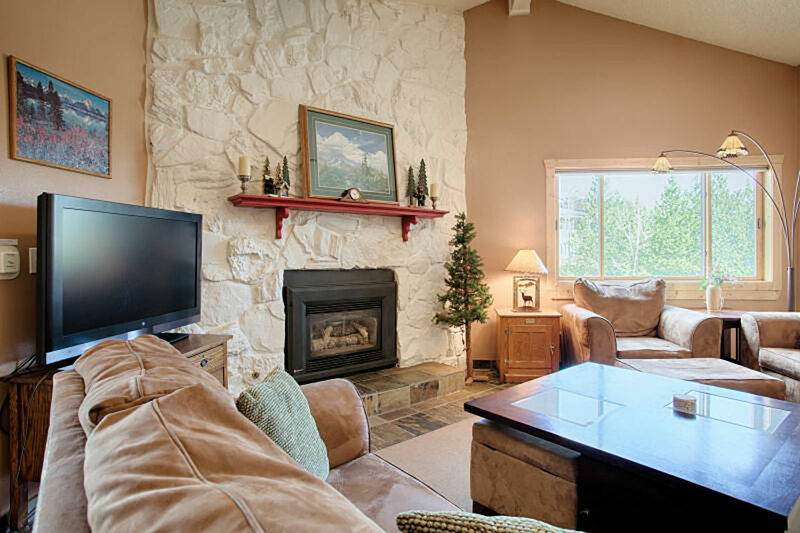 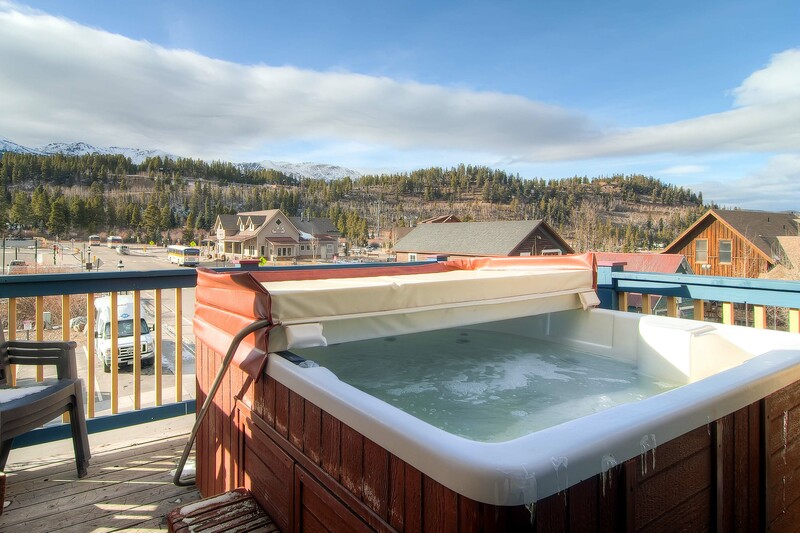 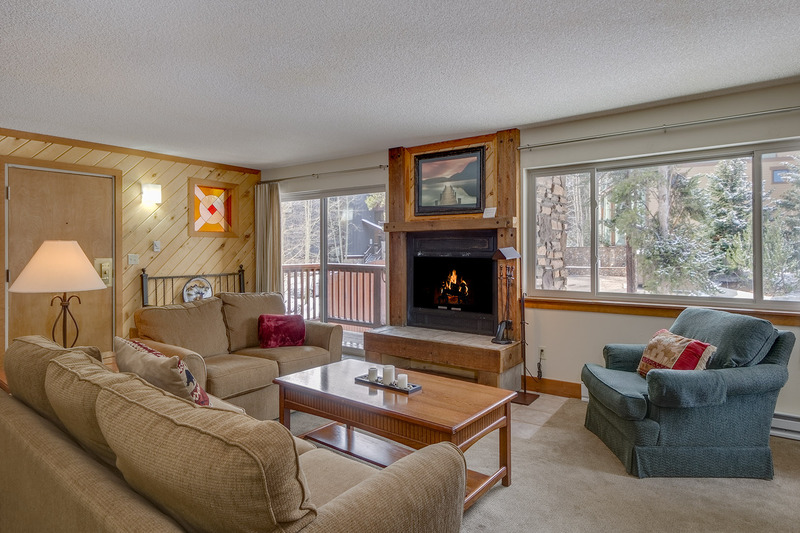 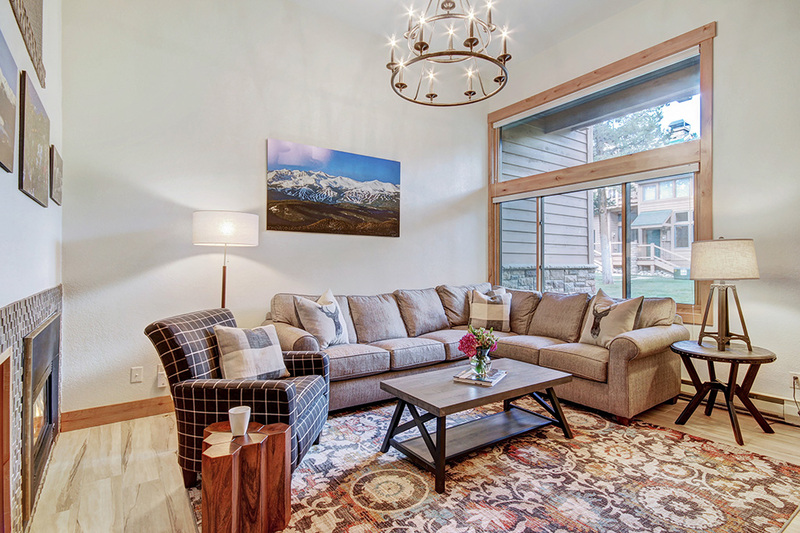 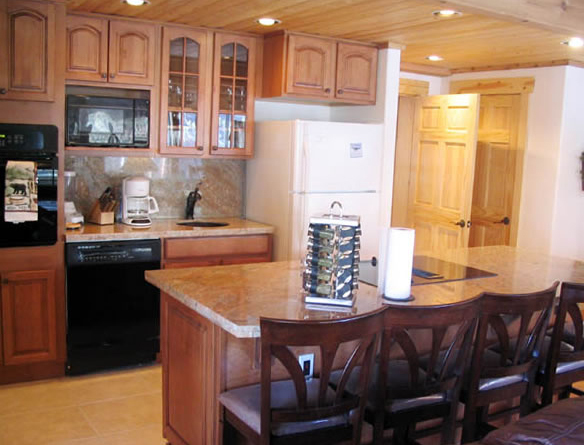 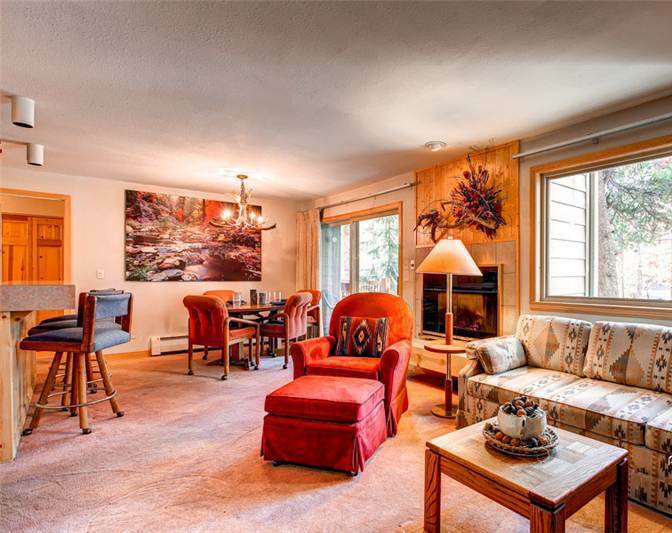 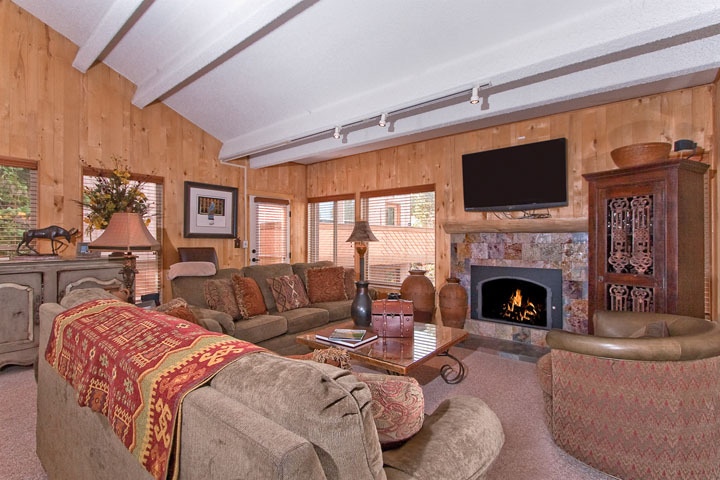 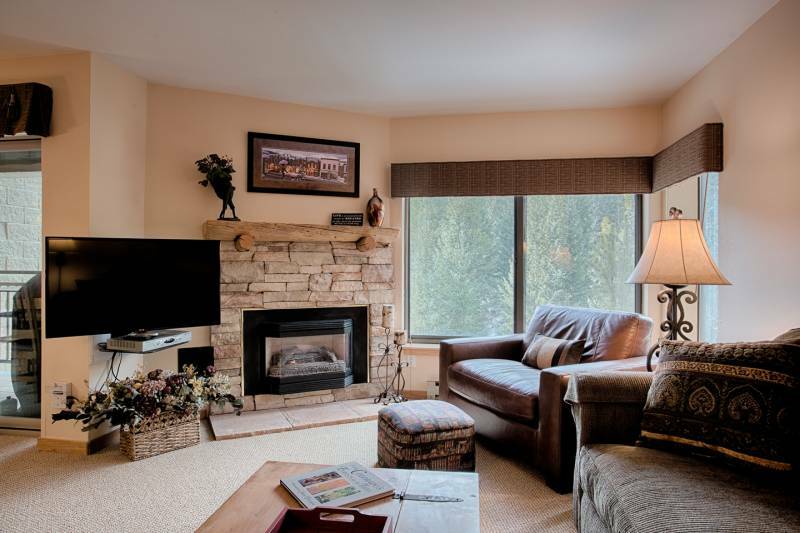 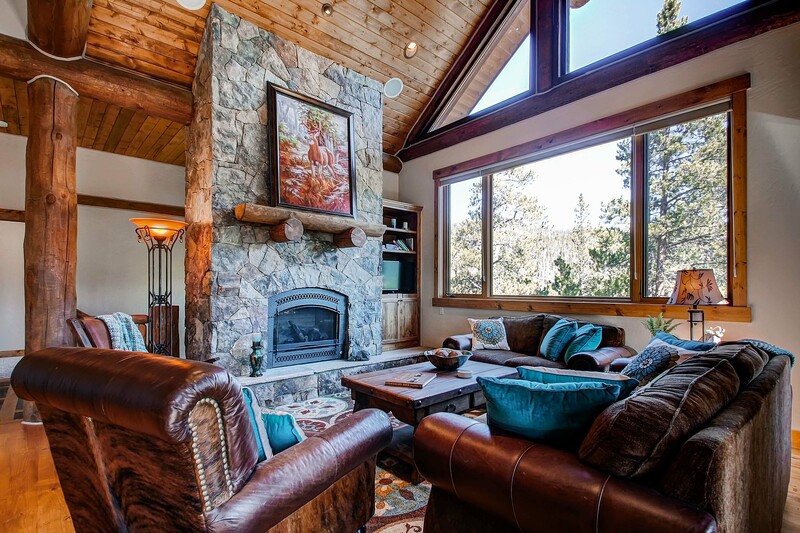 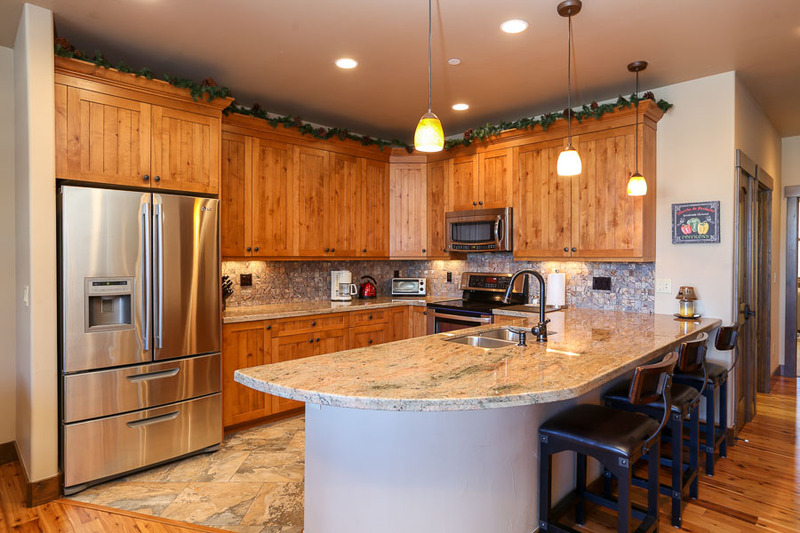 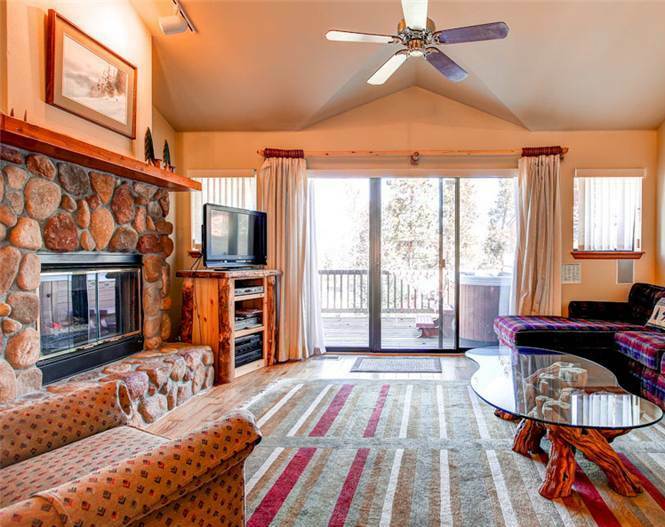 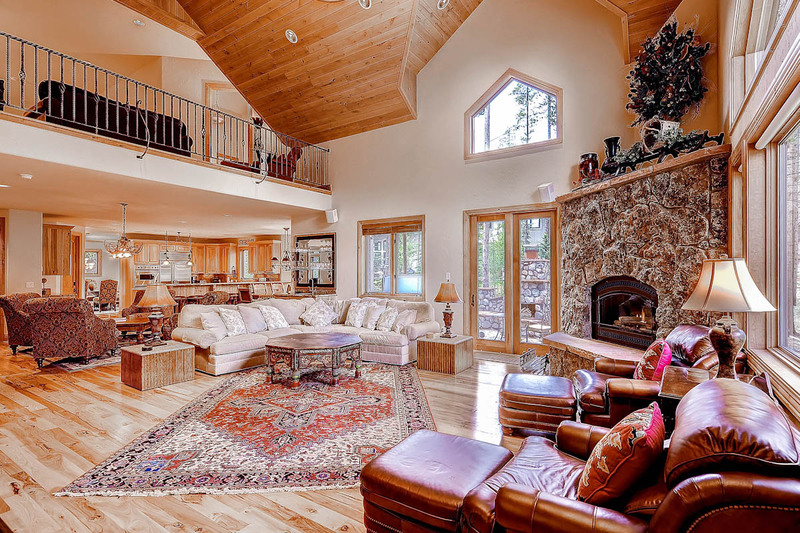 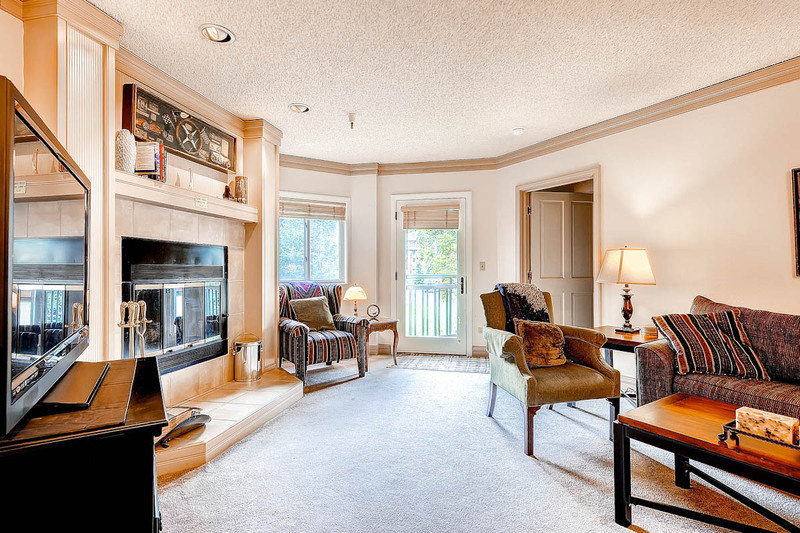 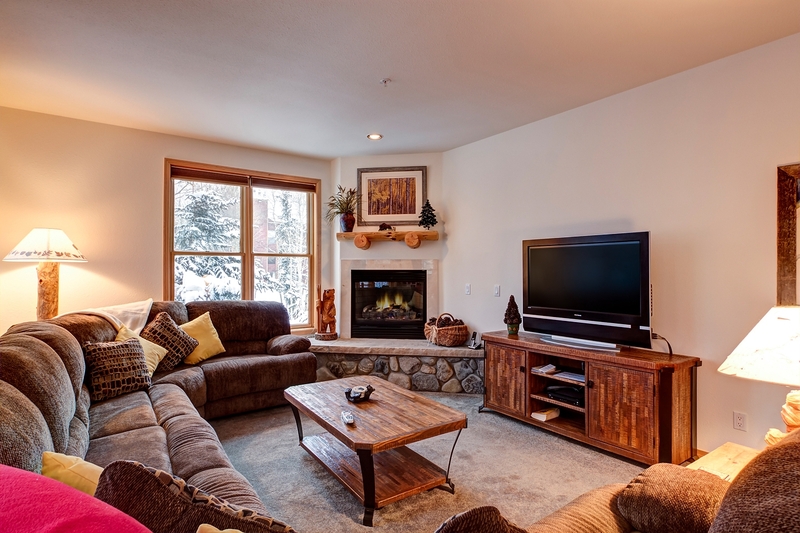 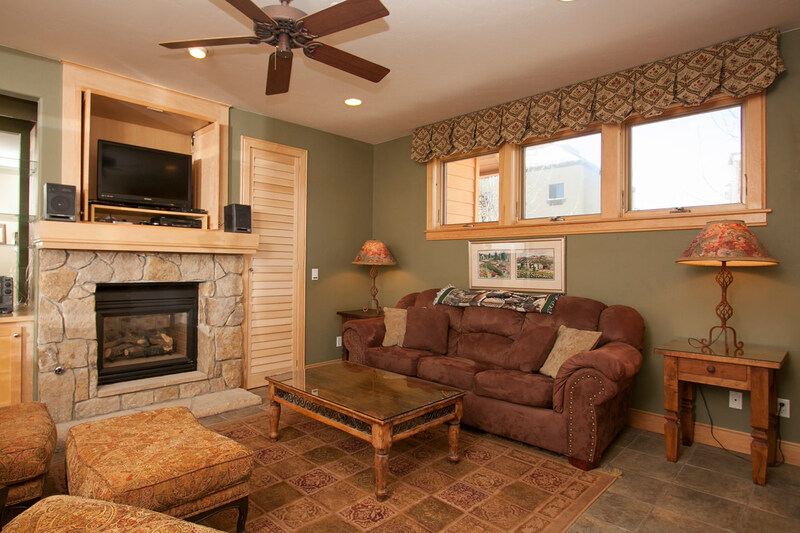 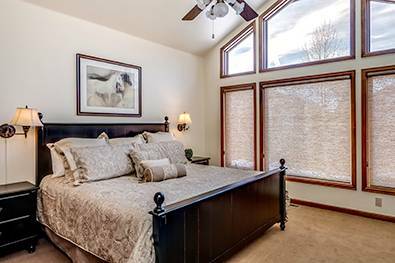 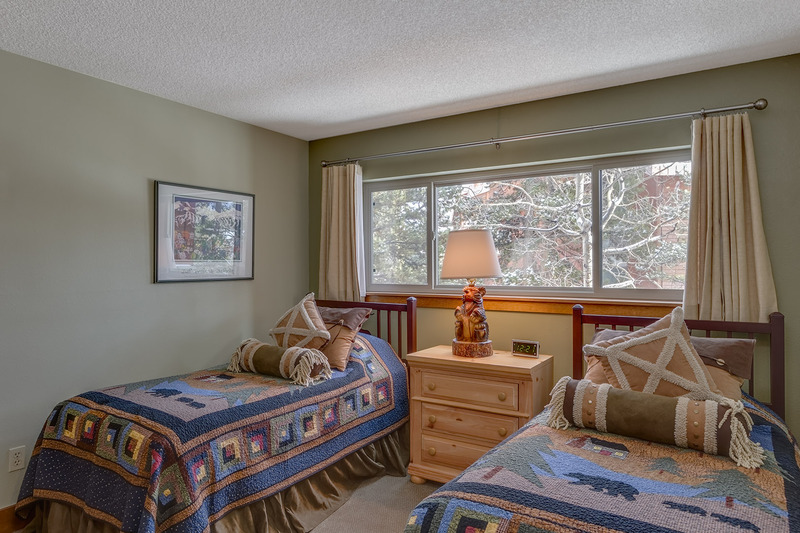 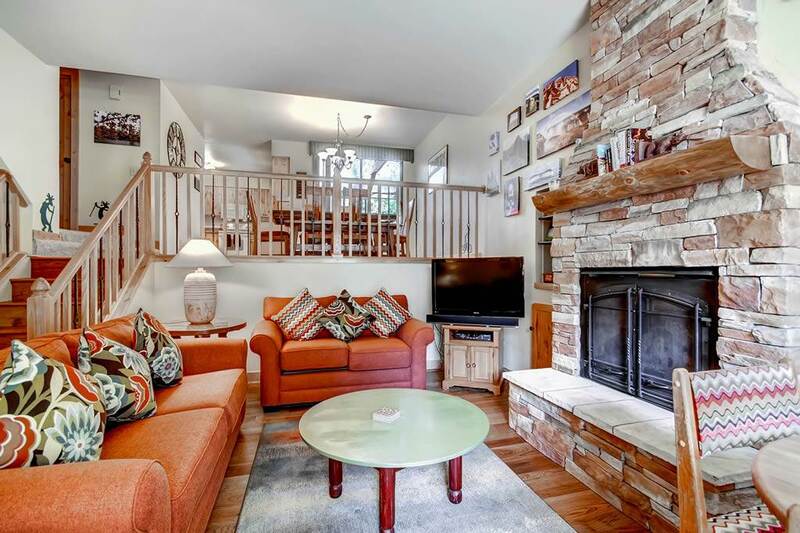 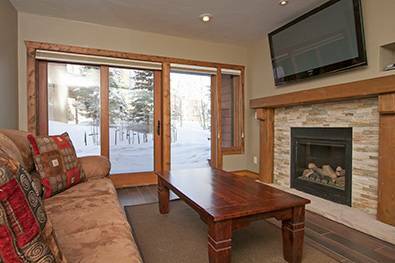 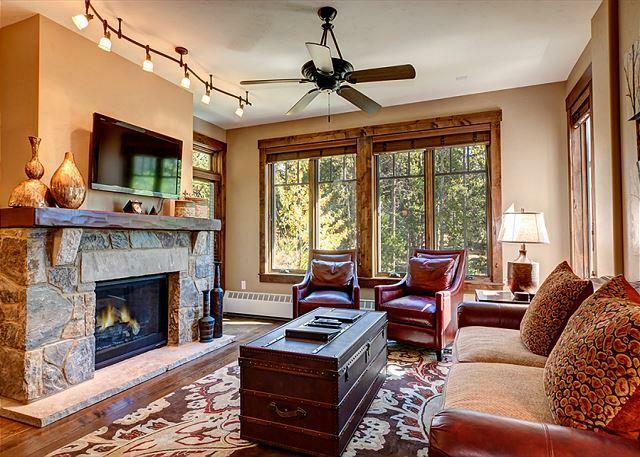 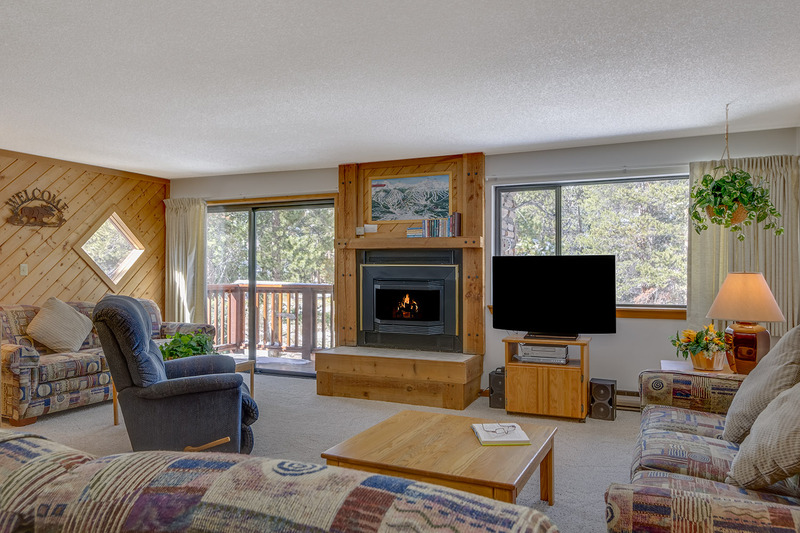 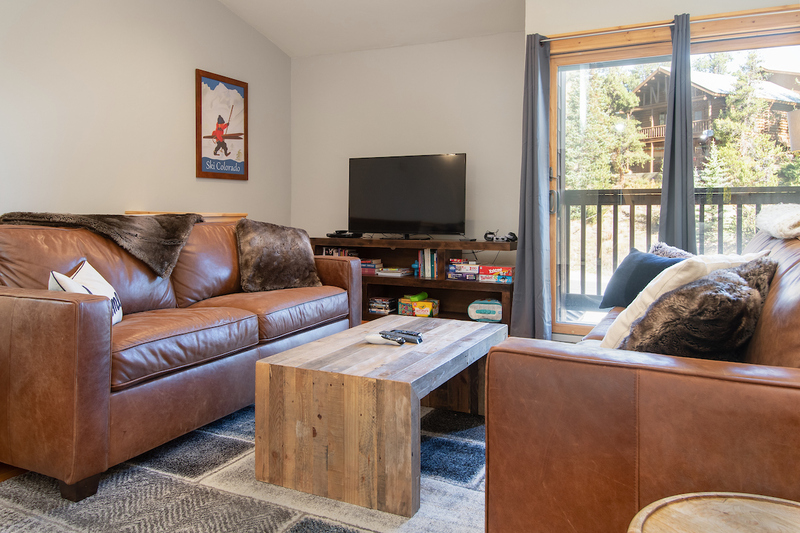 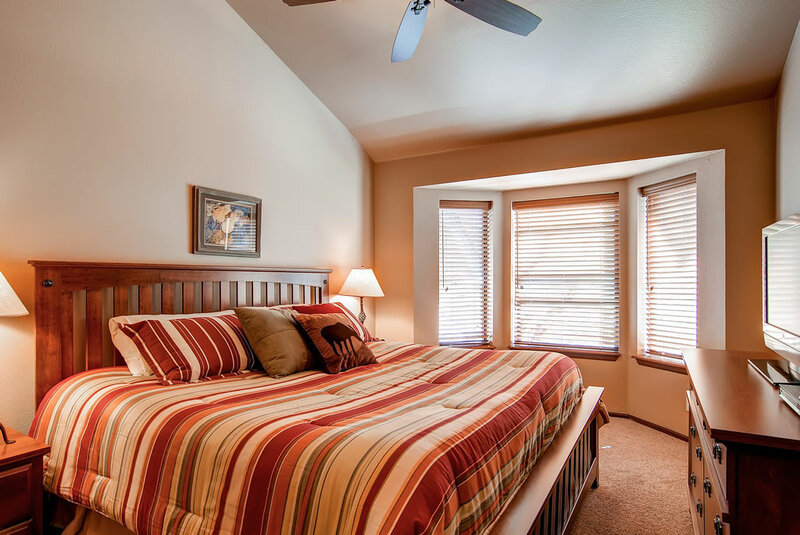 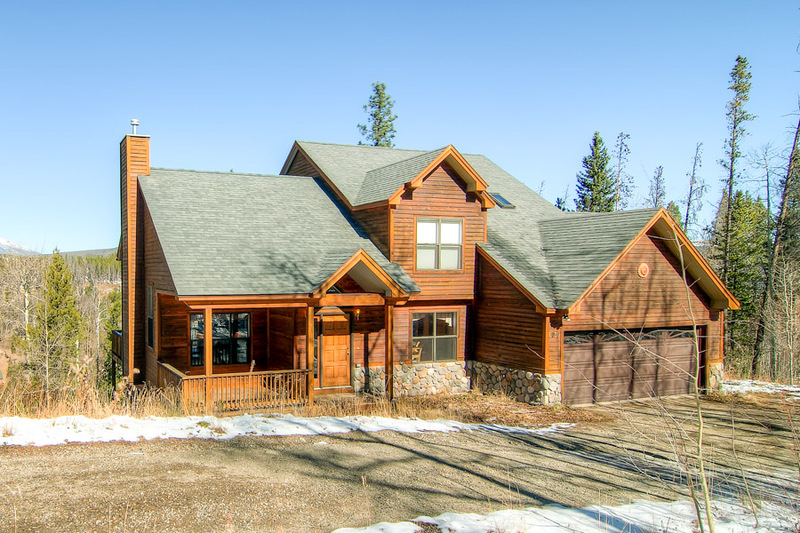 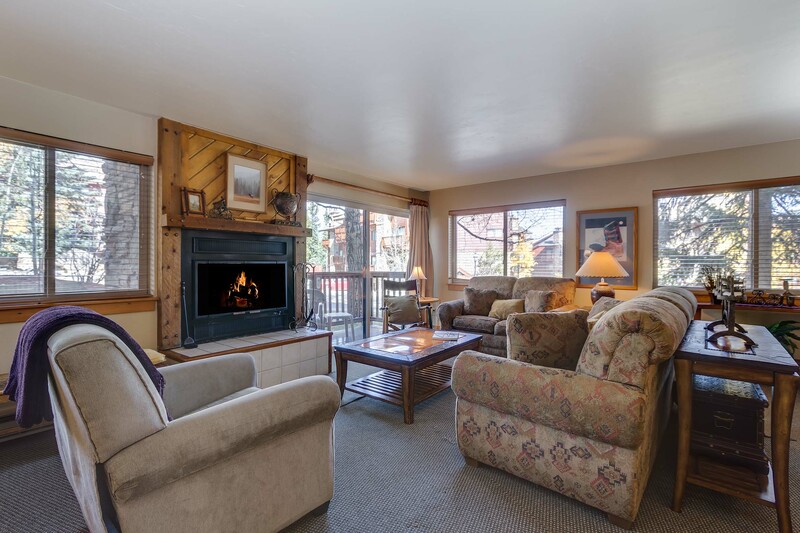 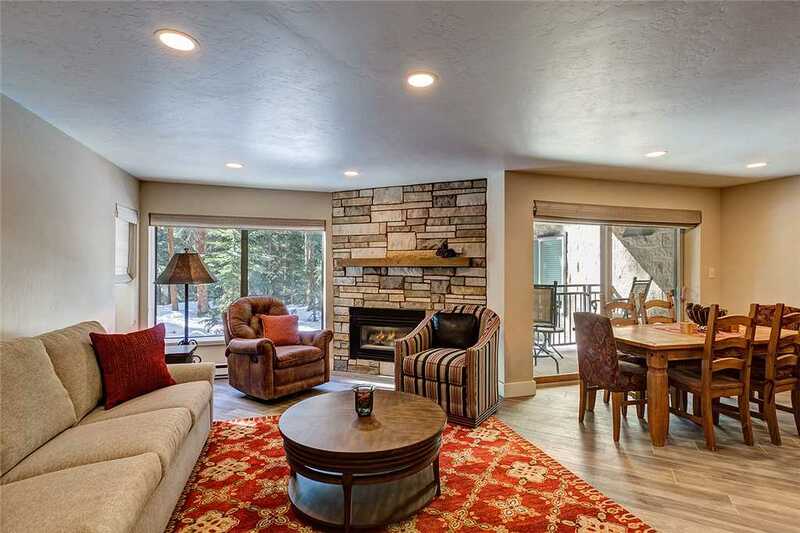 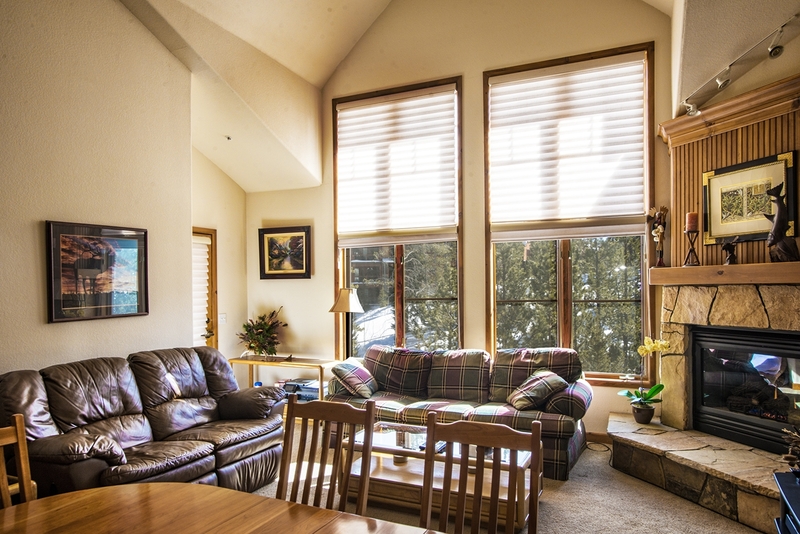 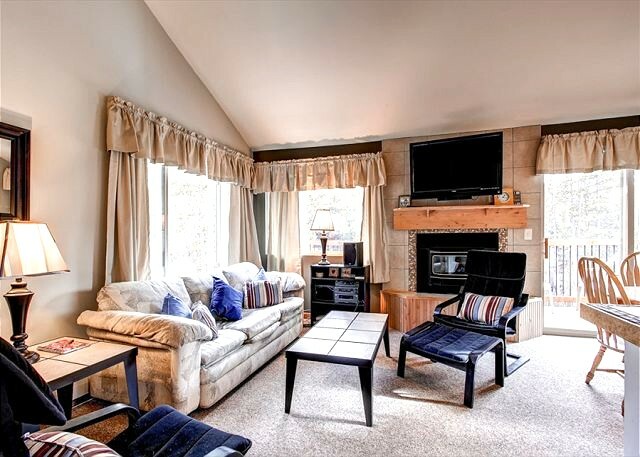 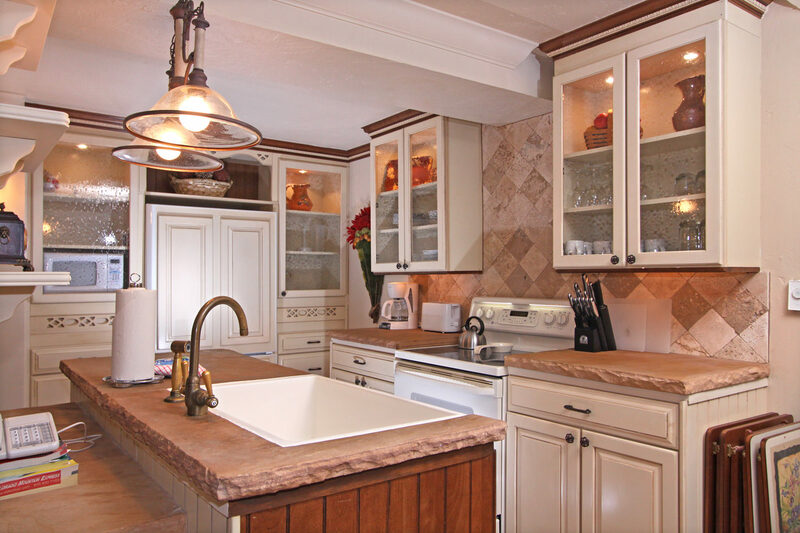 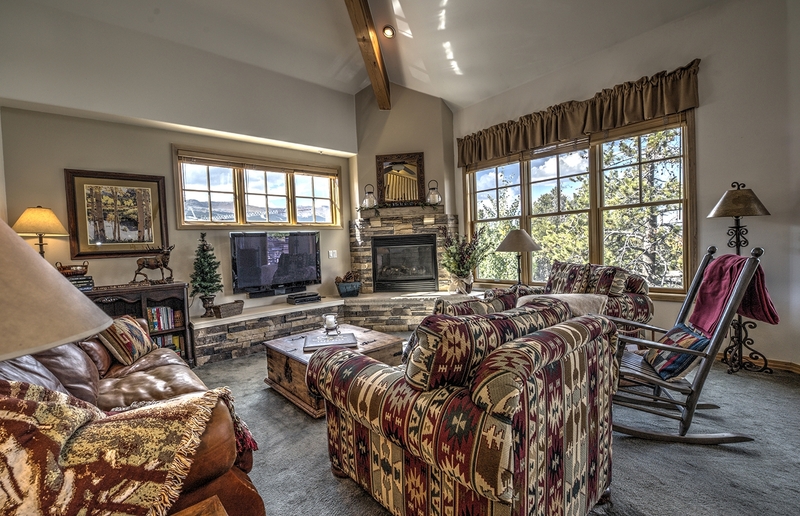 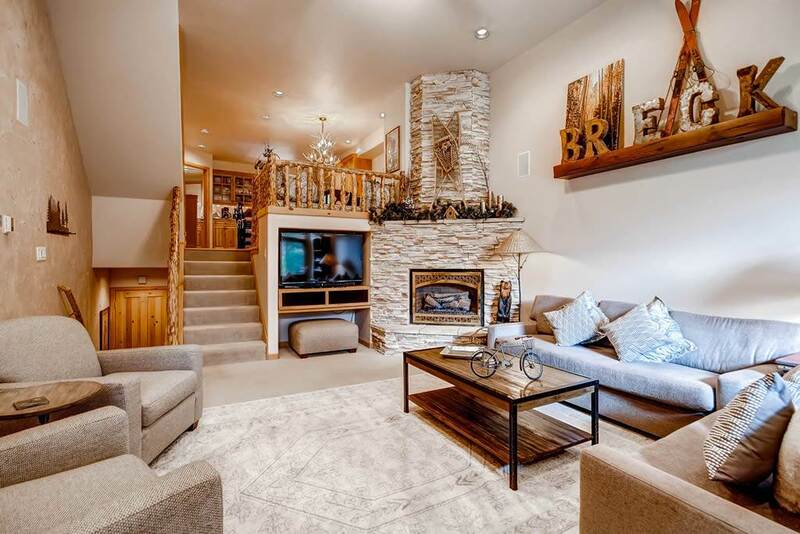 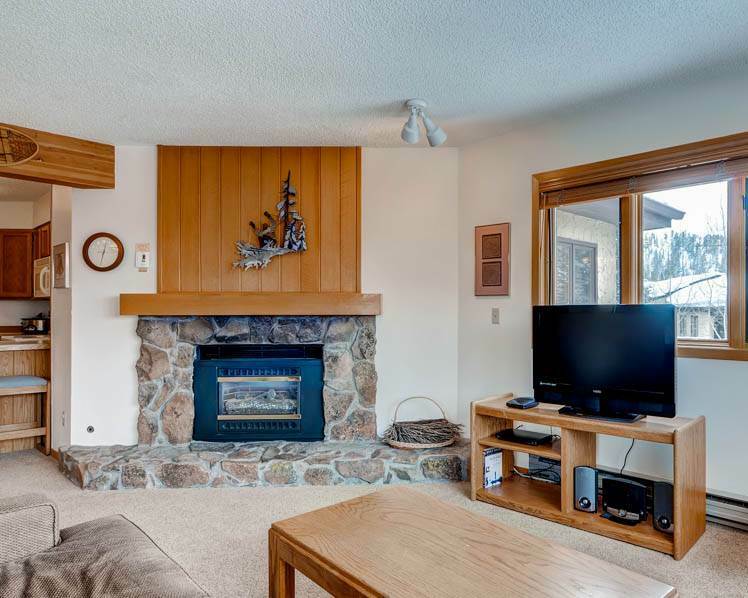 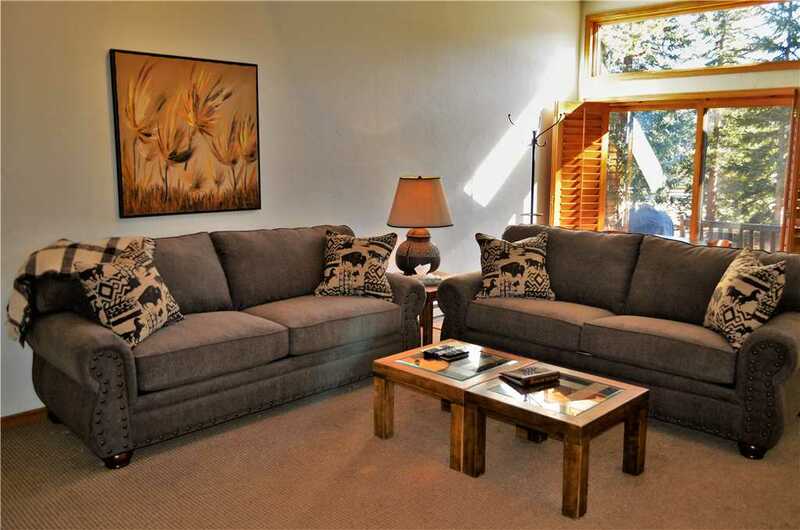 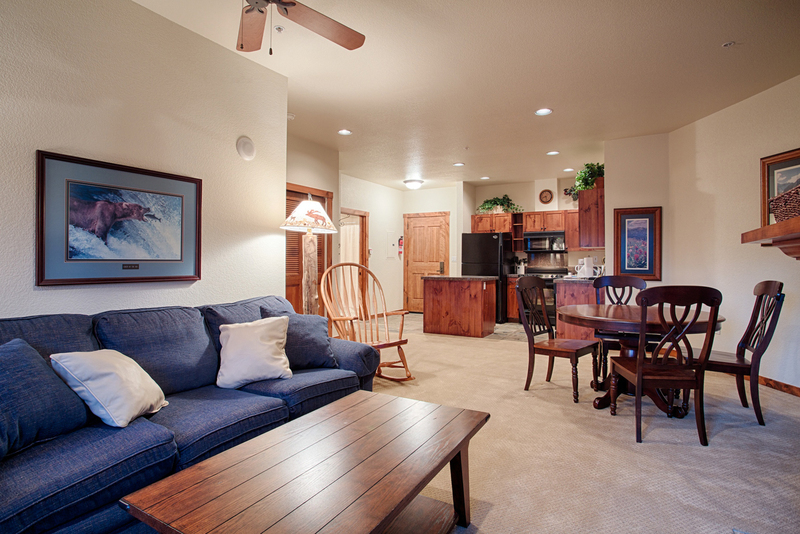 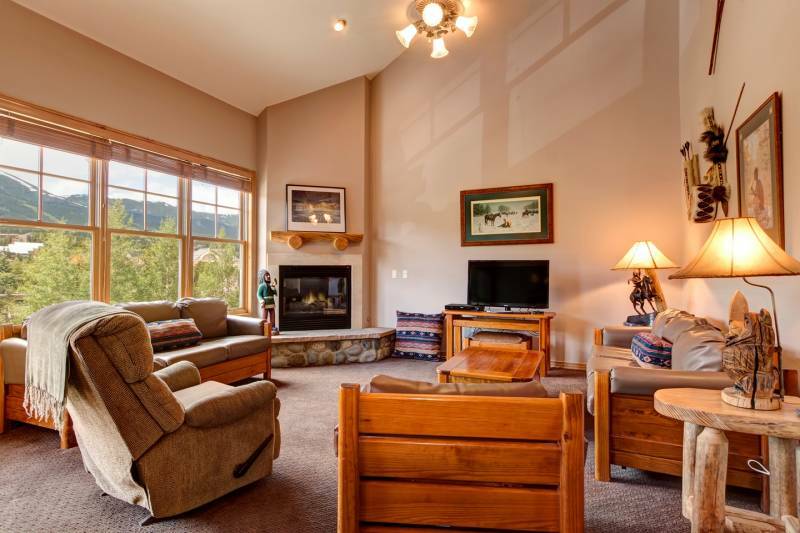 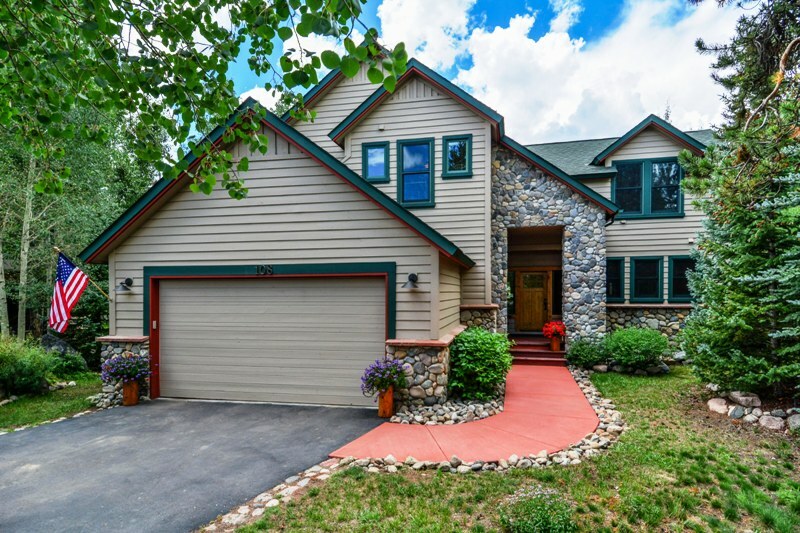 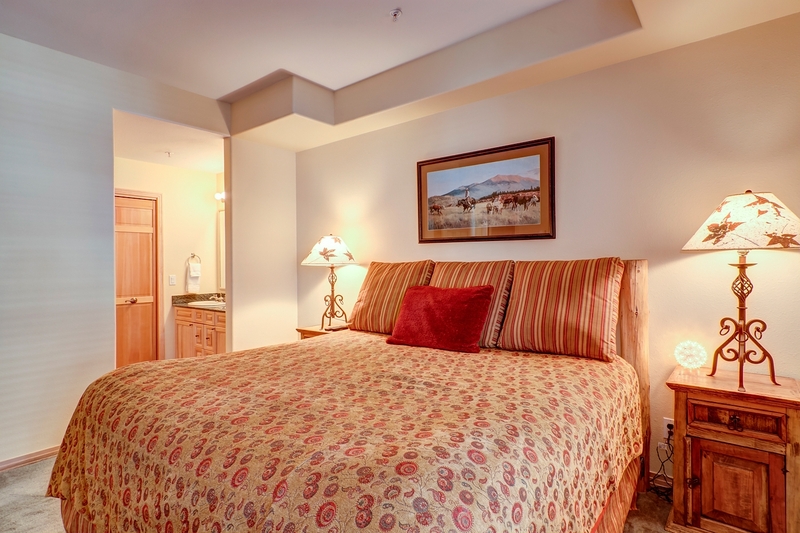 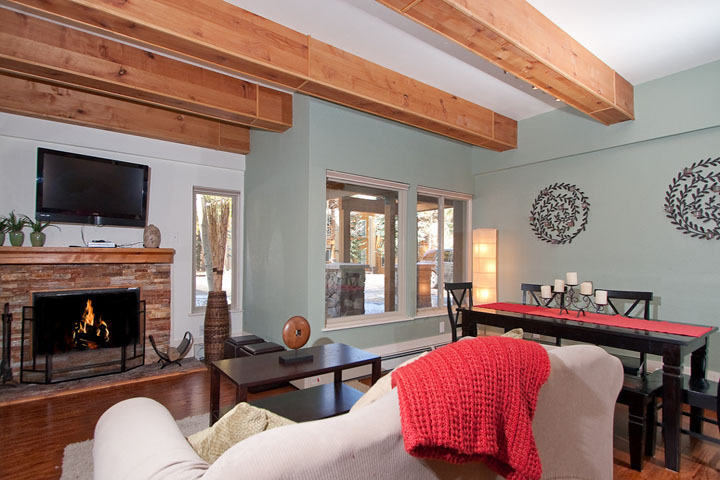 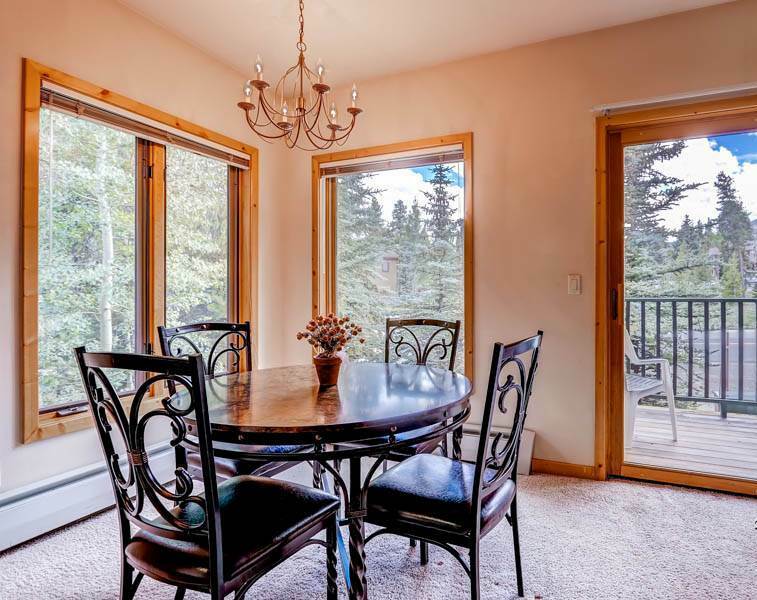 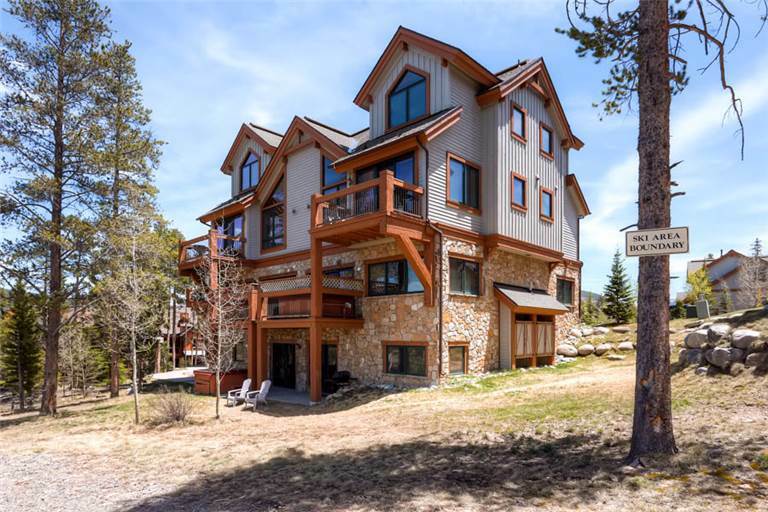 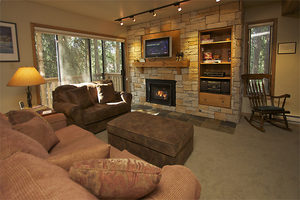 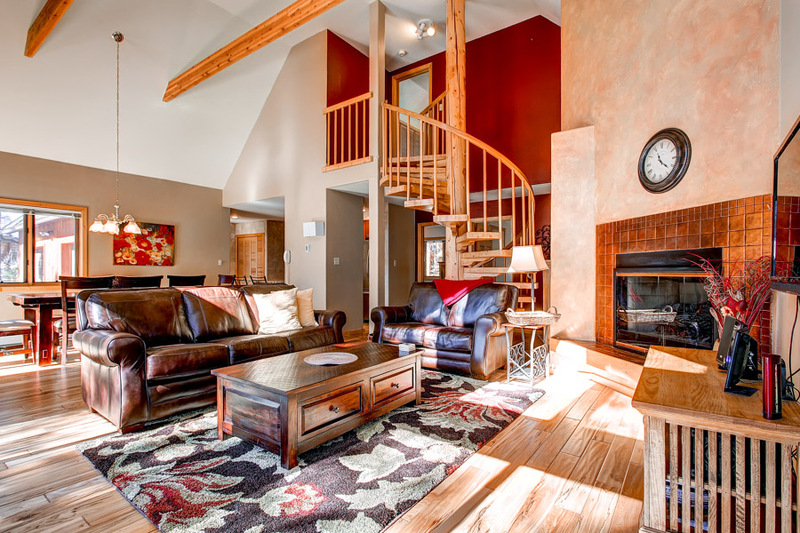 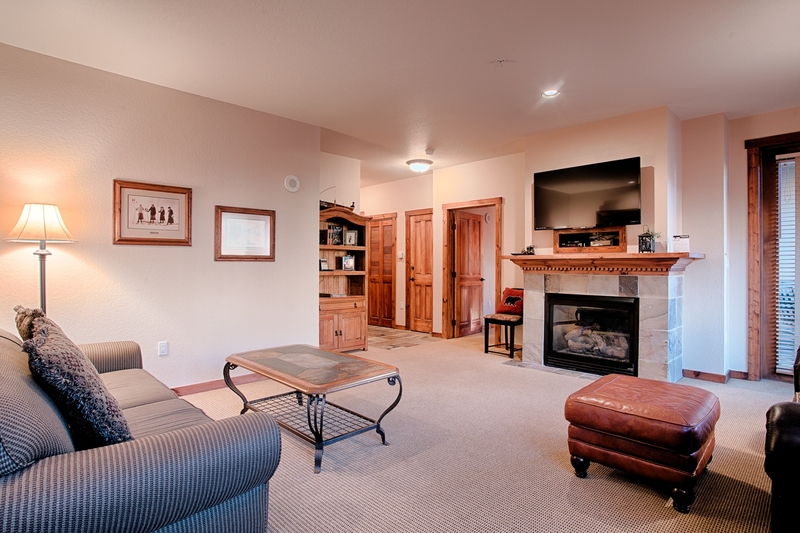 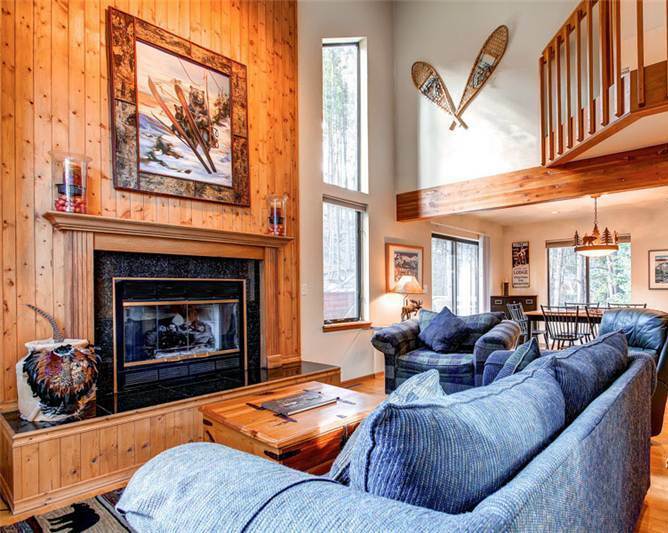 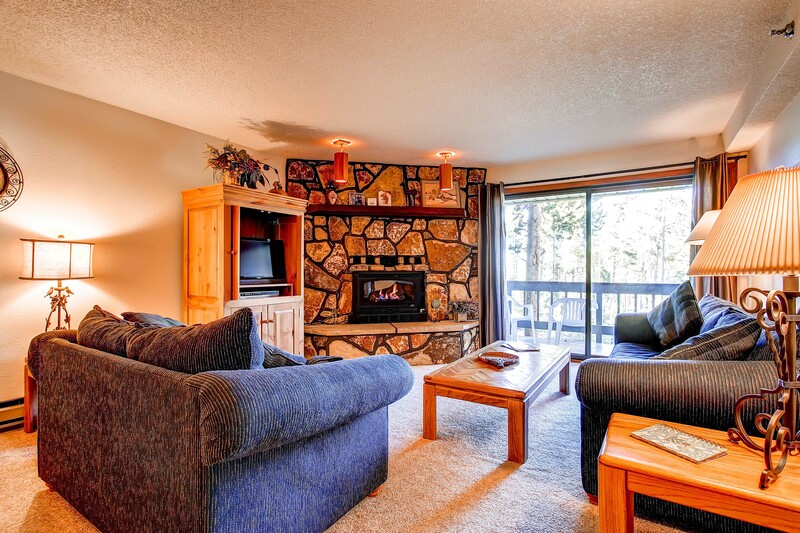 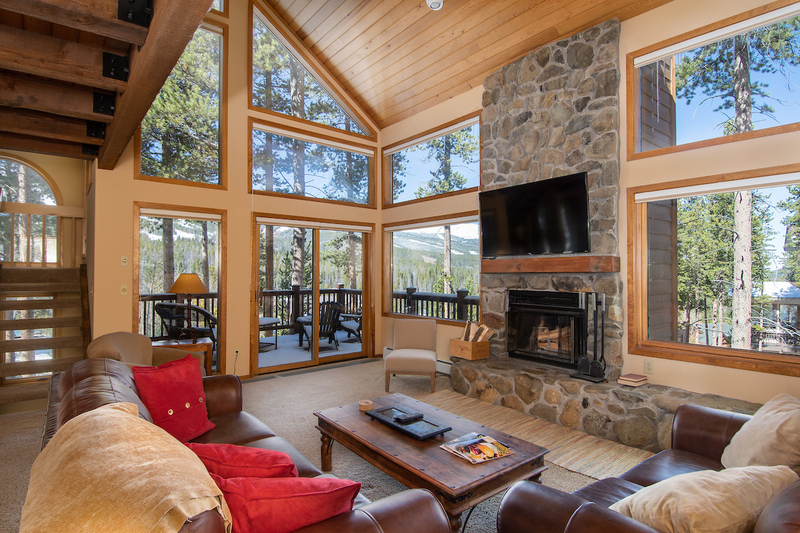 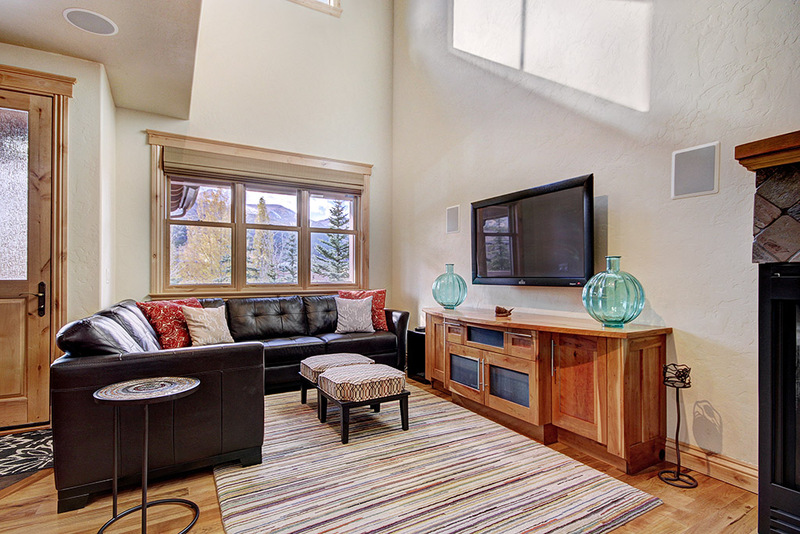 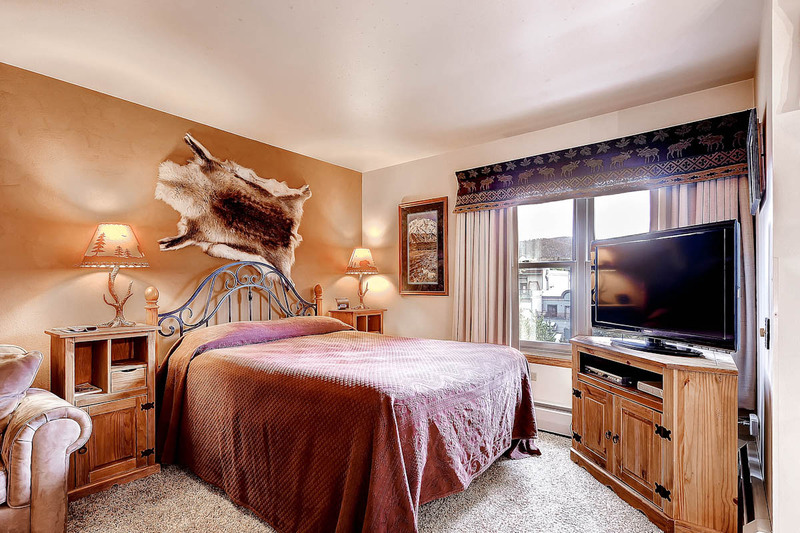 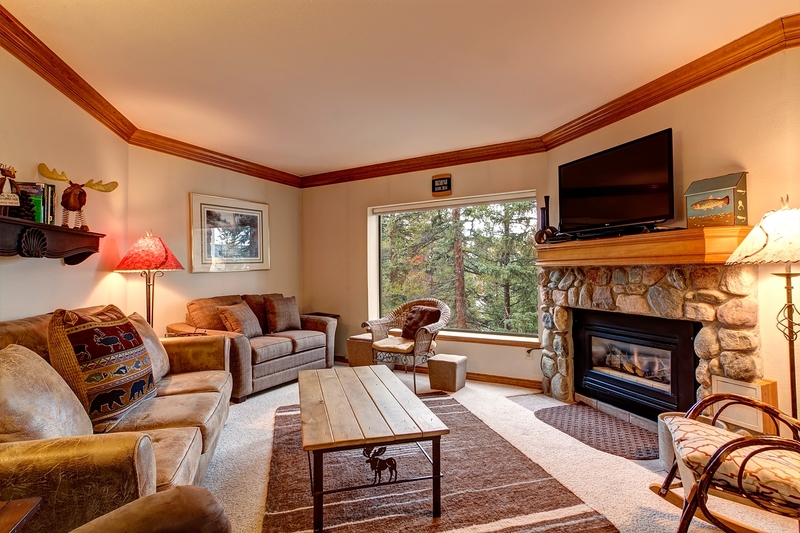 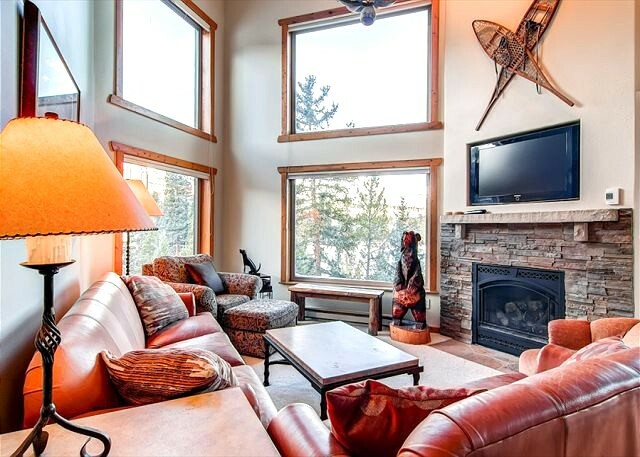 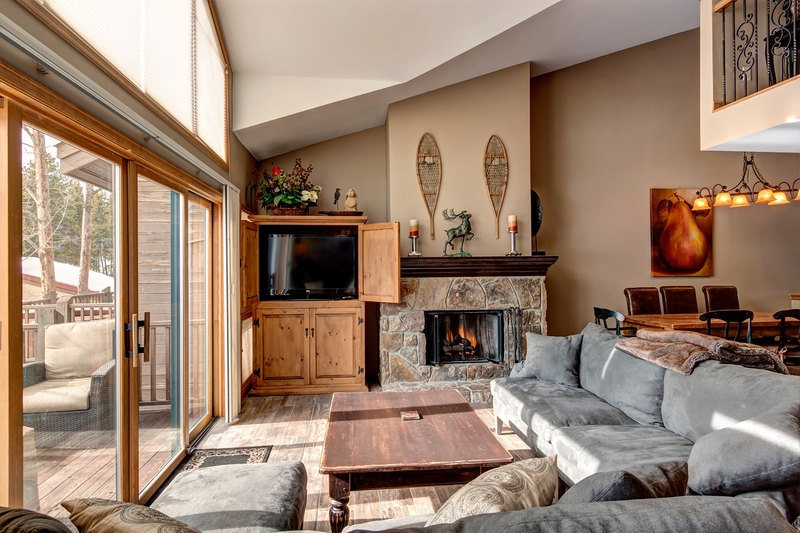 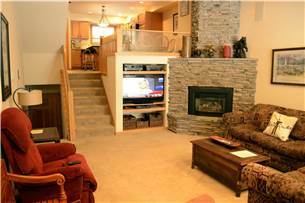 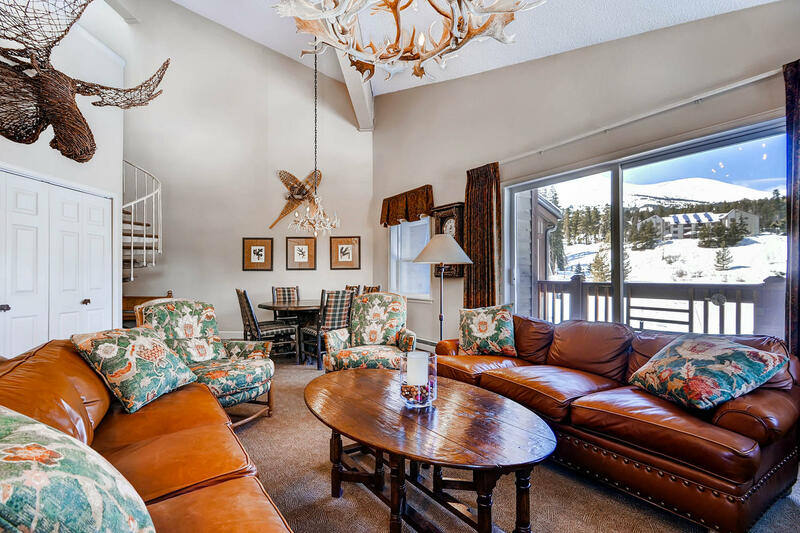 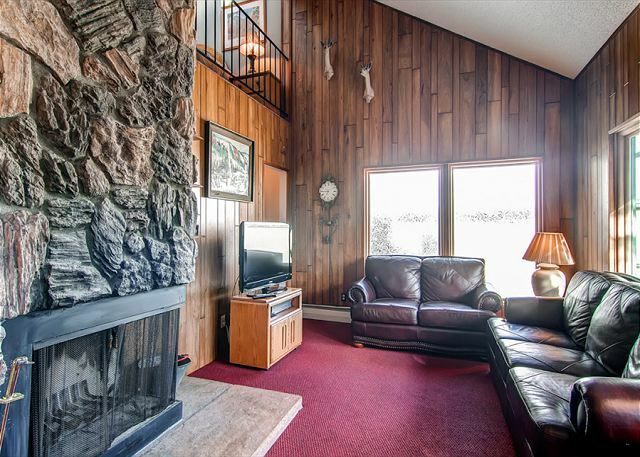 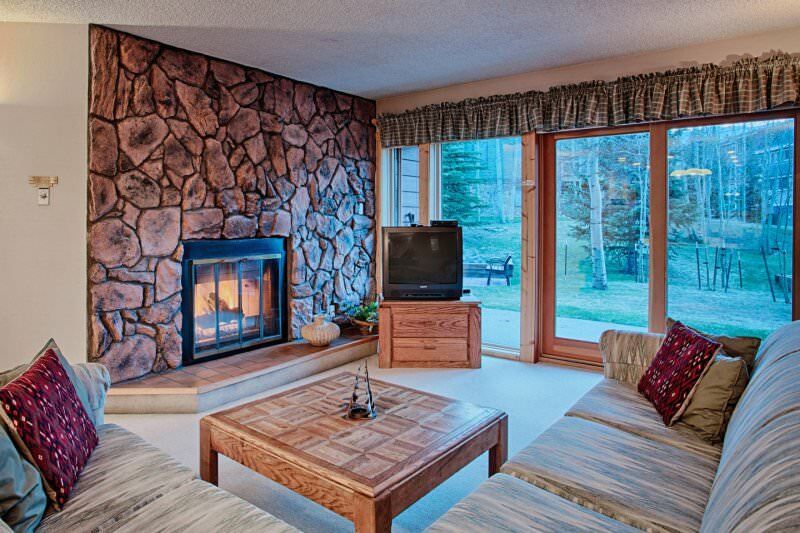 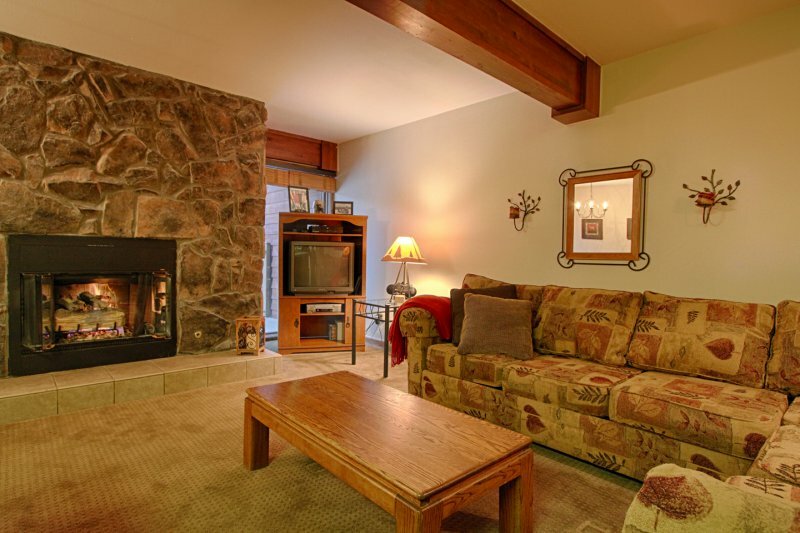 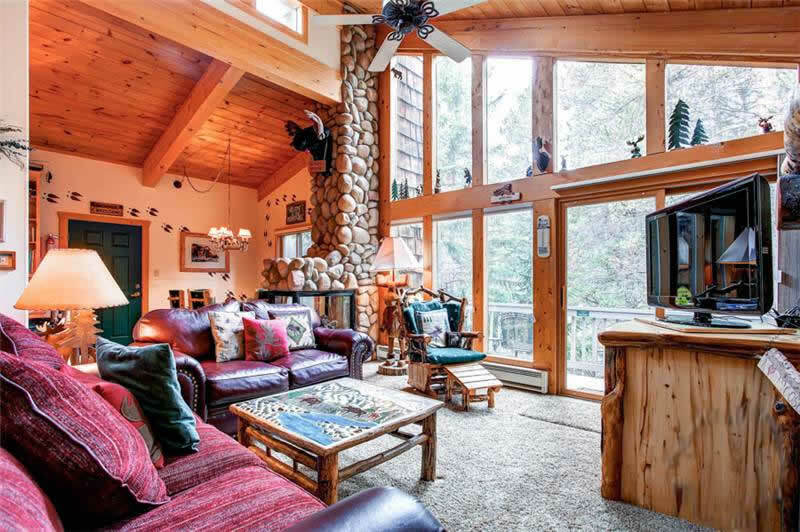 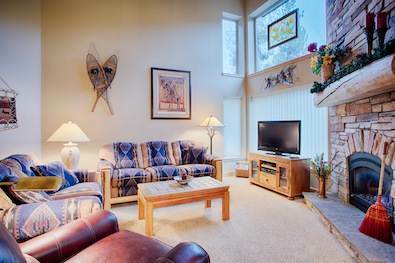 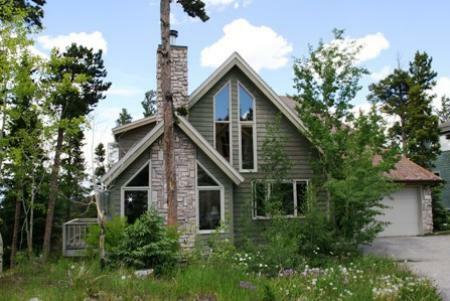 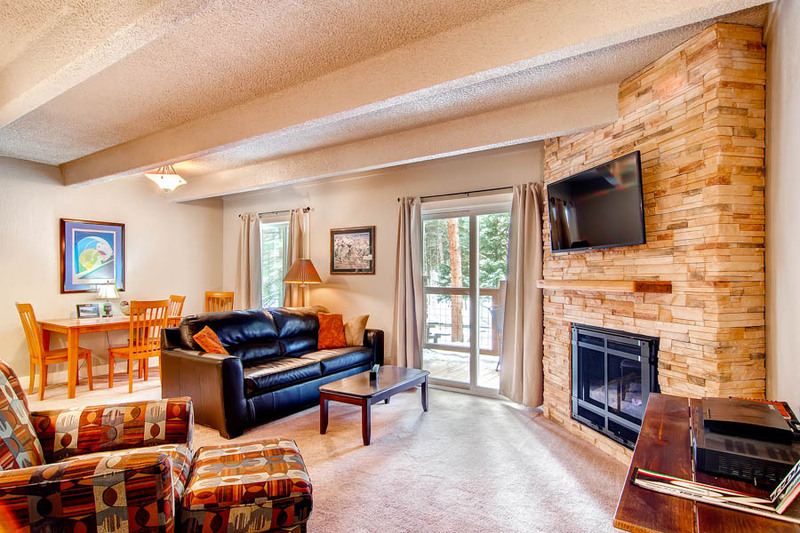 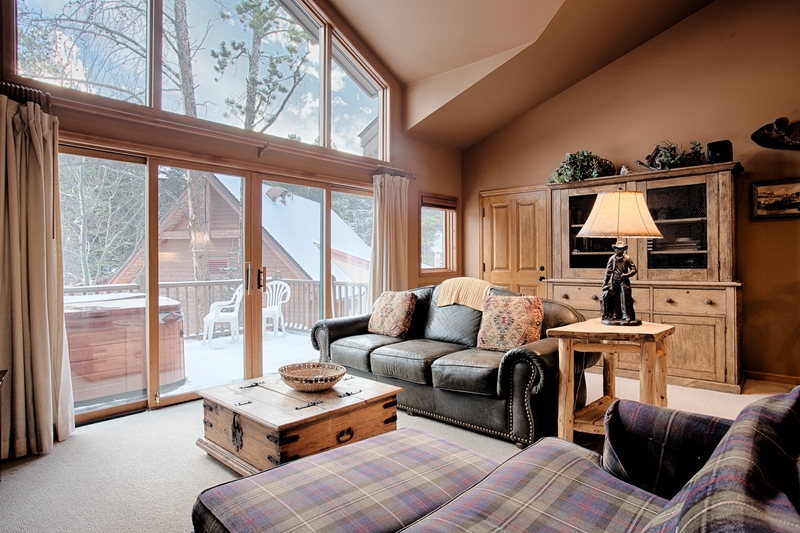 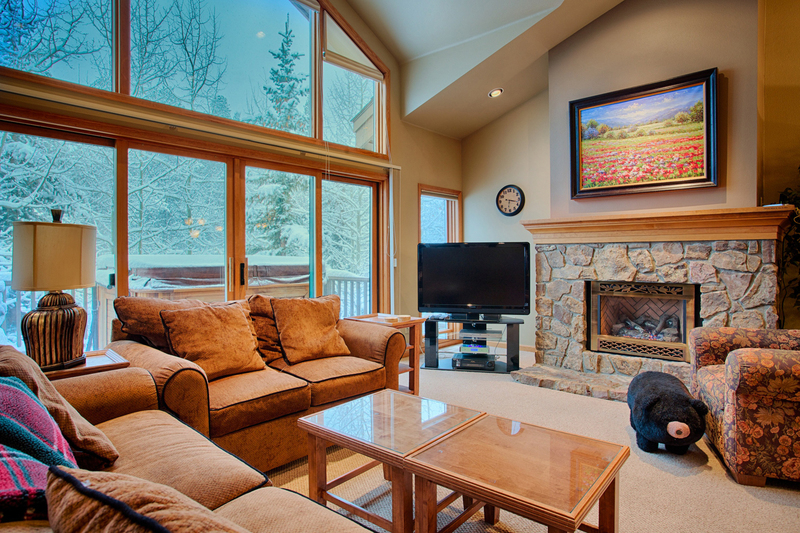 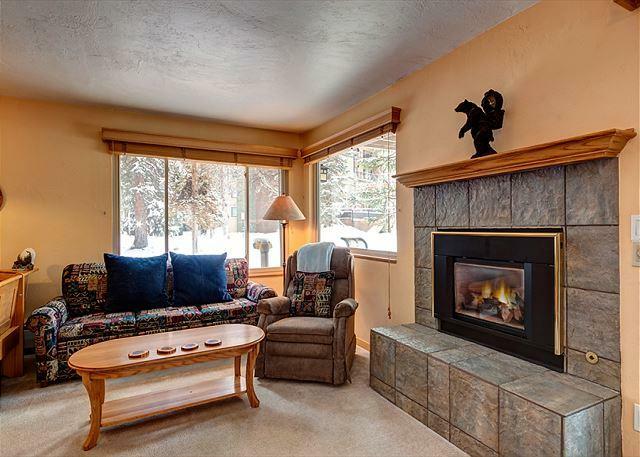 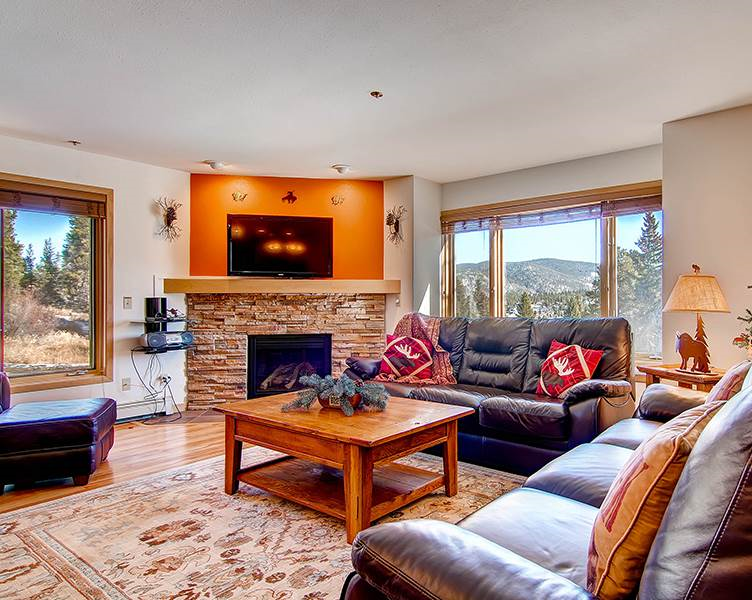 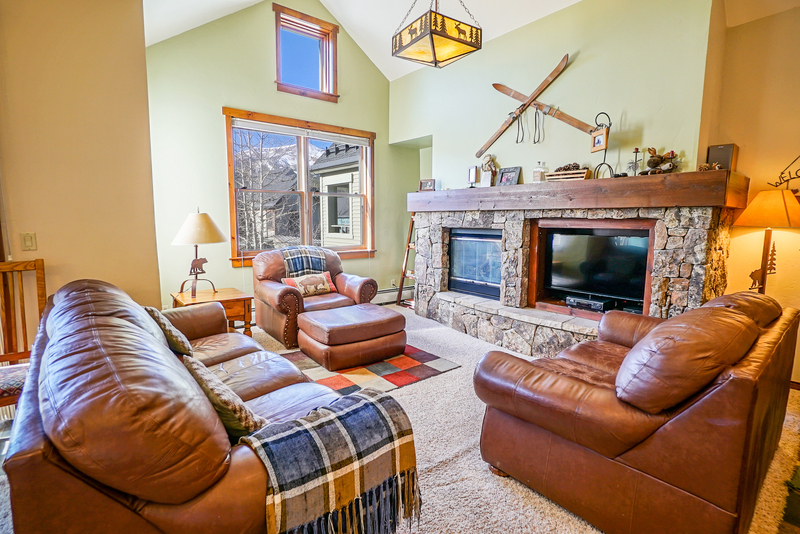 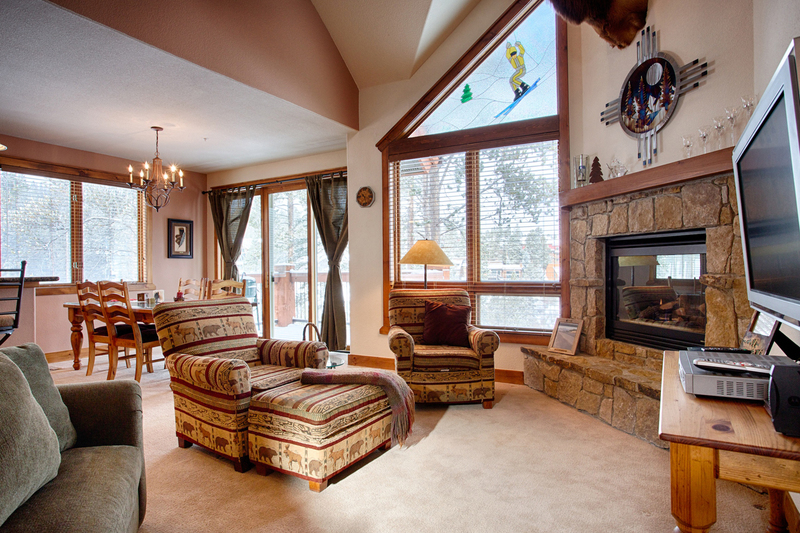 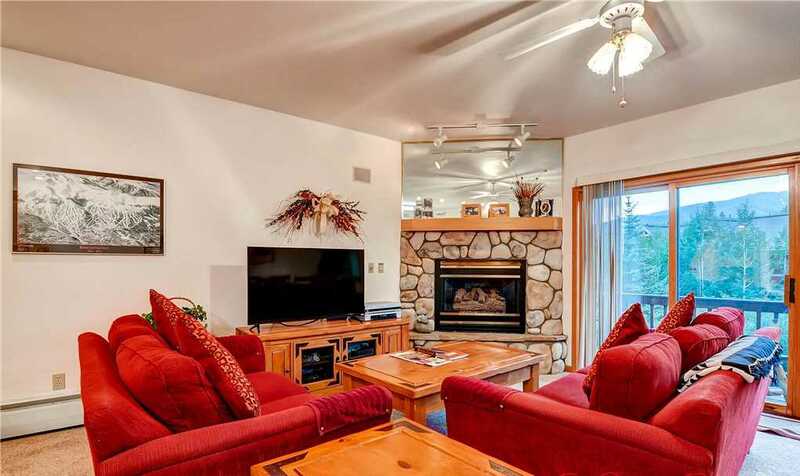 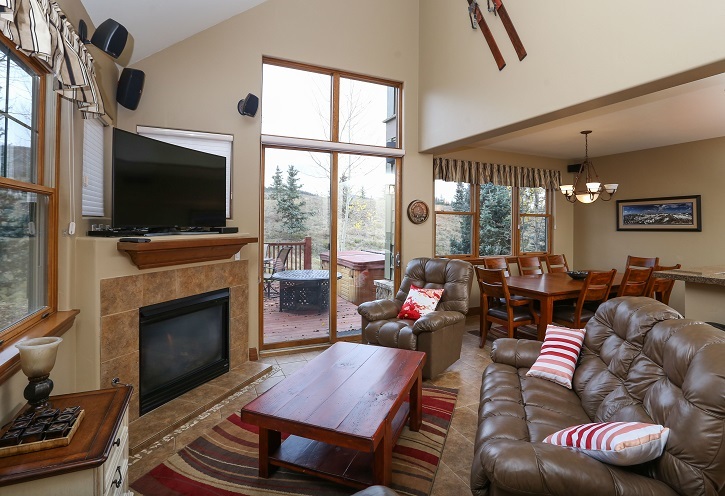 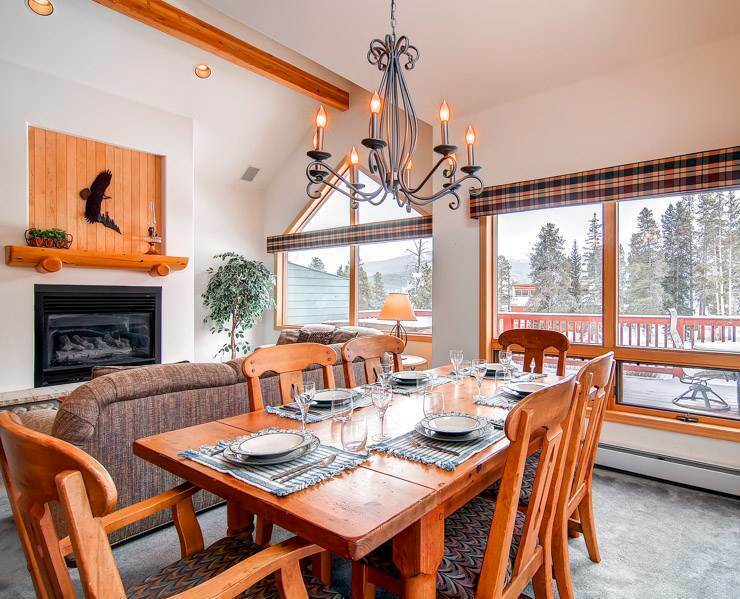 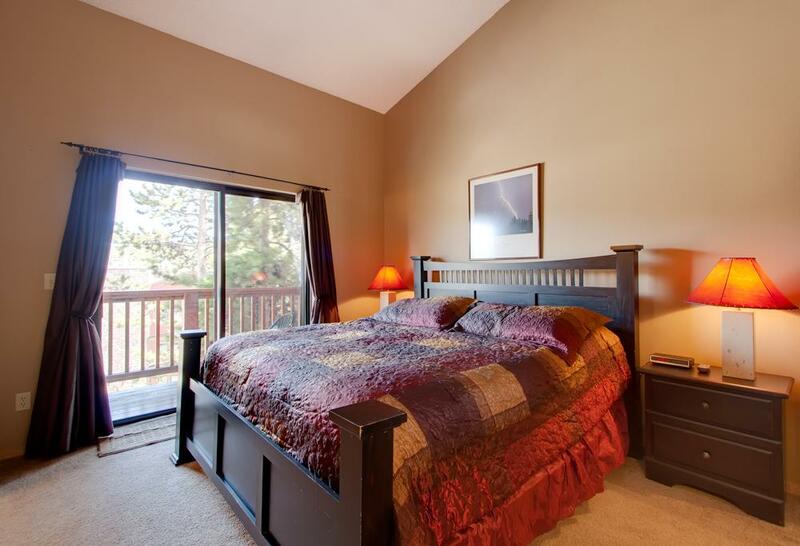 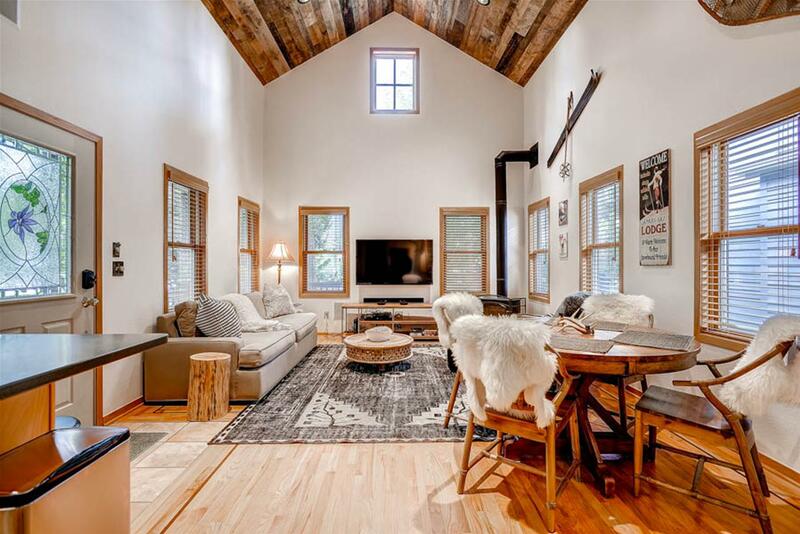 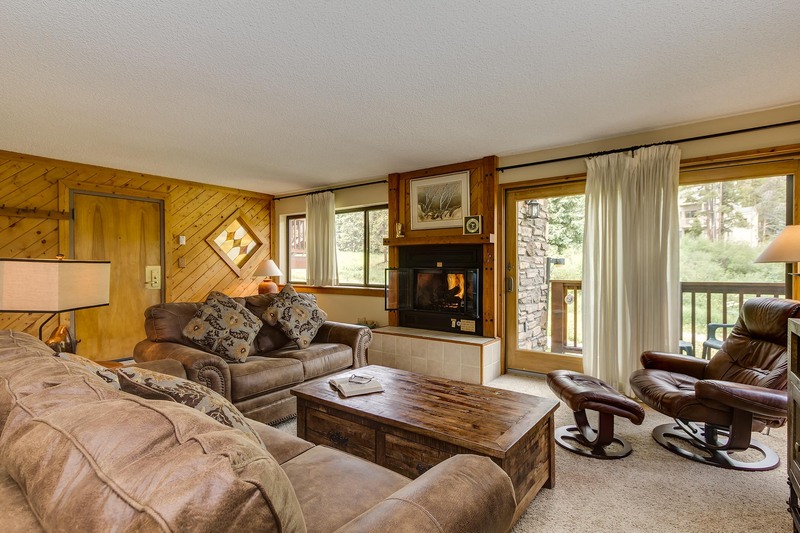 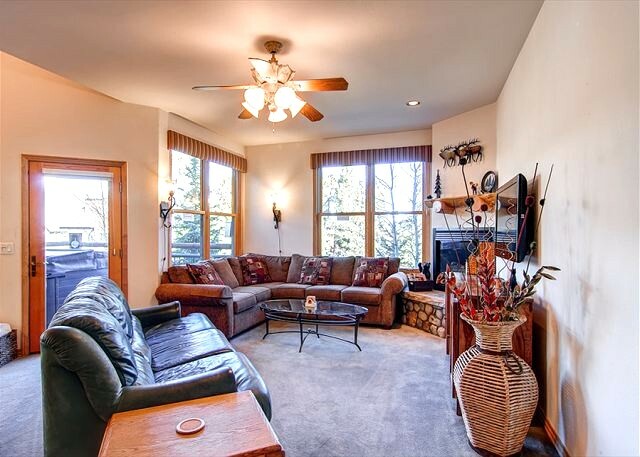 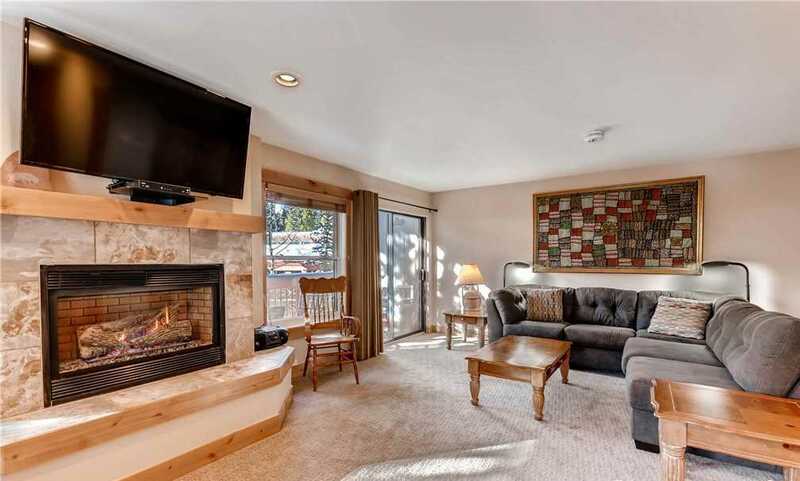 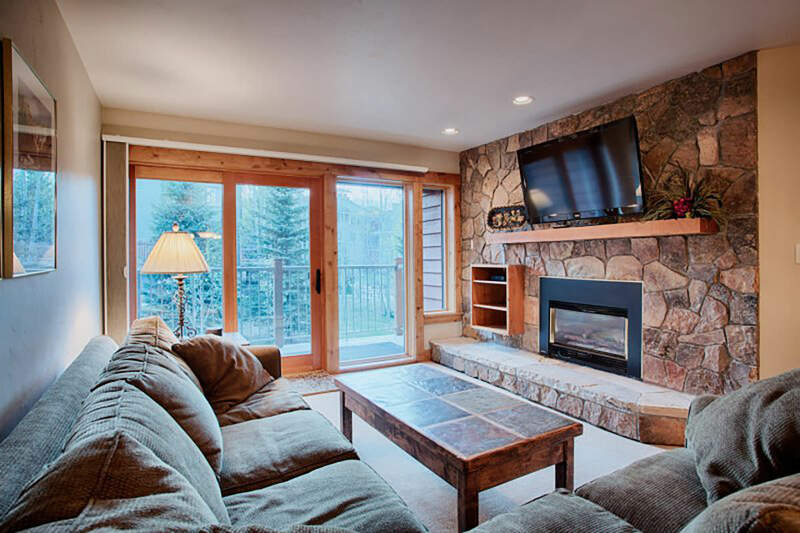 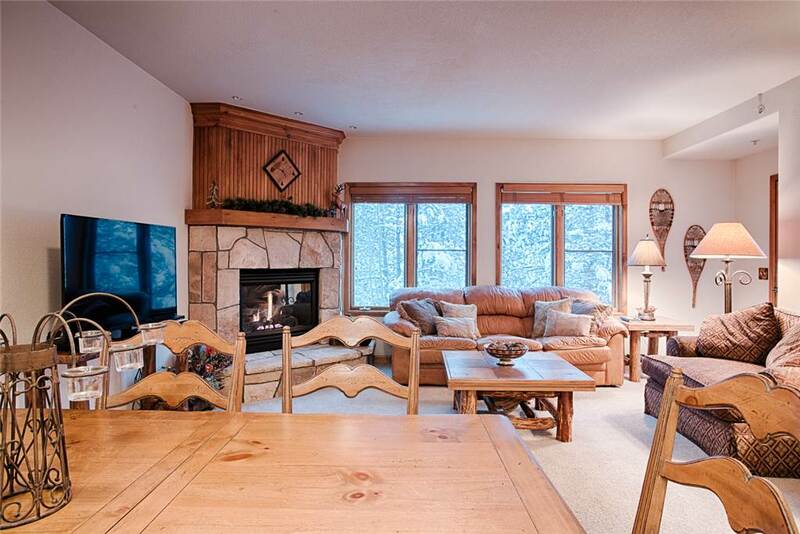 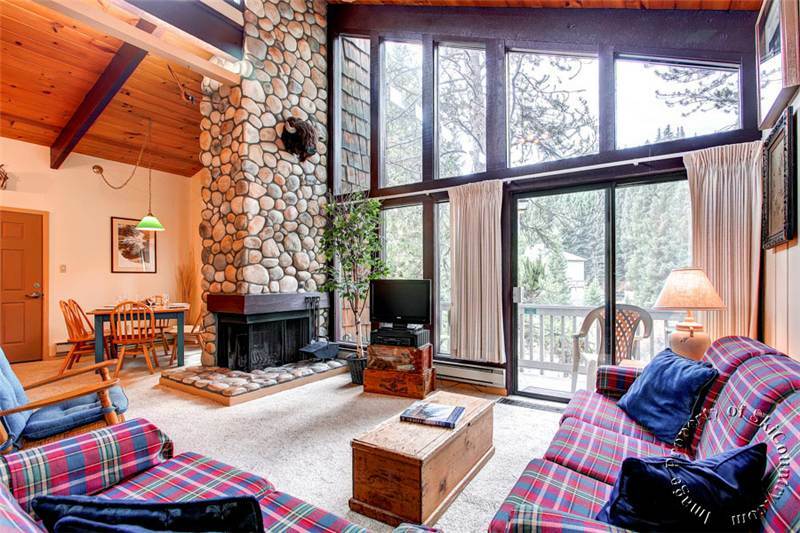 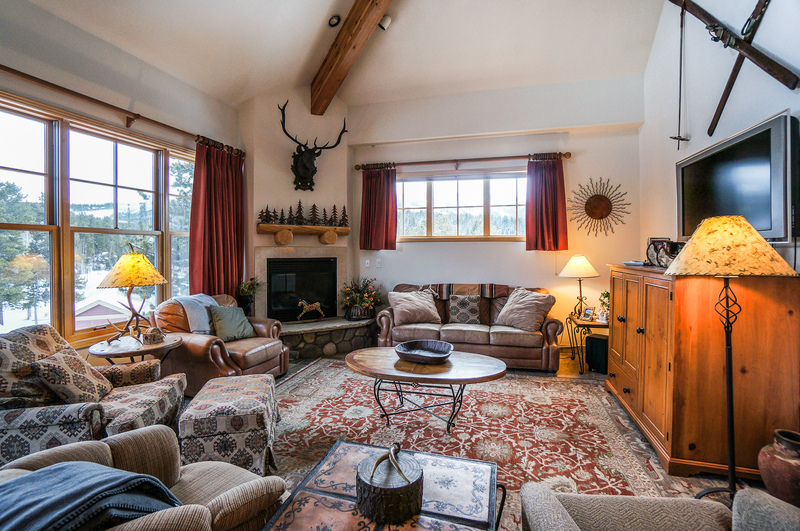 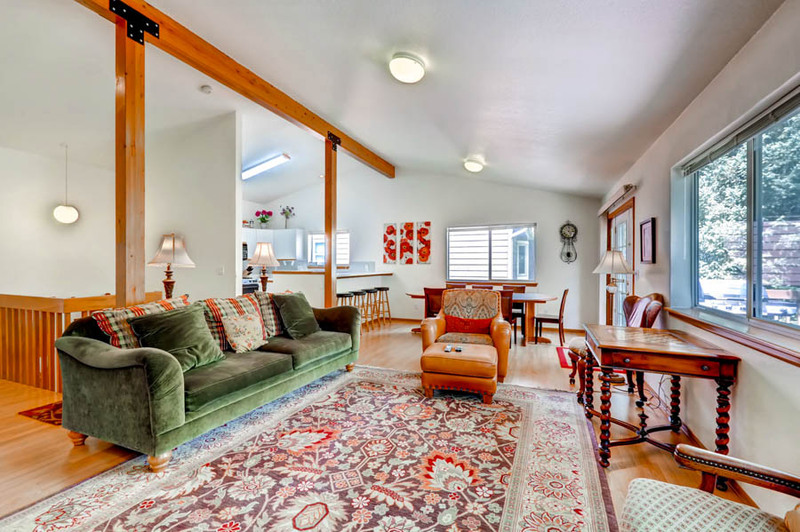 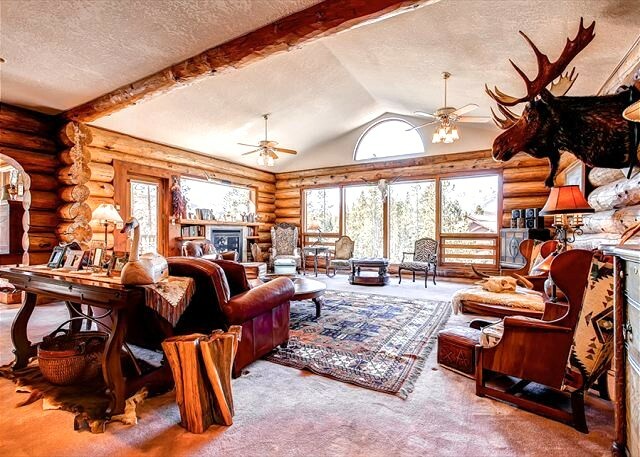 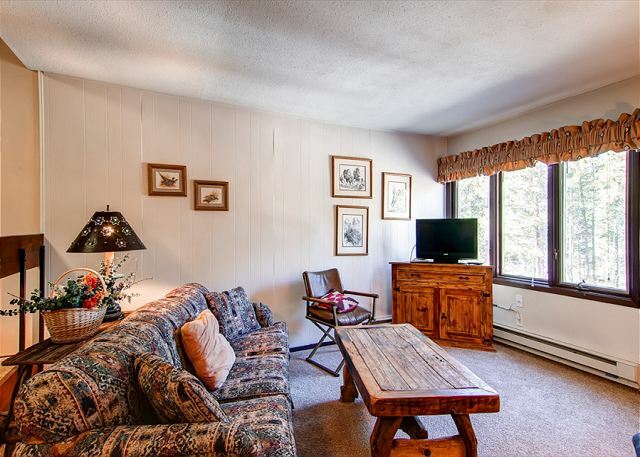 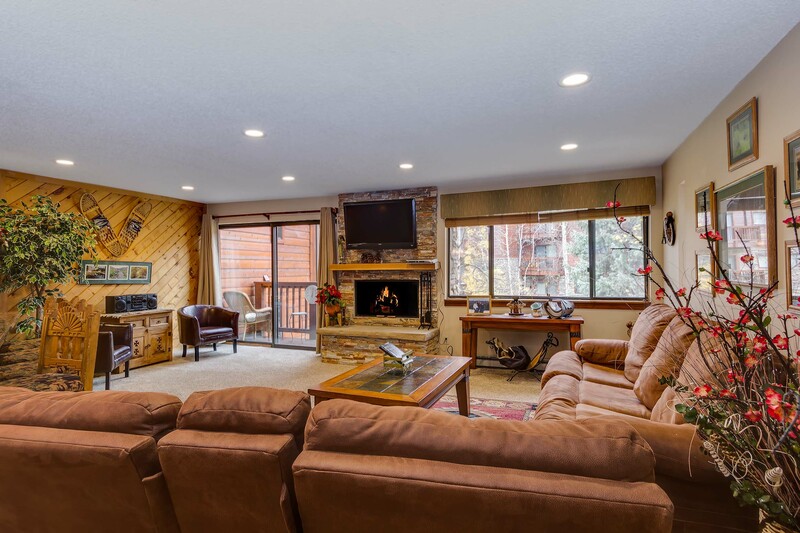 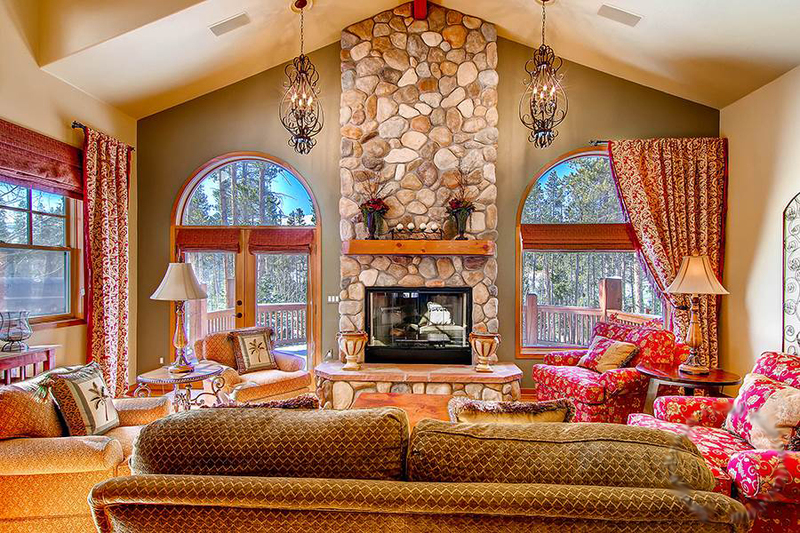 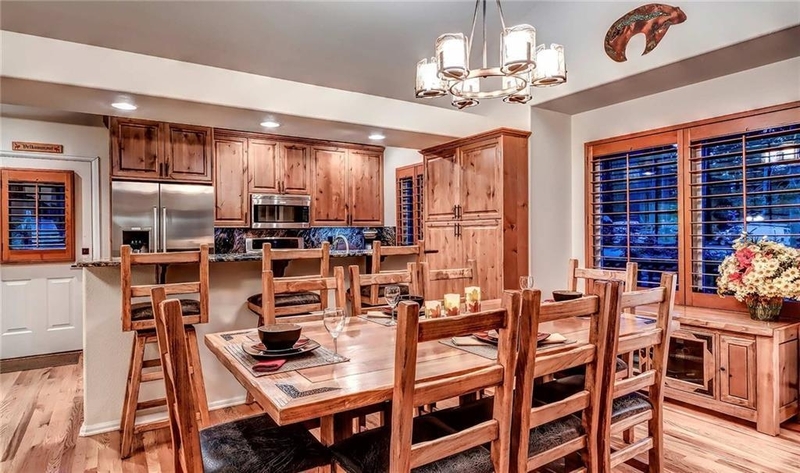 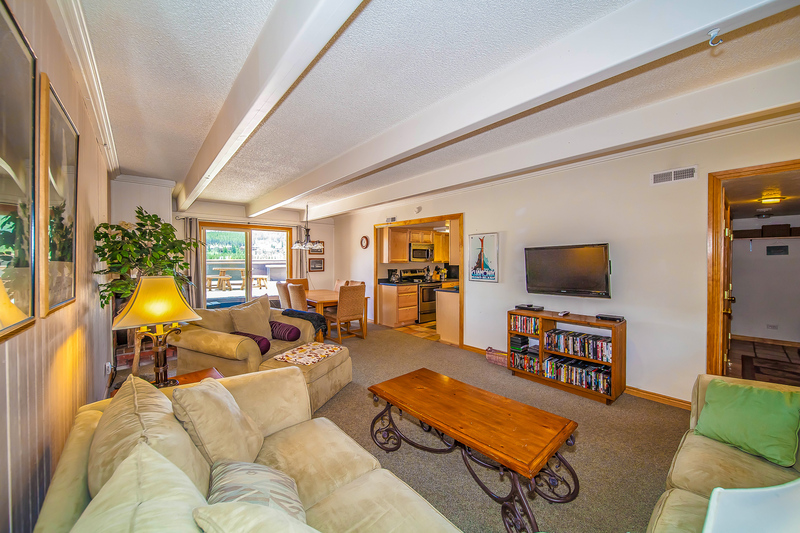 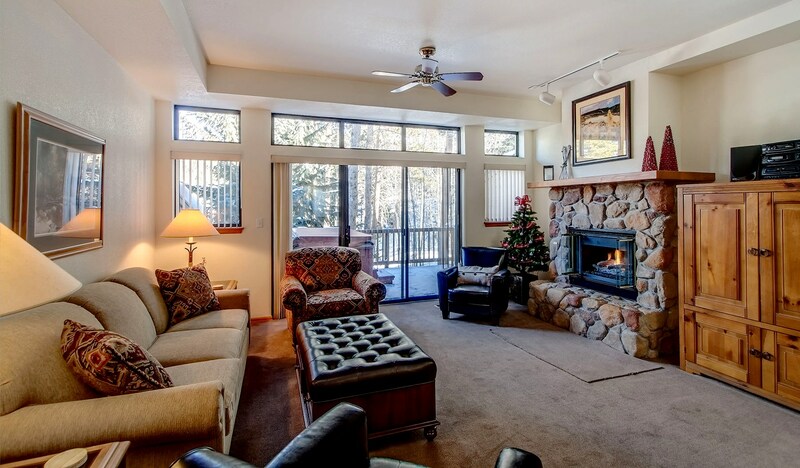 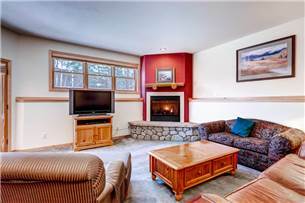 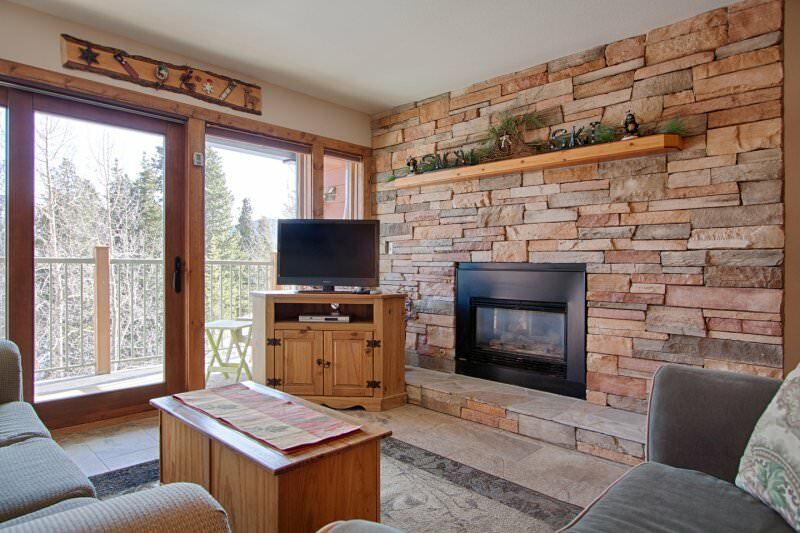 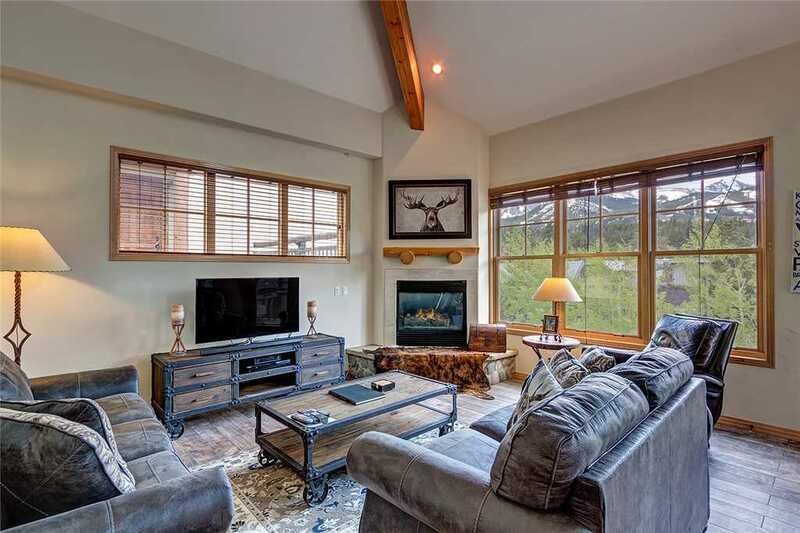 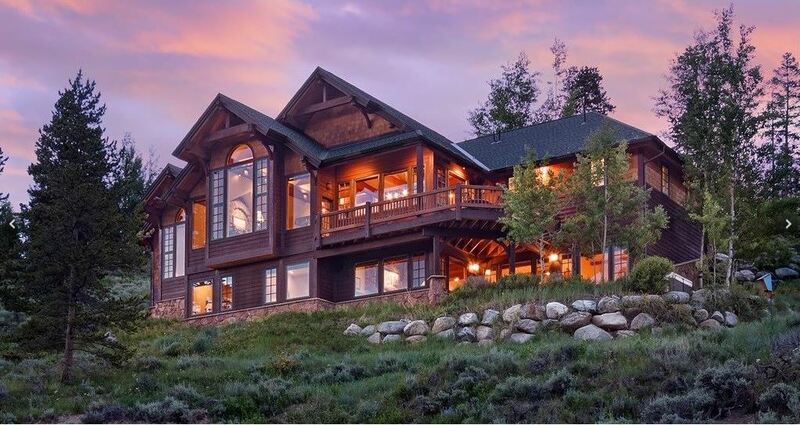 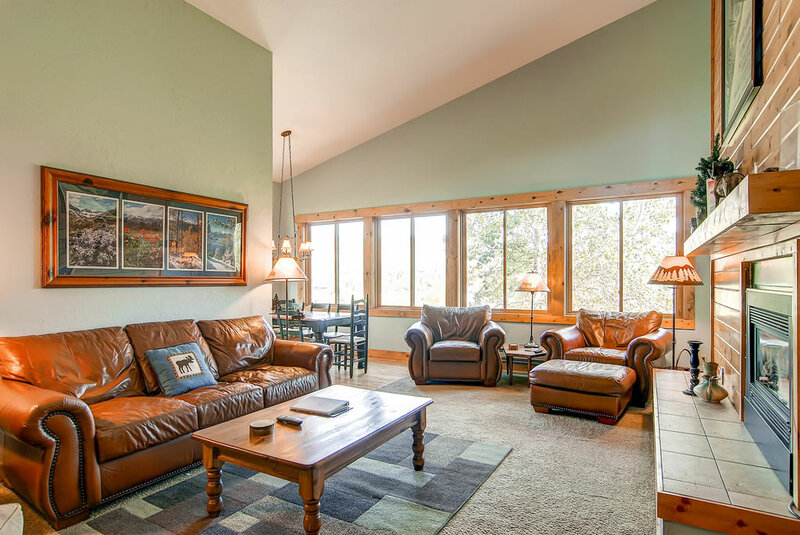 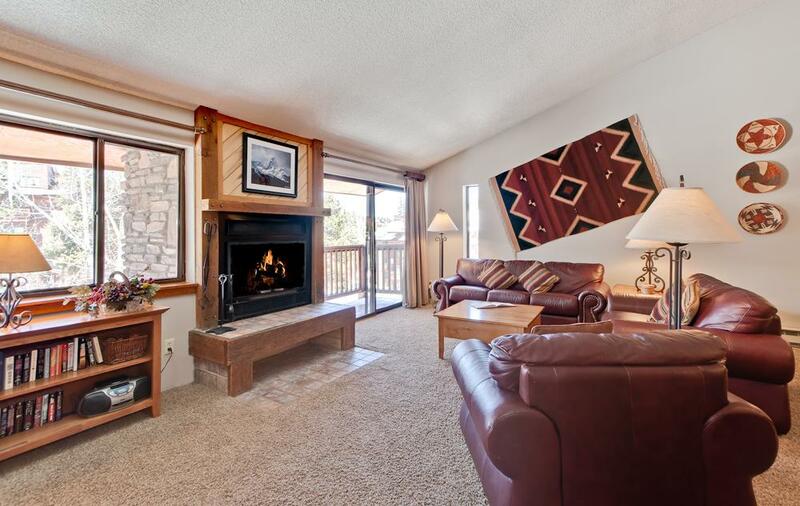 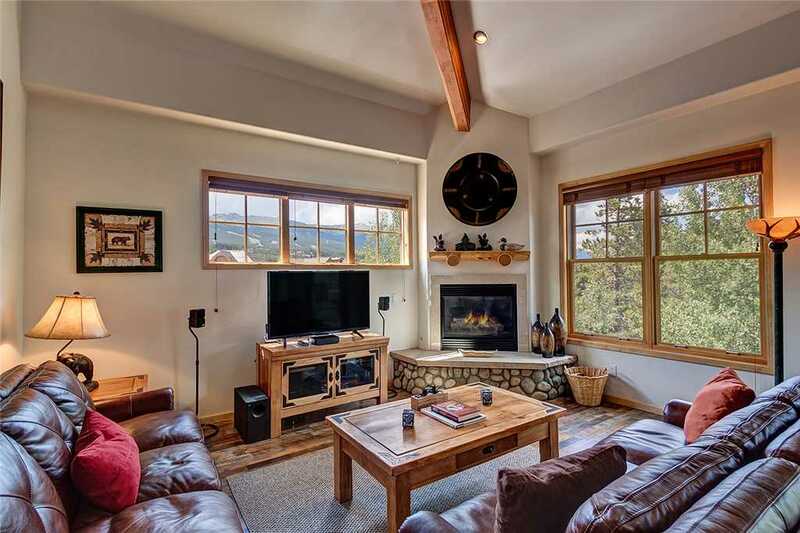 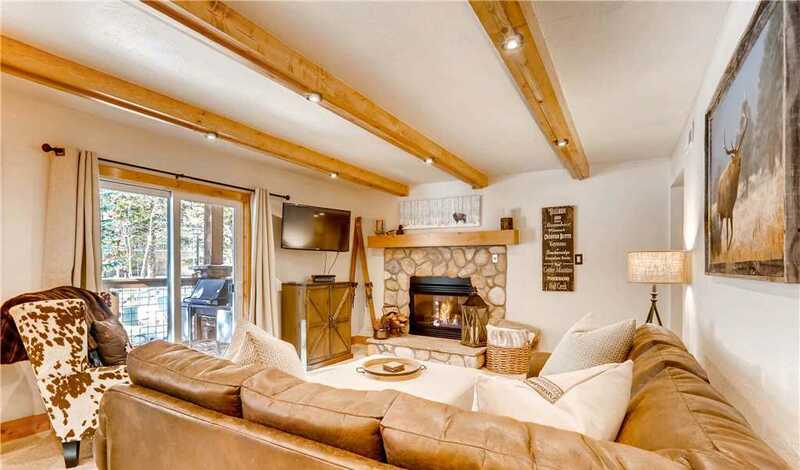 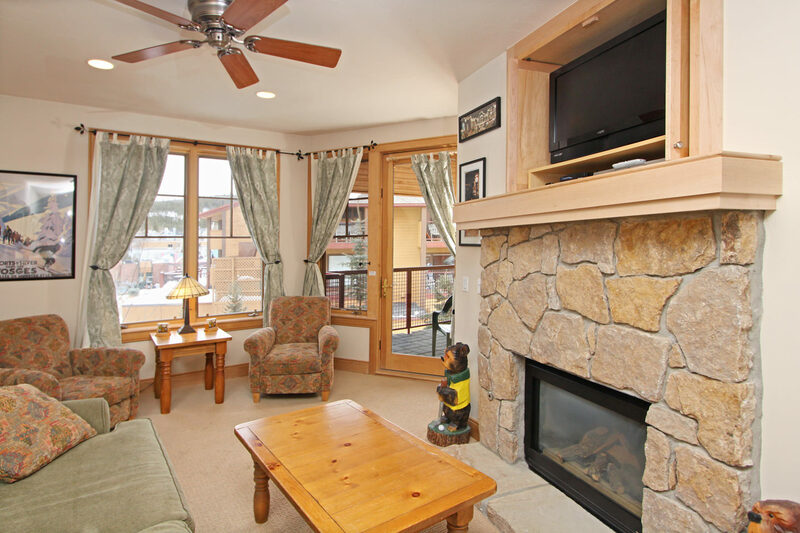 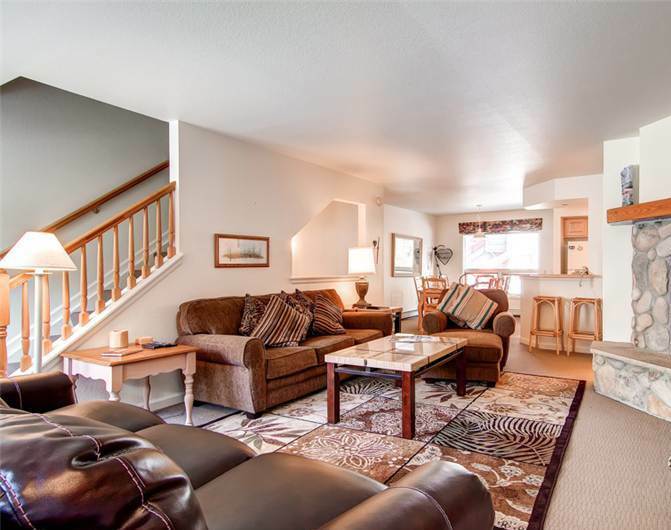 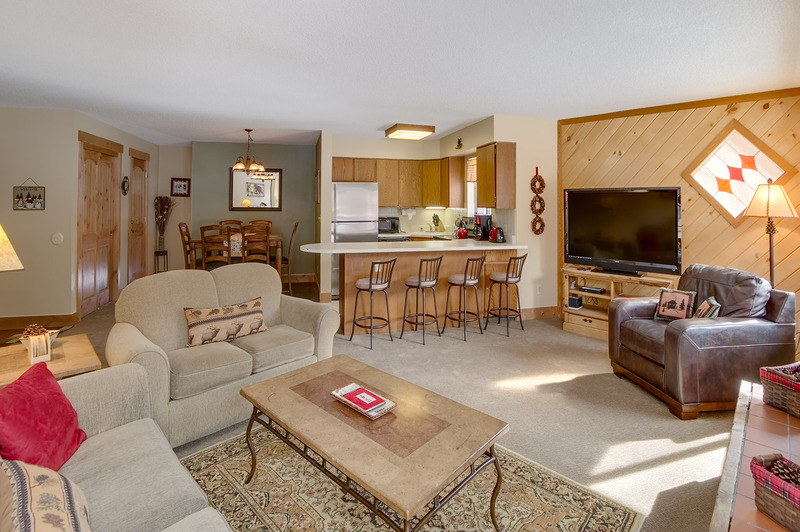 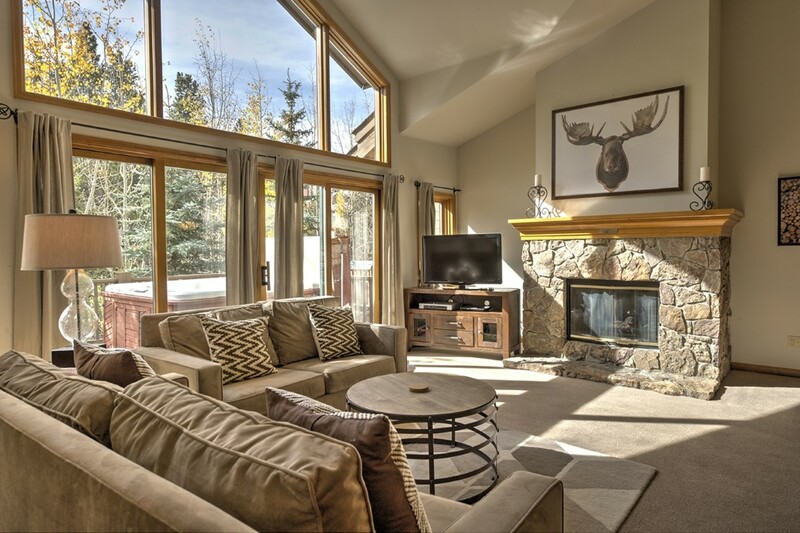 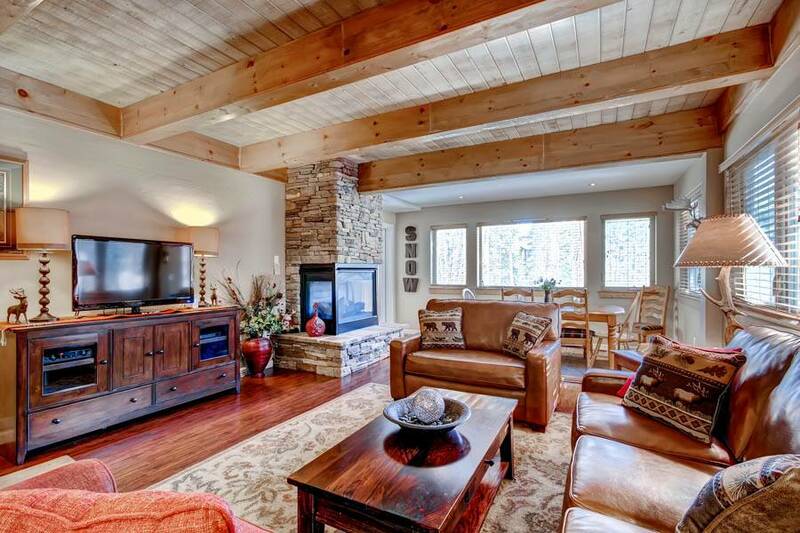 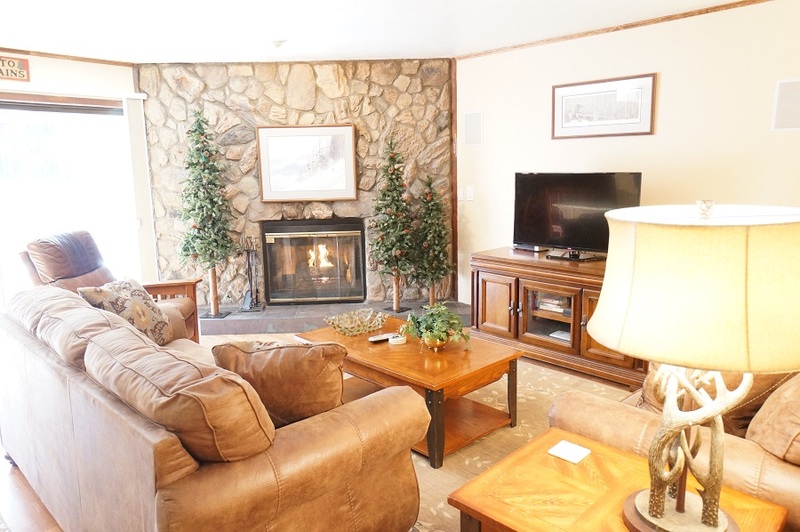 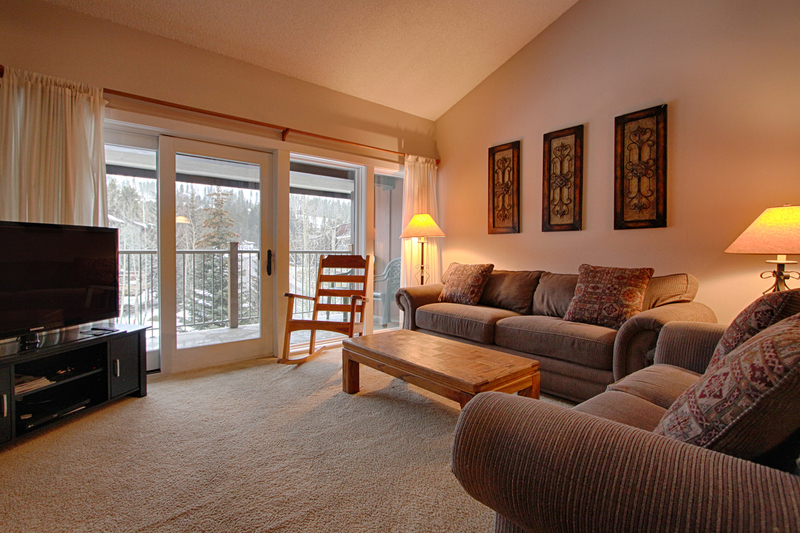 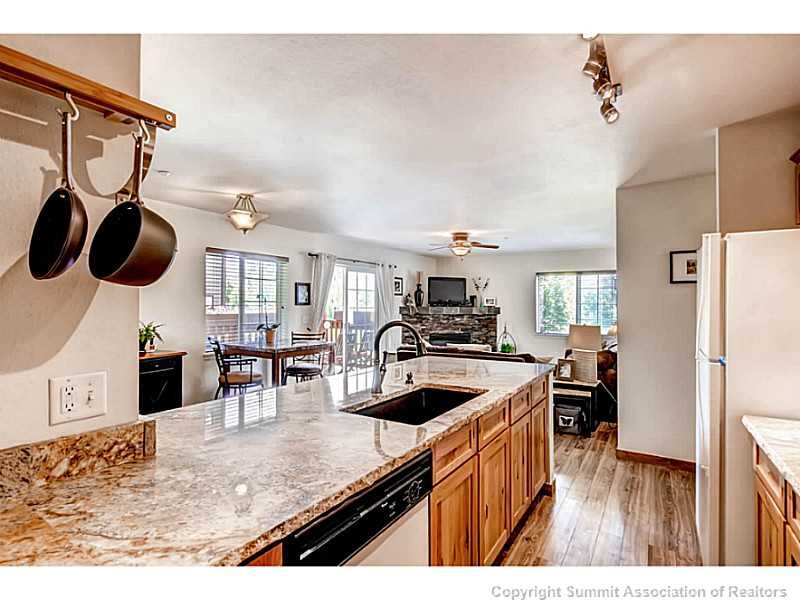 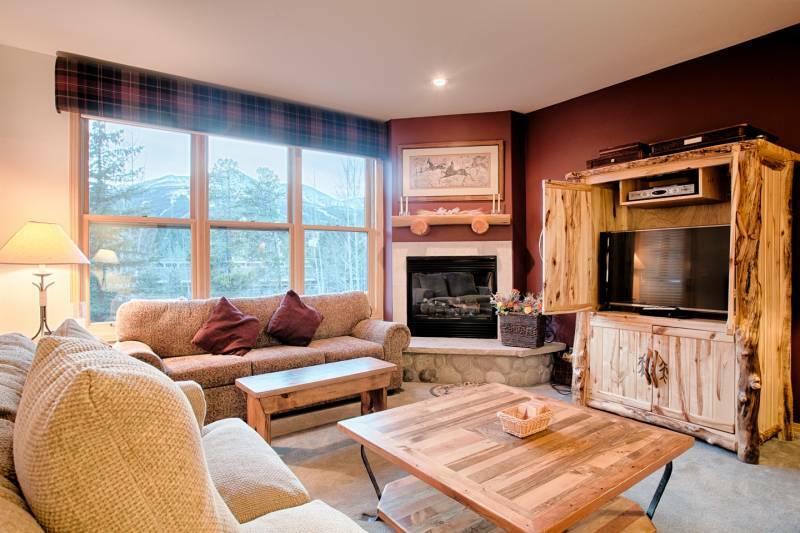 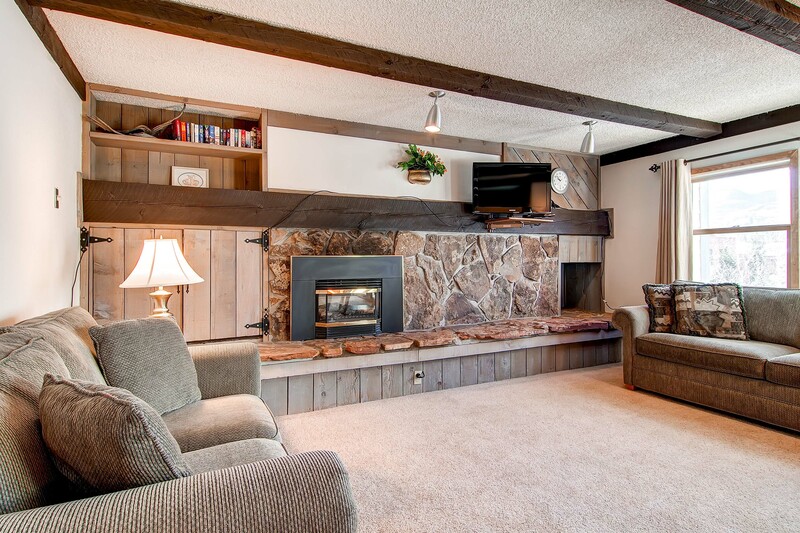 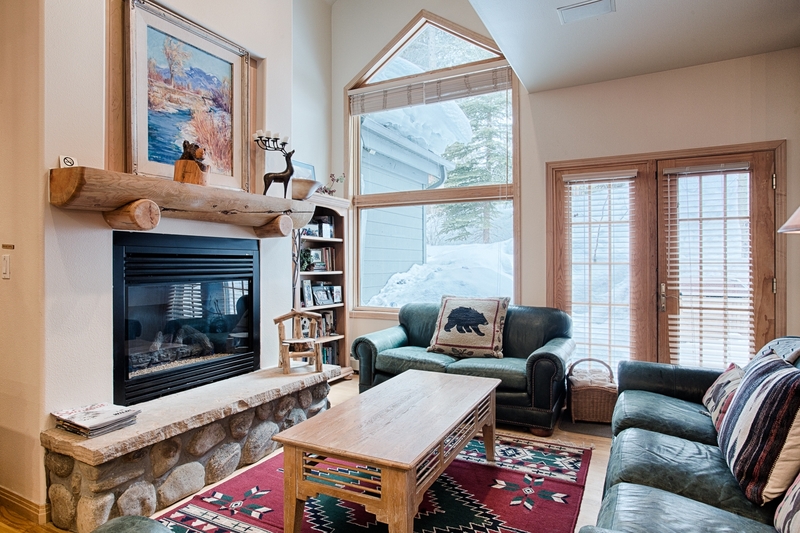 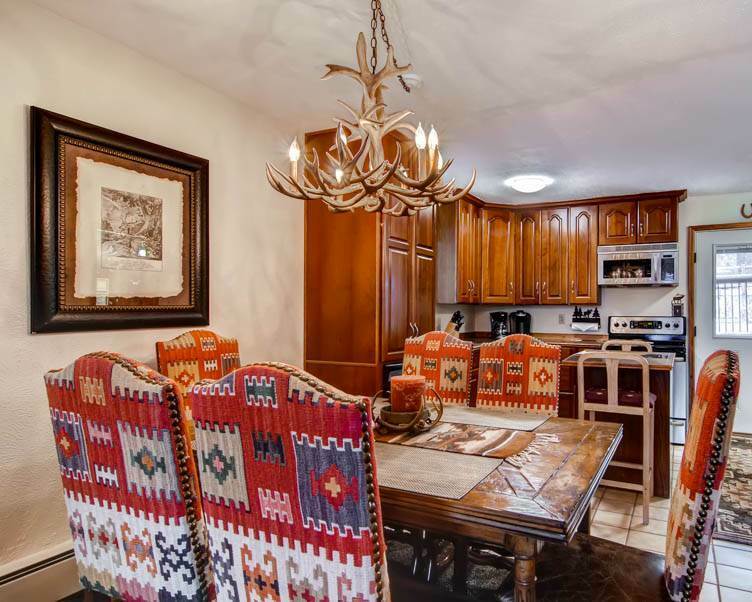 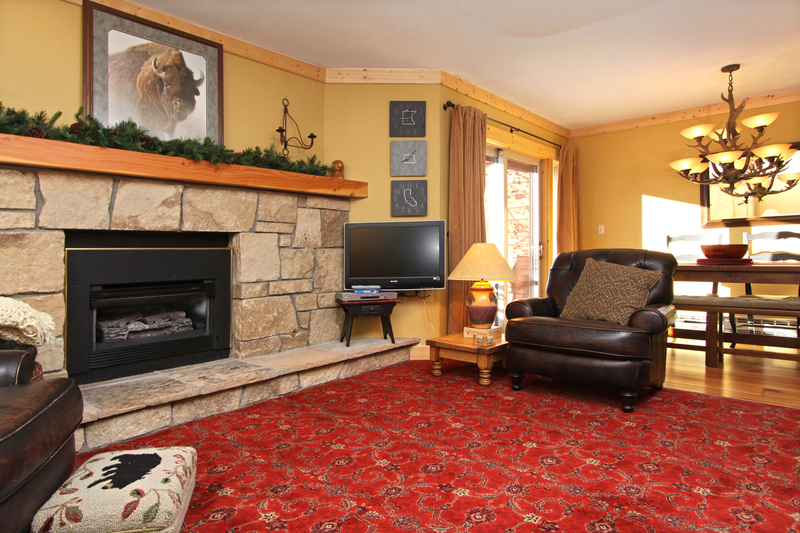 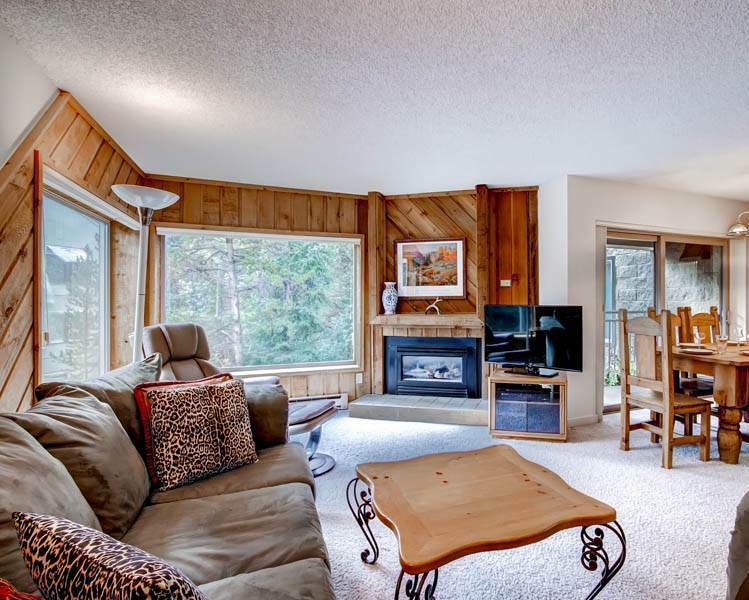 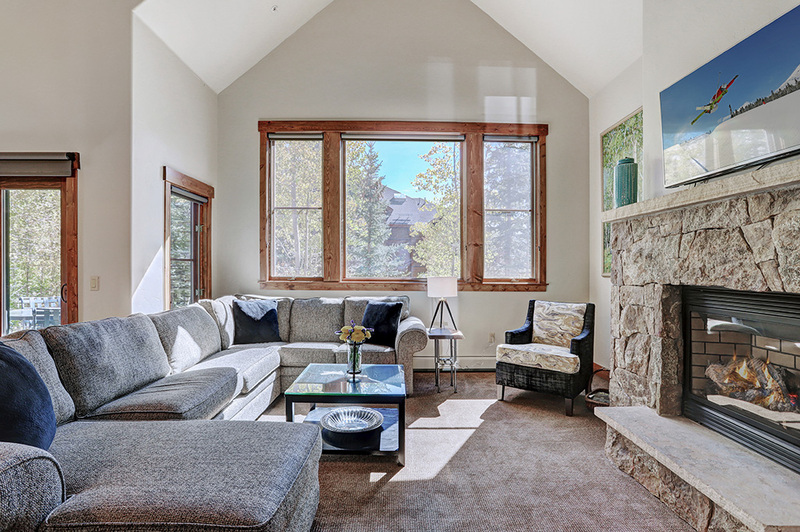 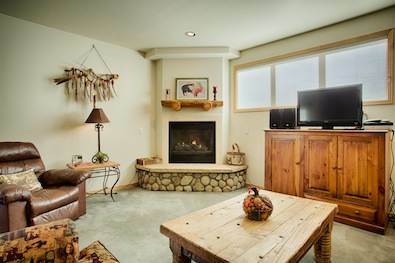 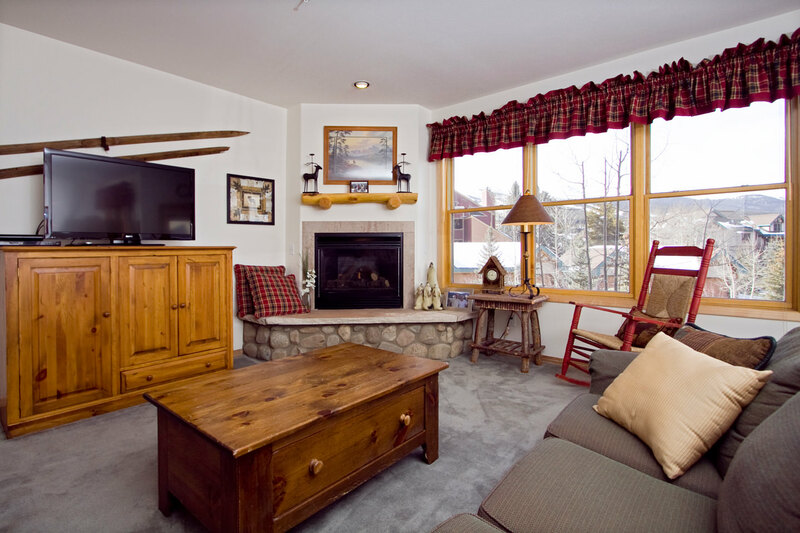 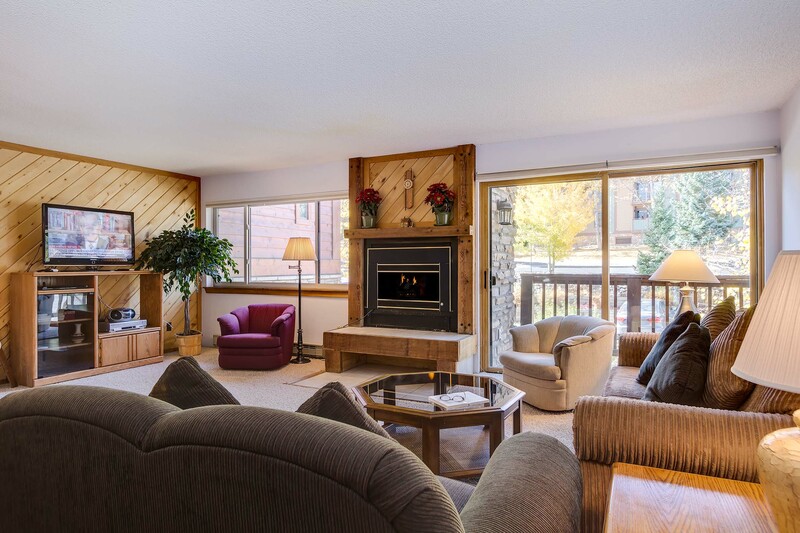 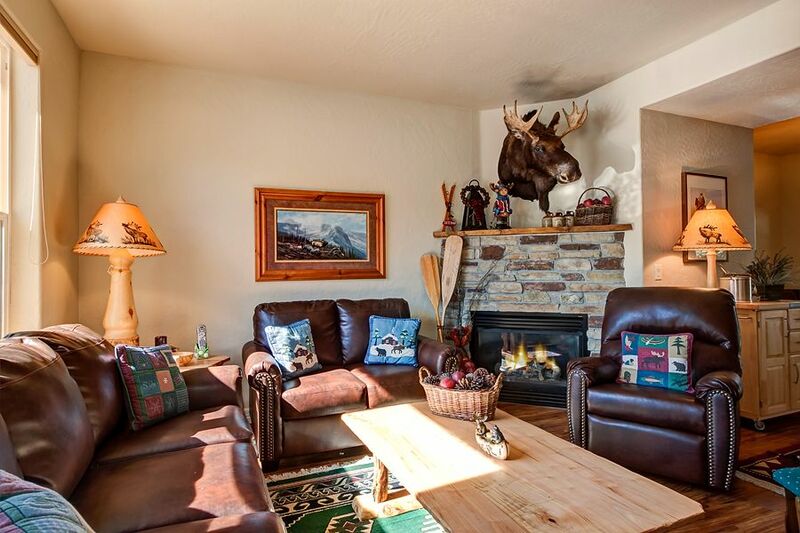 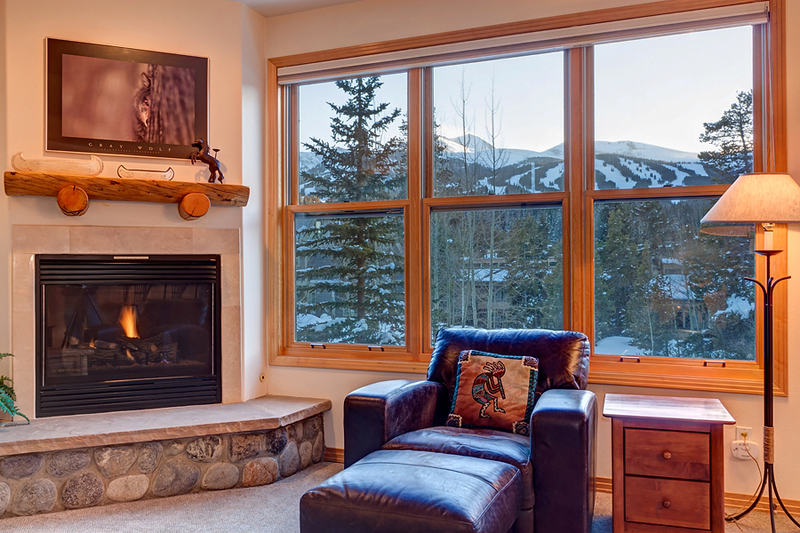 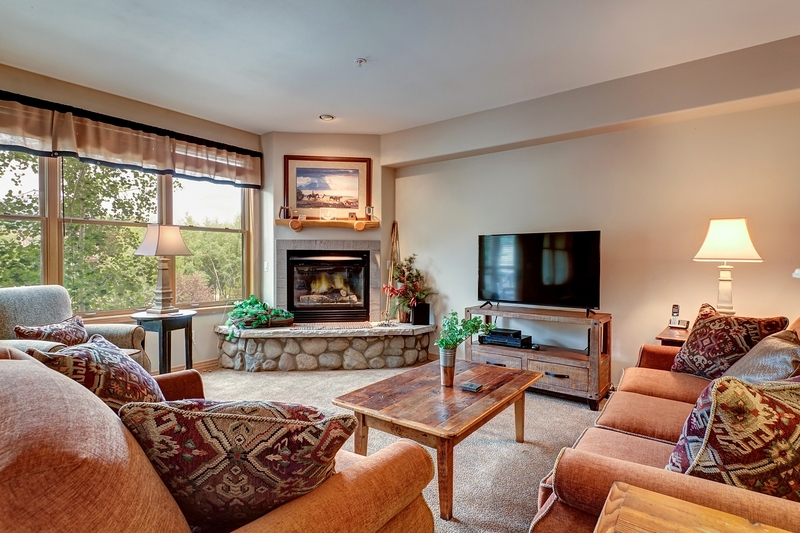 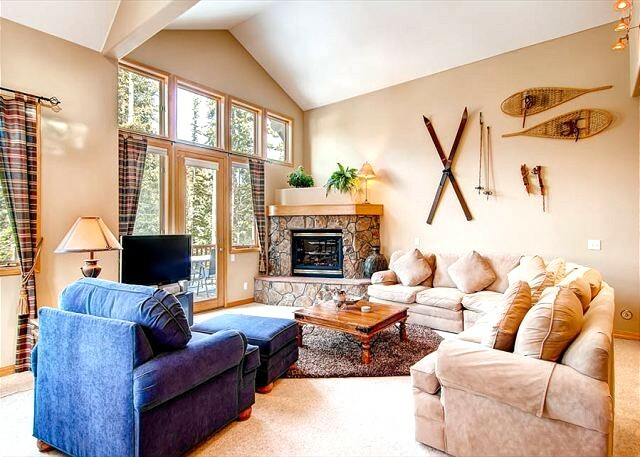 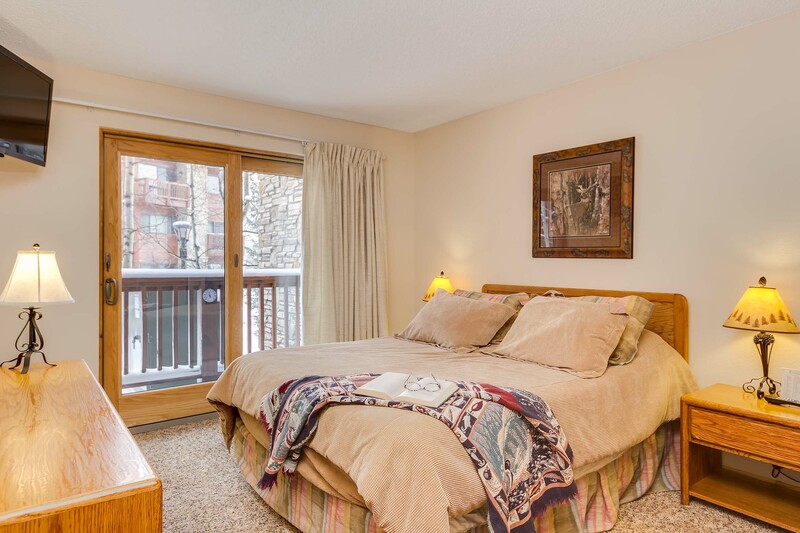 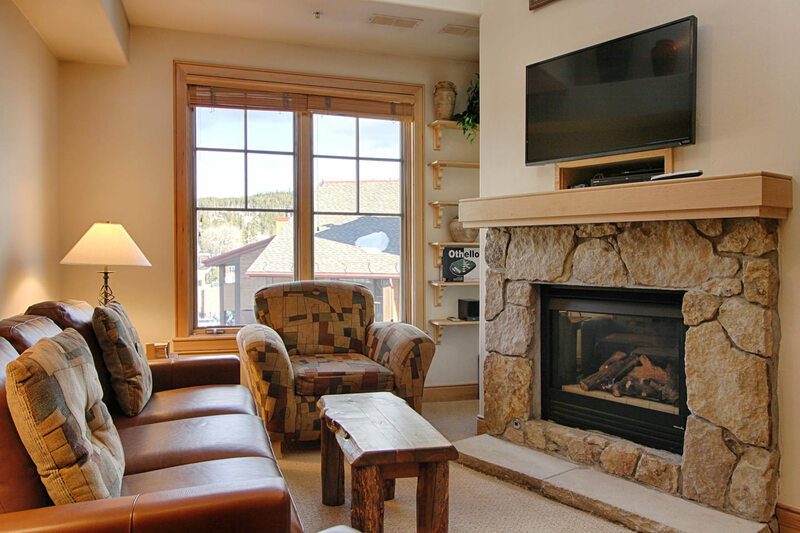 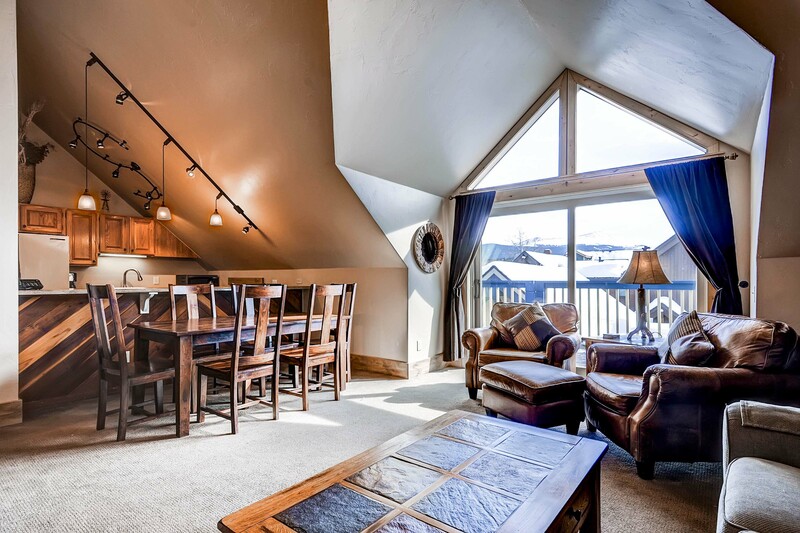 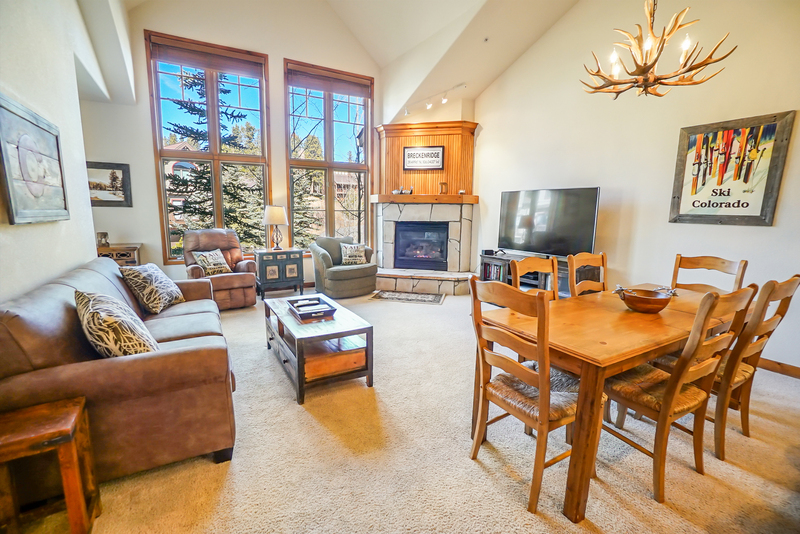 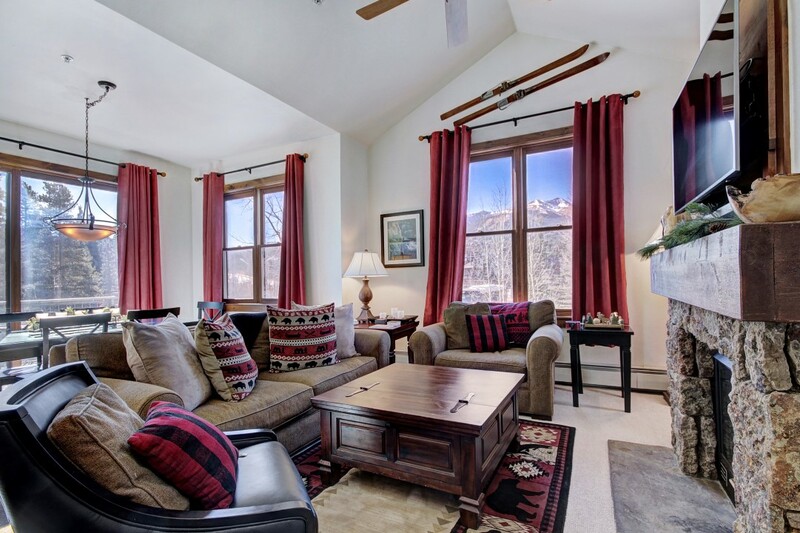 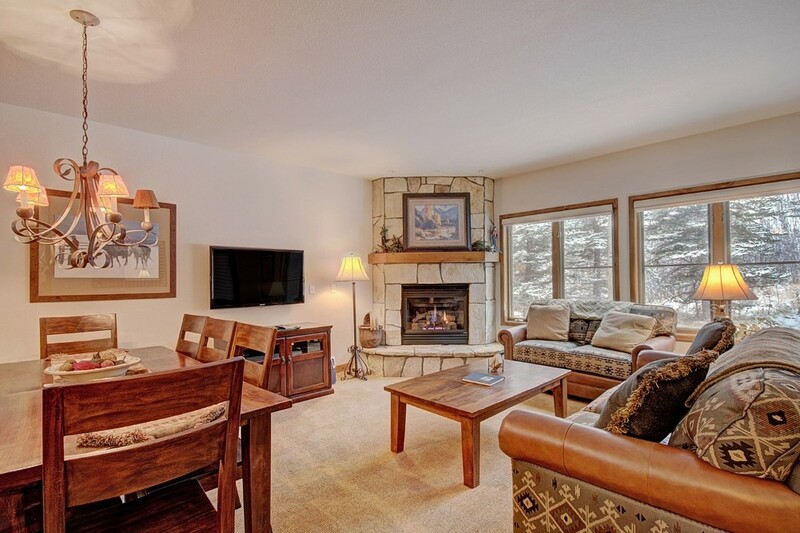 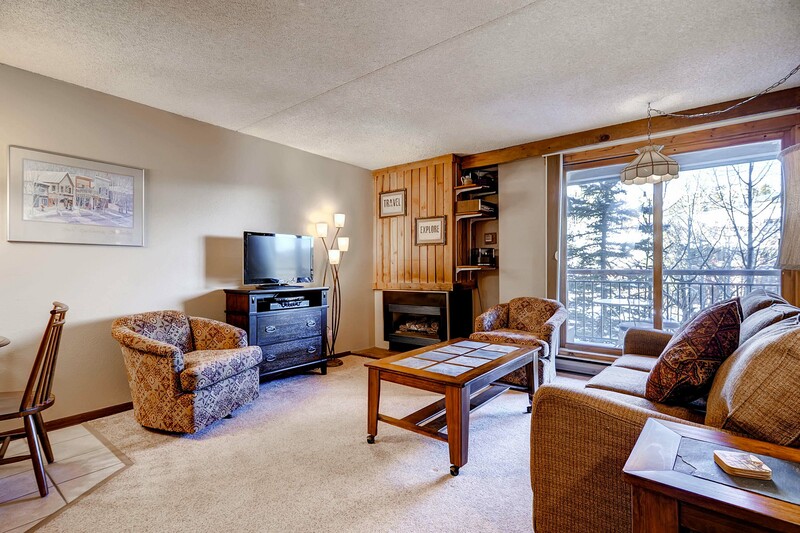 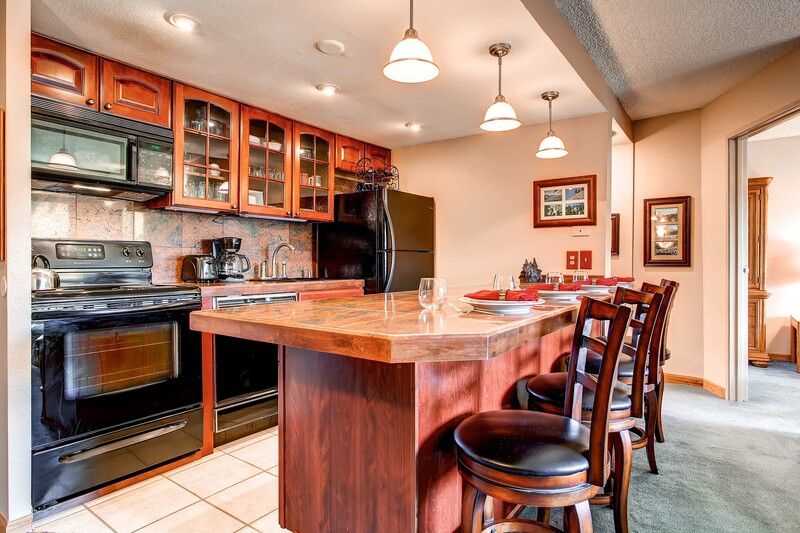 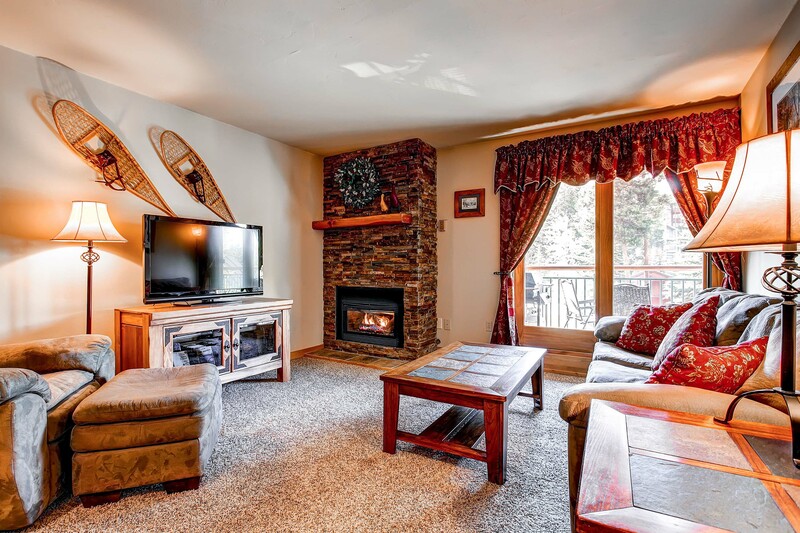 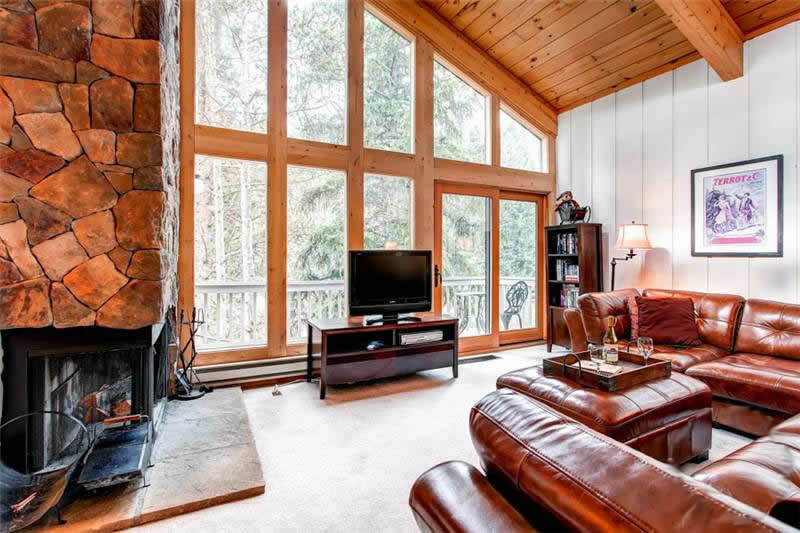 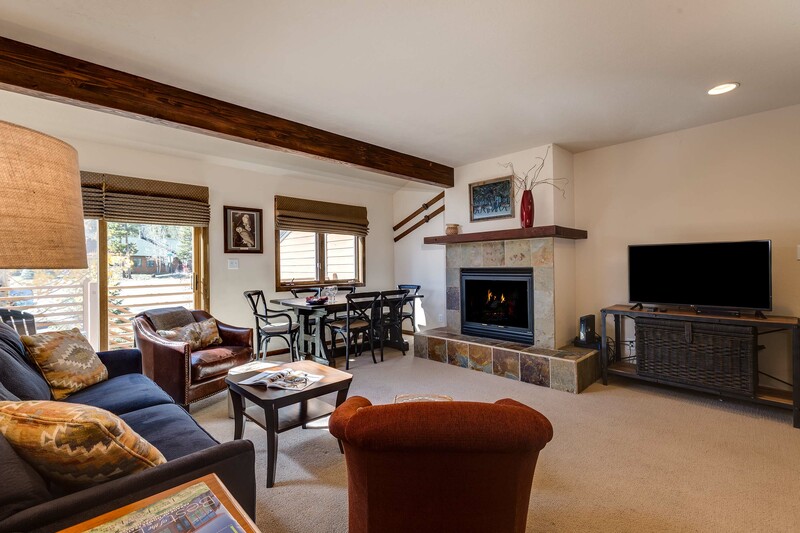 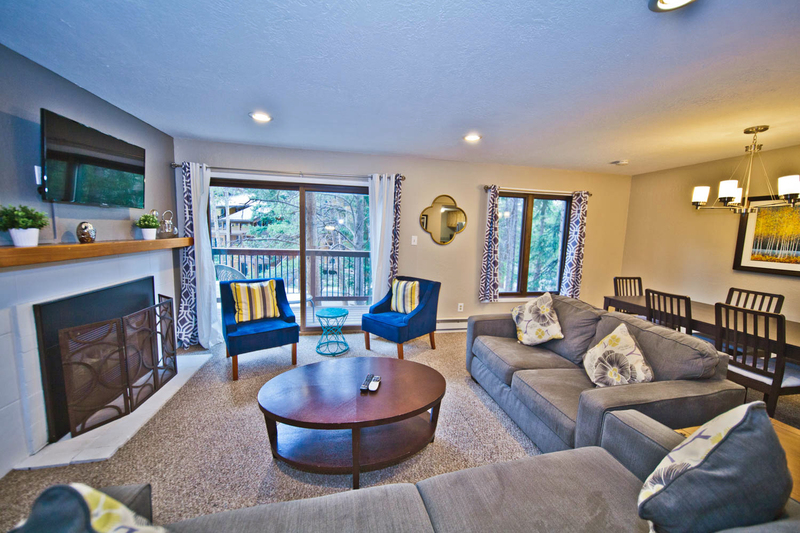 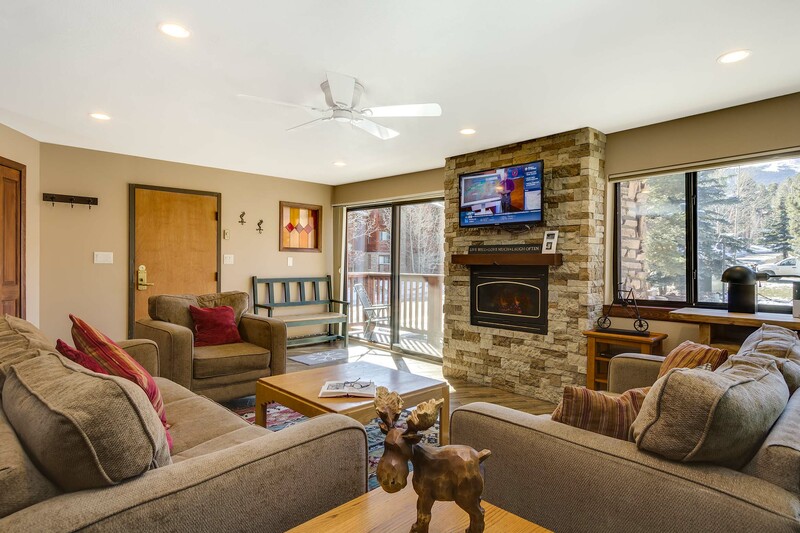 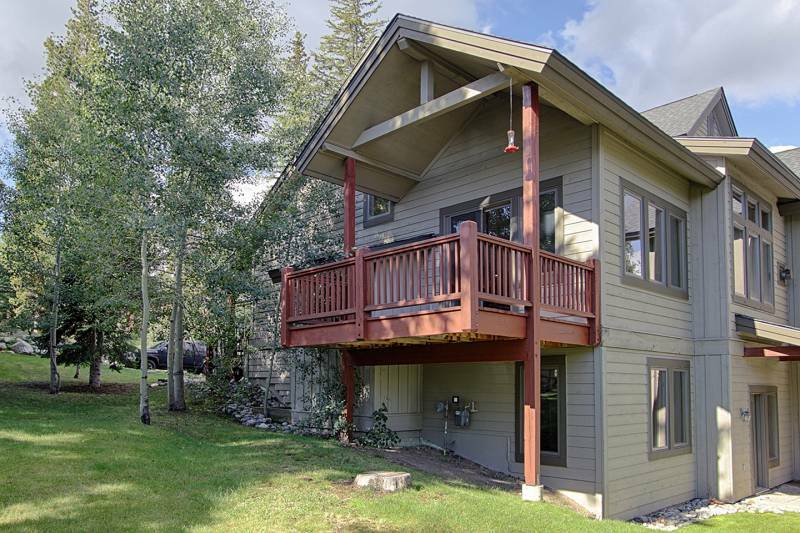 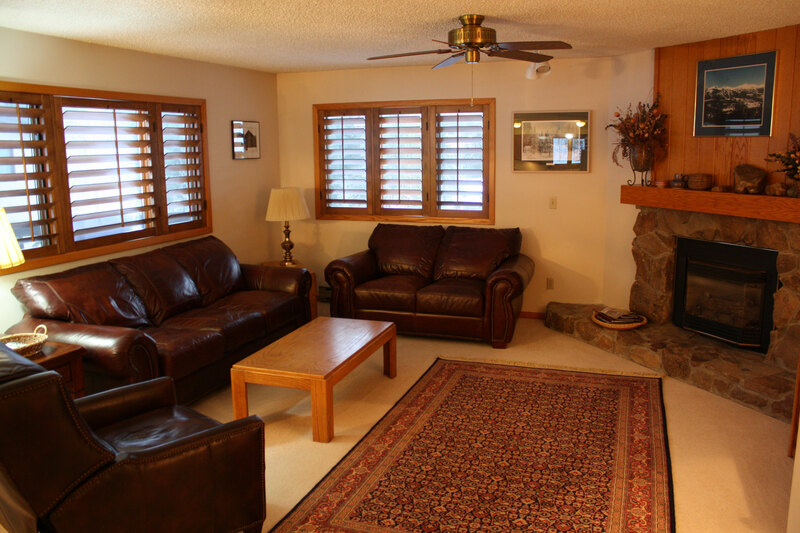 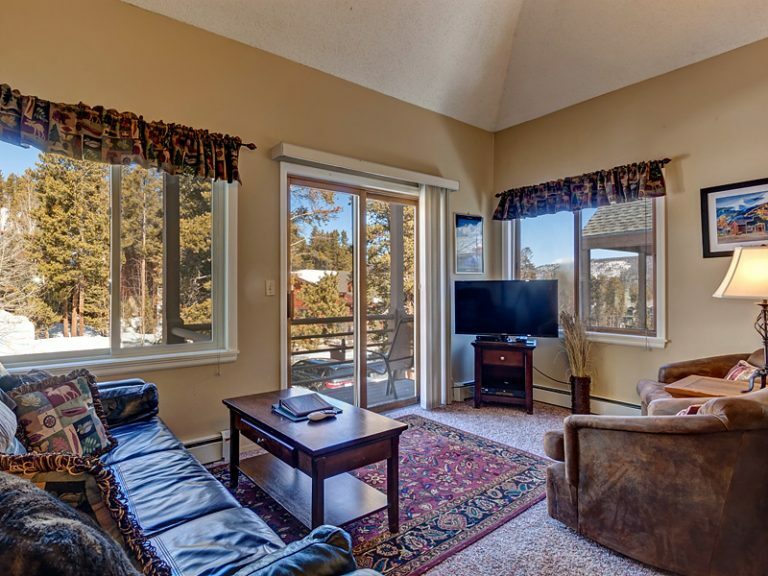 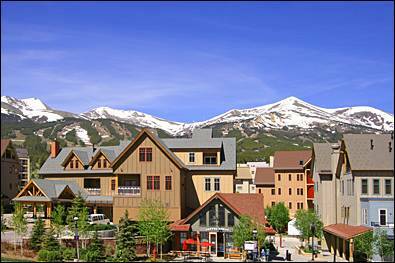 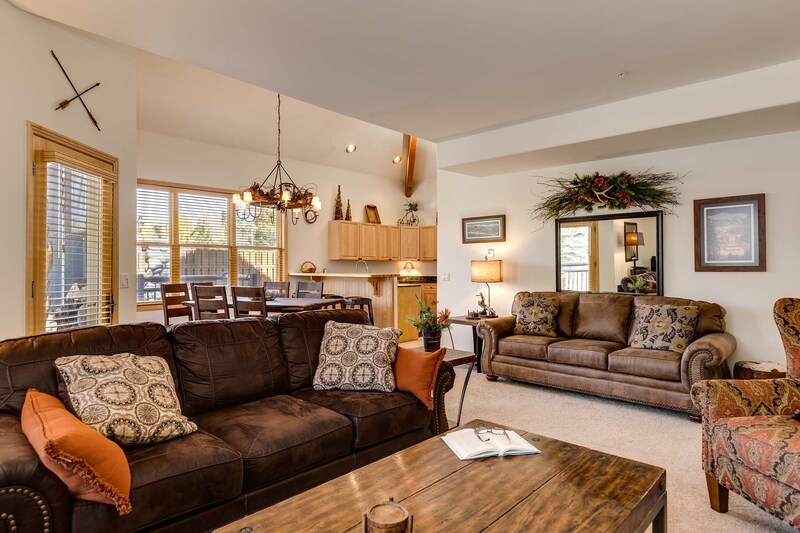 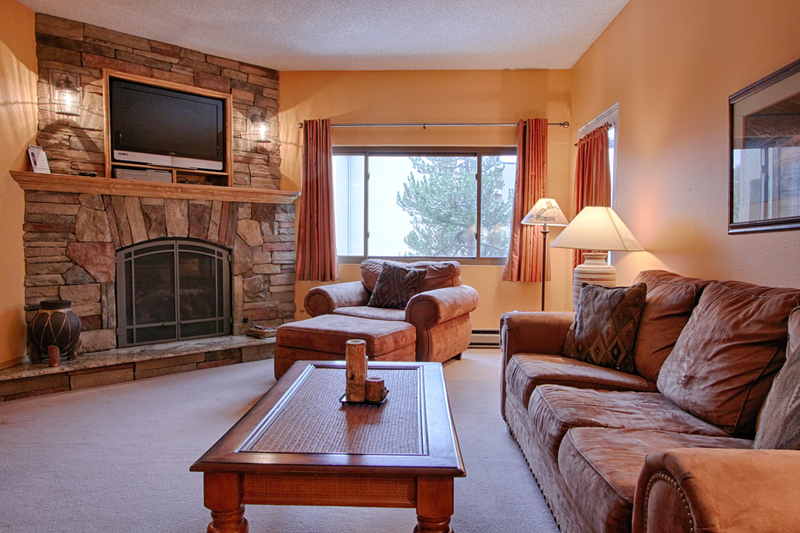 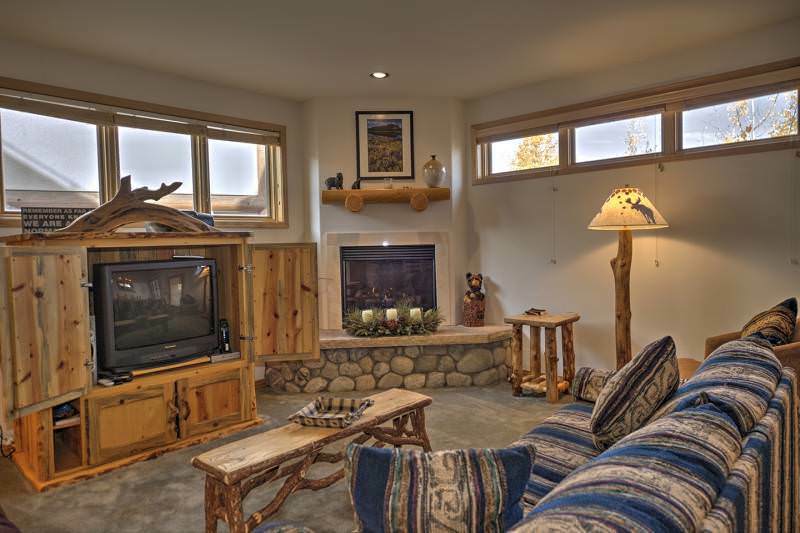 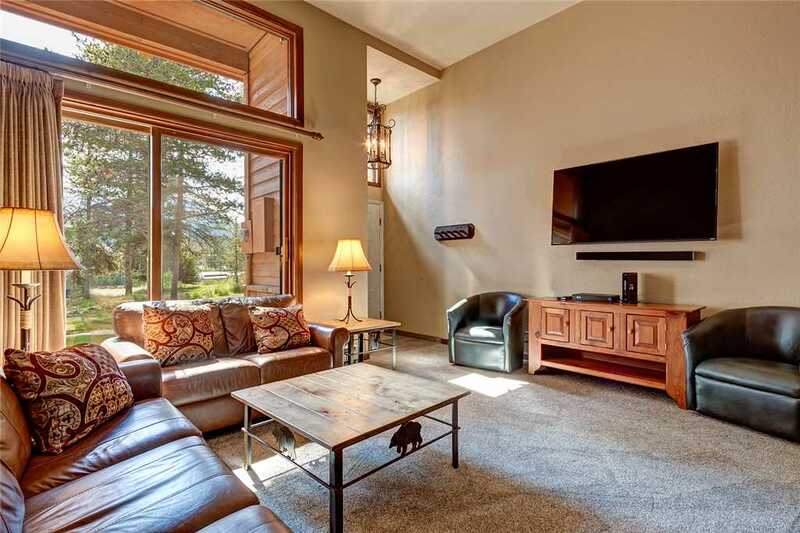 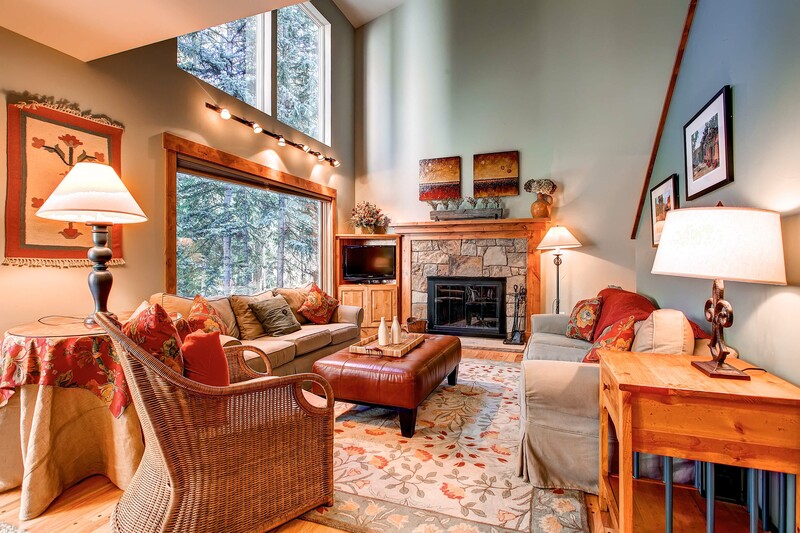 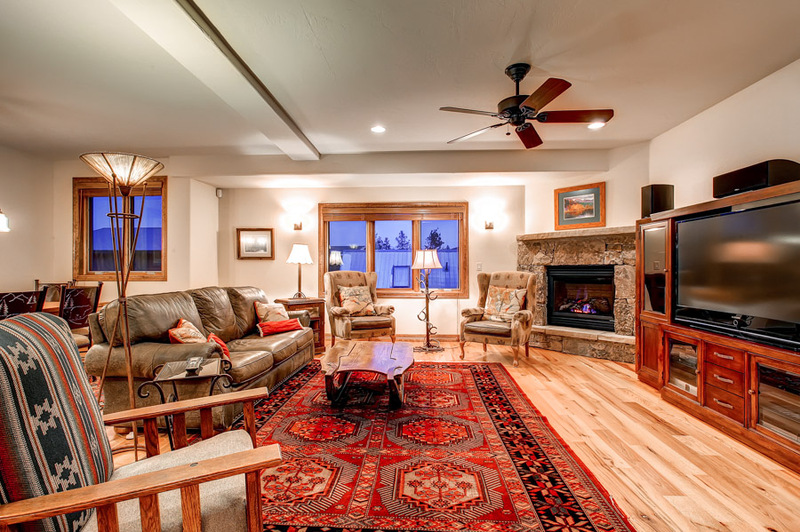 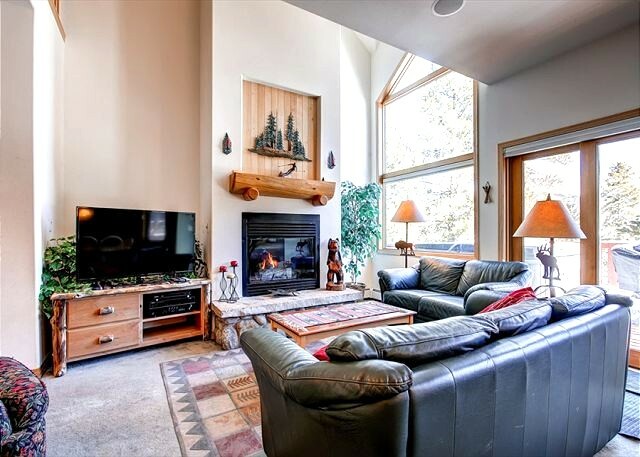 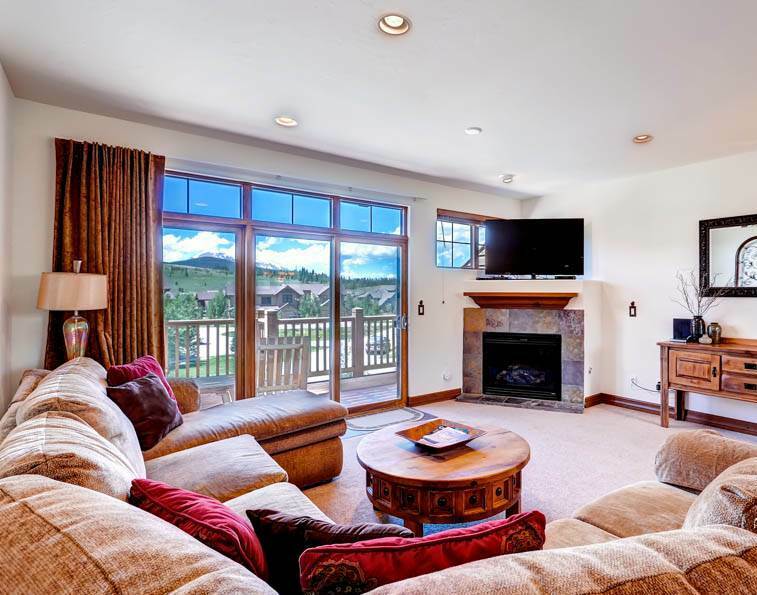 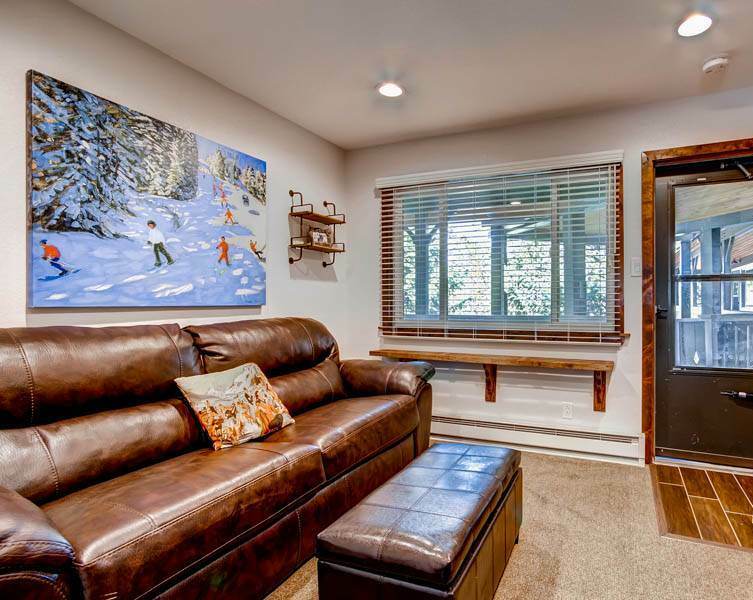 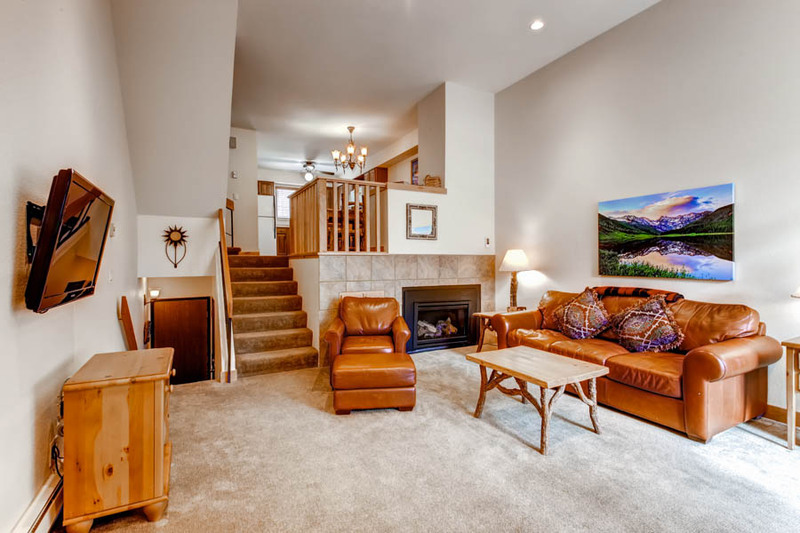 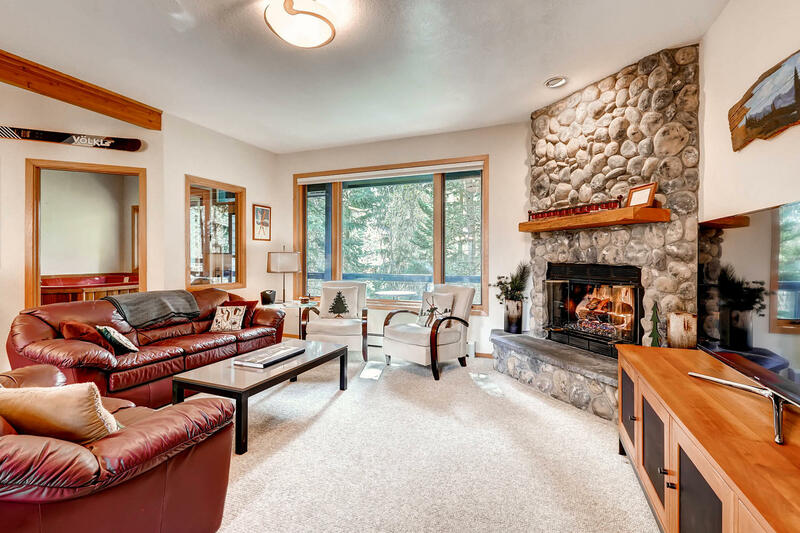 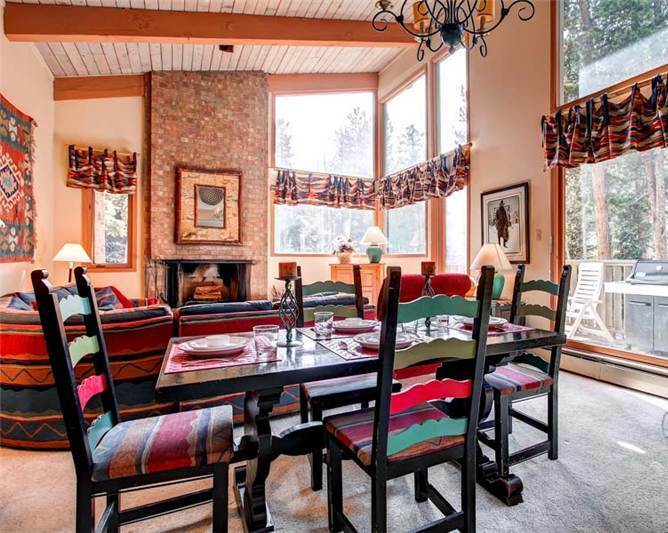 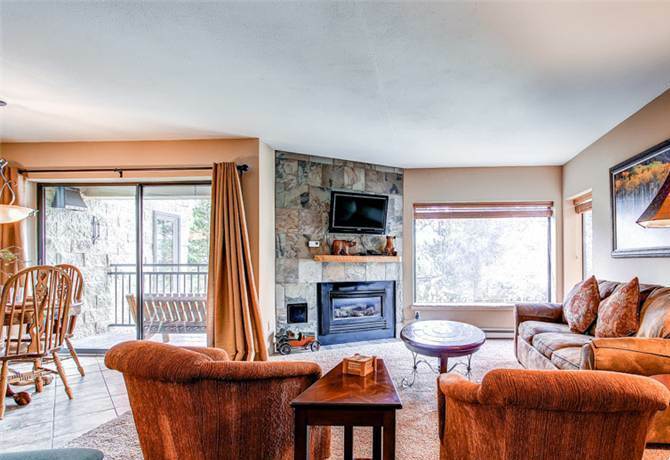 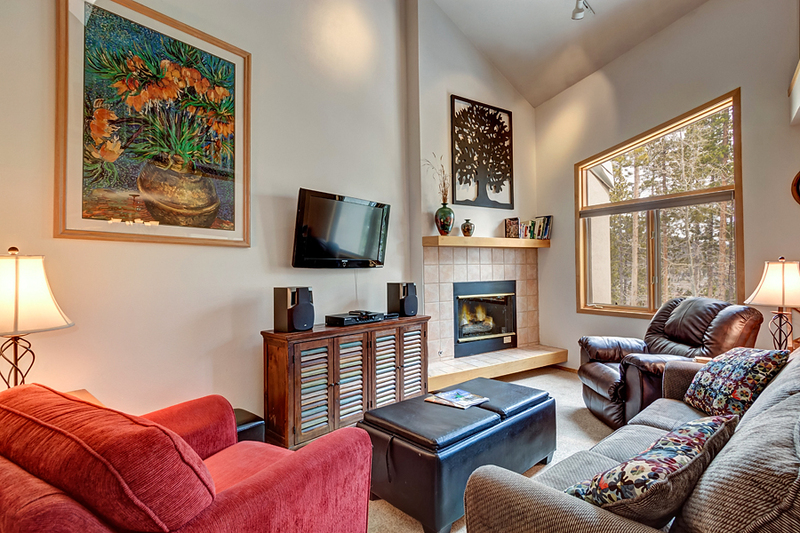 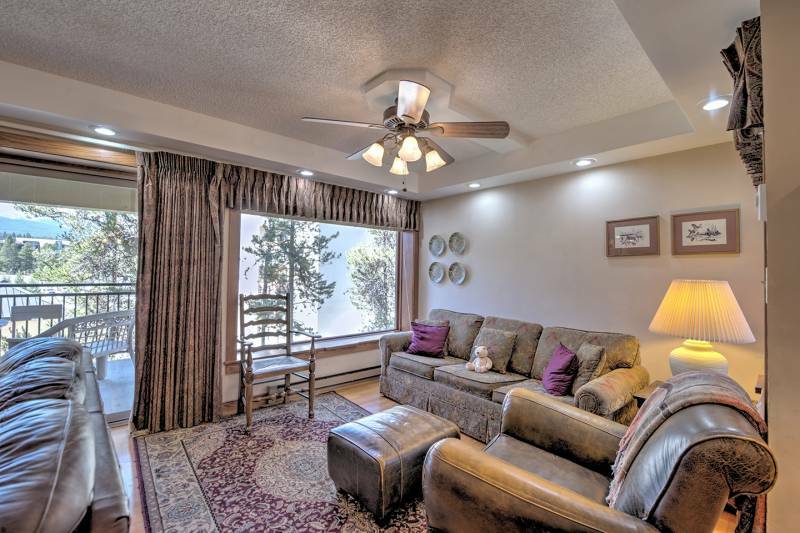 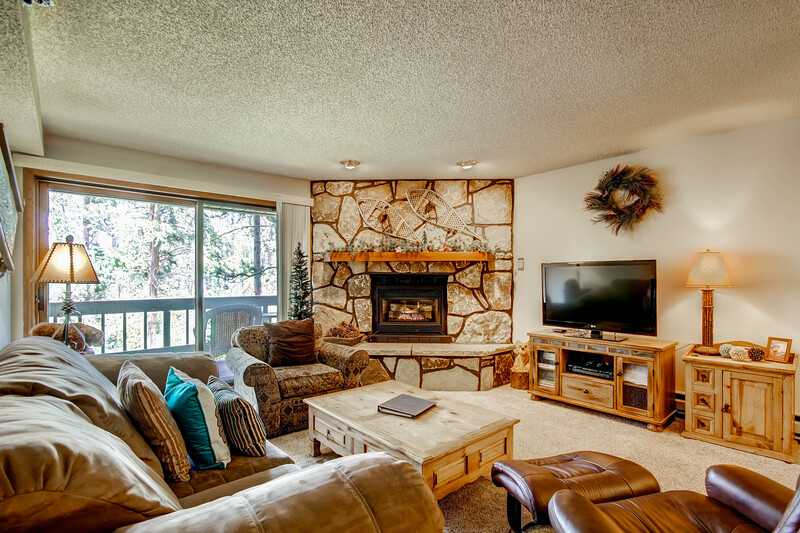 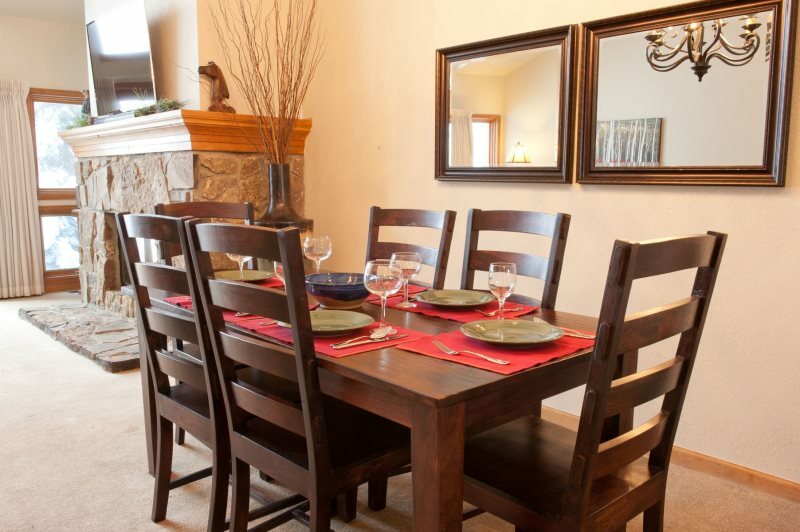 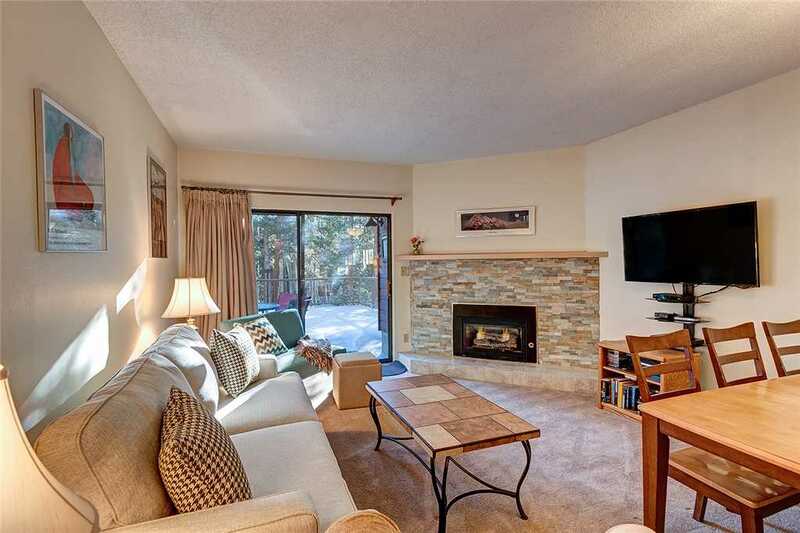 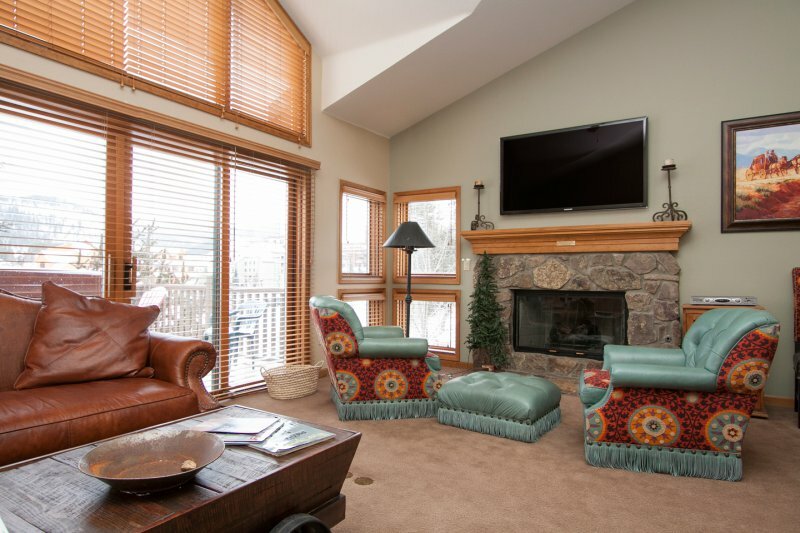 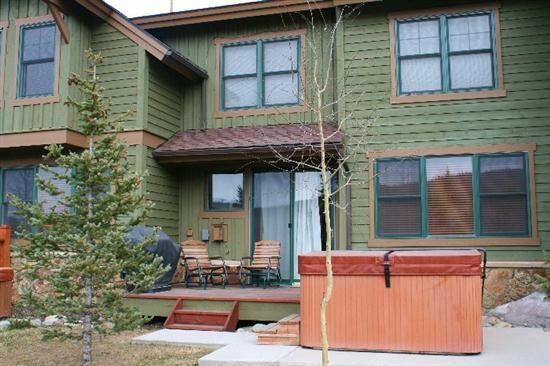 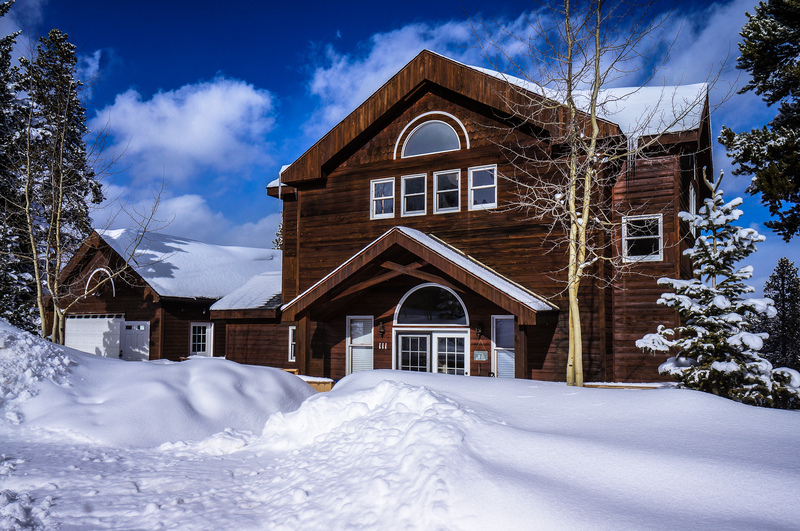 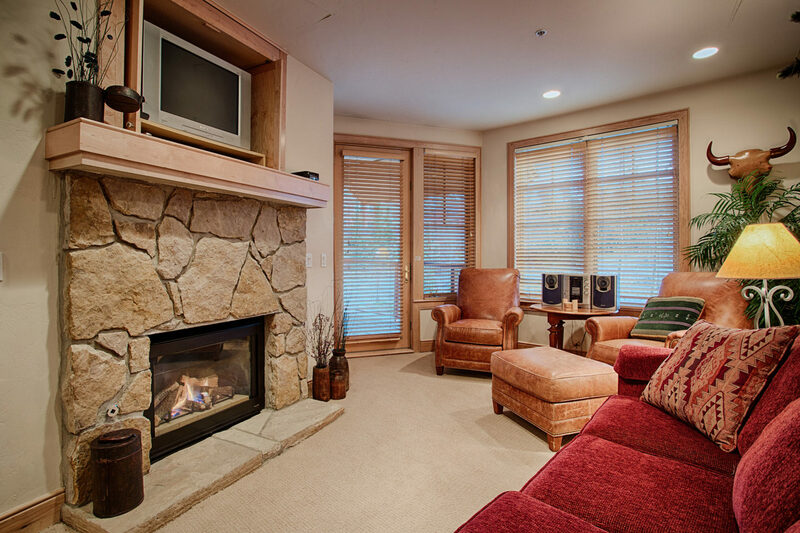 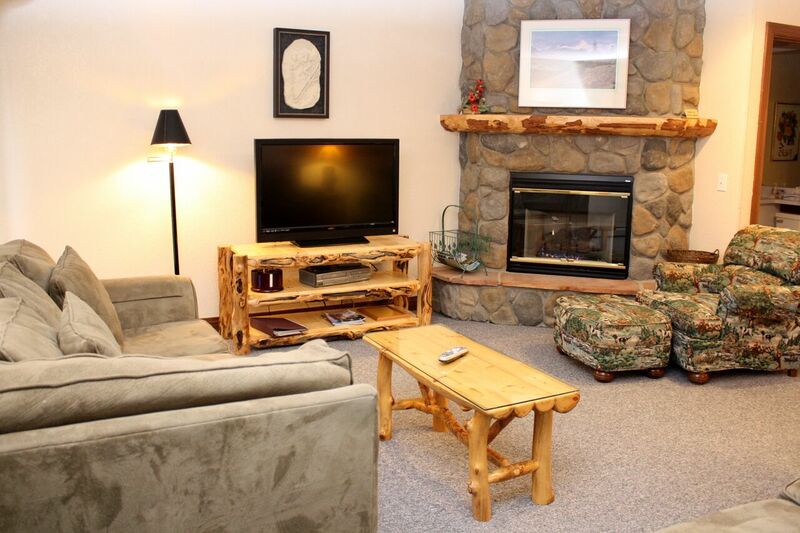 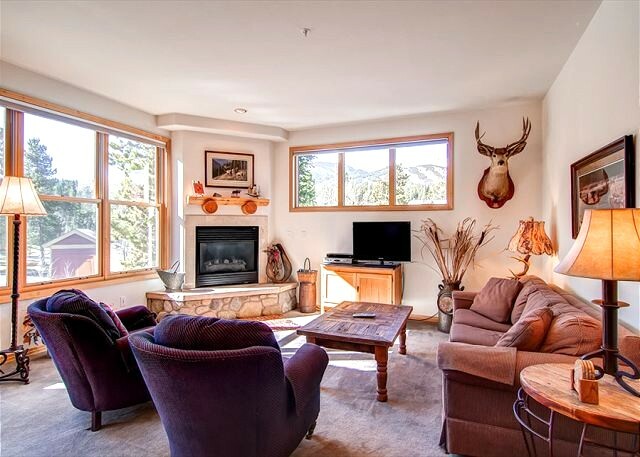 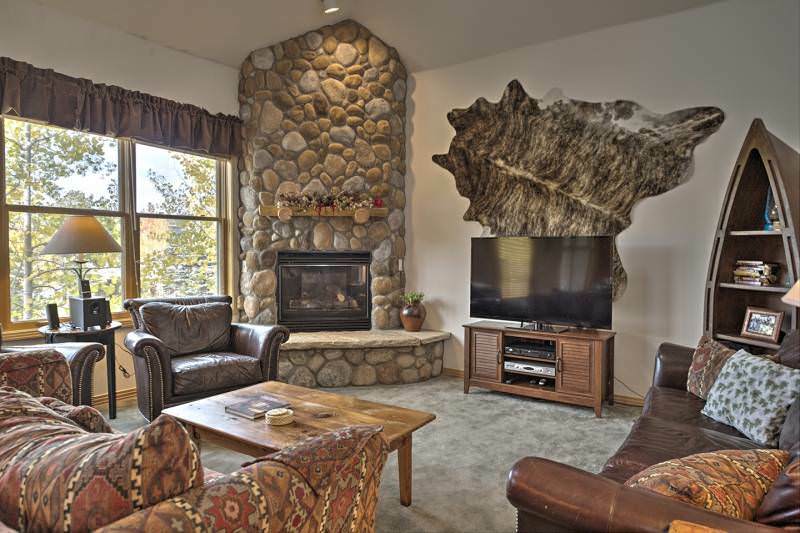 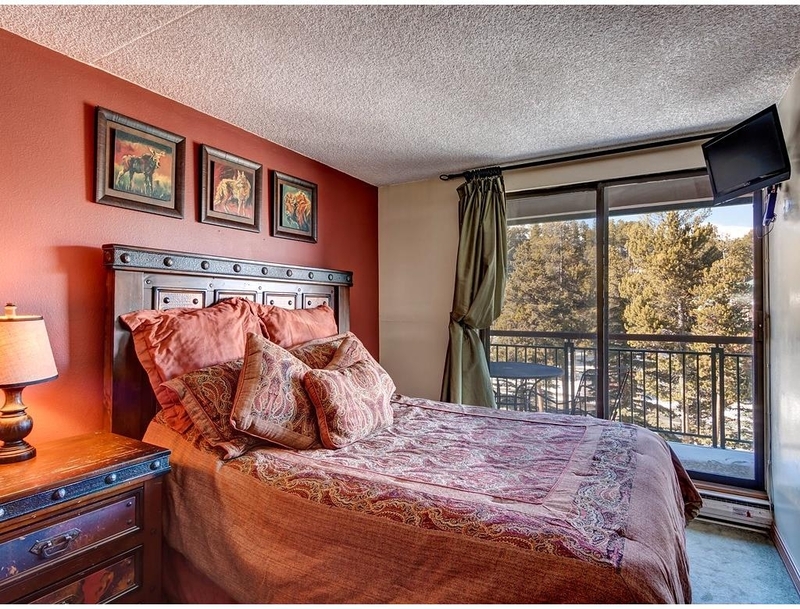 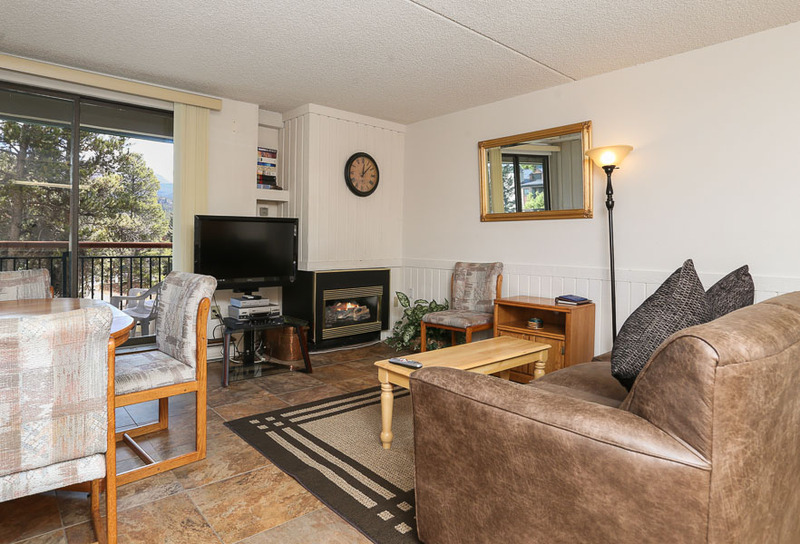 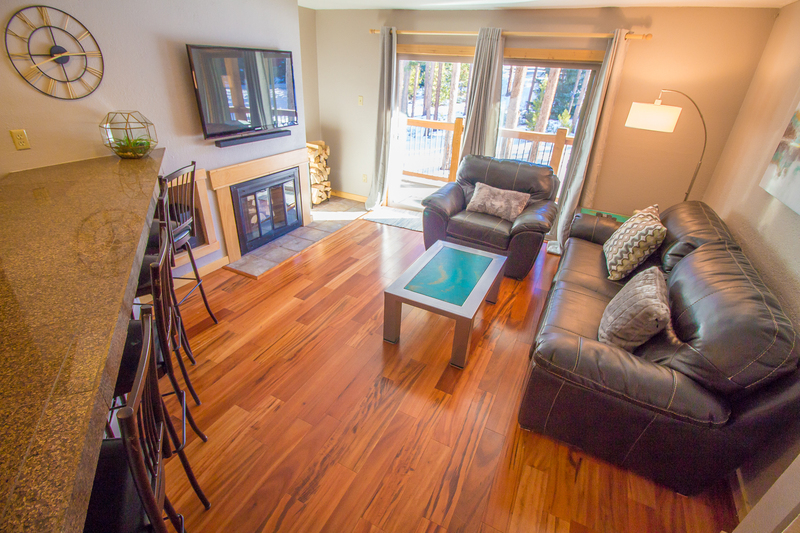 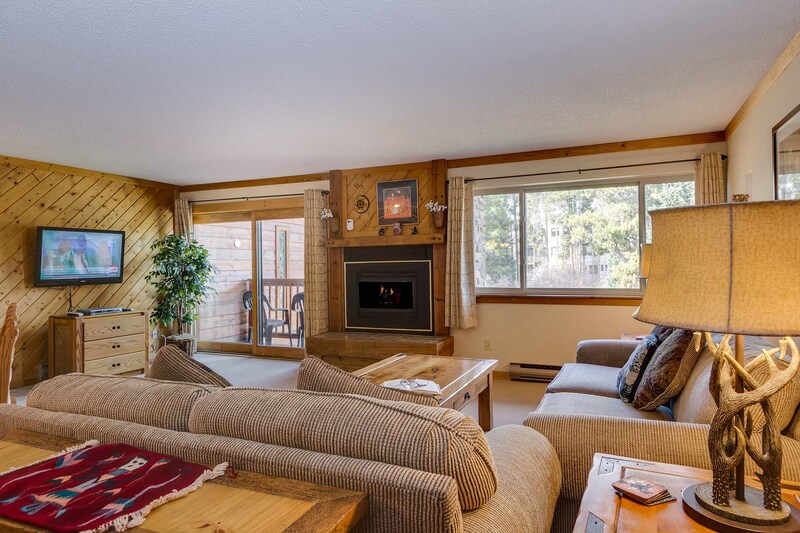 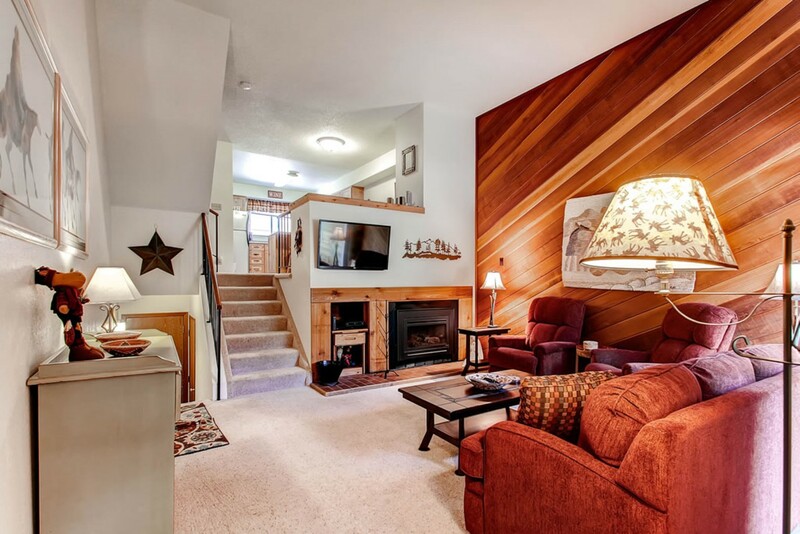 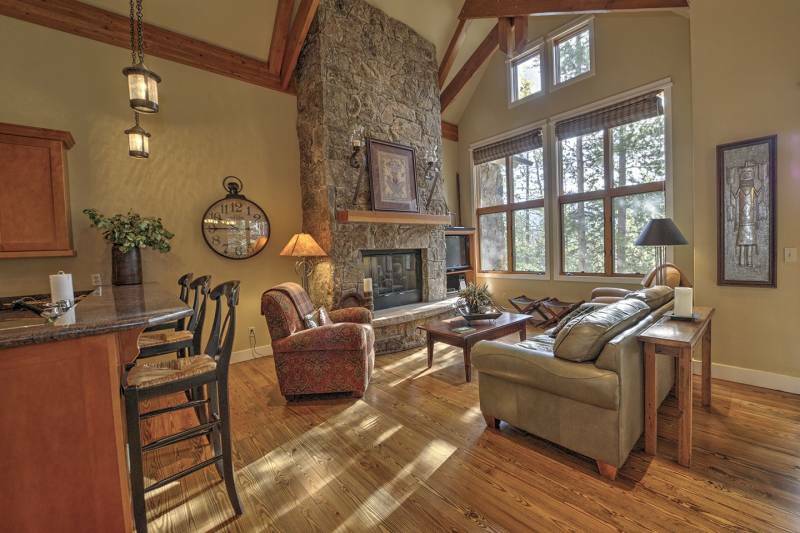 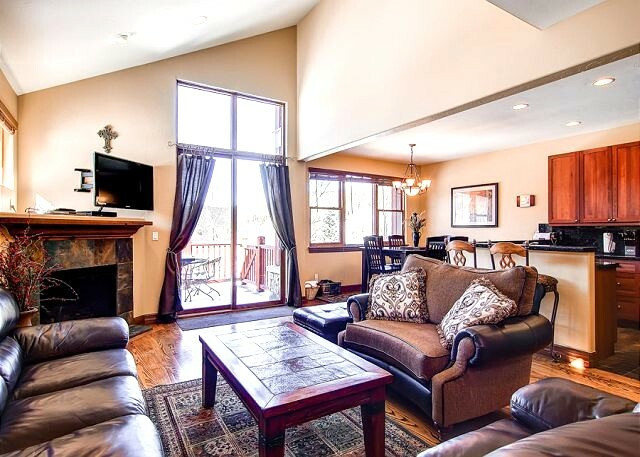 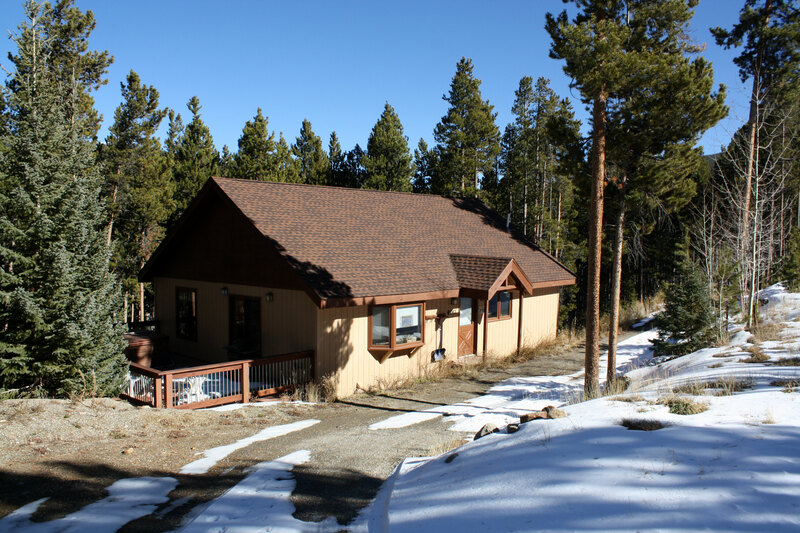 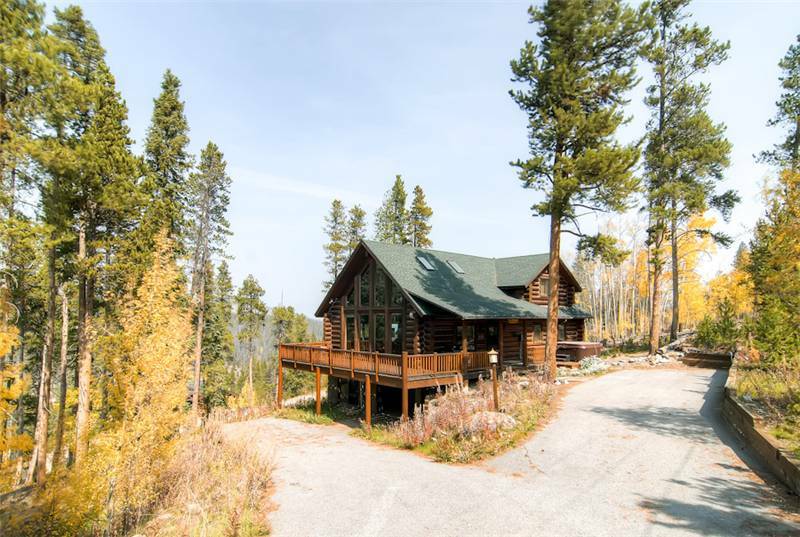 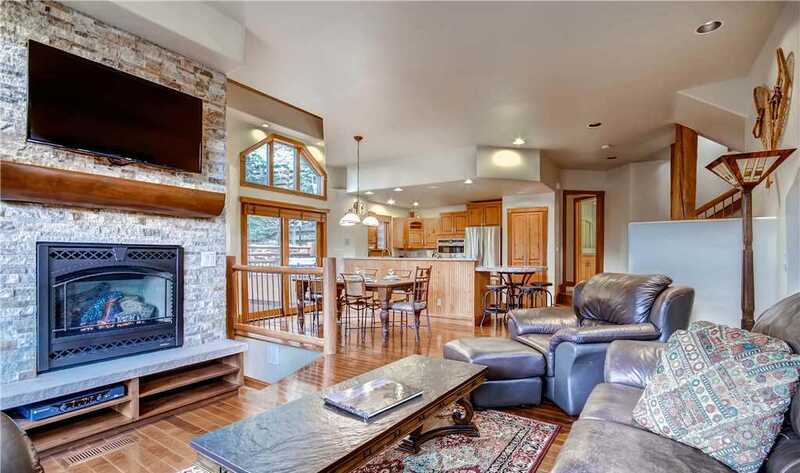 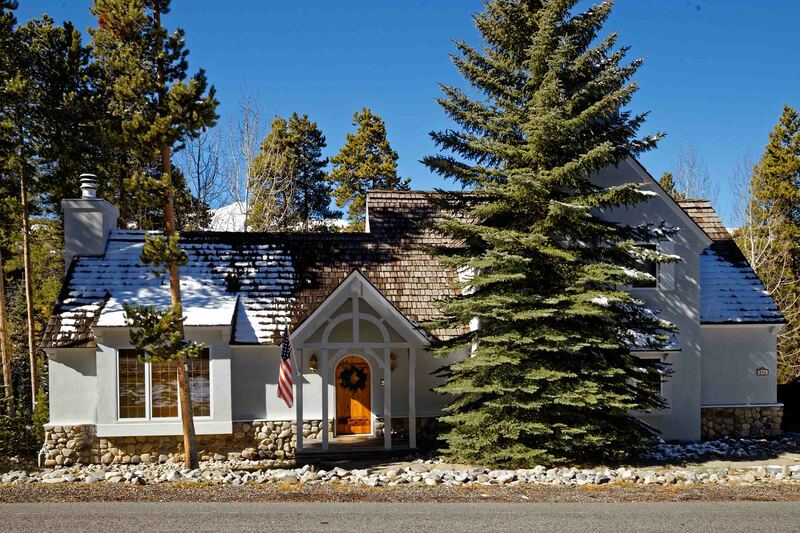 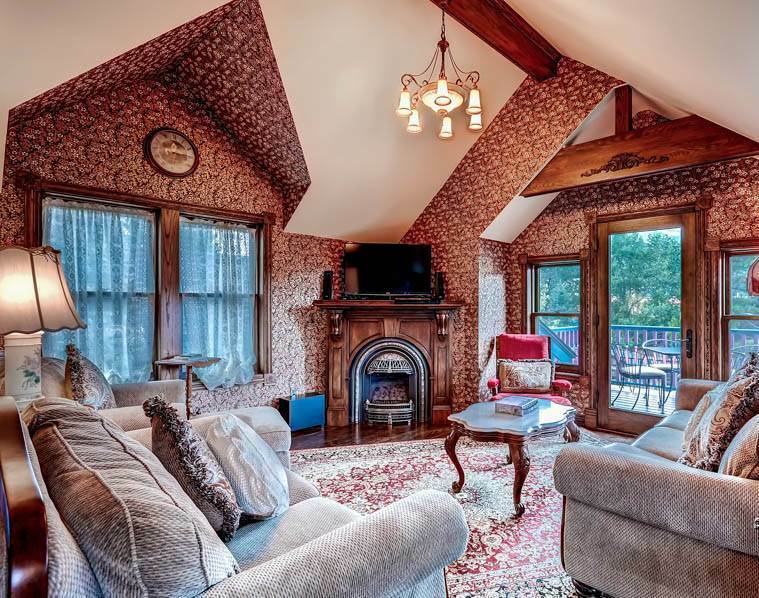 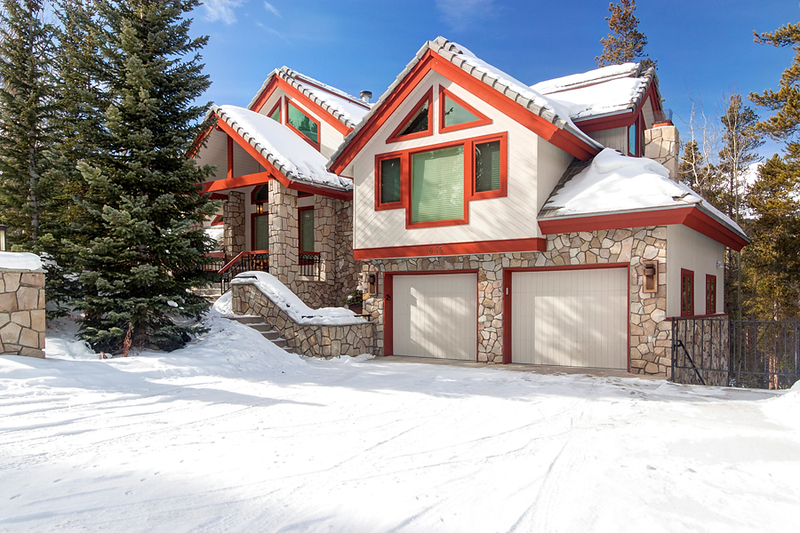 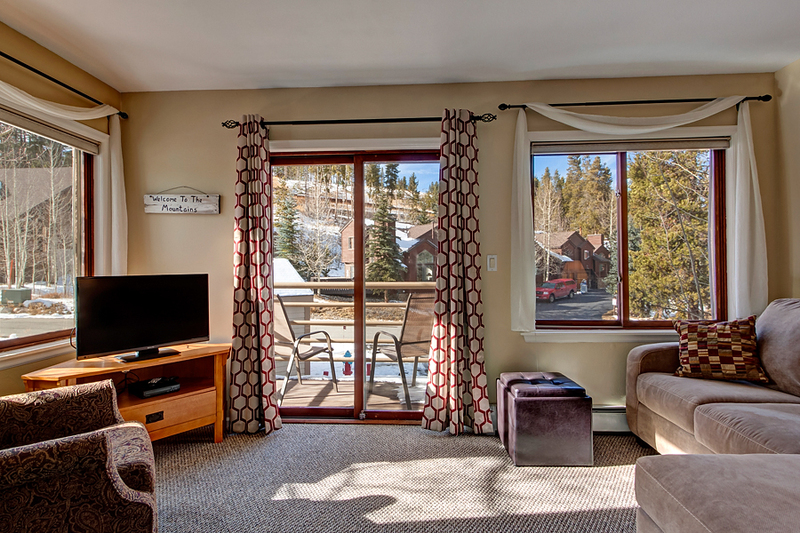 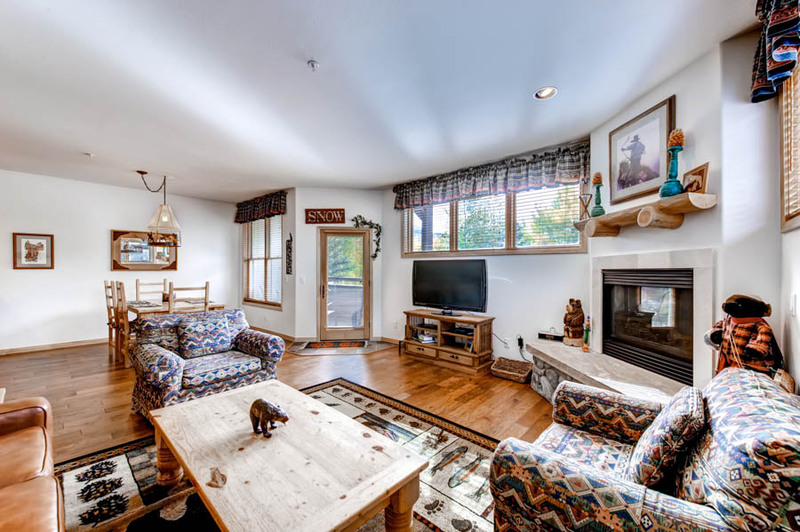 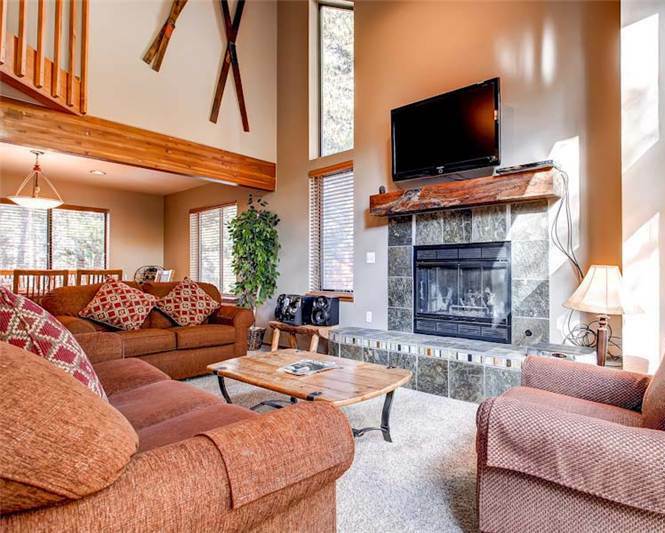 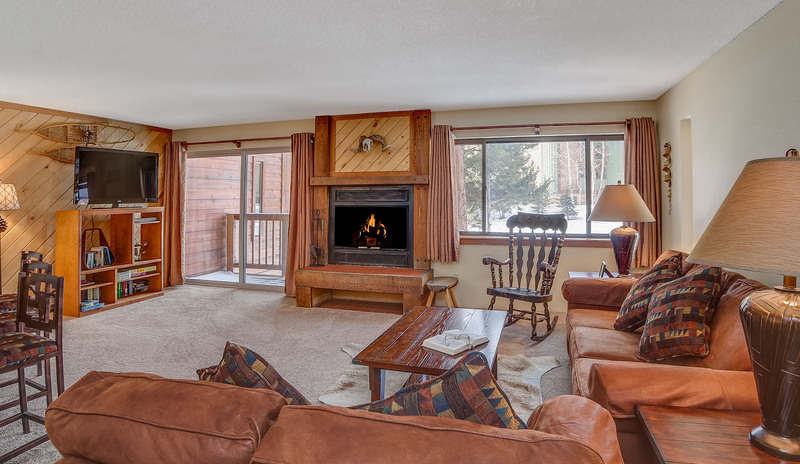 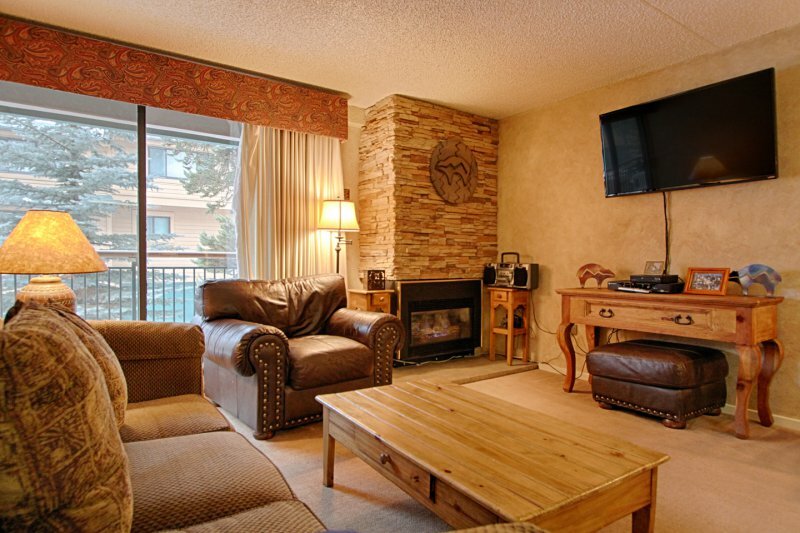 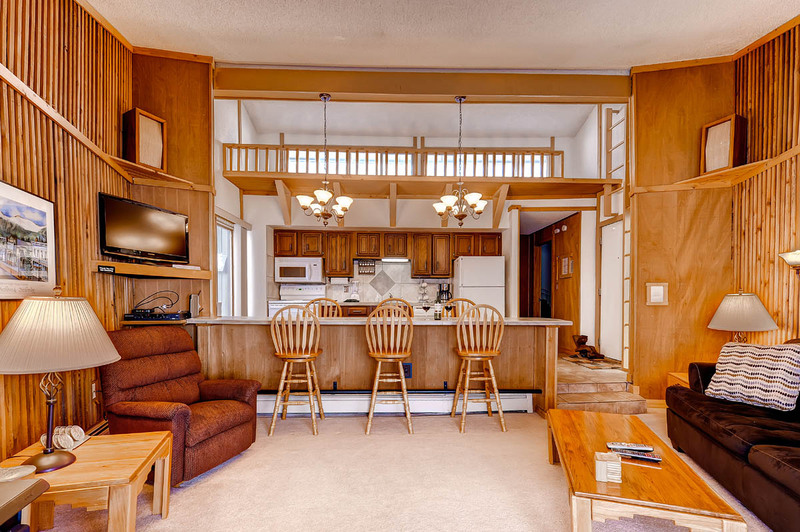 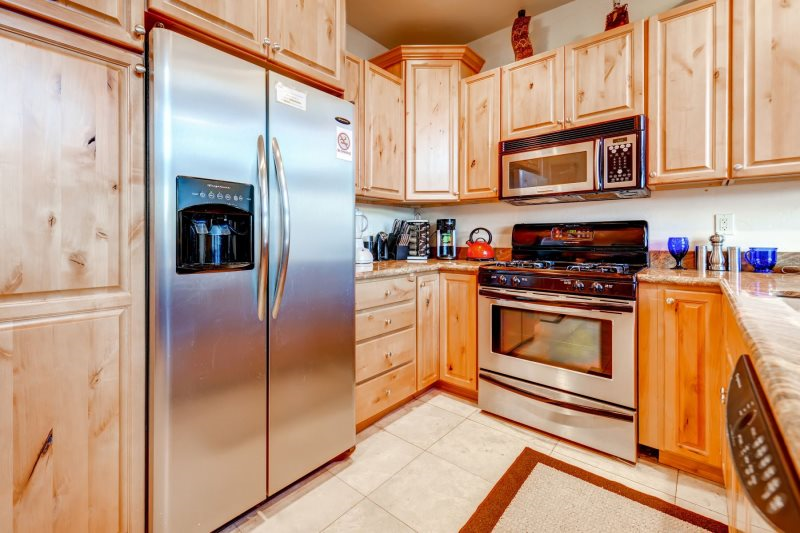 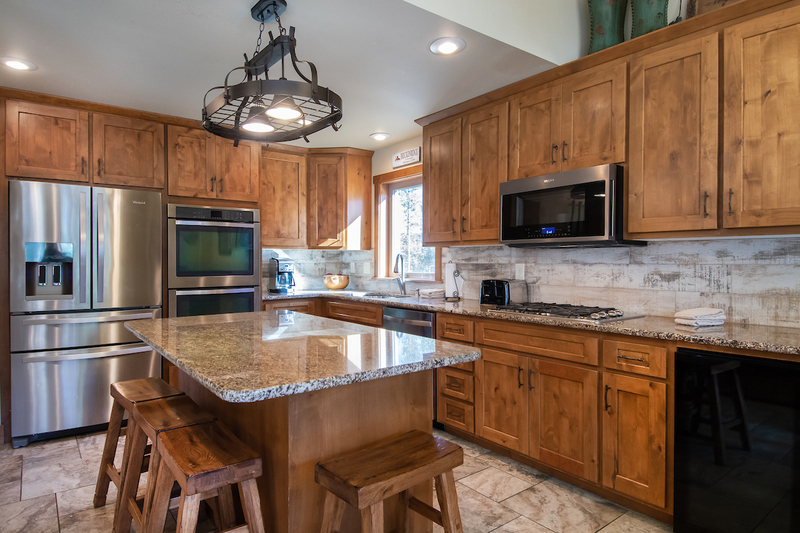 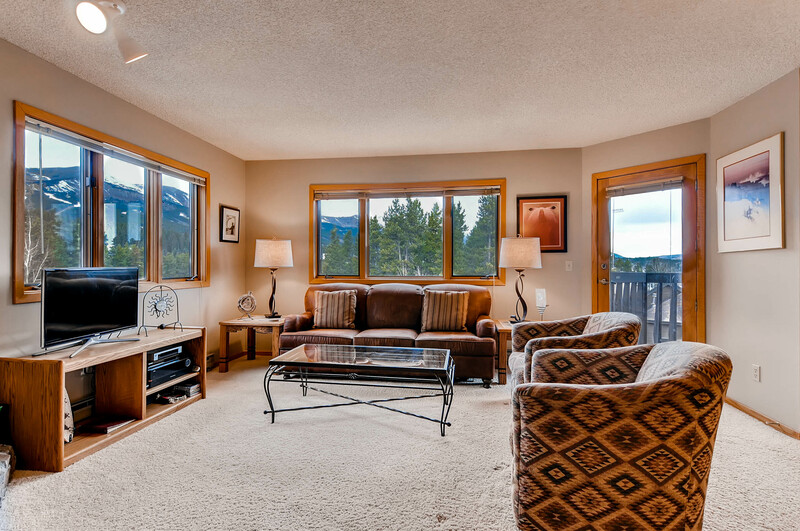 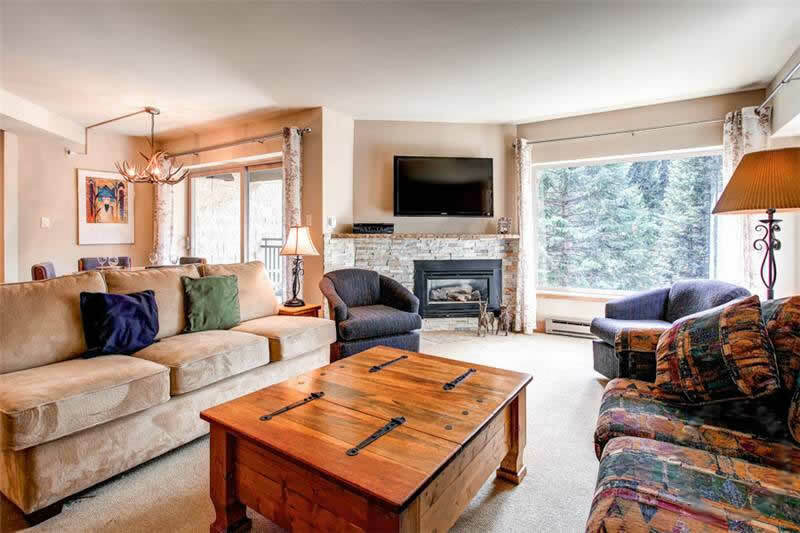 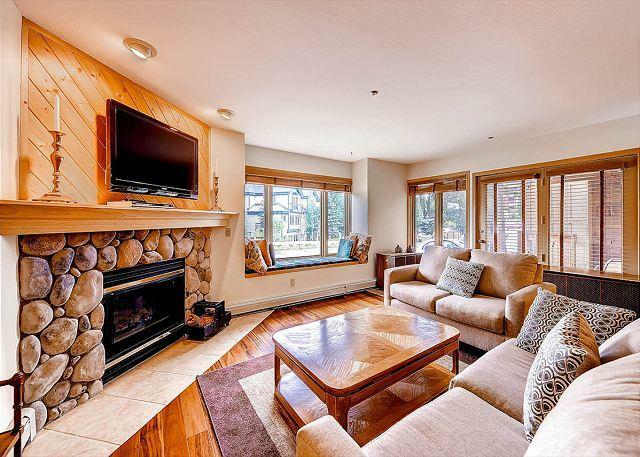 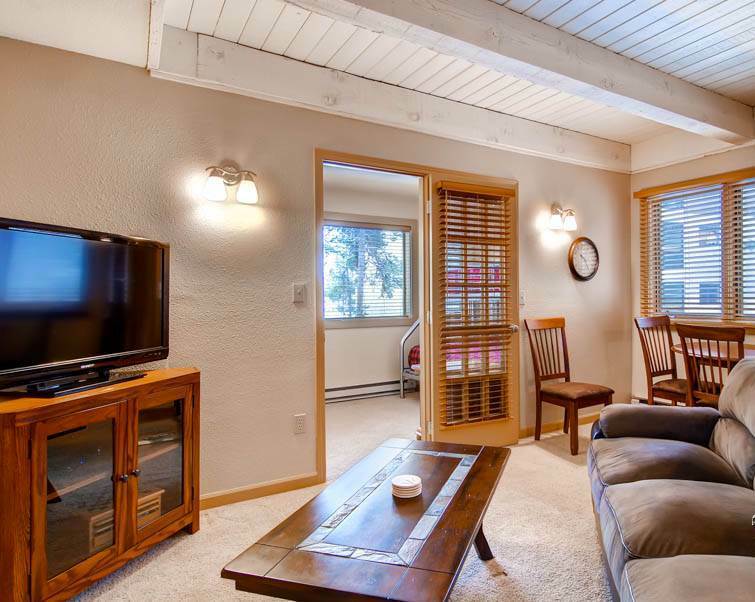 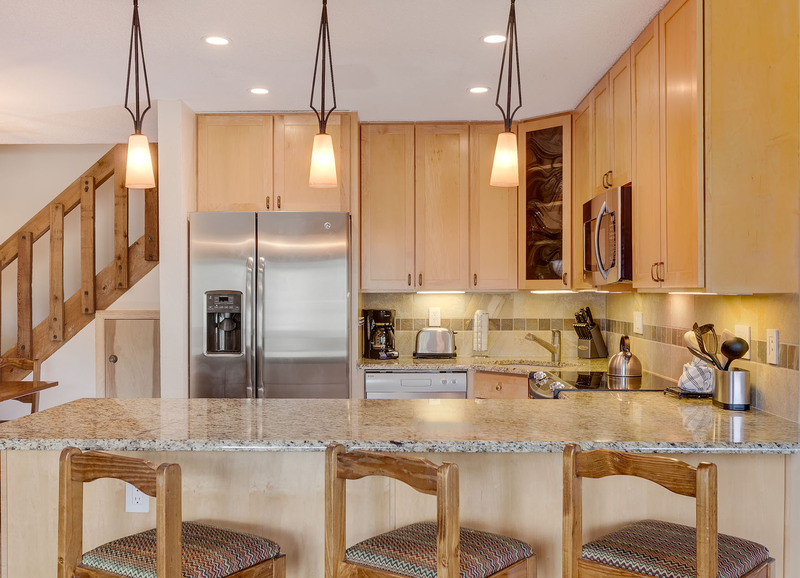 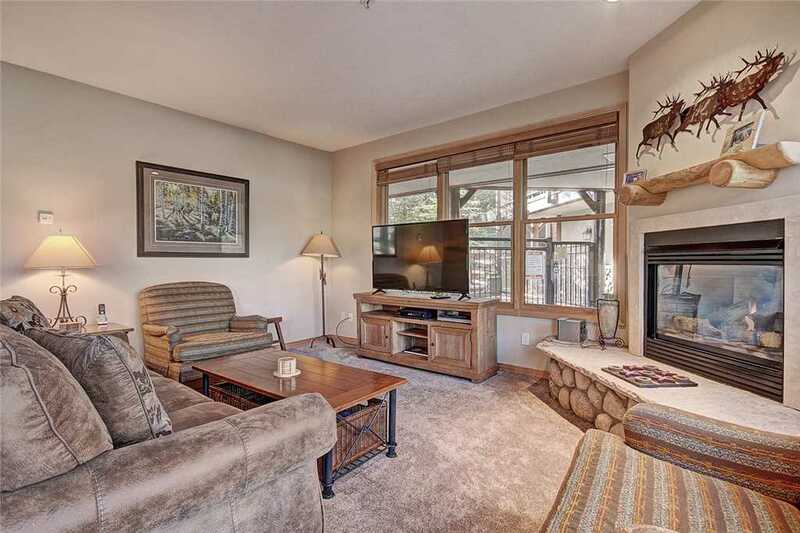 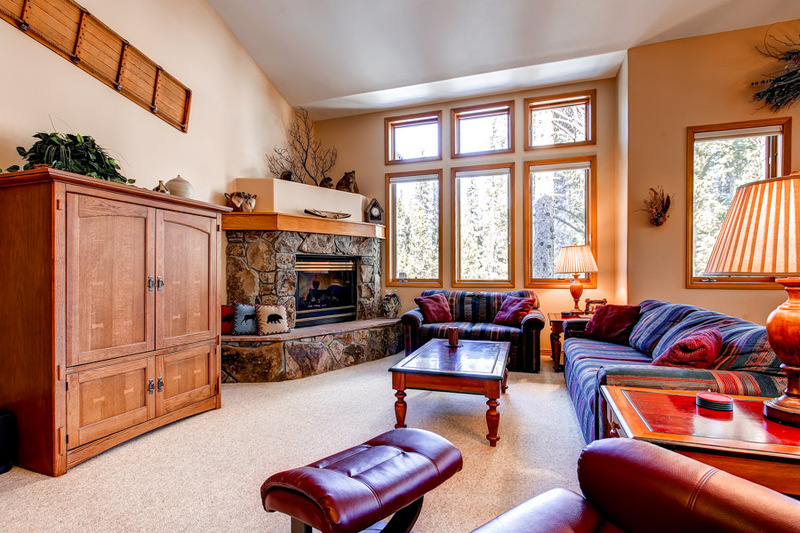 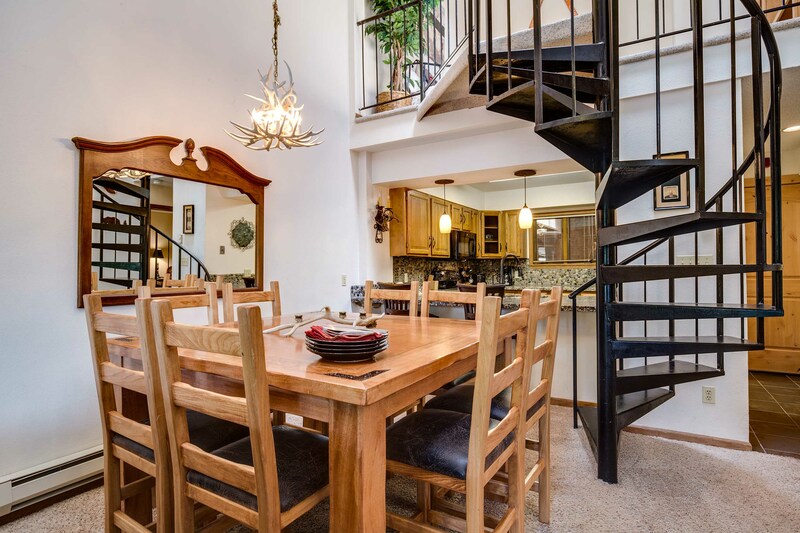 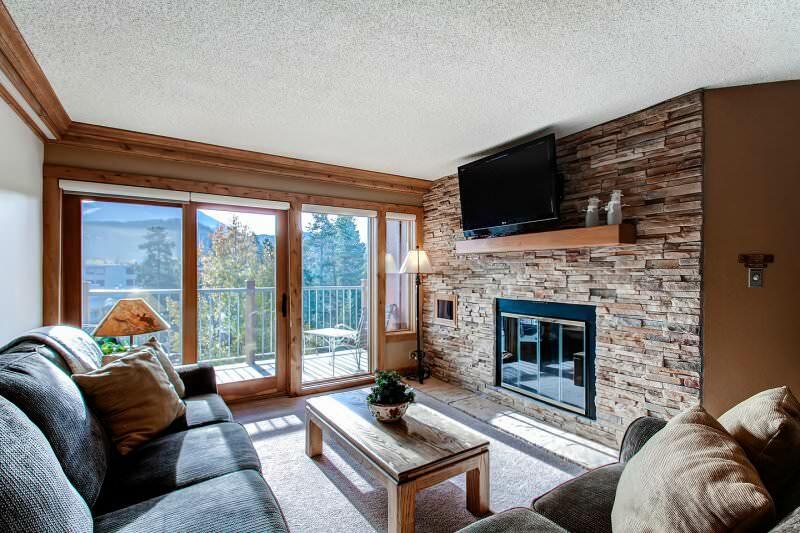 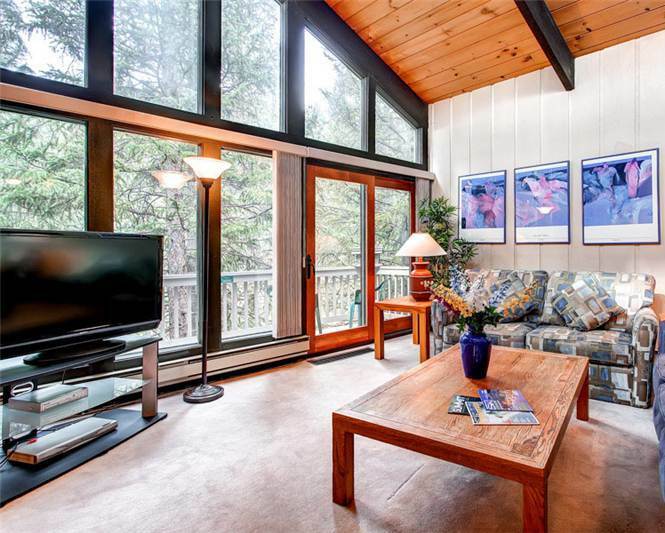 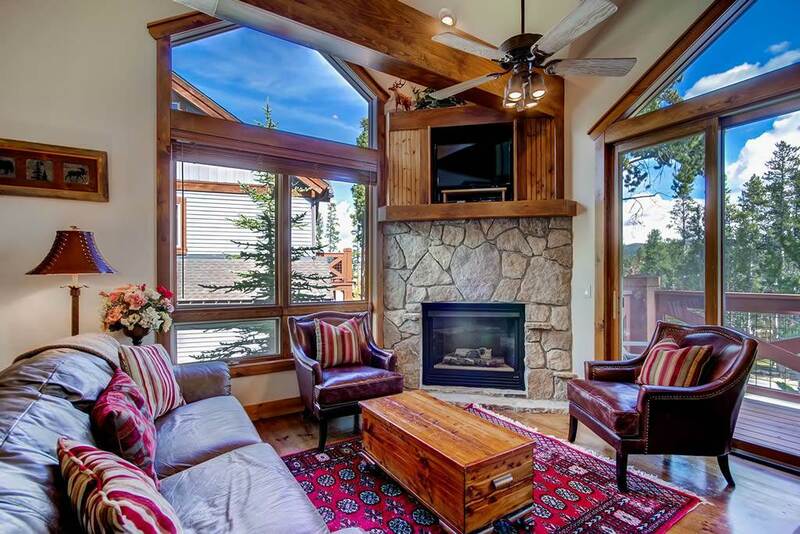 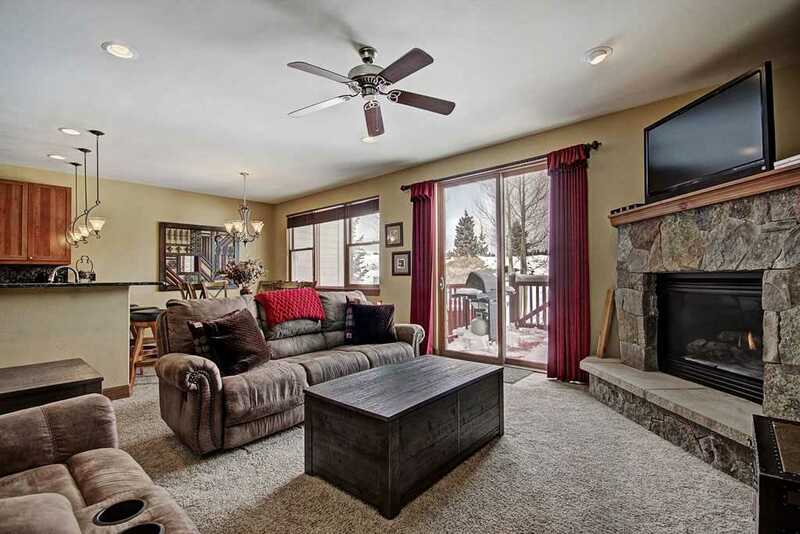 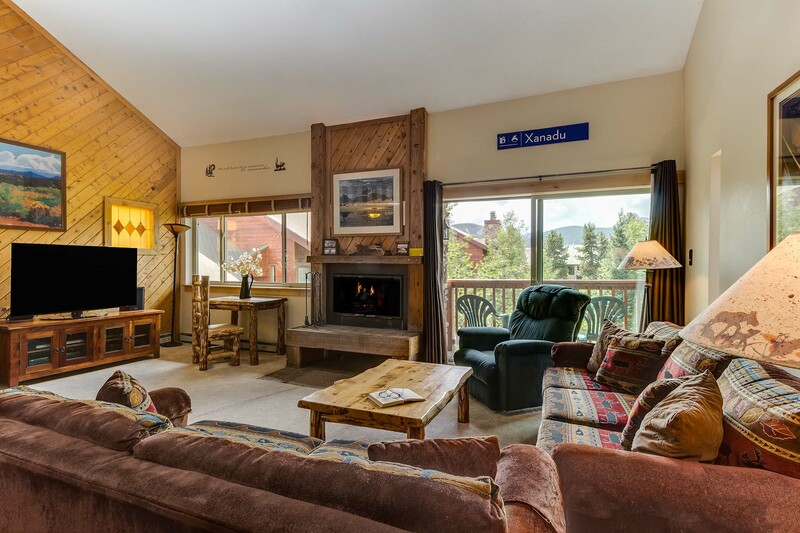 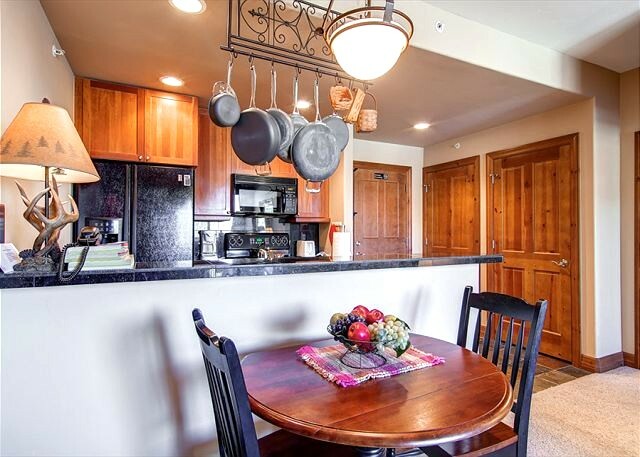 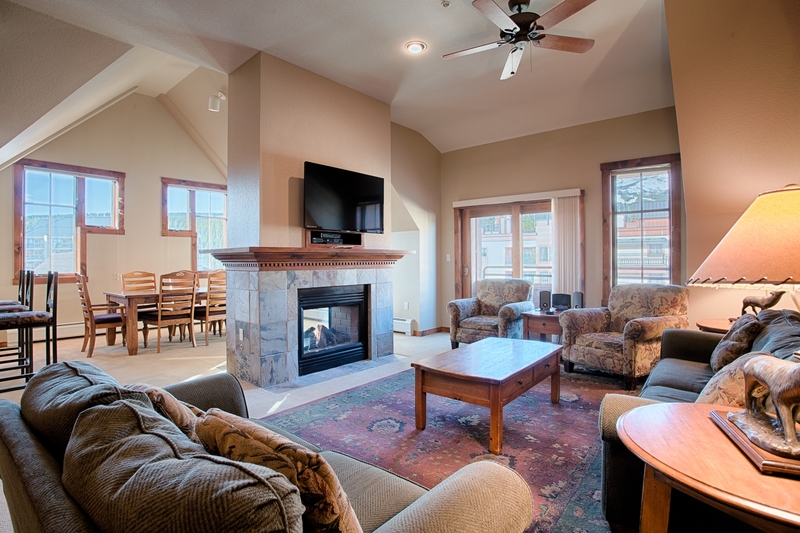 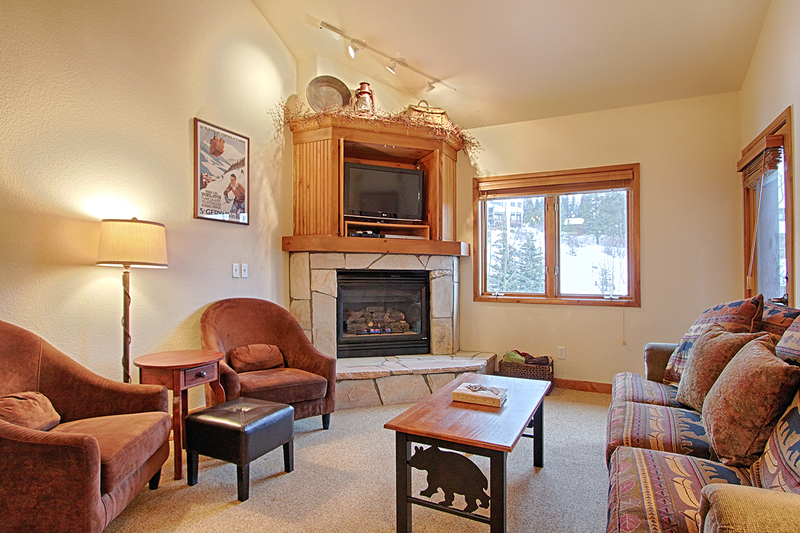 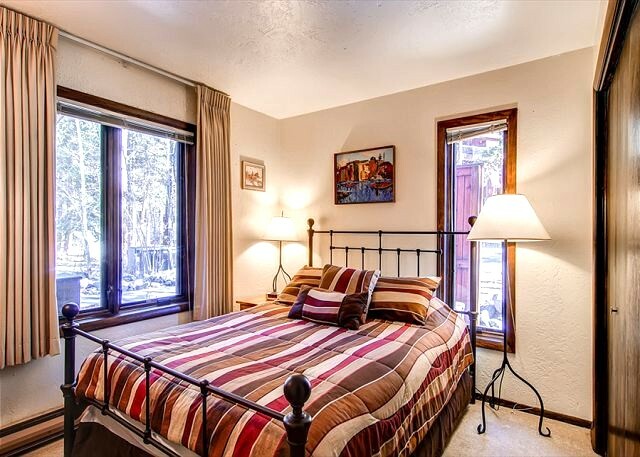 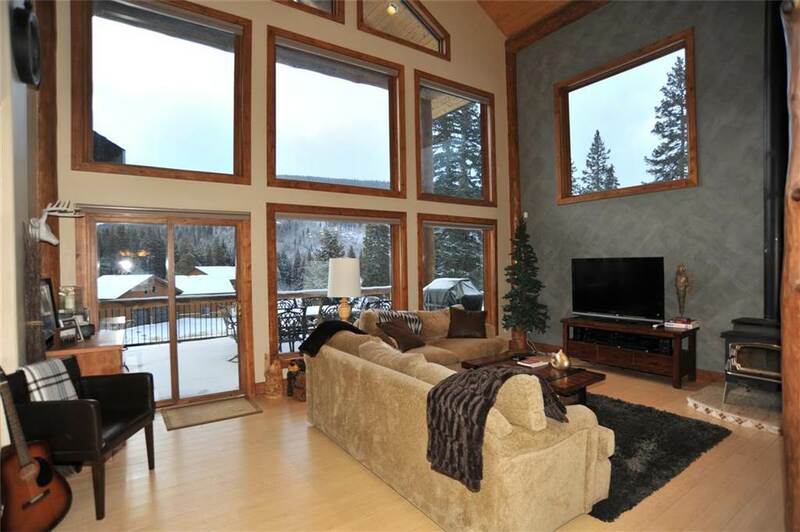 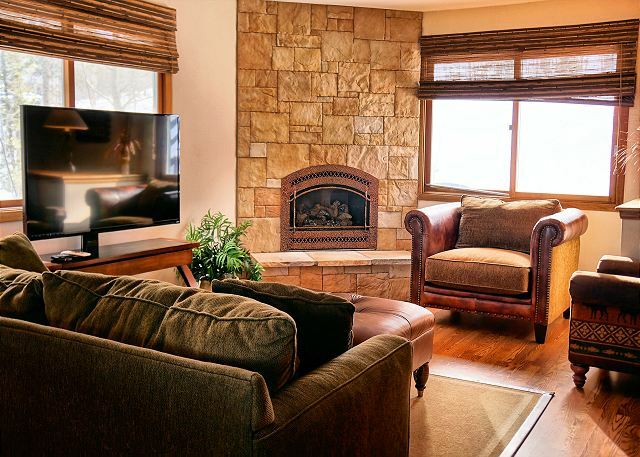 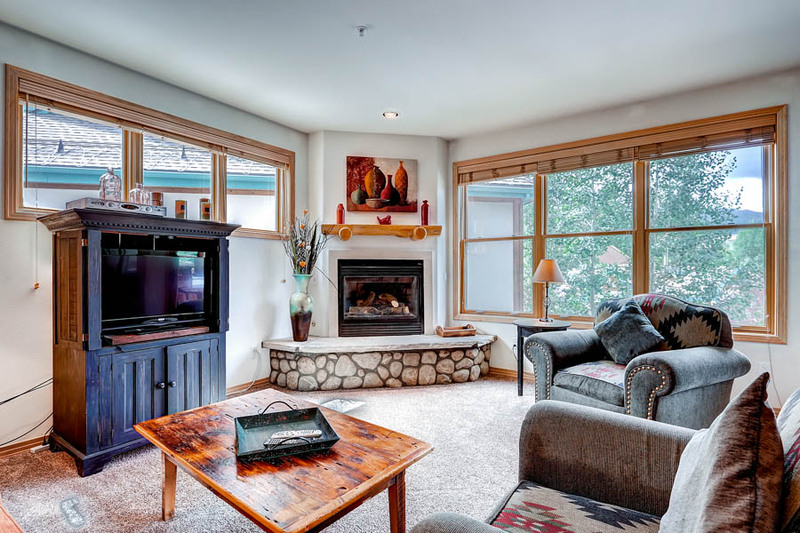 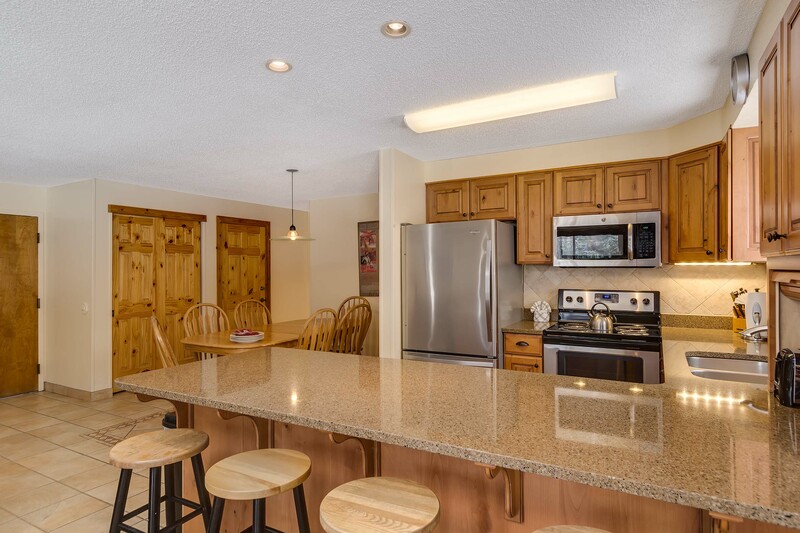 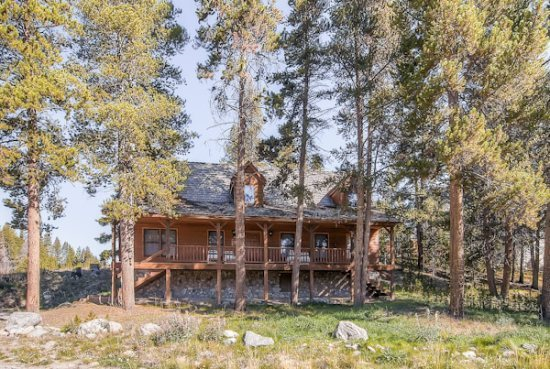 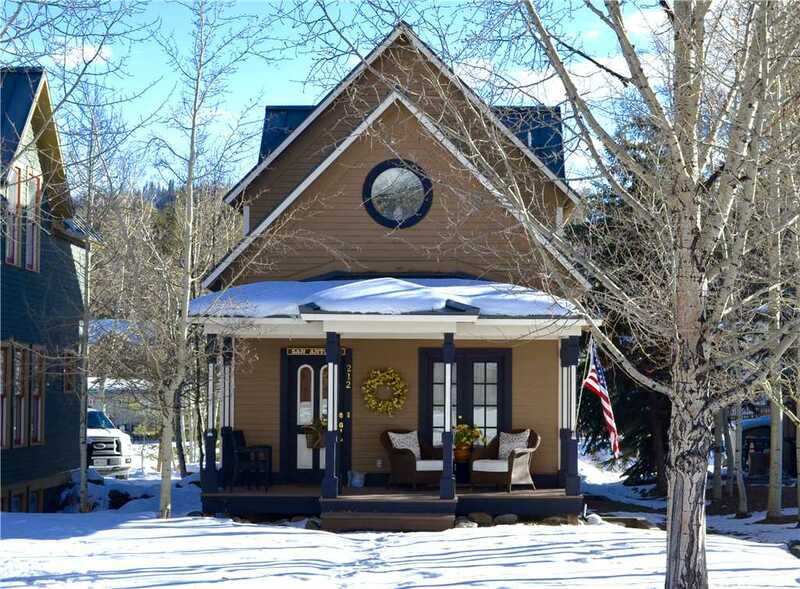 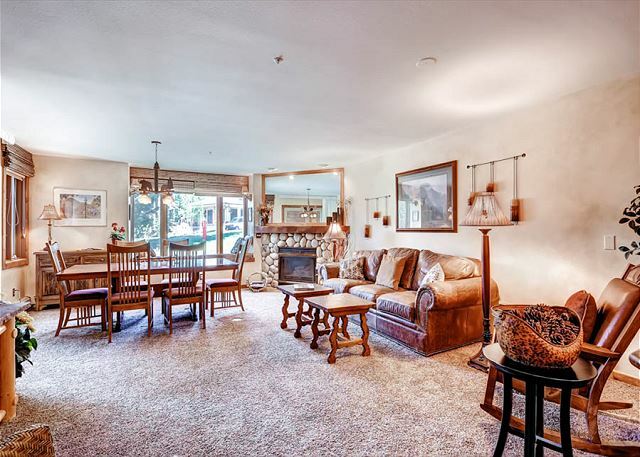 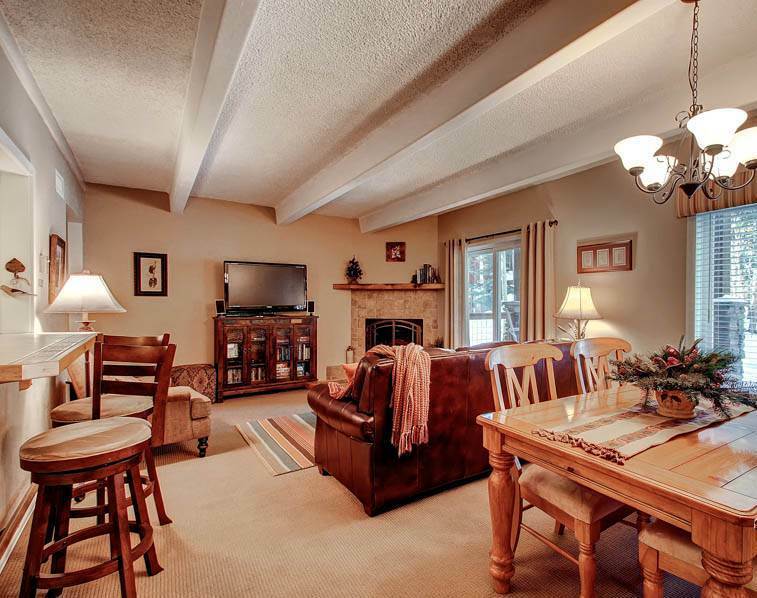 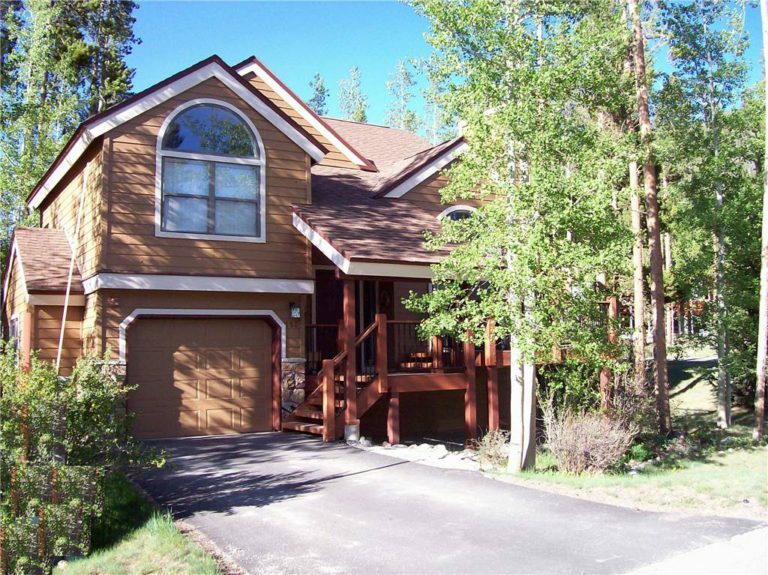 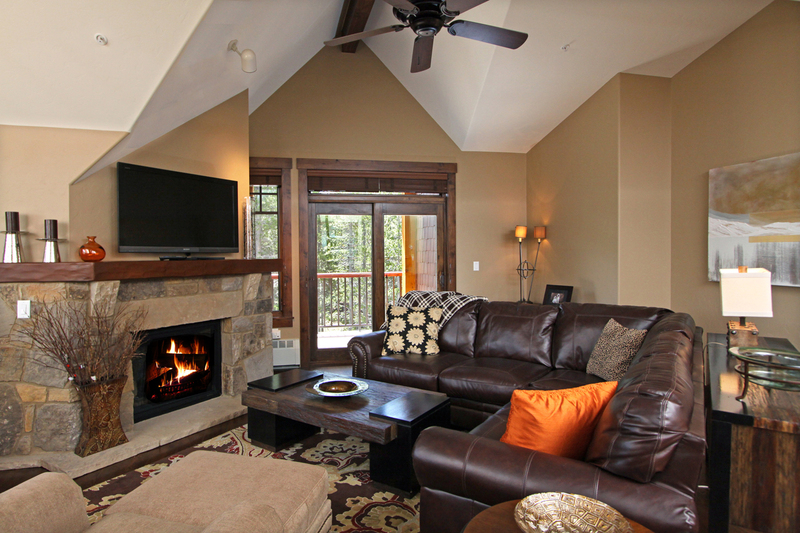 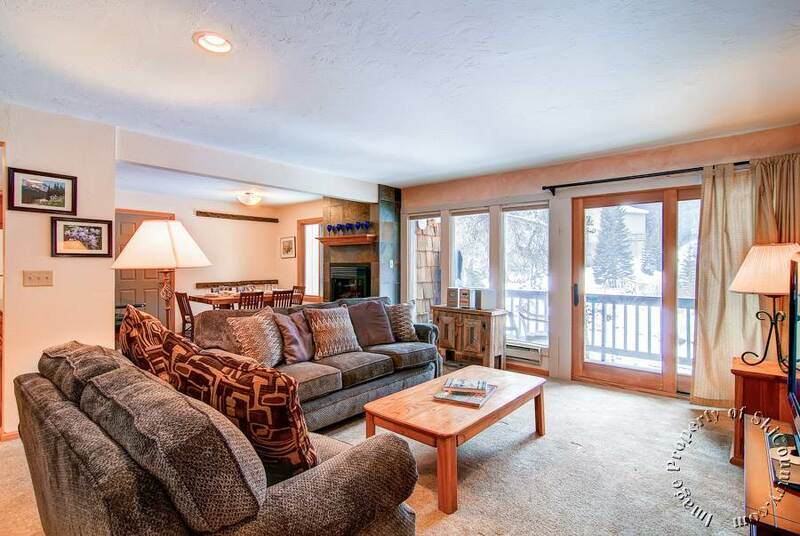 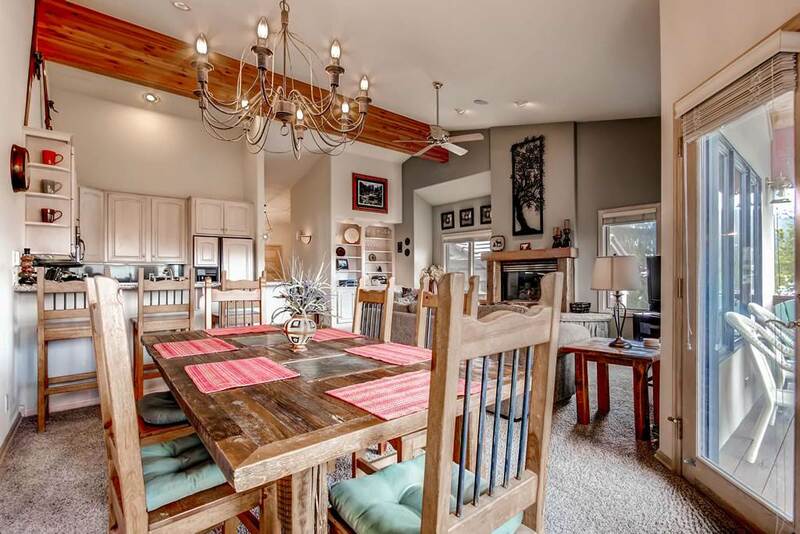 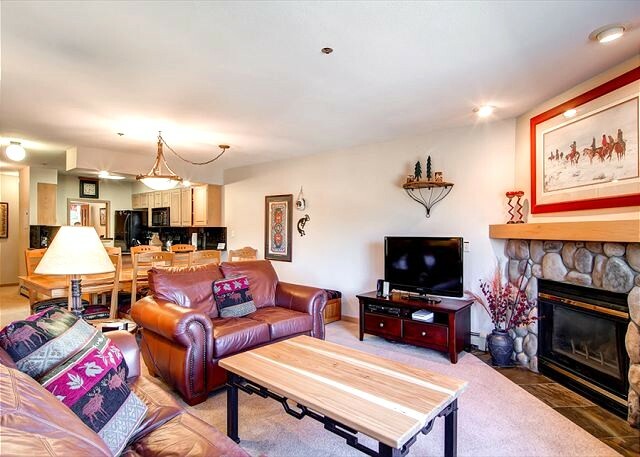 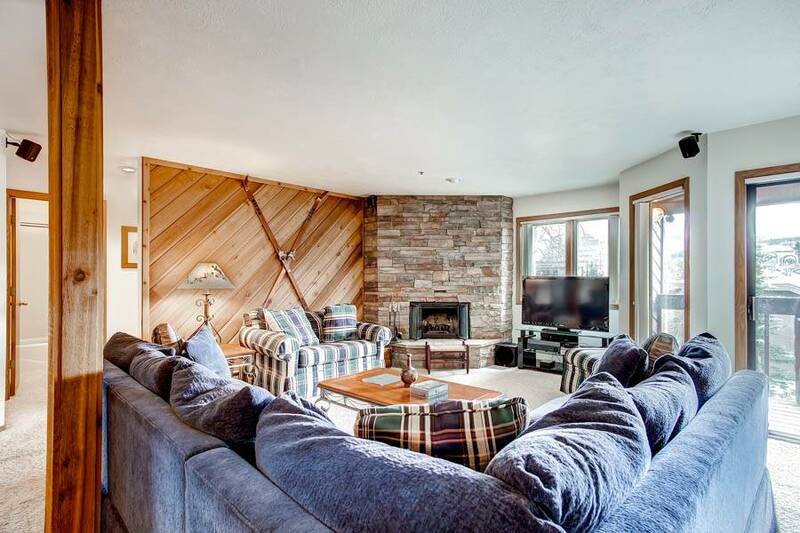 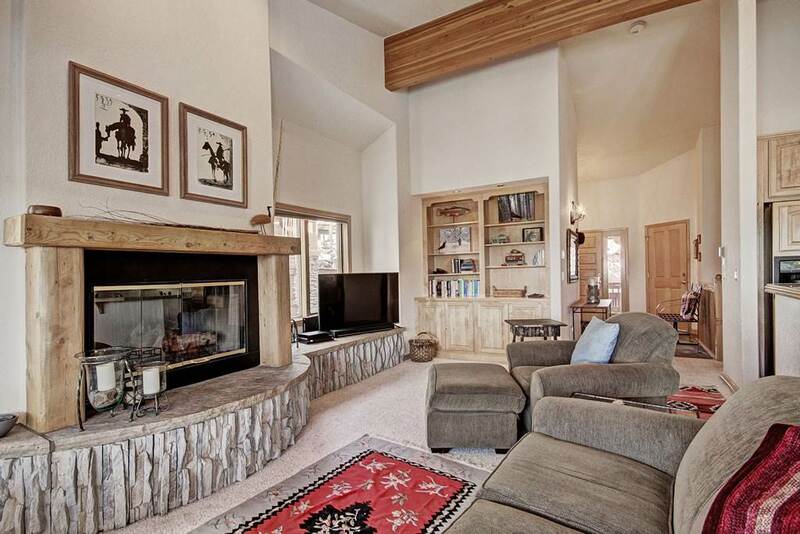 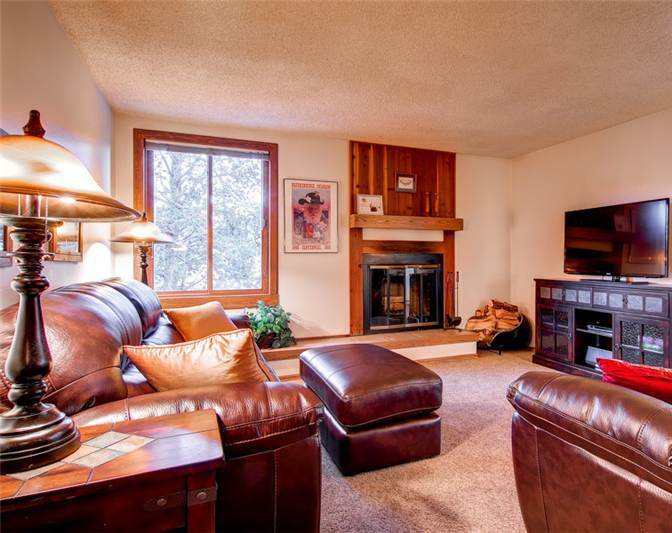 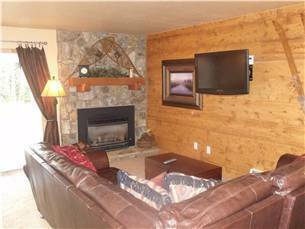 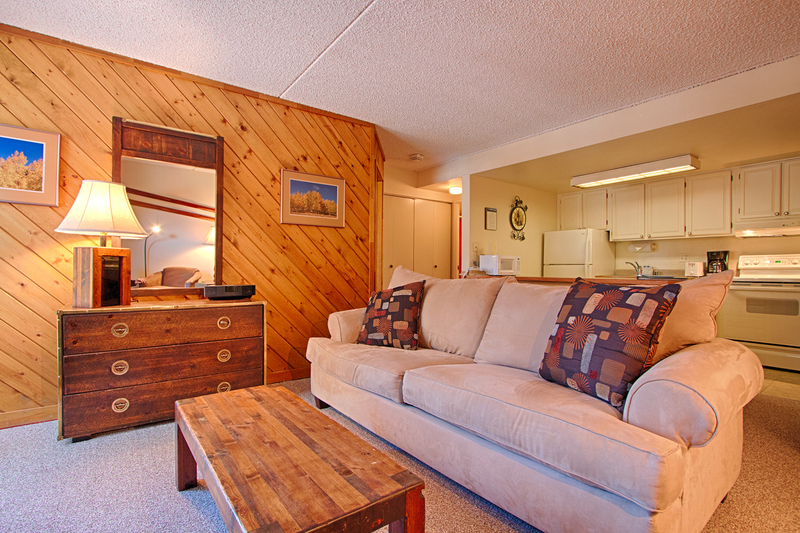 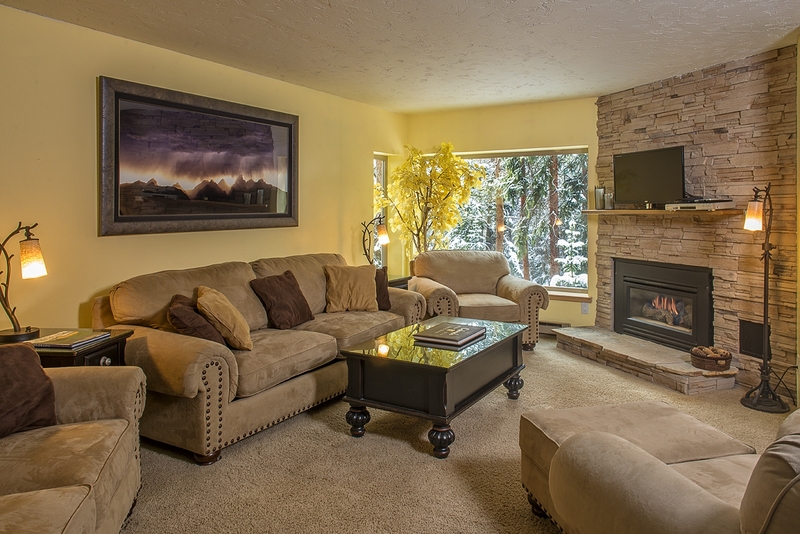 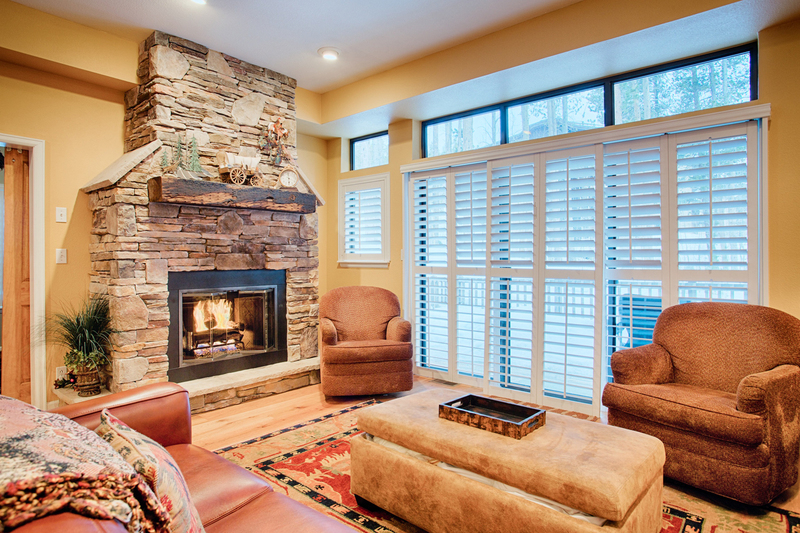 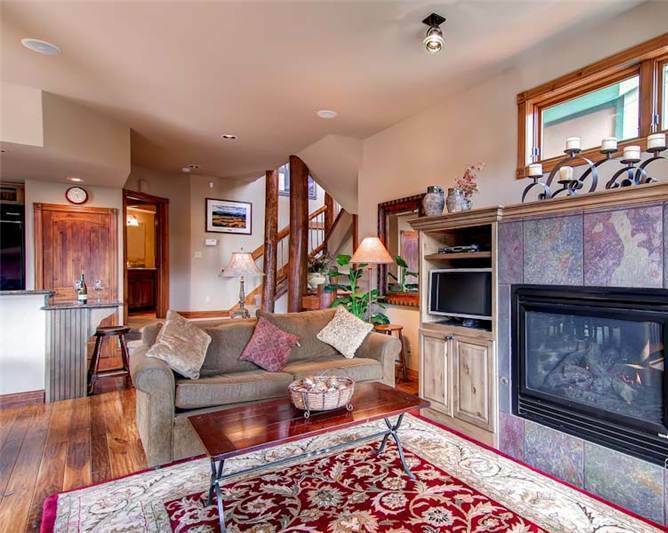 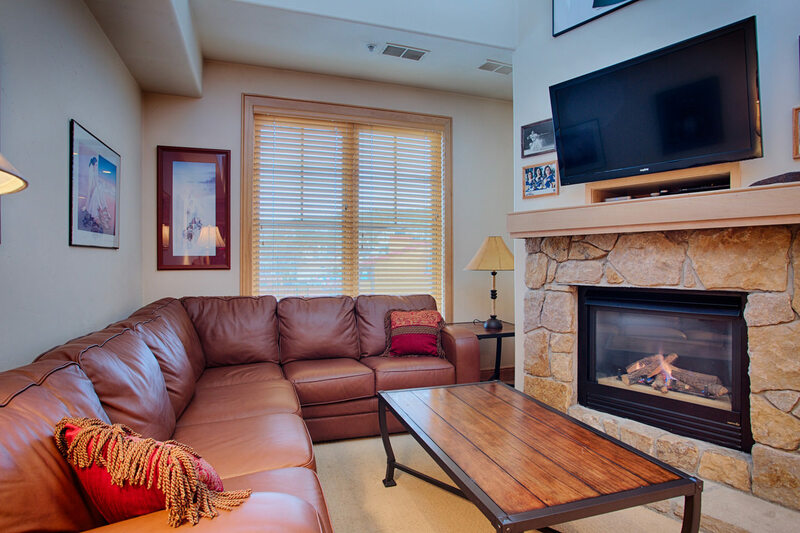 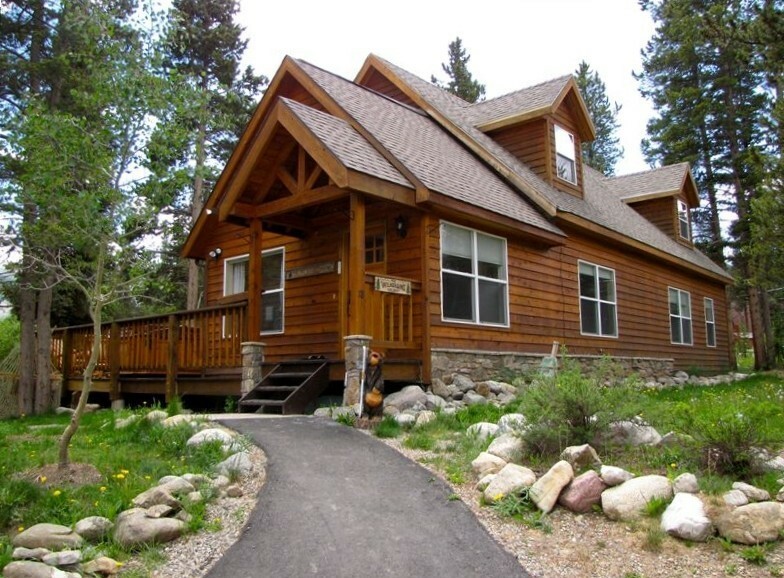 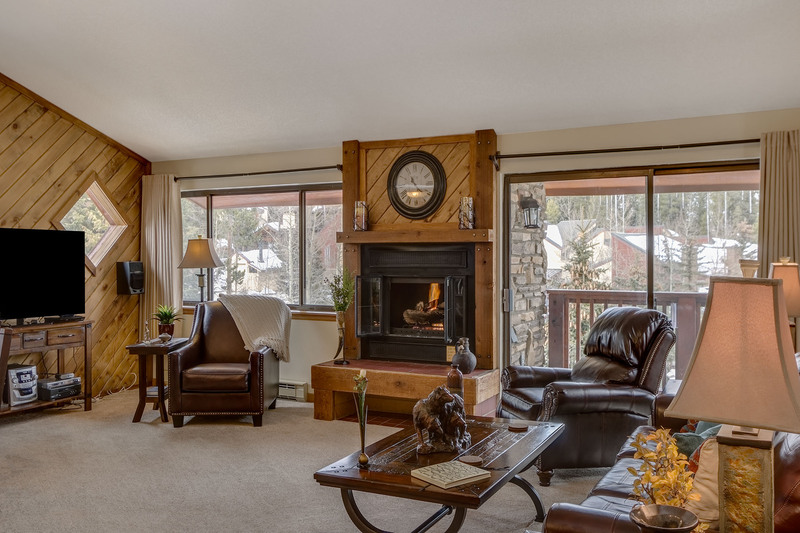 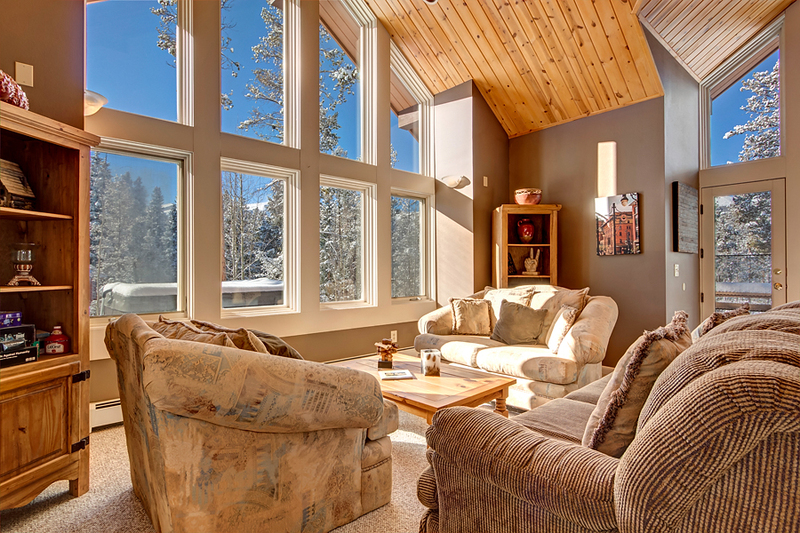 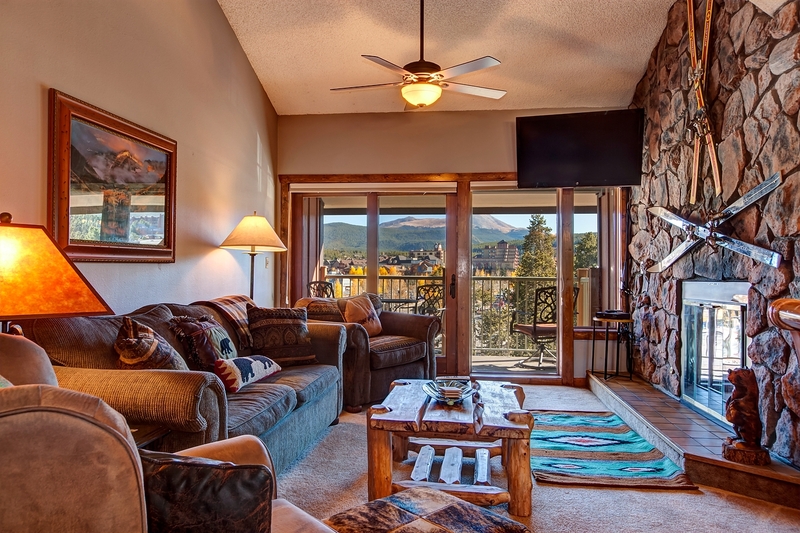 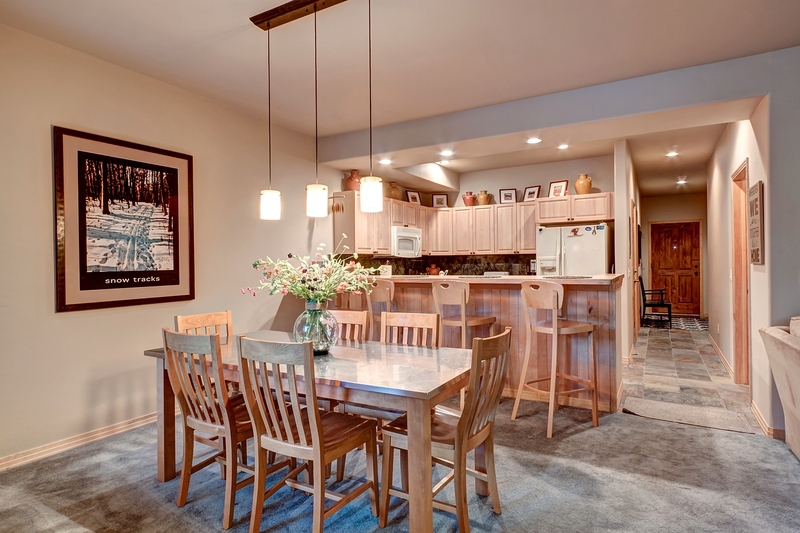 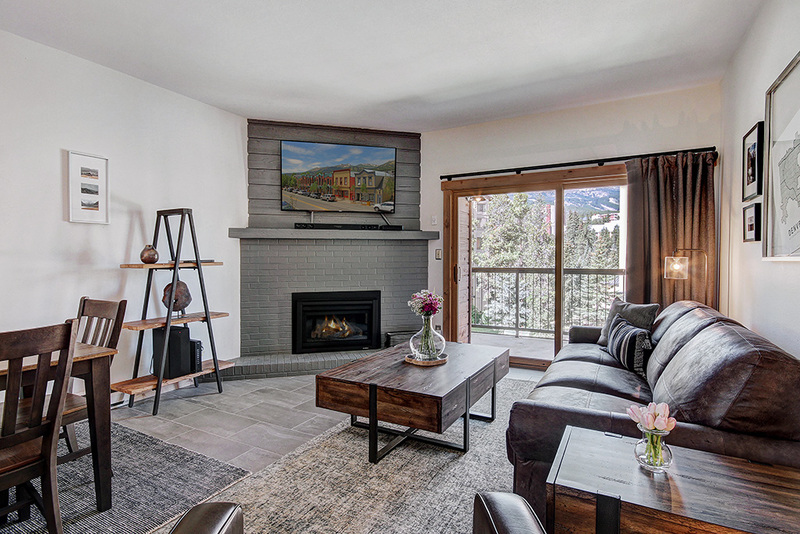 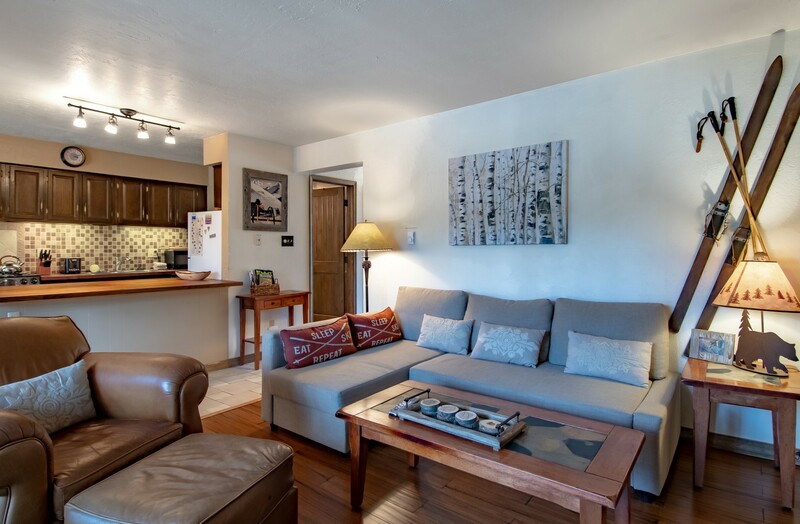 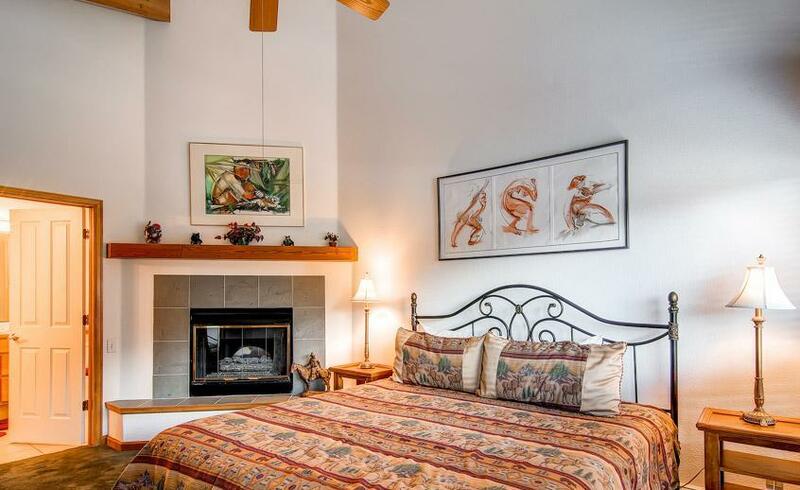 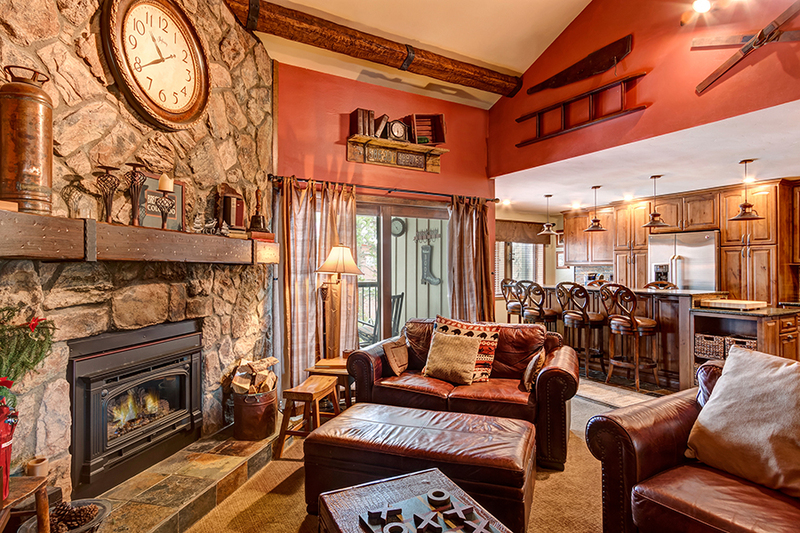 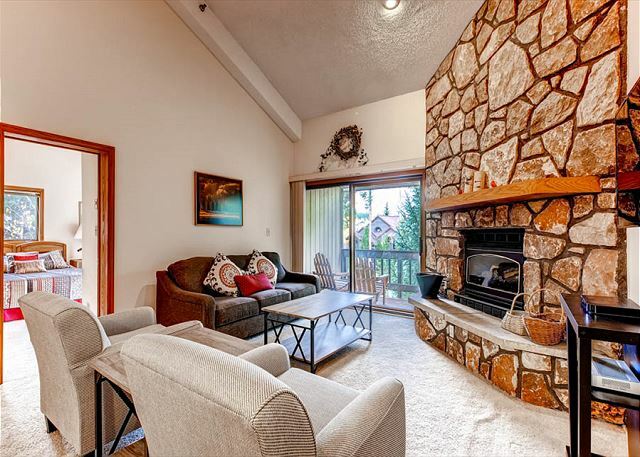 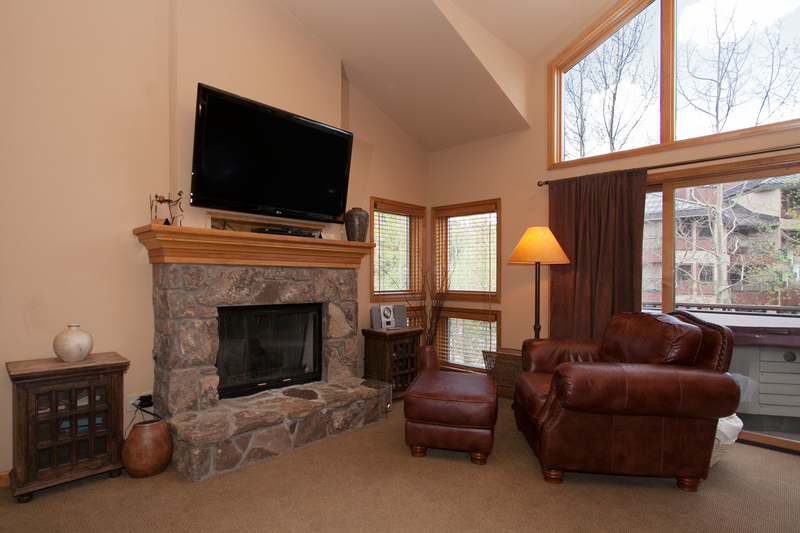 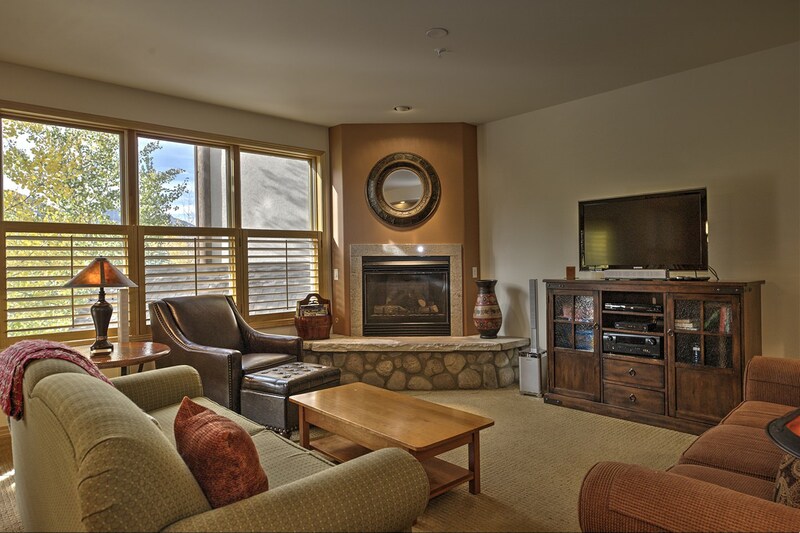 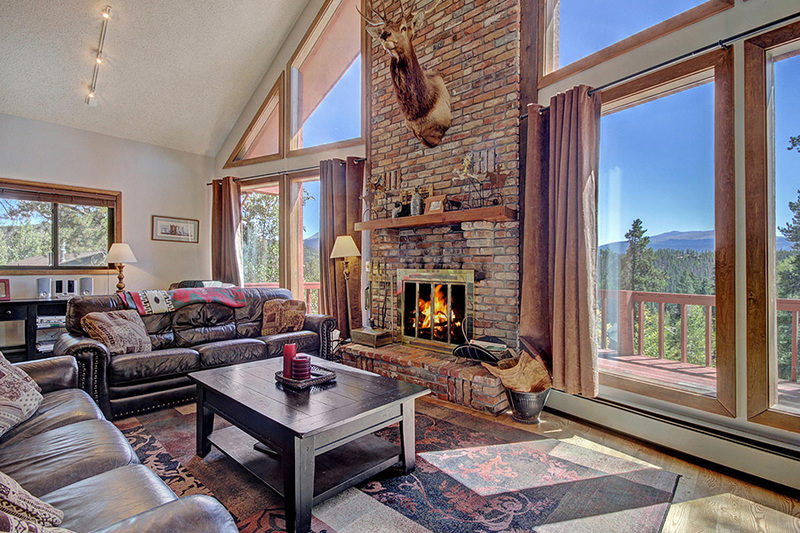 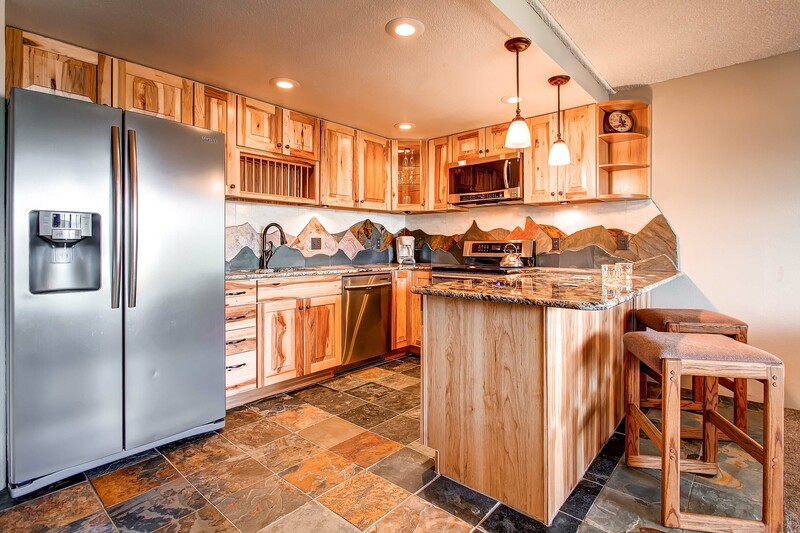 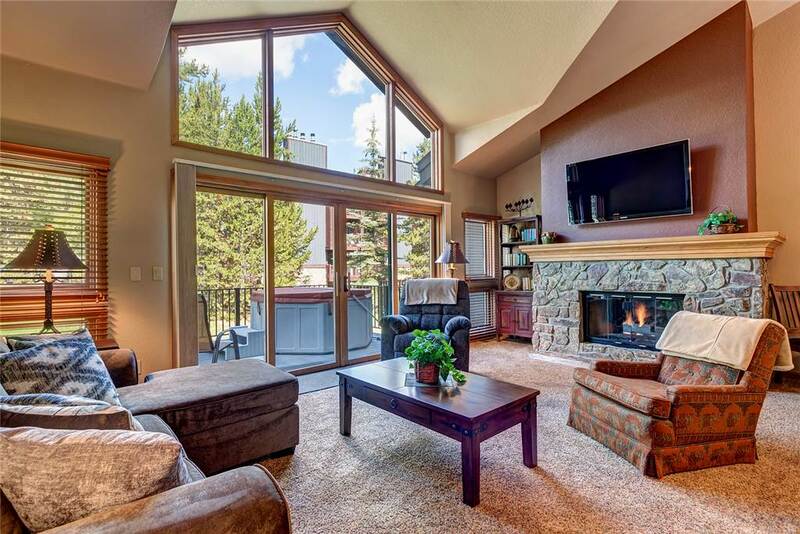 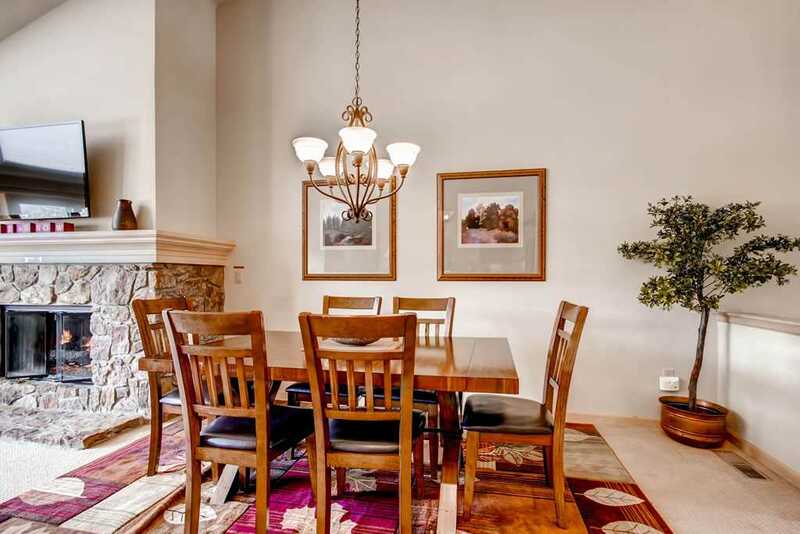 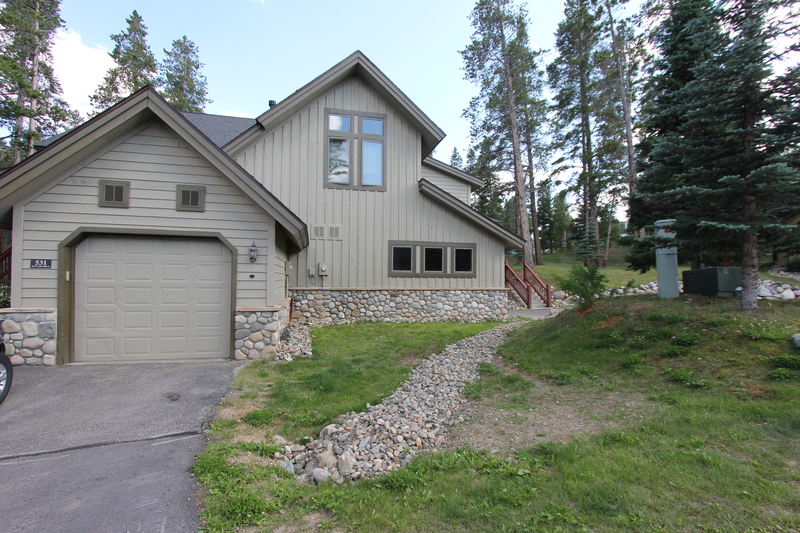 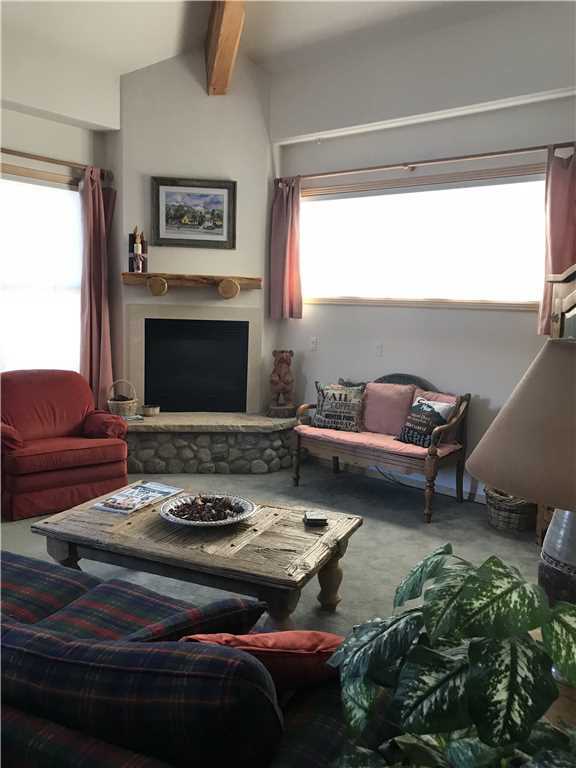 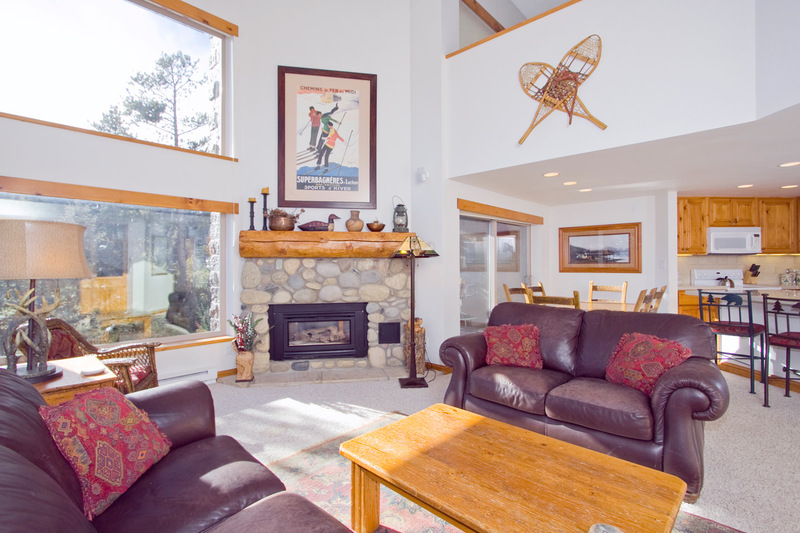 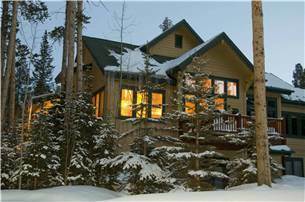 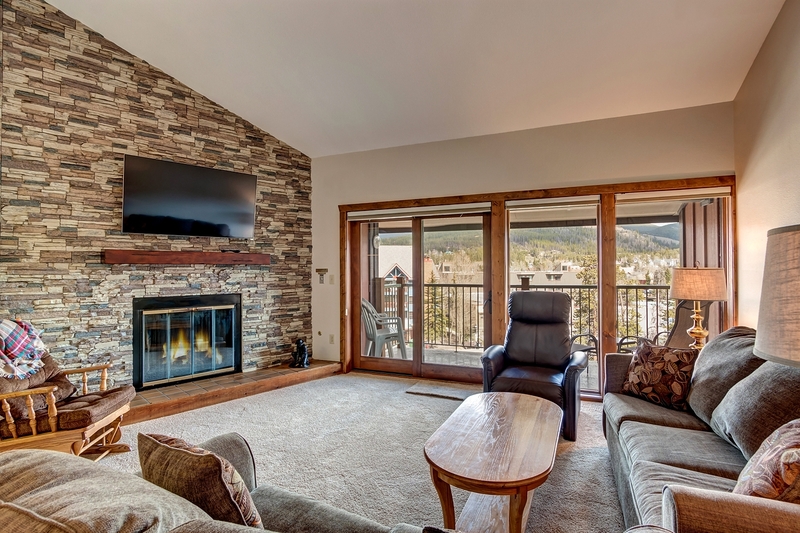 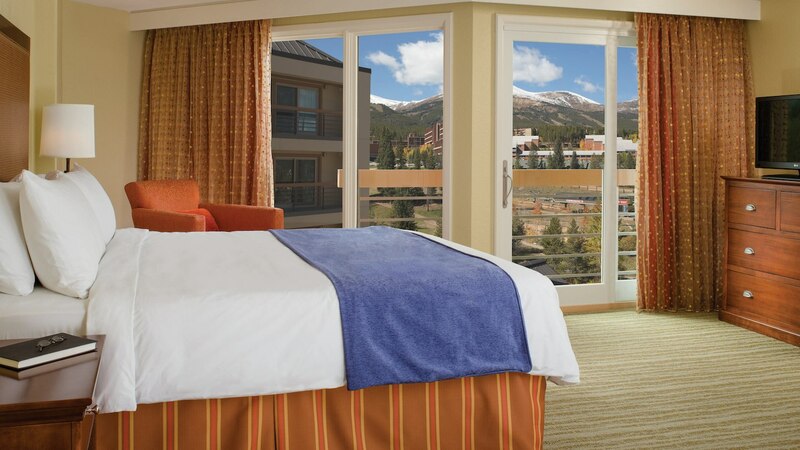 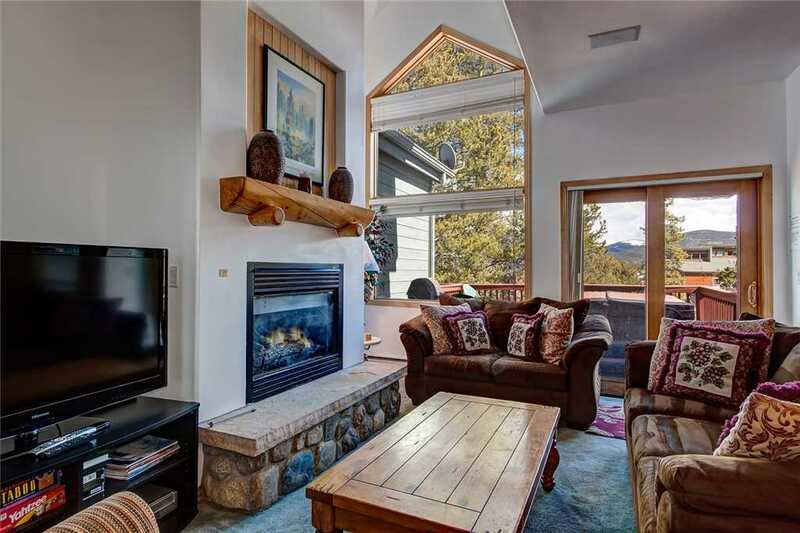 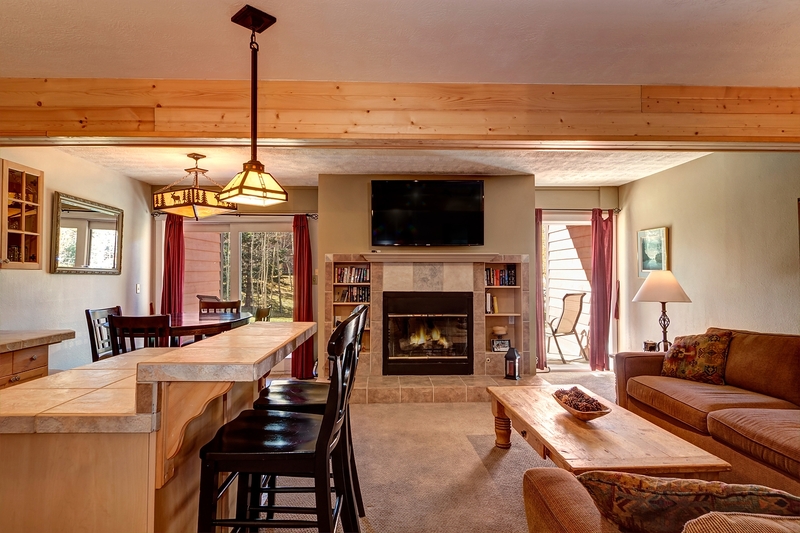 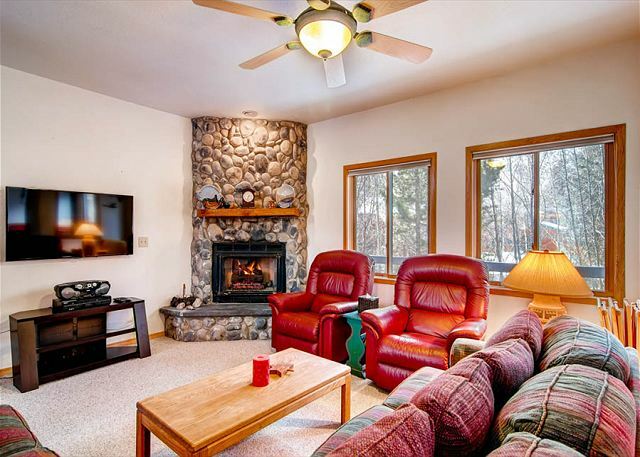 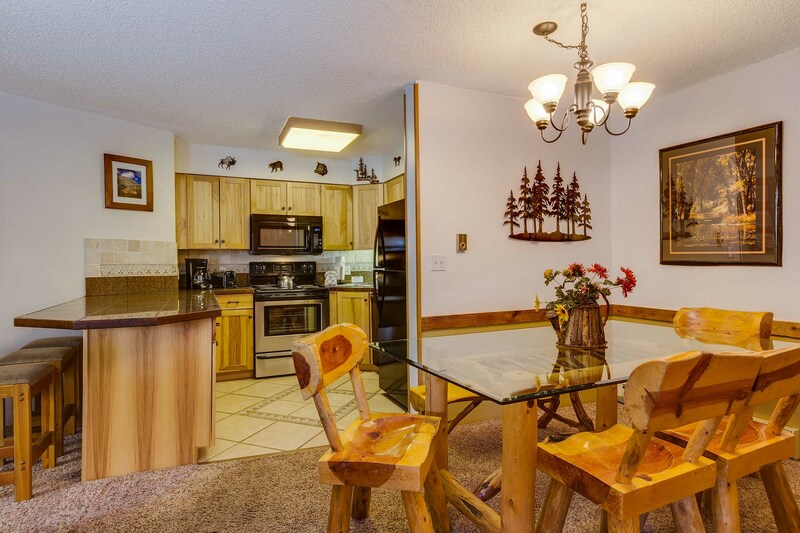 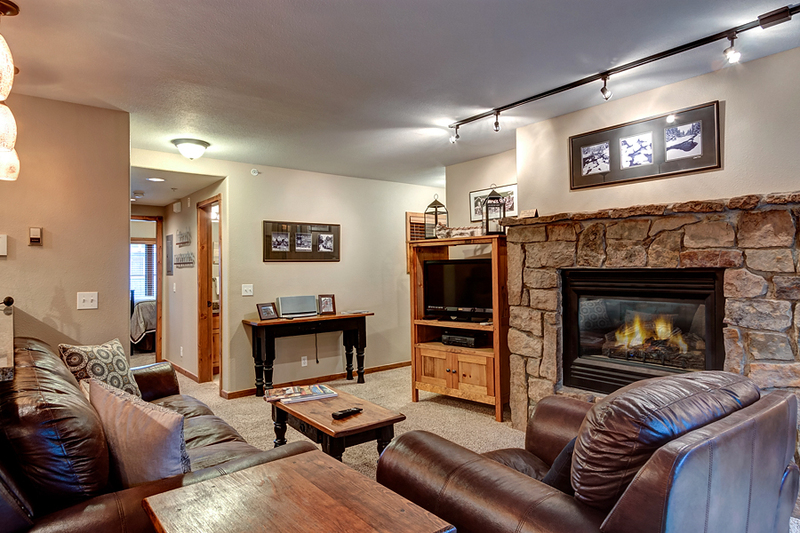 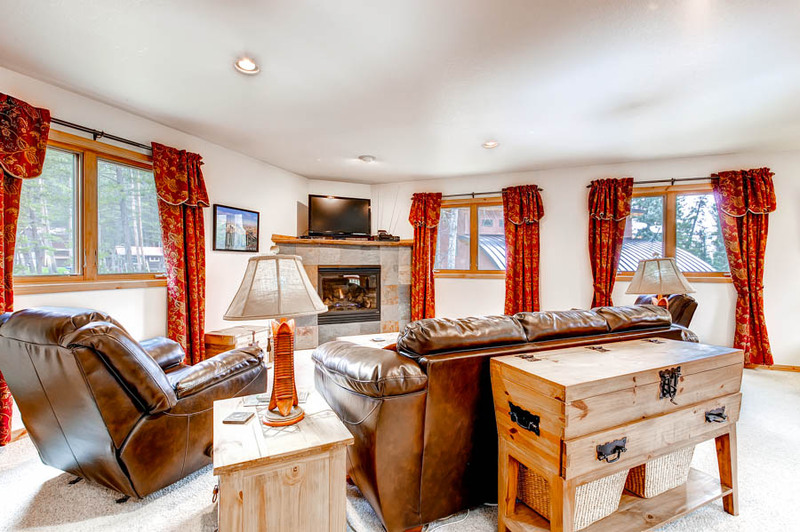 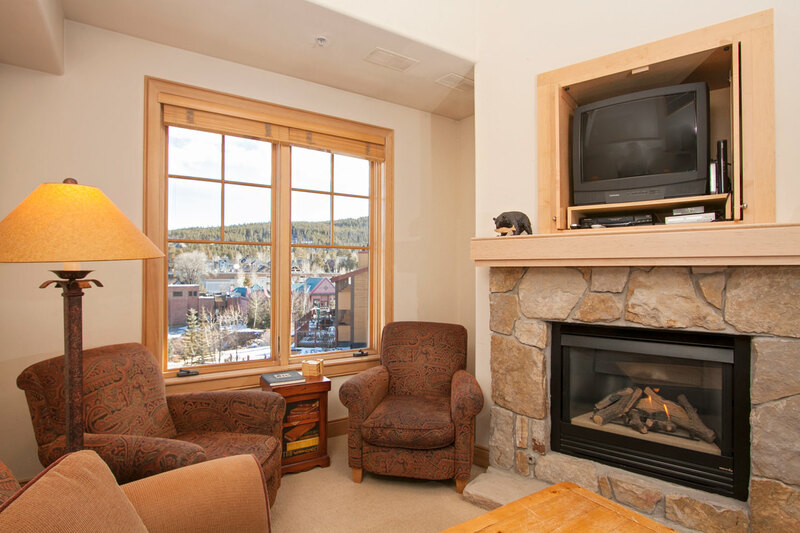 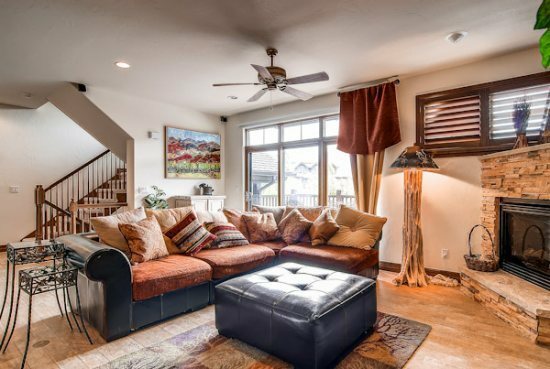 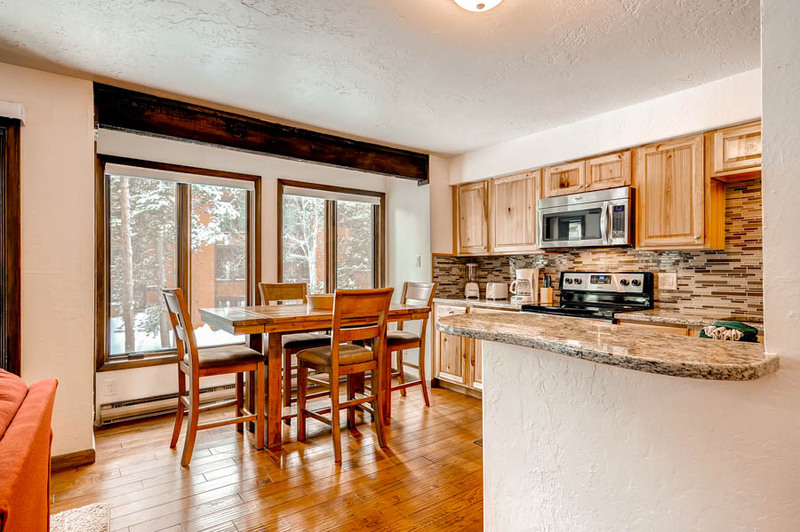 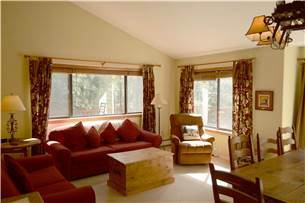 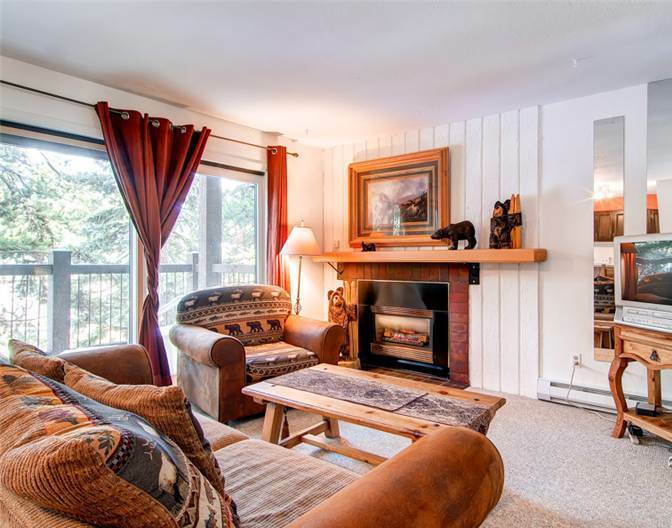 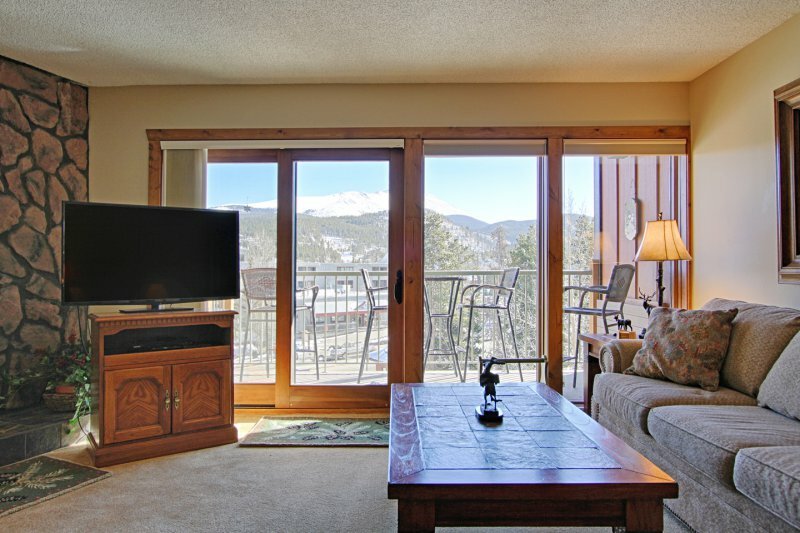 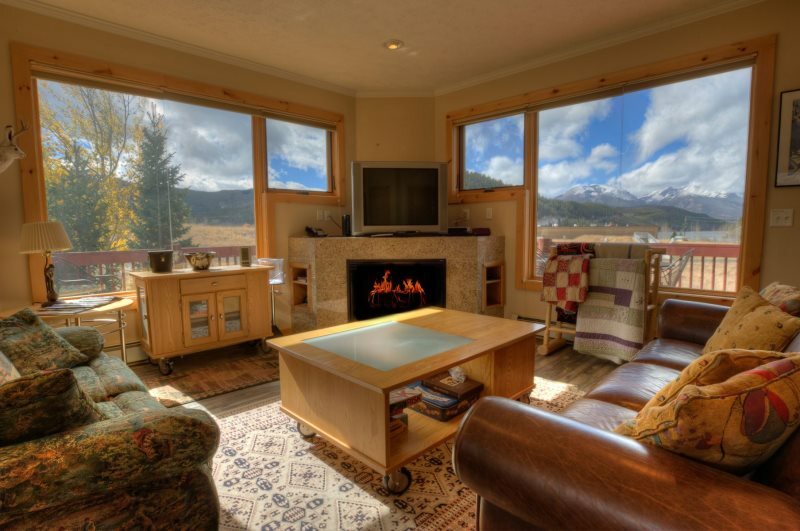 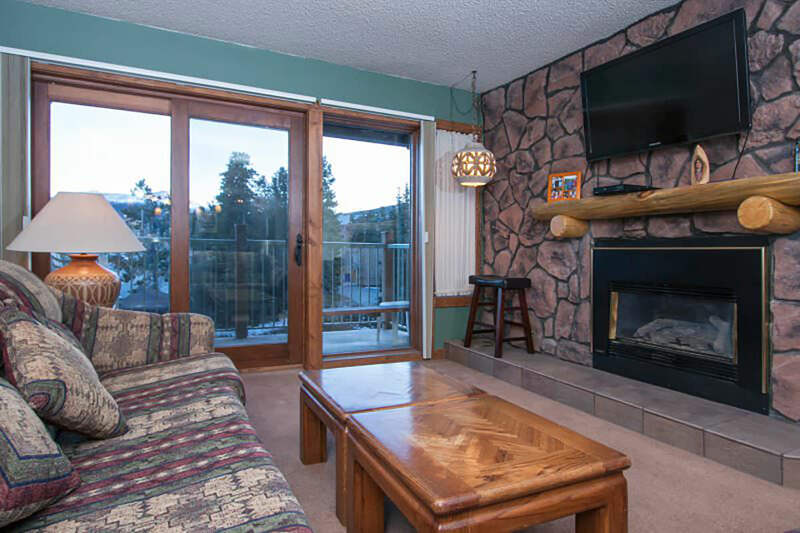 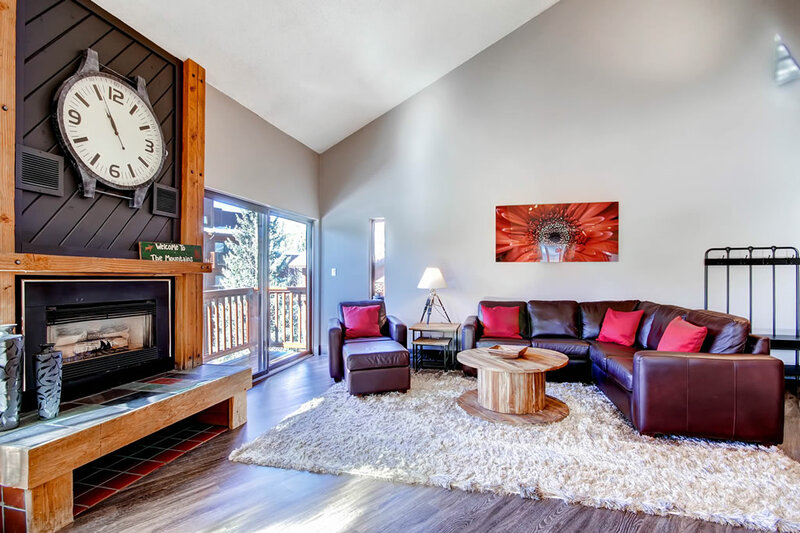 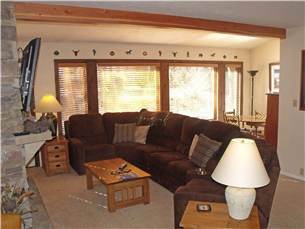 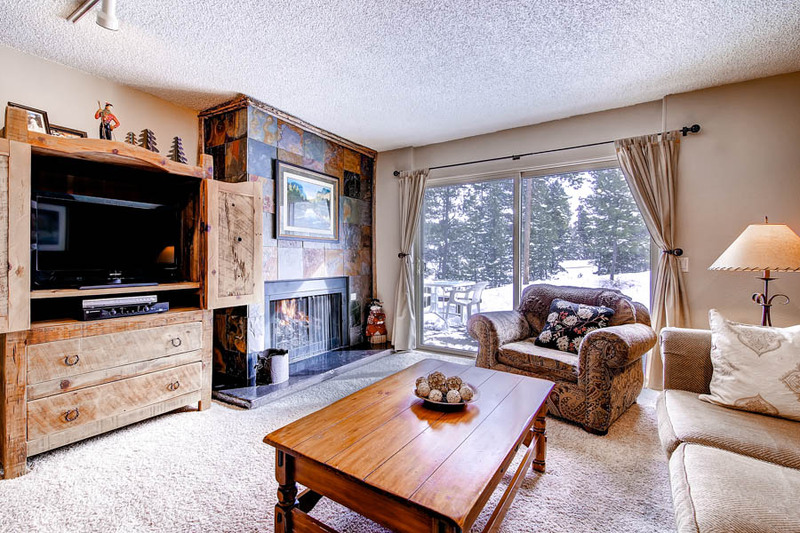 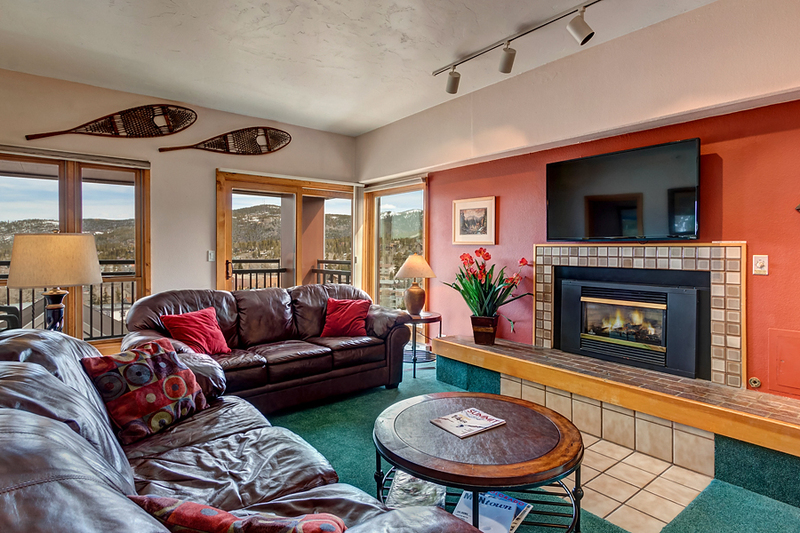 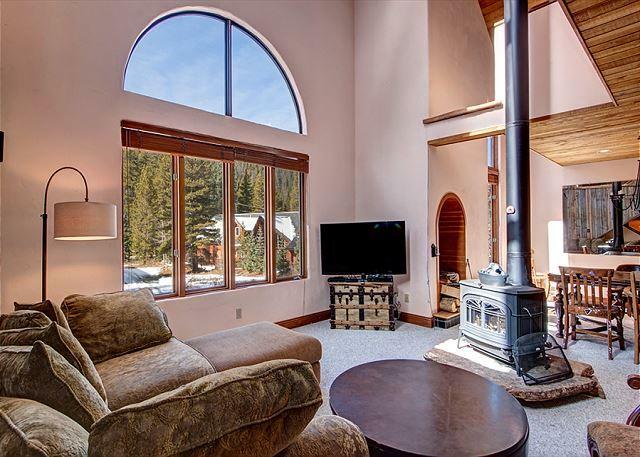 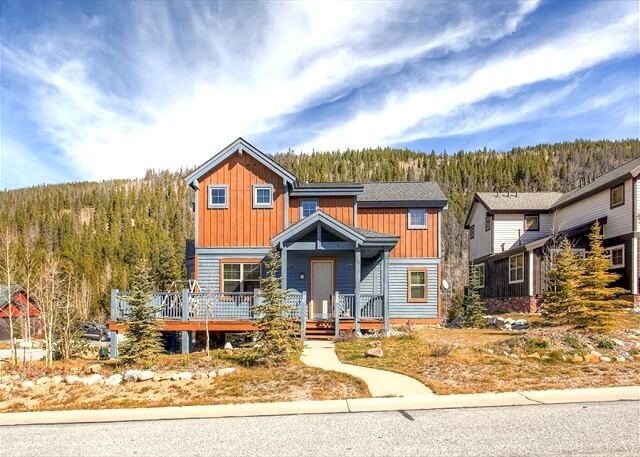 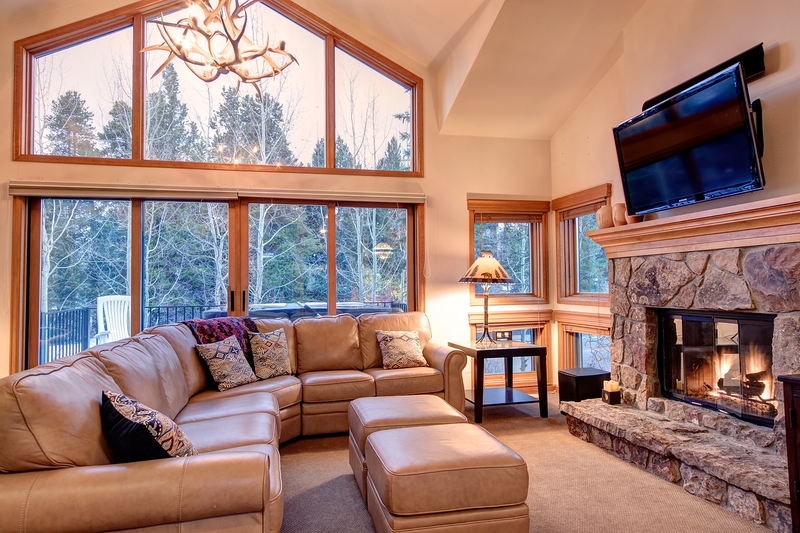 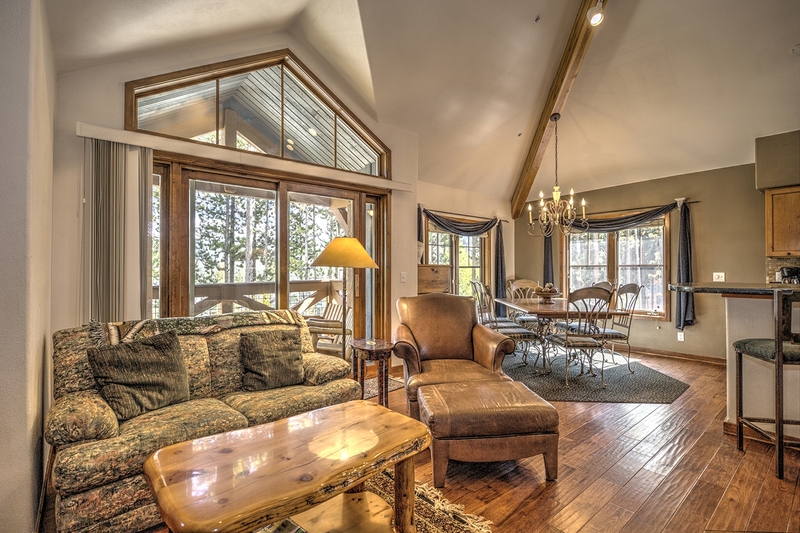 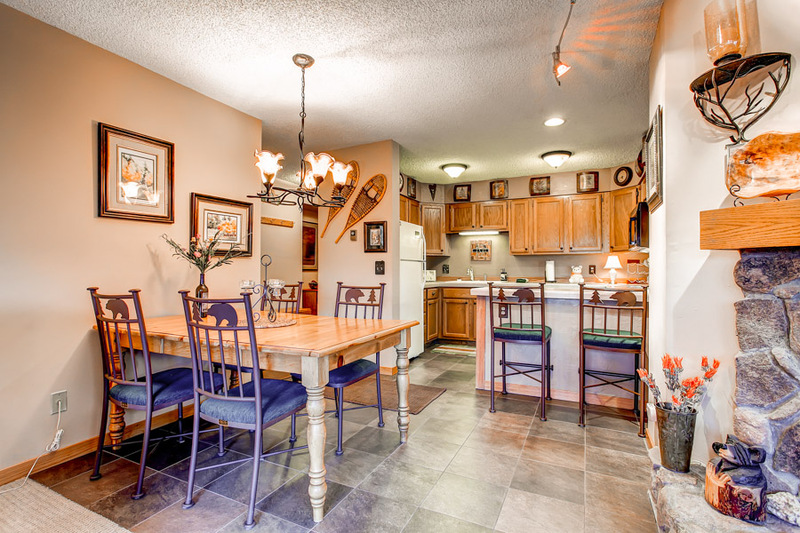 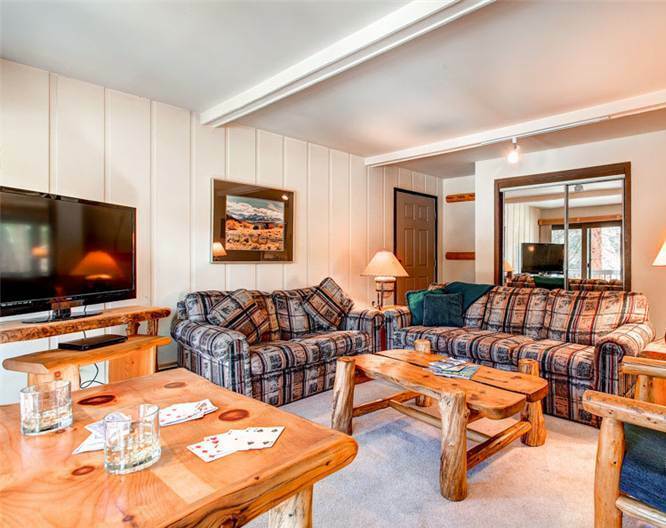 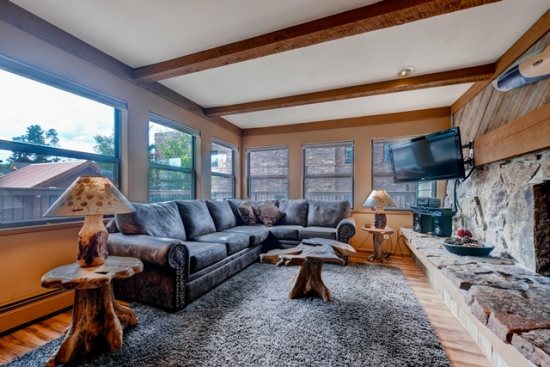 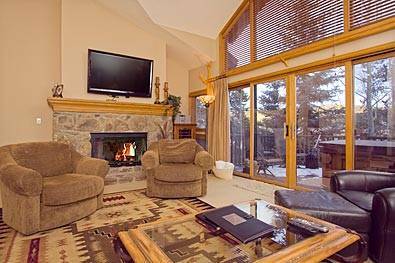 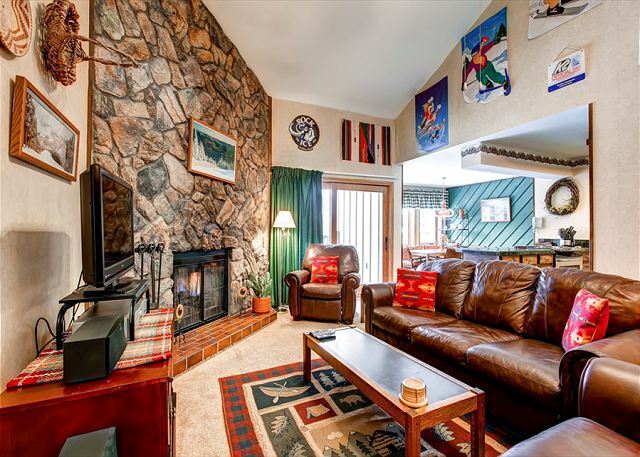 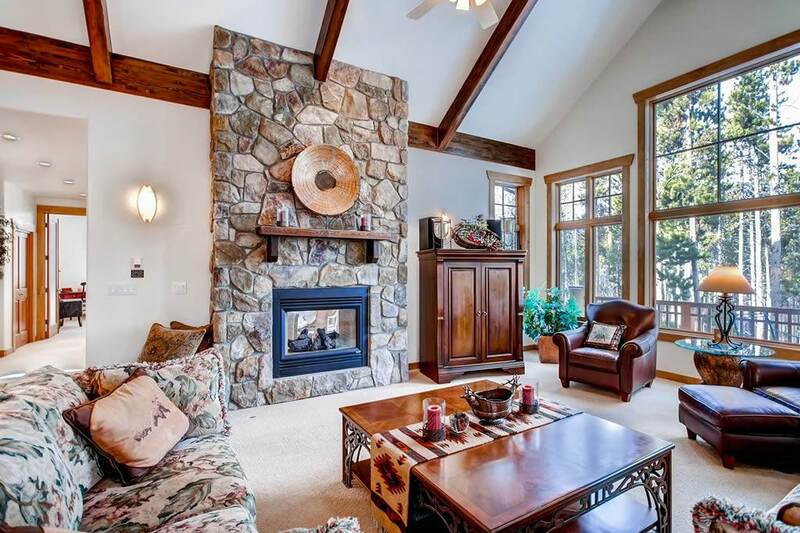 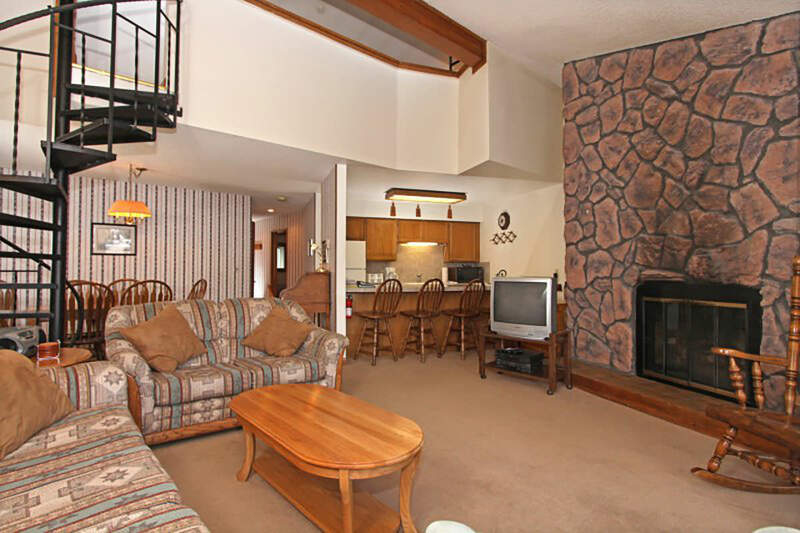 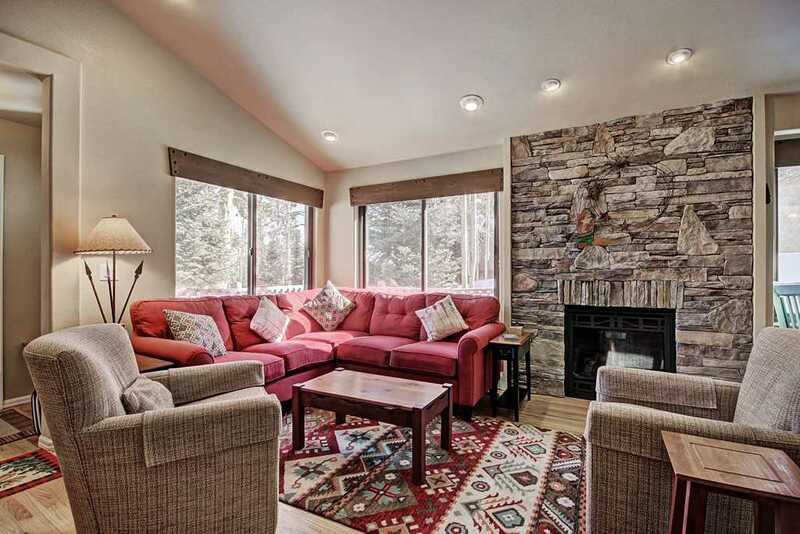 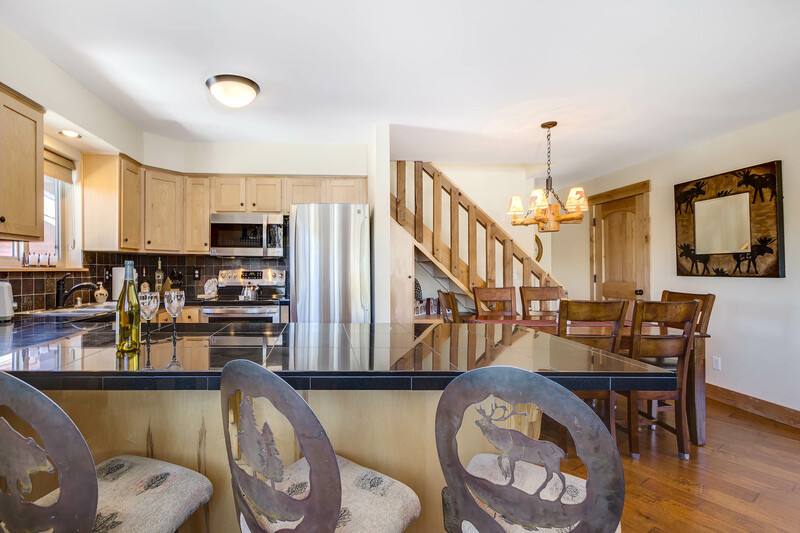 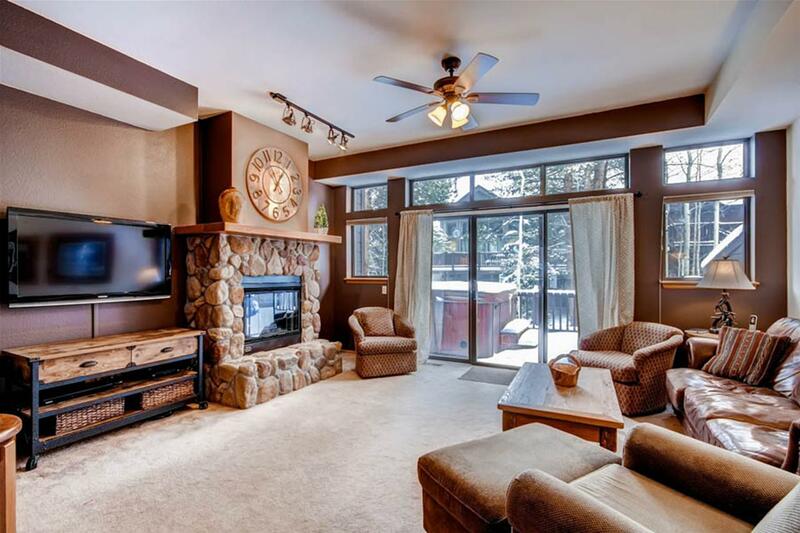 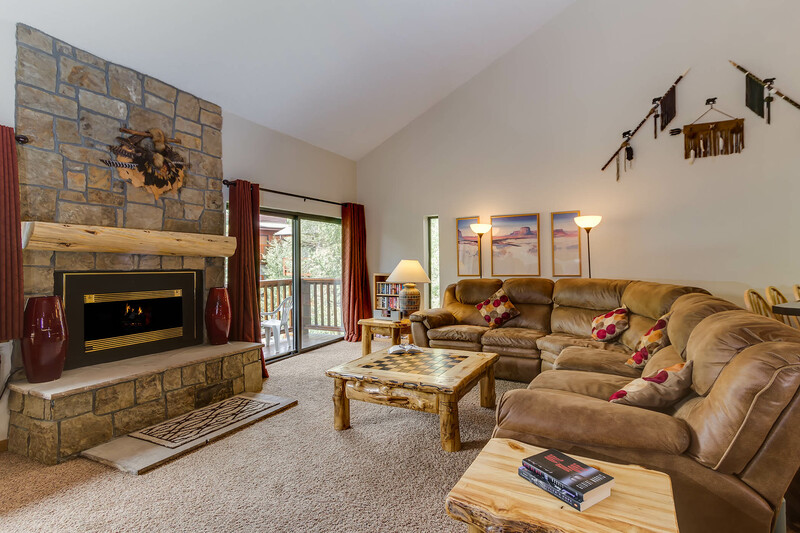 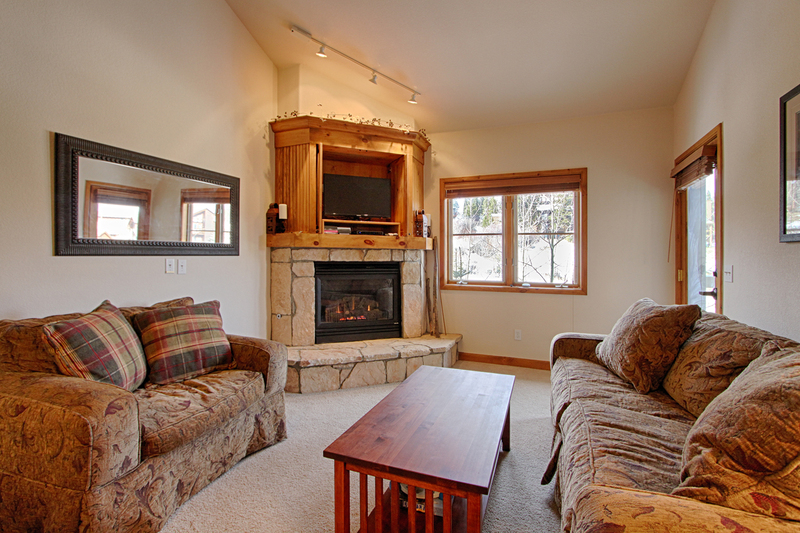 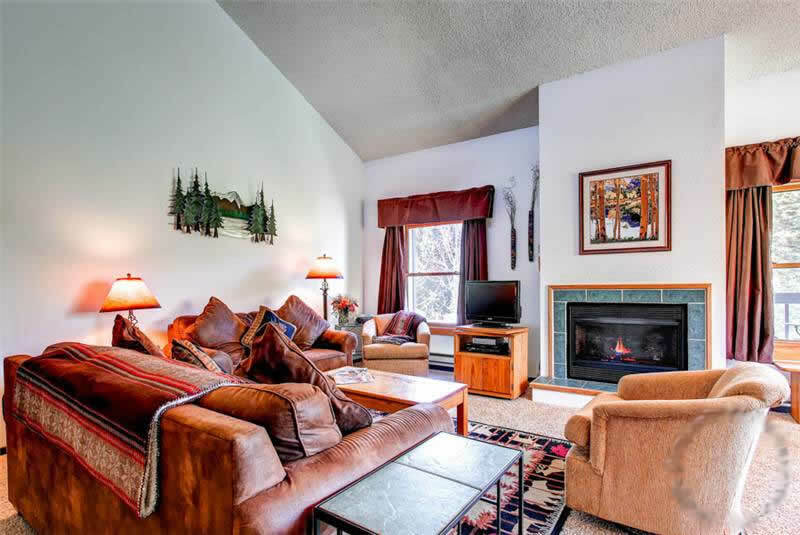 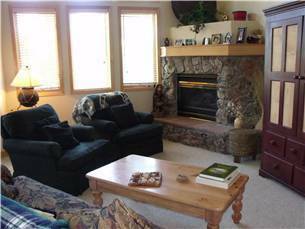 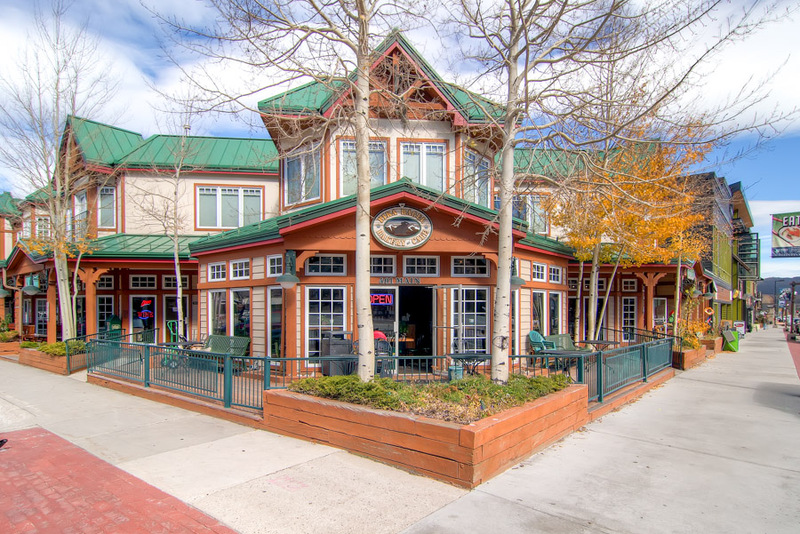 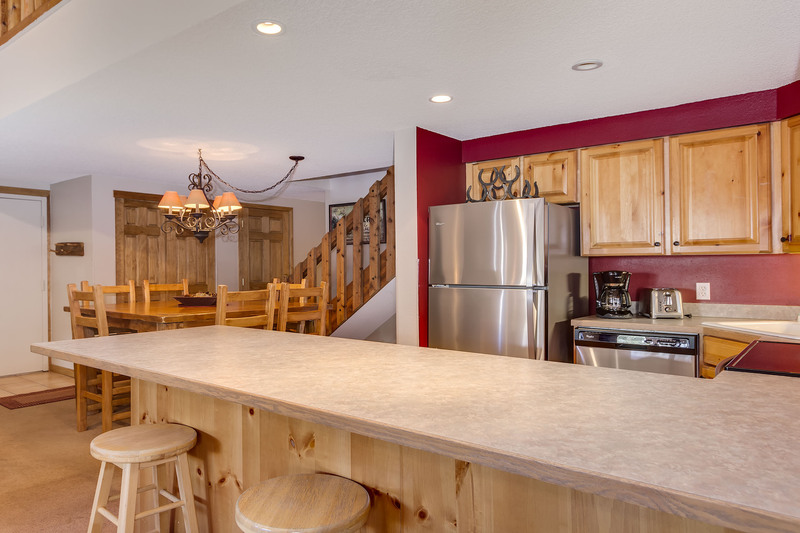 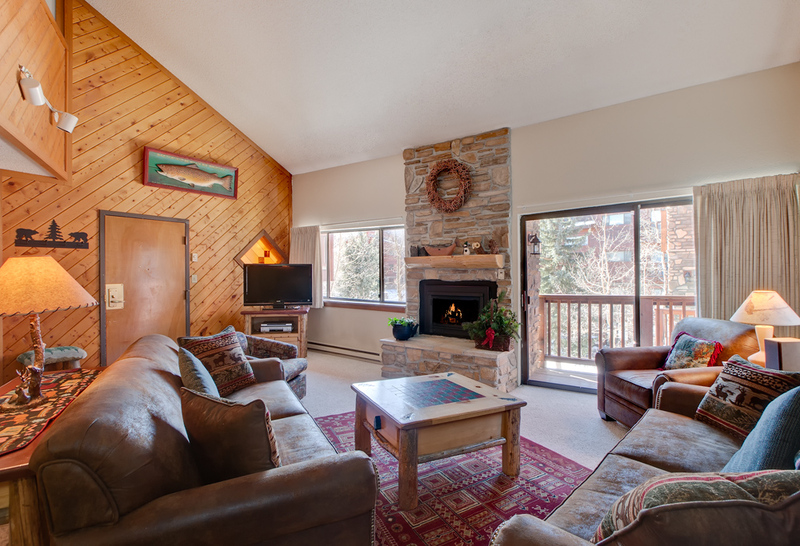 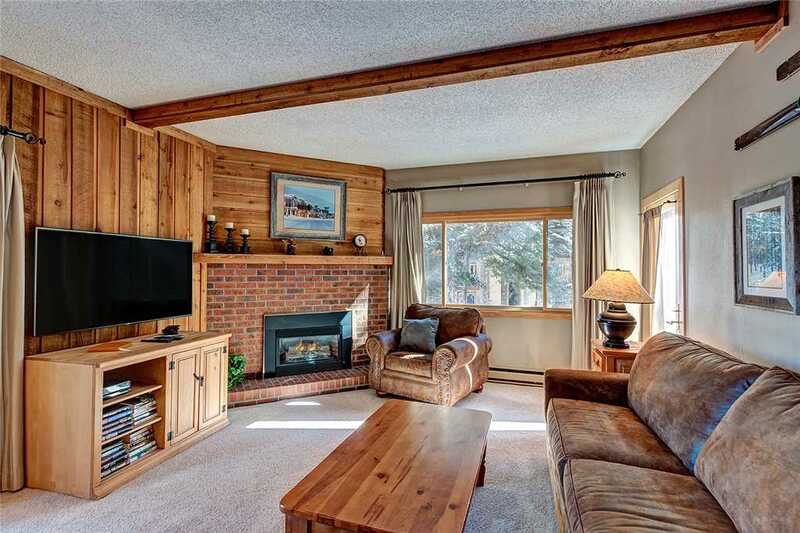 Enjoy excellent views of Peak 7, Peak 8, and the Horseshoe Bowl from the living room and main balcony and Baldy Mountain and Boreas Pass from all bedrooms and the master suite balcony. 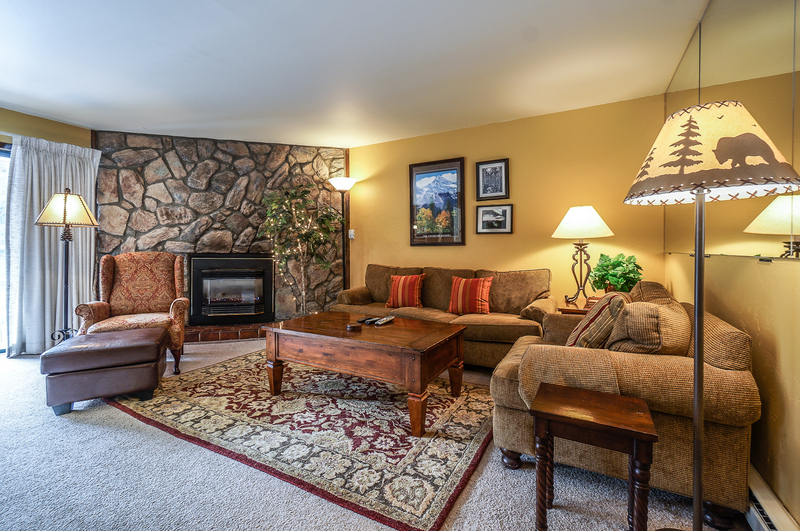 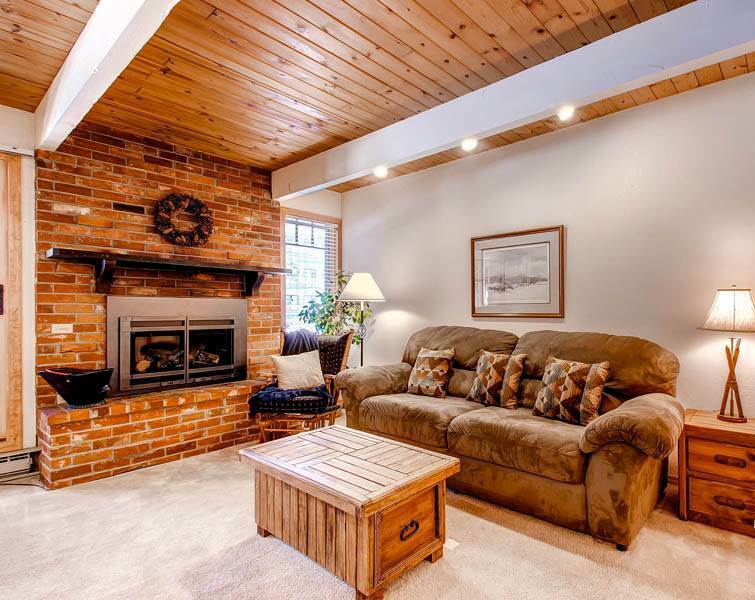 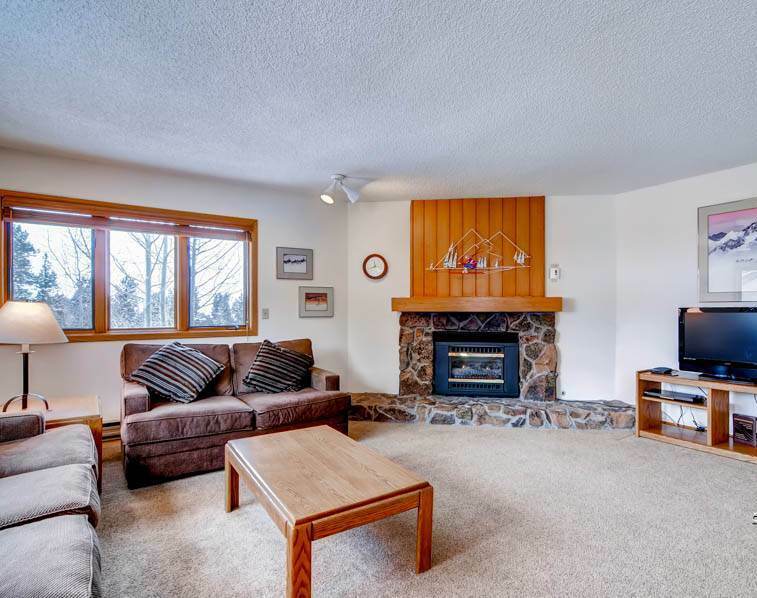 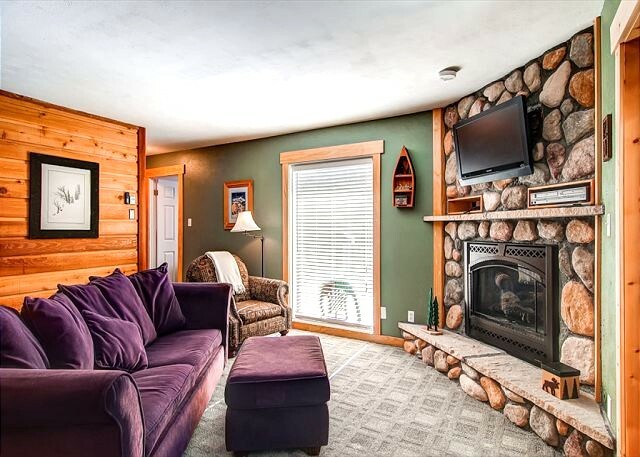 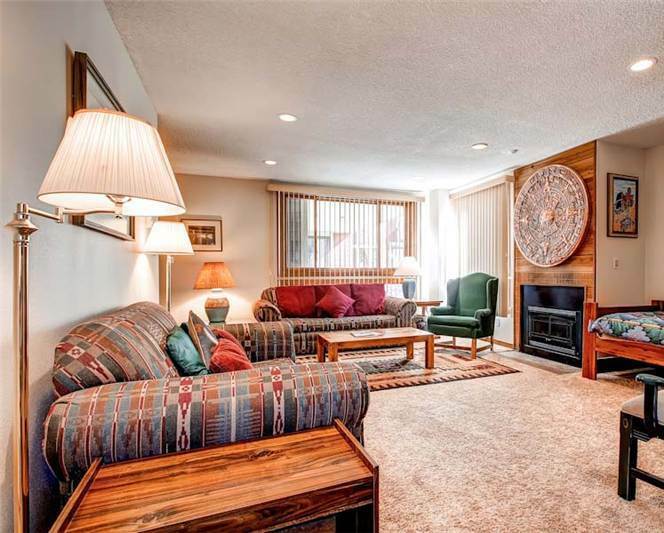 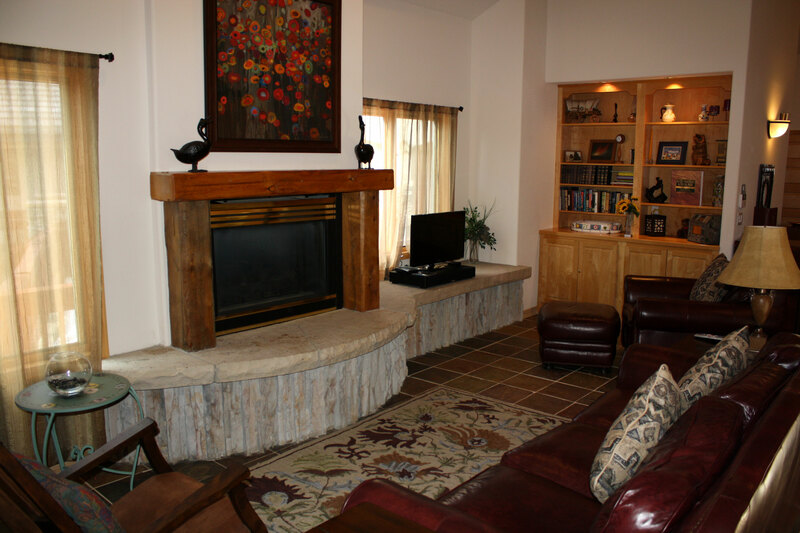 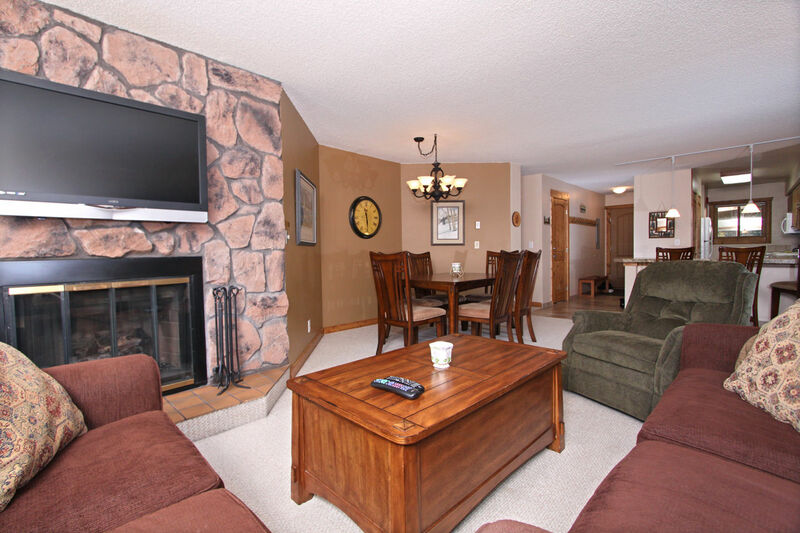 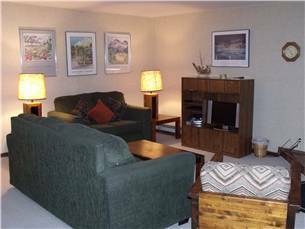 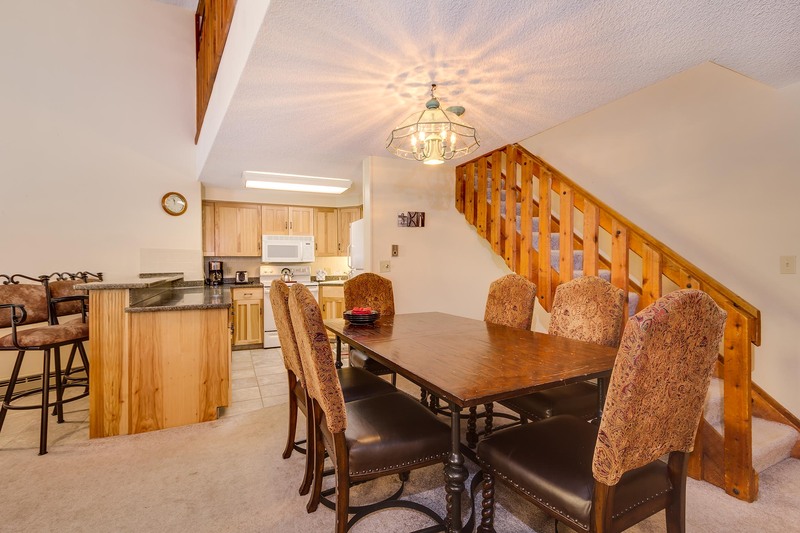 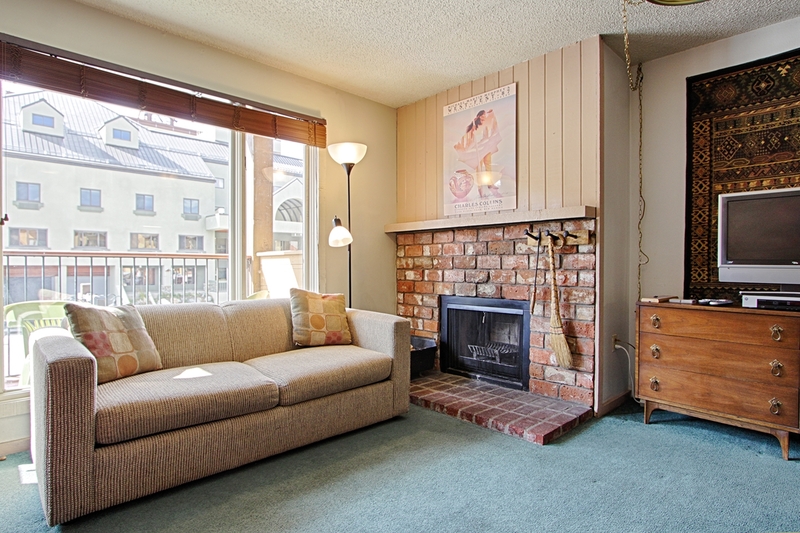 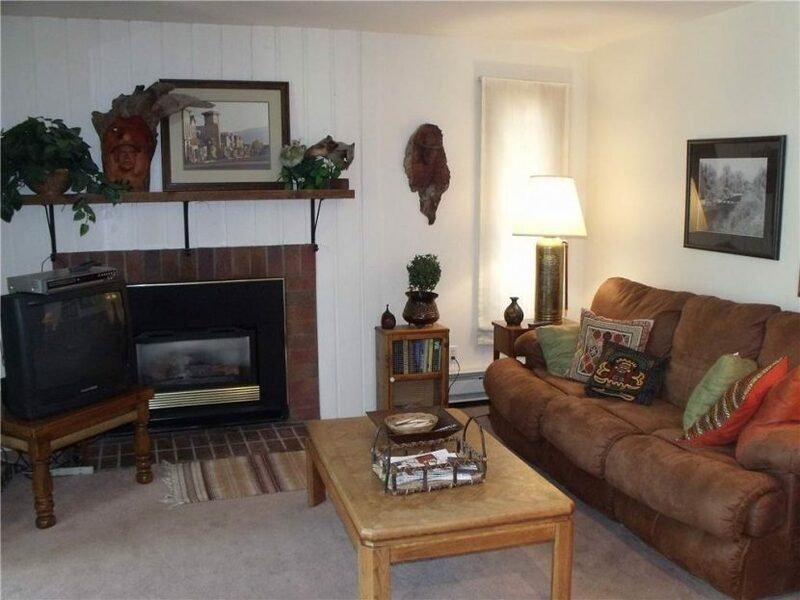 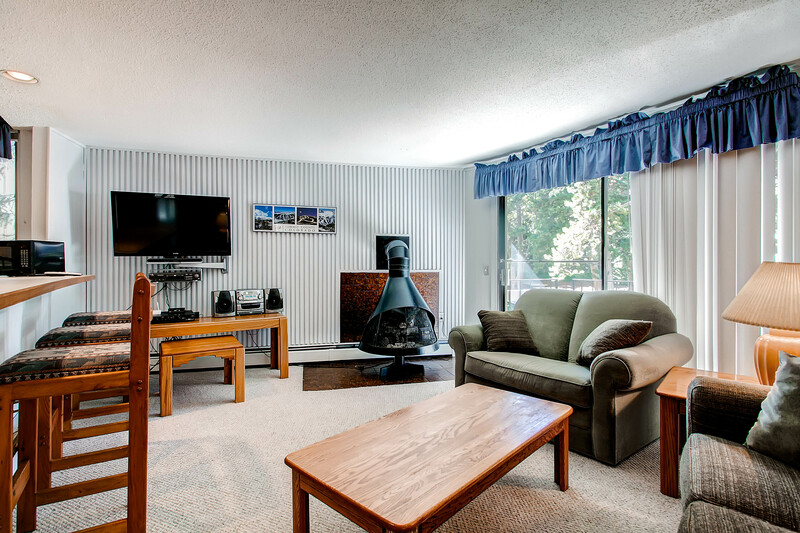 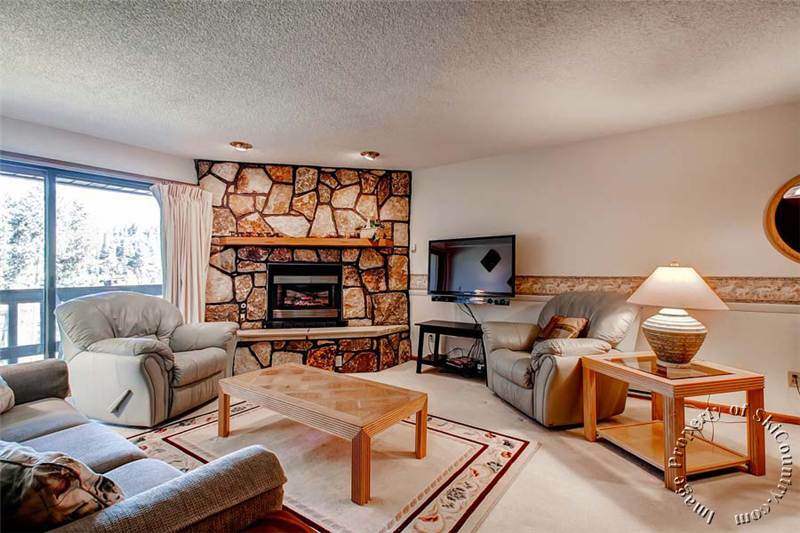 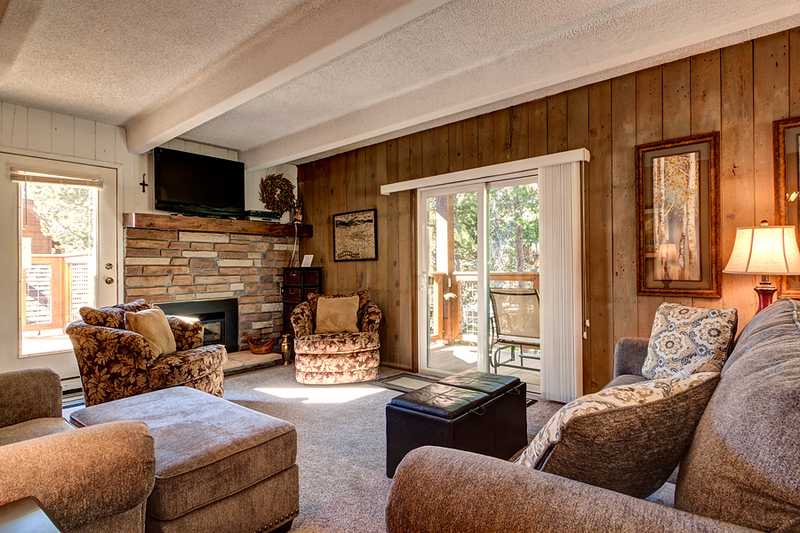 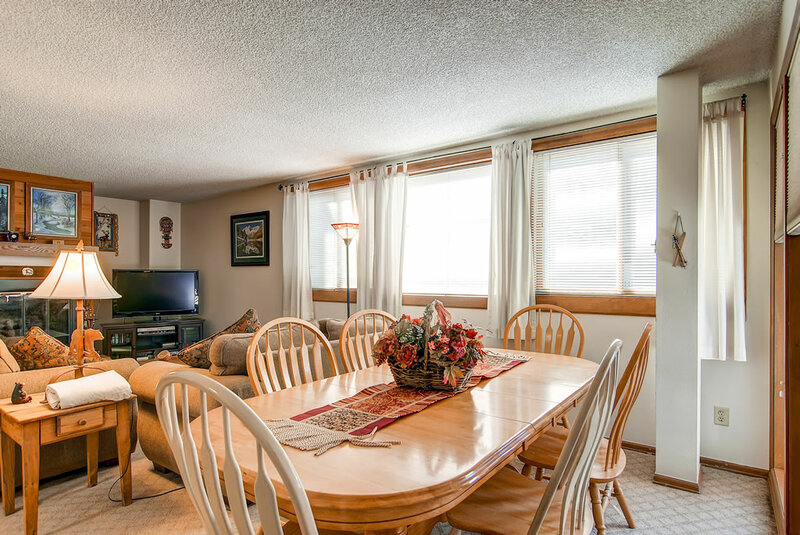 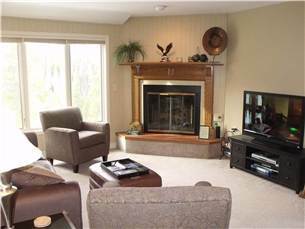 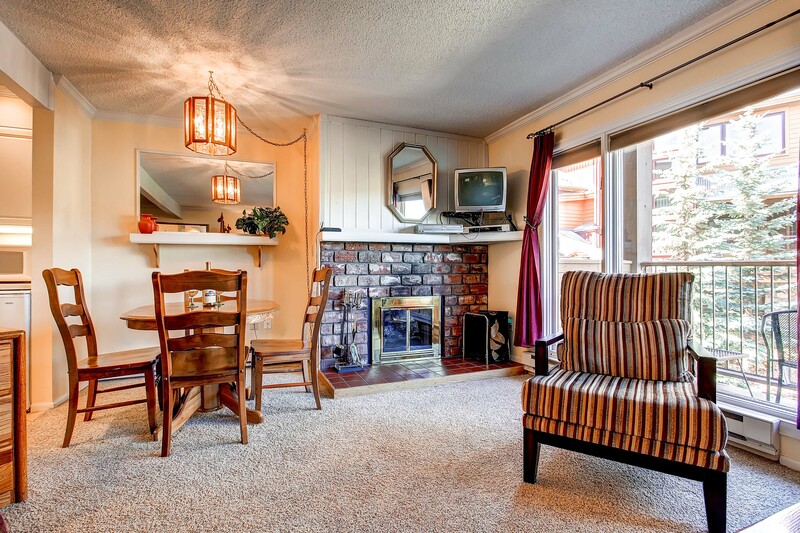 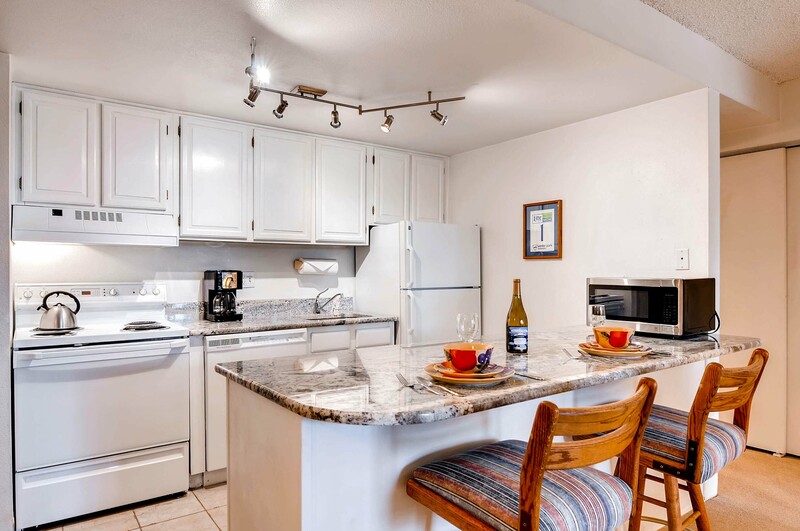 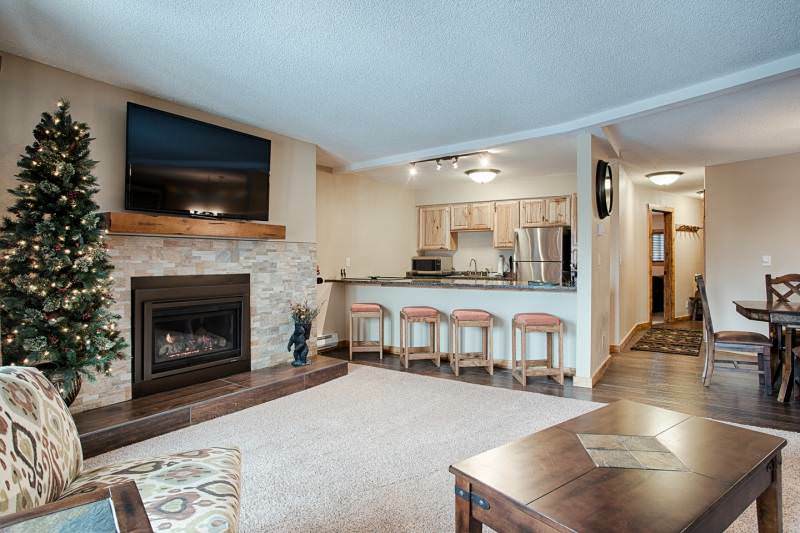 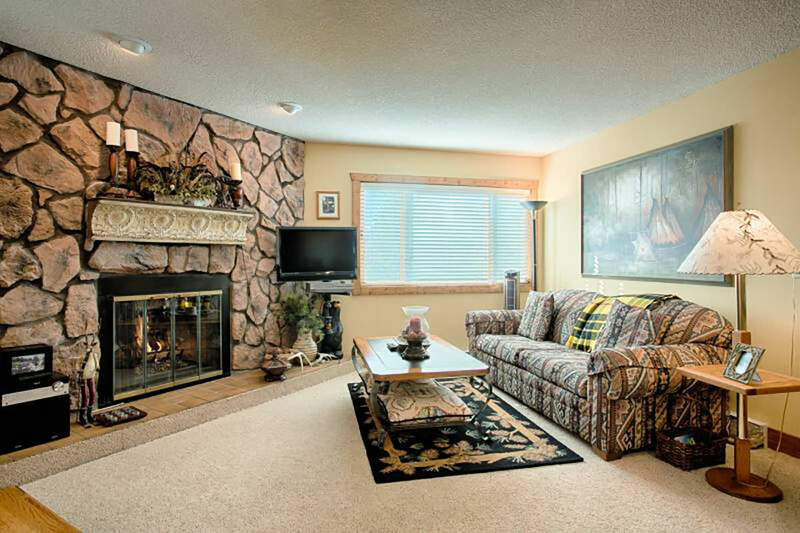 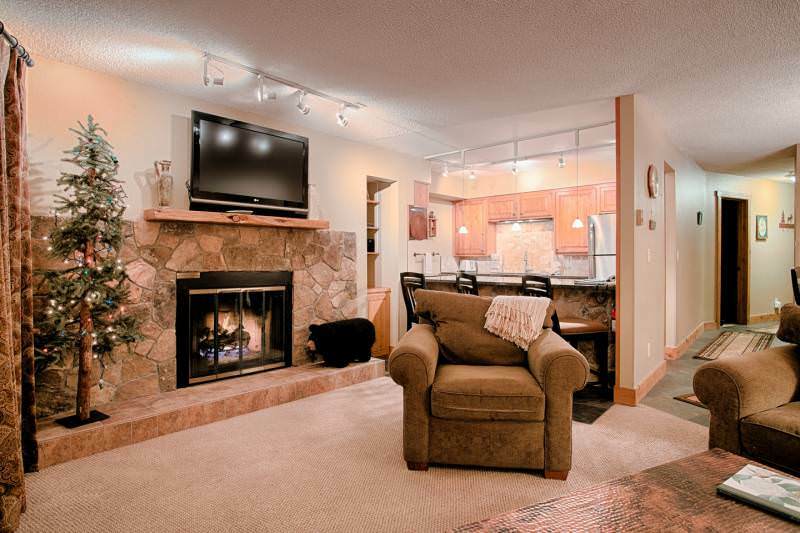 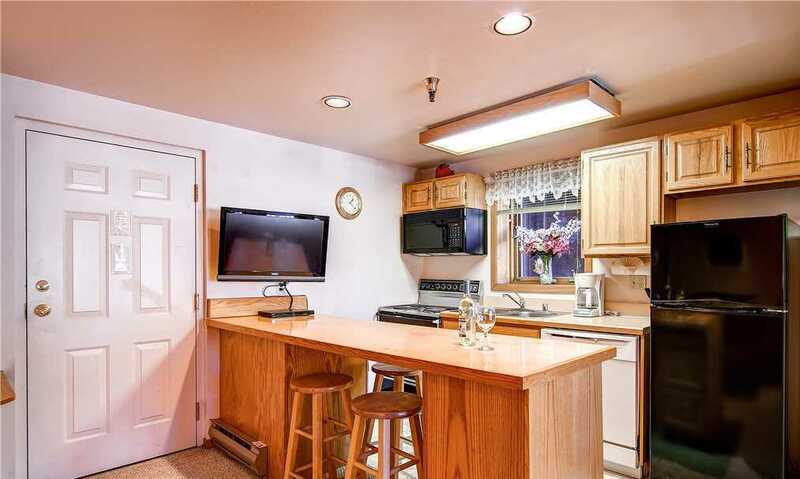 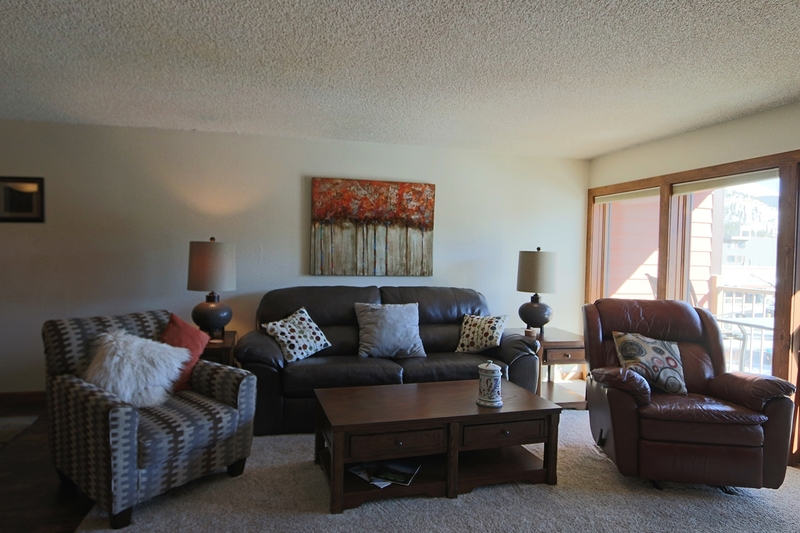 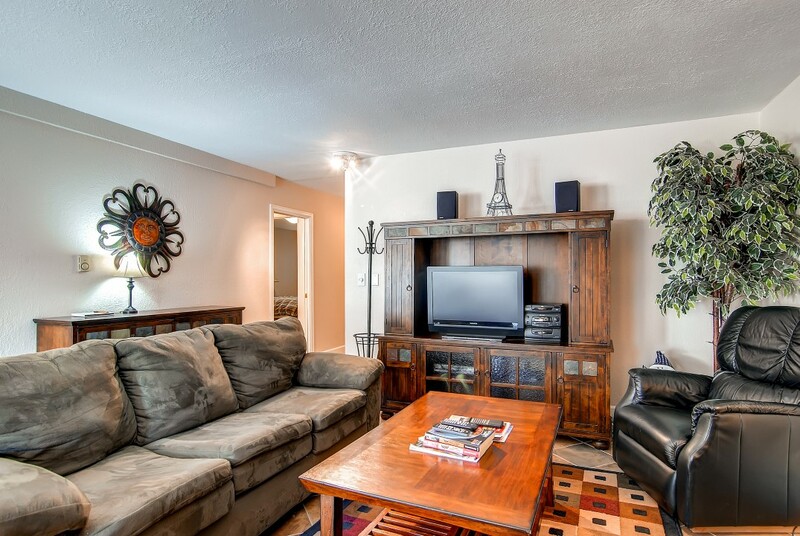 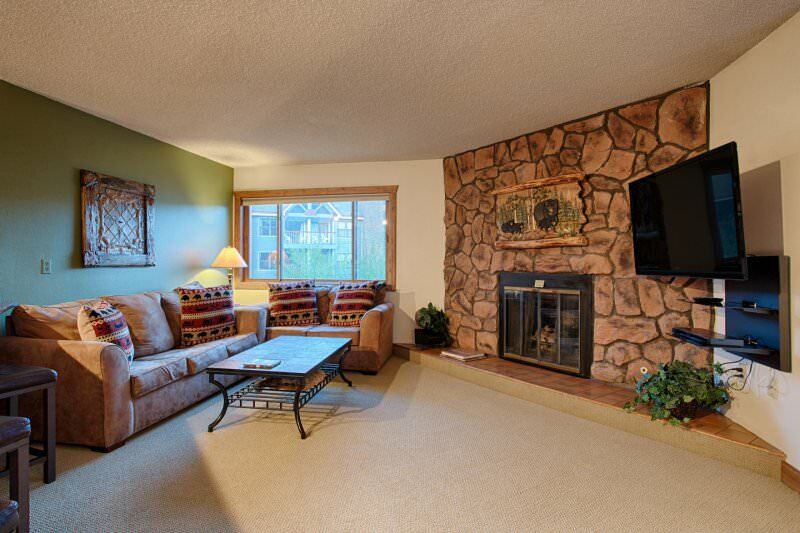 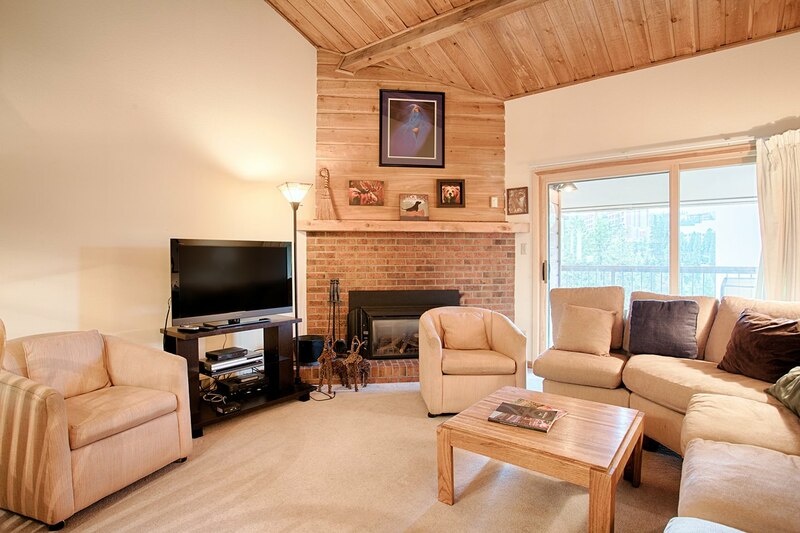 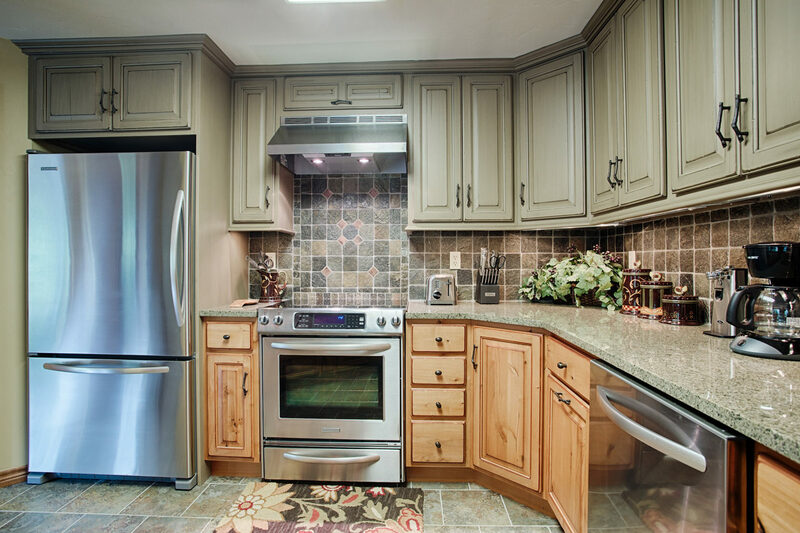 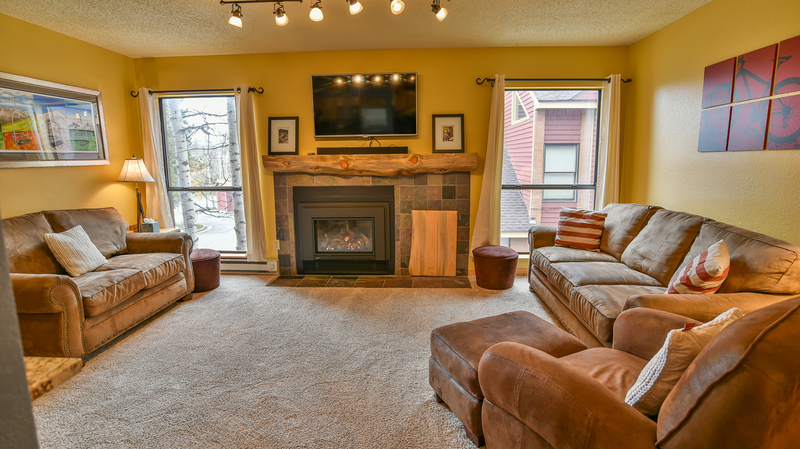 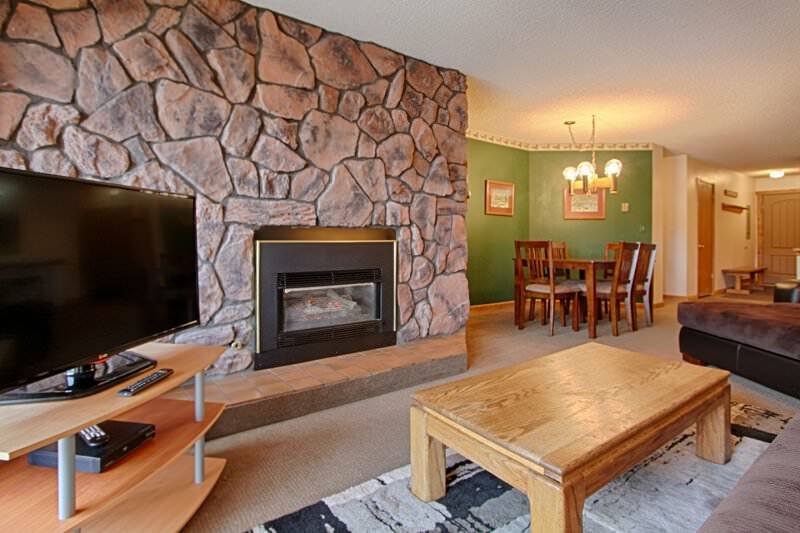 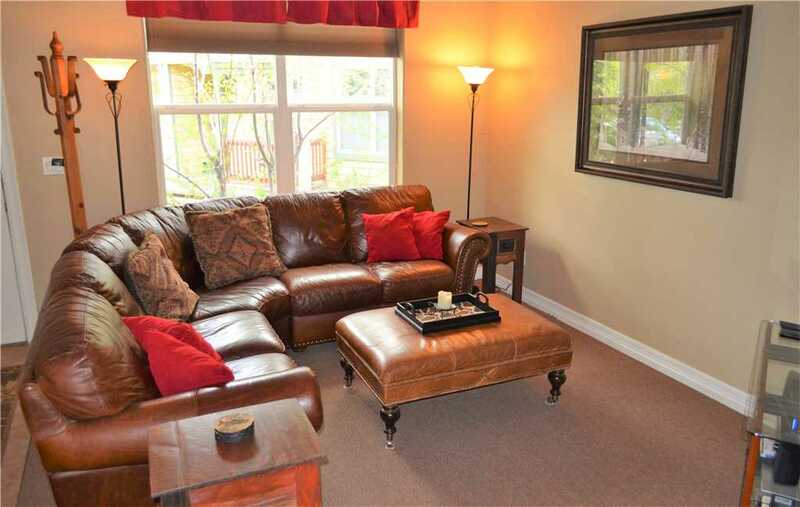 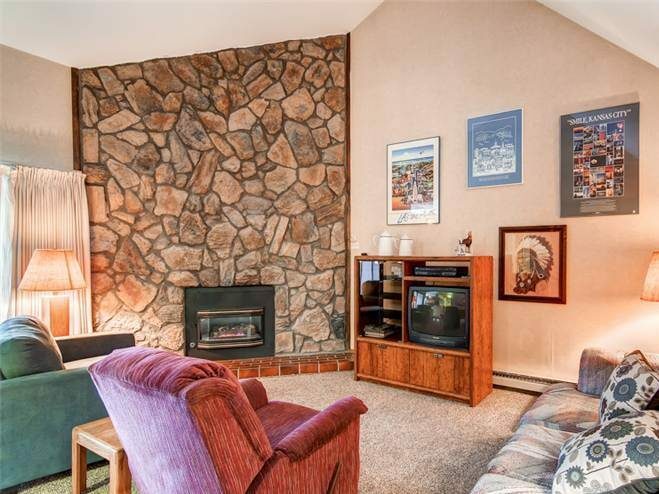 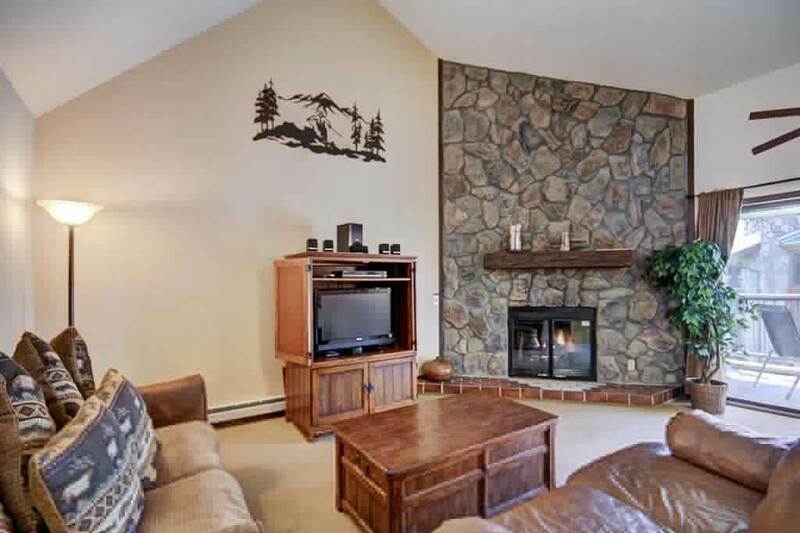 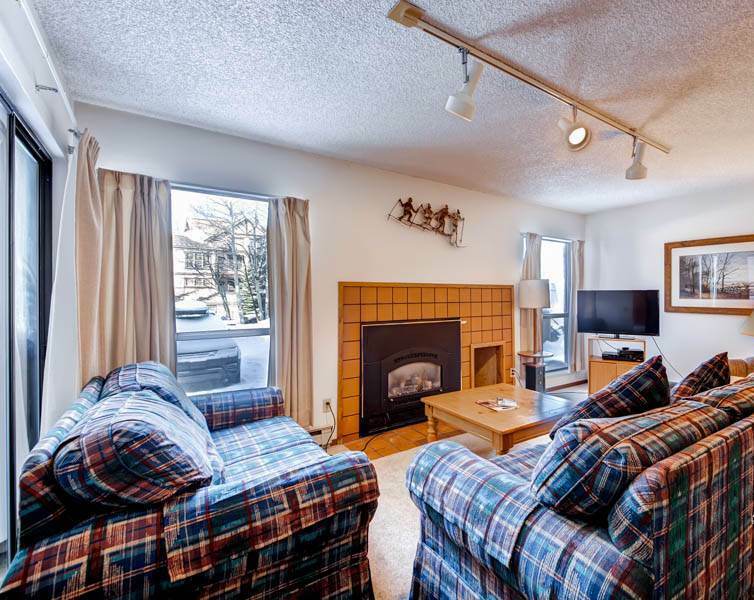 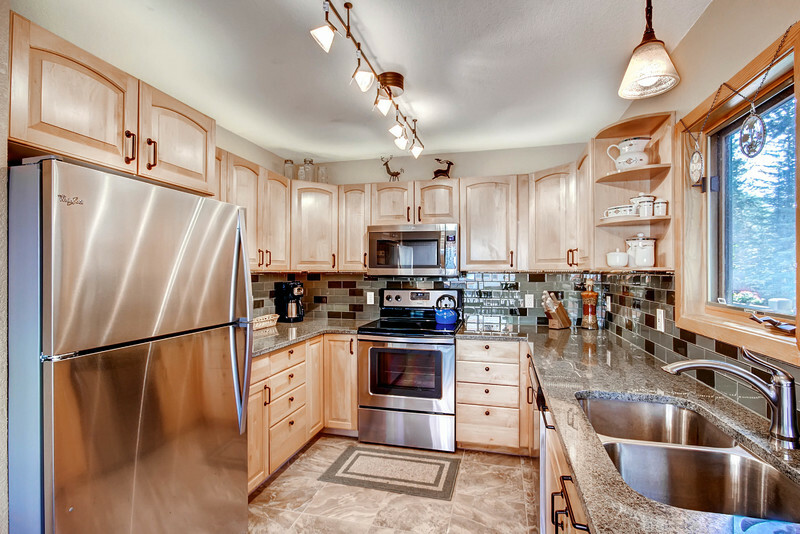 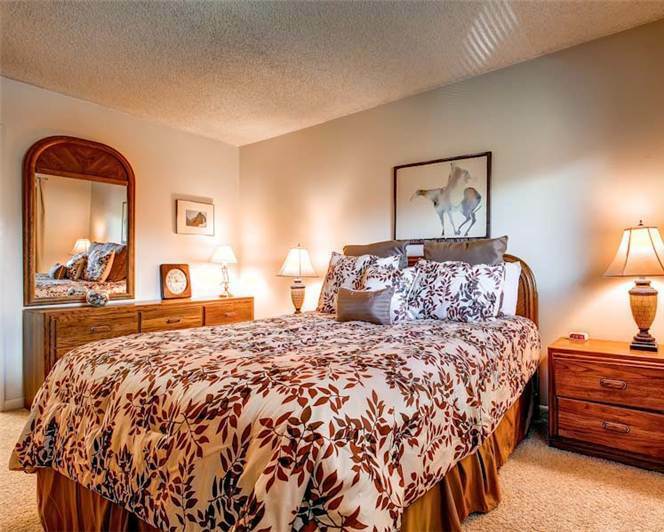 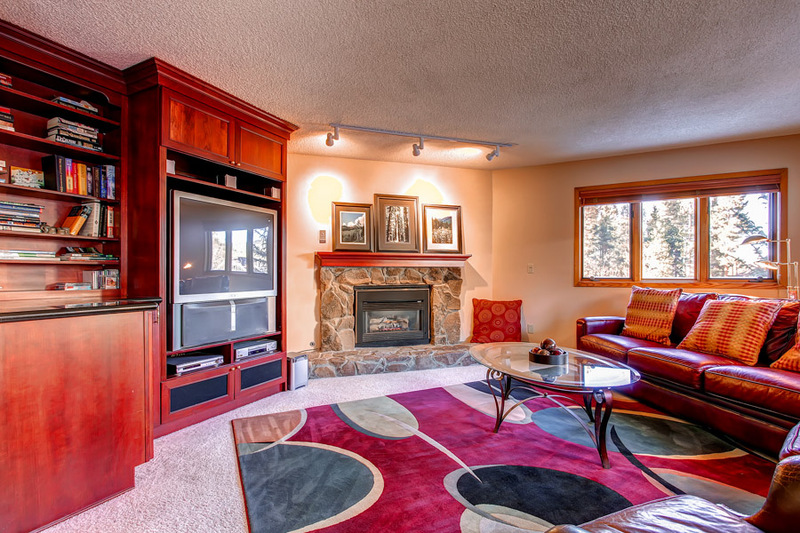 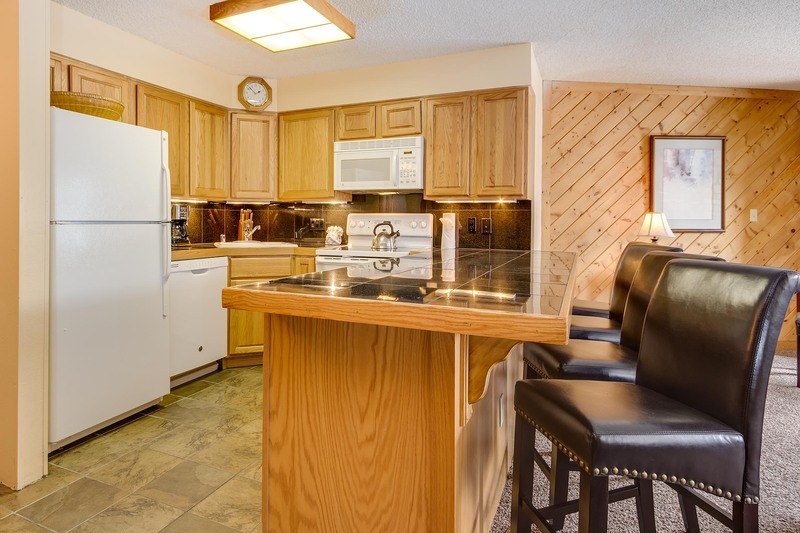 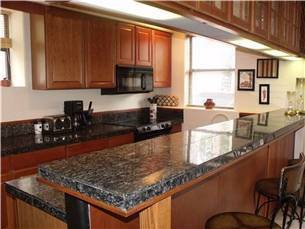 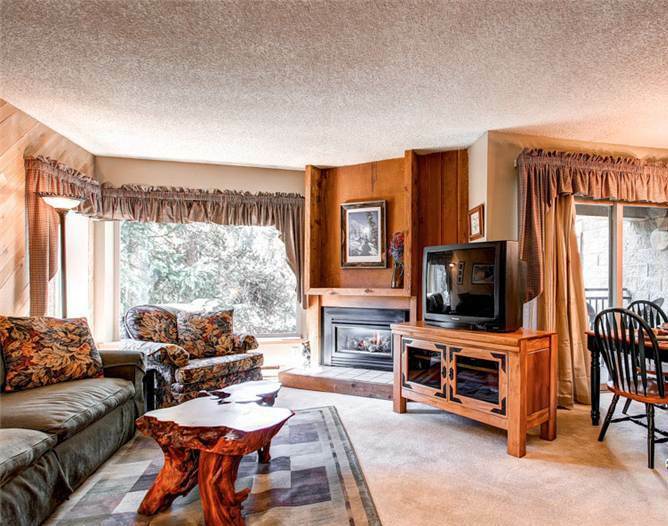 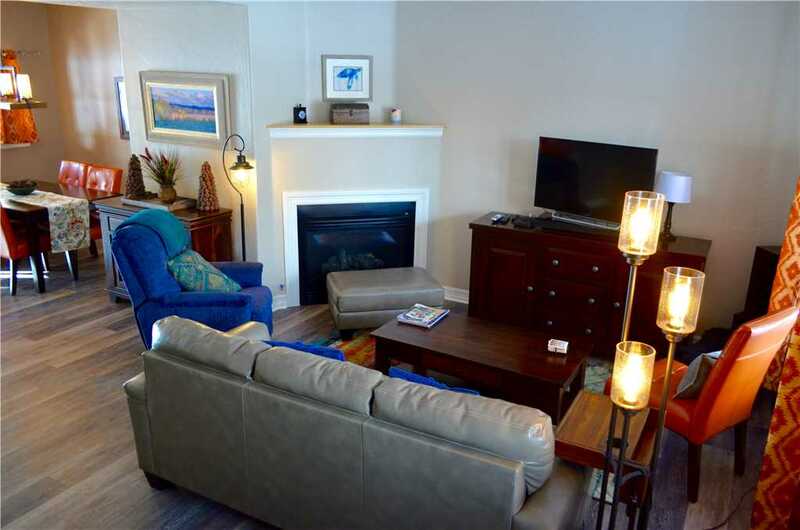 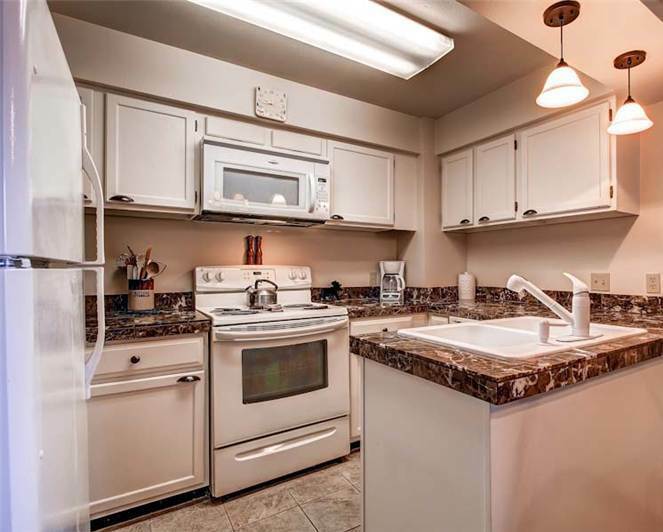 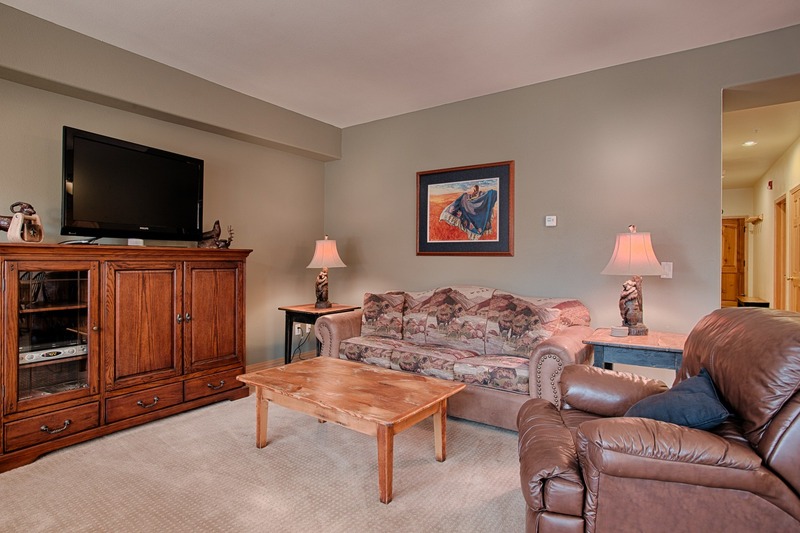 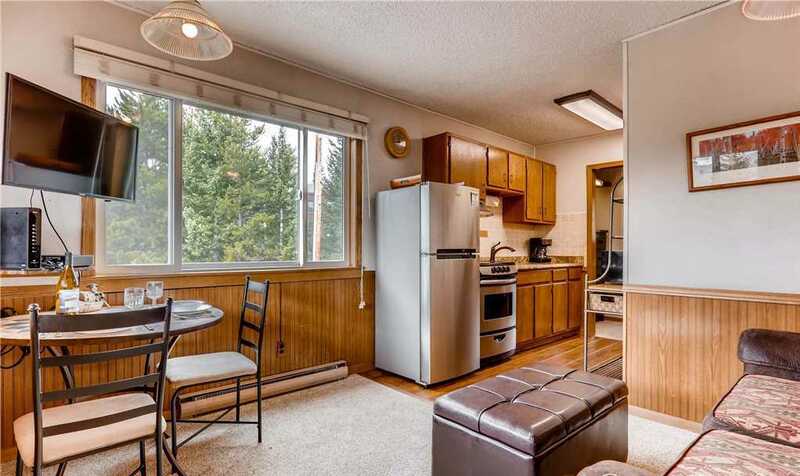 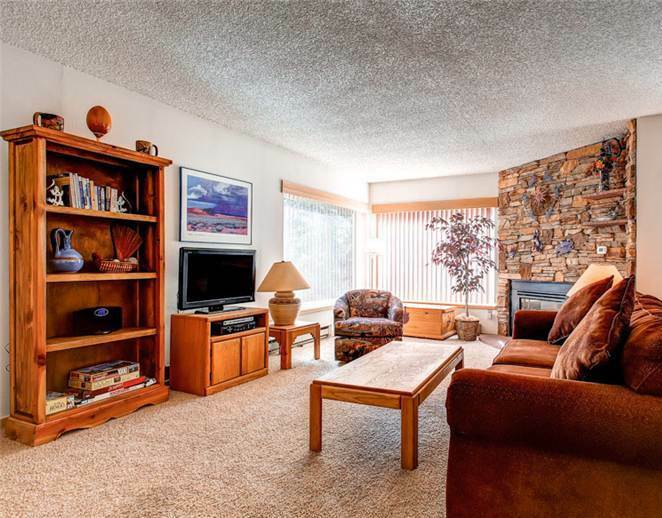 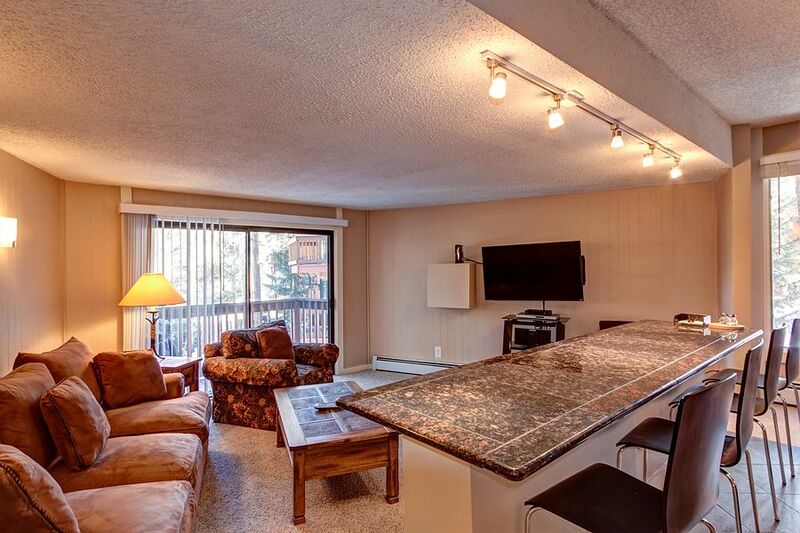 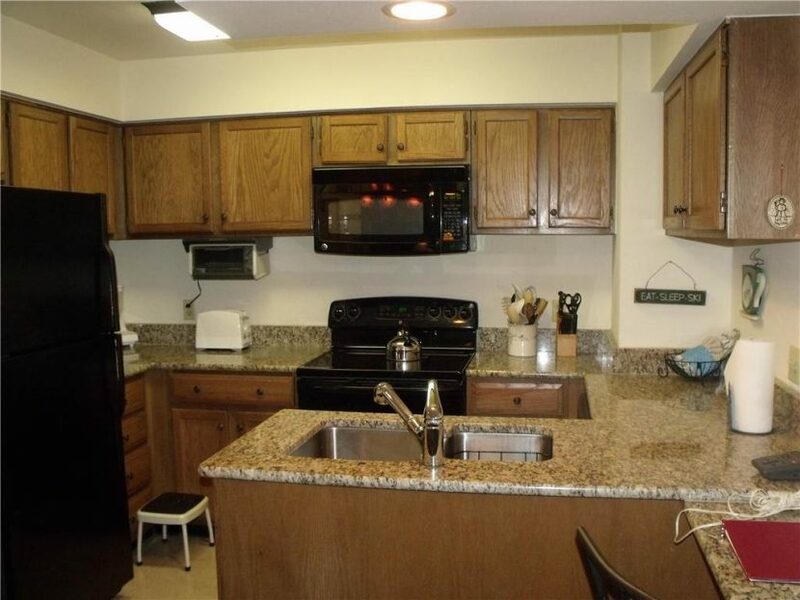 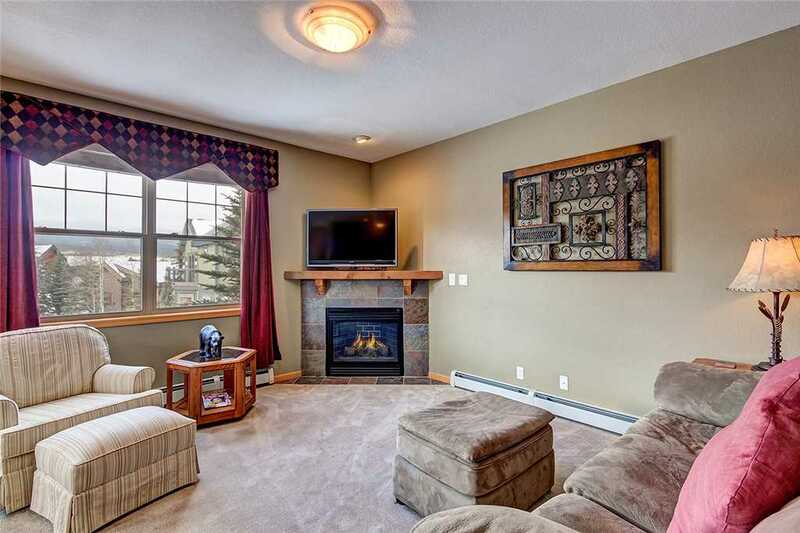 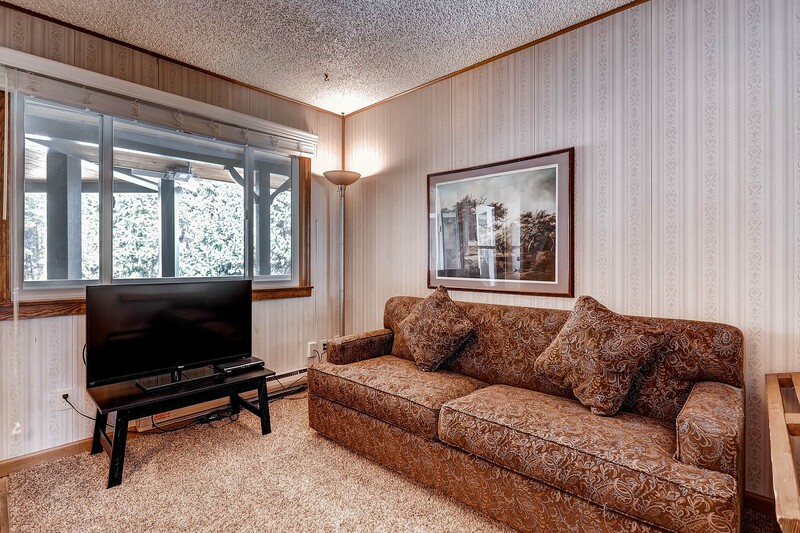 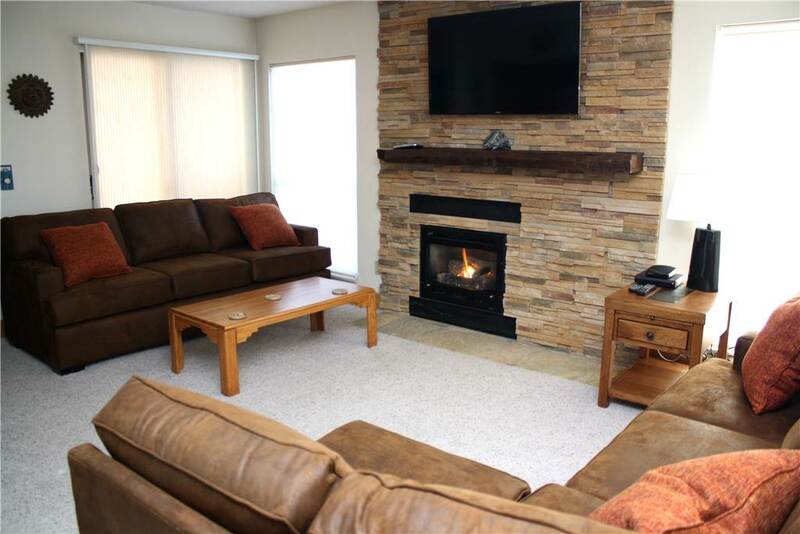 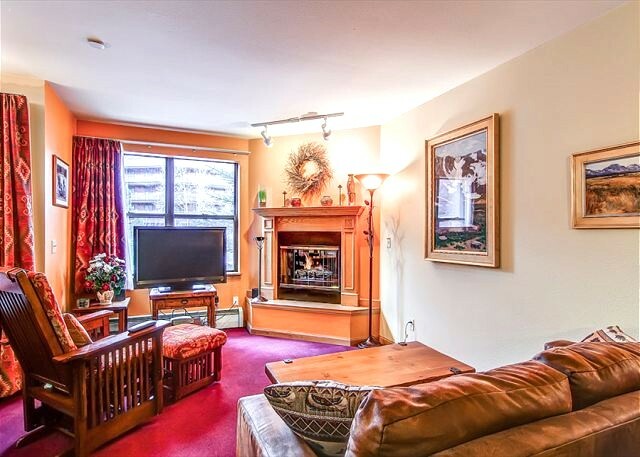 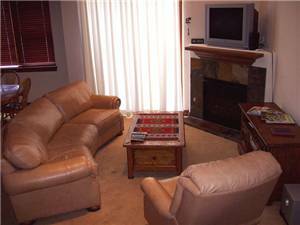 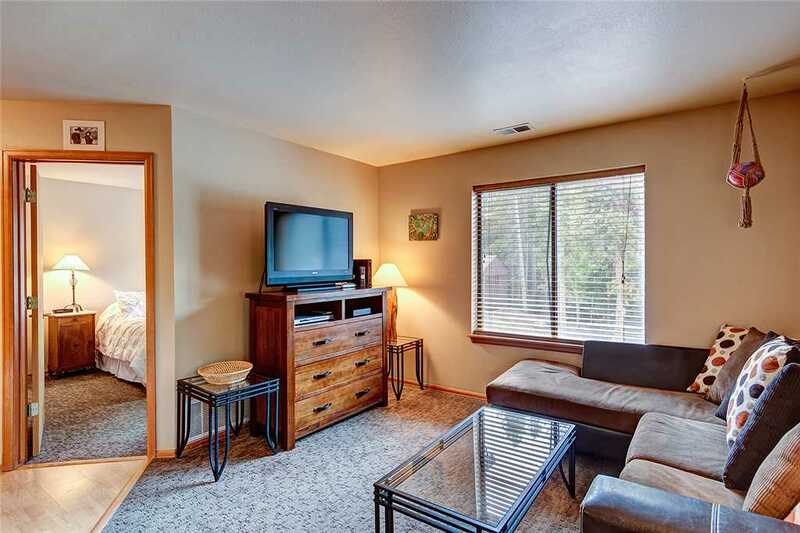 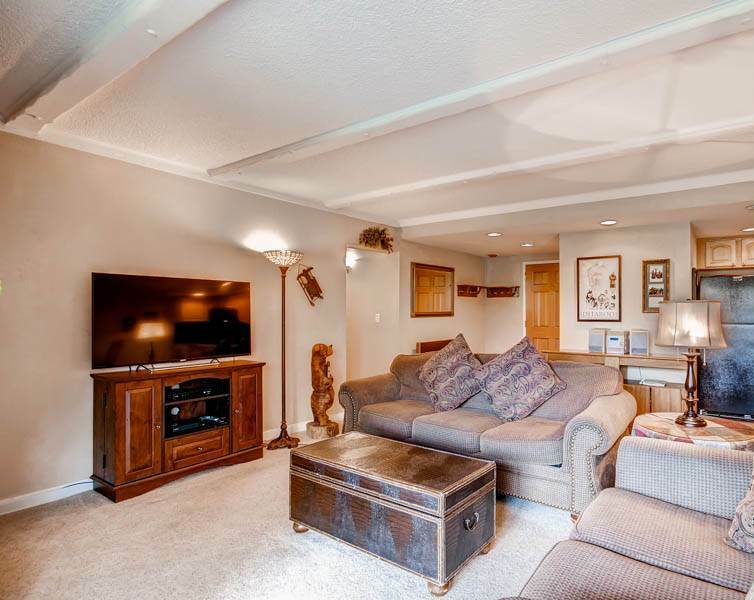 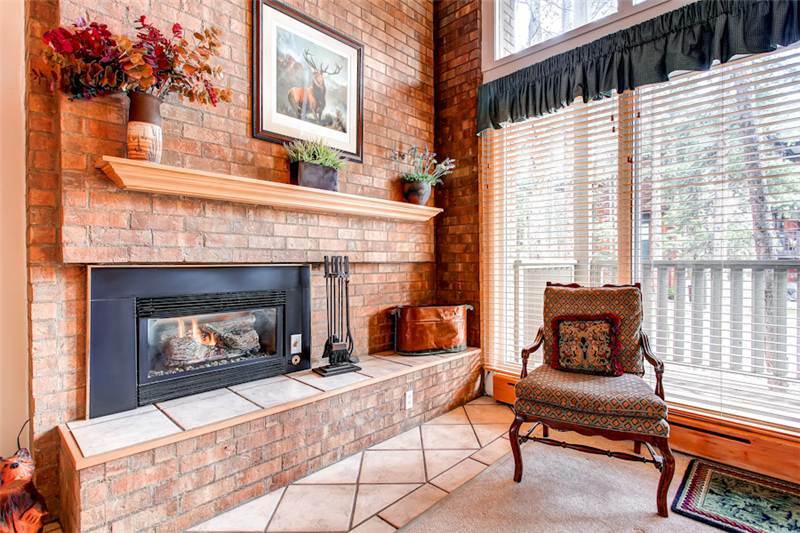 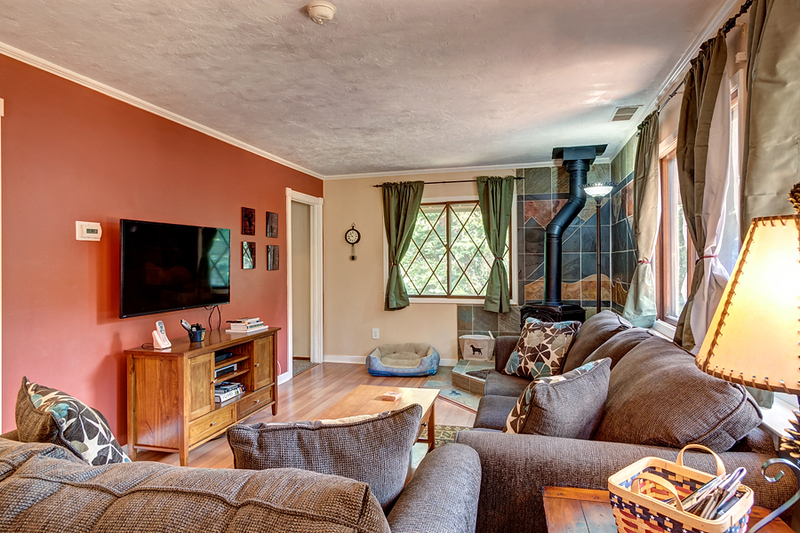 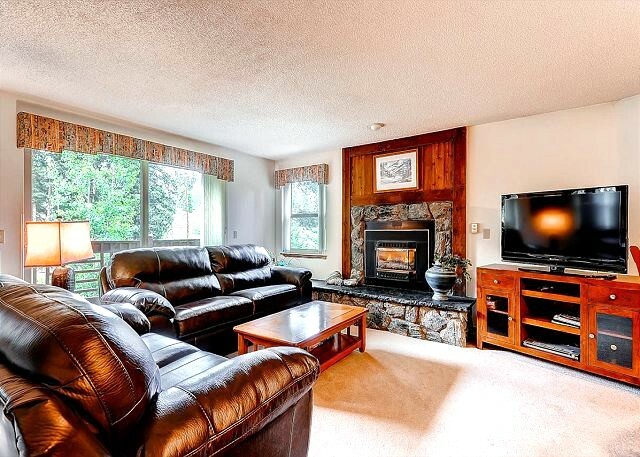 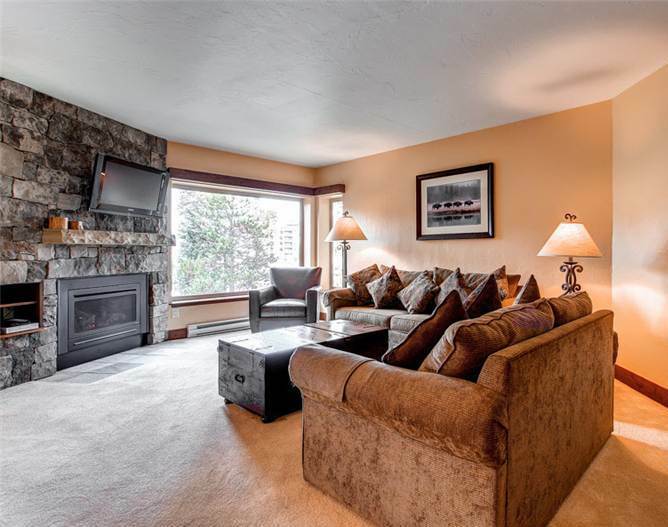 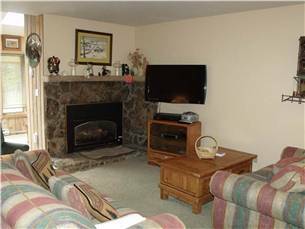 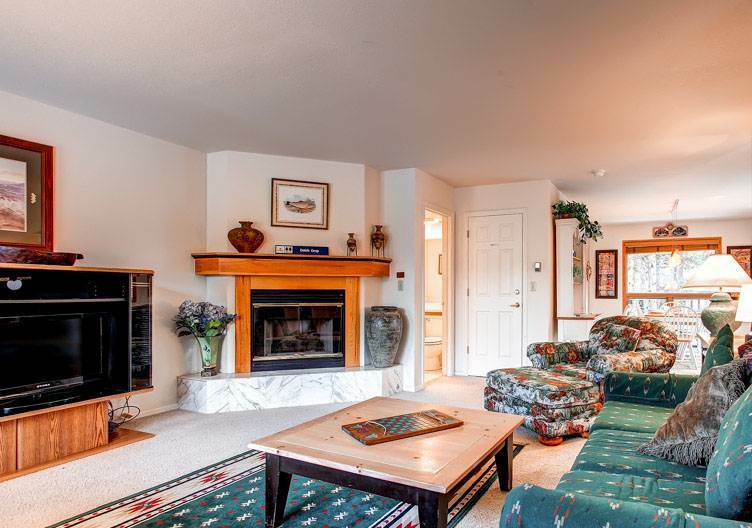 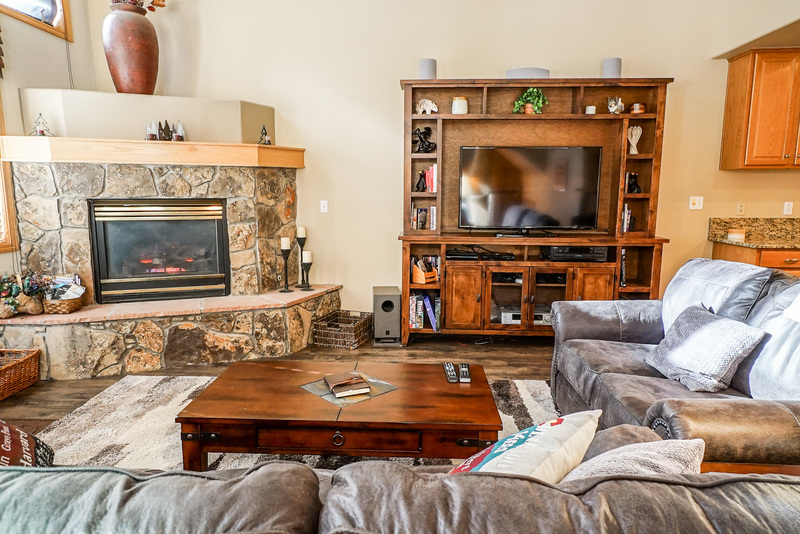 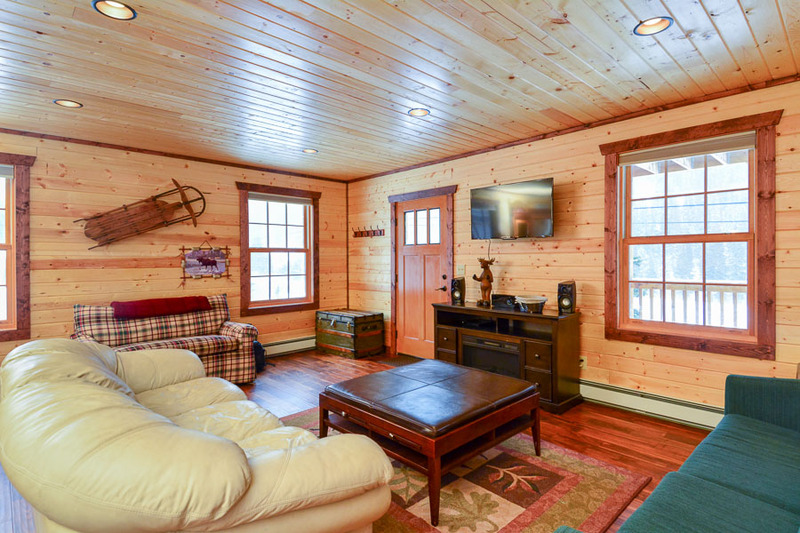 Newly remodeled and redecorated with all new appliances, furnishings, bedding, and carpeting, this condominium also features three TVs and a selection of books, magazines, games, and puzzles to pass the time, and a gas fireplace at the center of the living room. 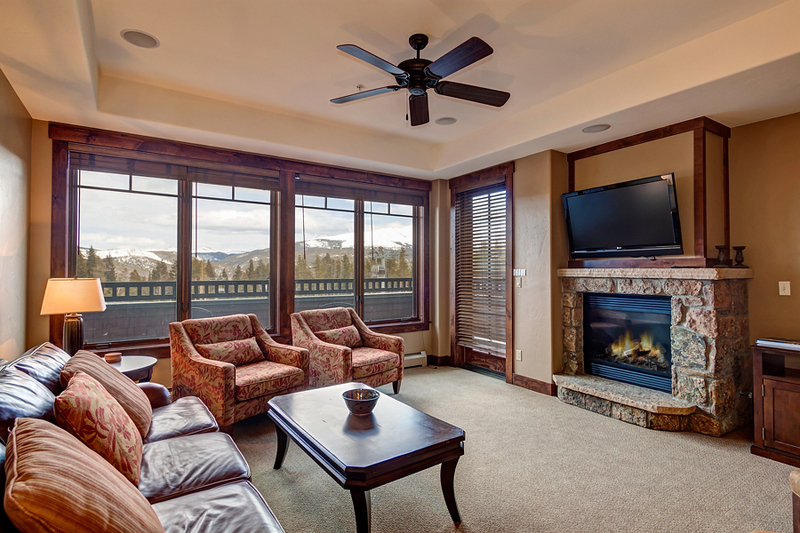 A fan and humidifier are provided for year-round comfort. 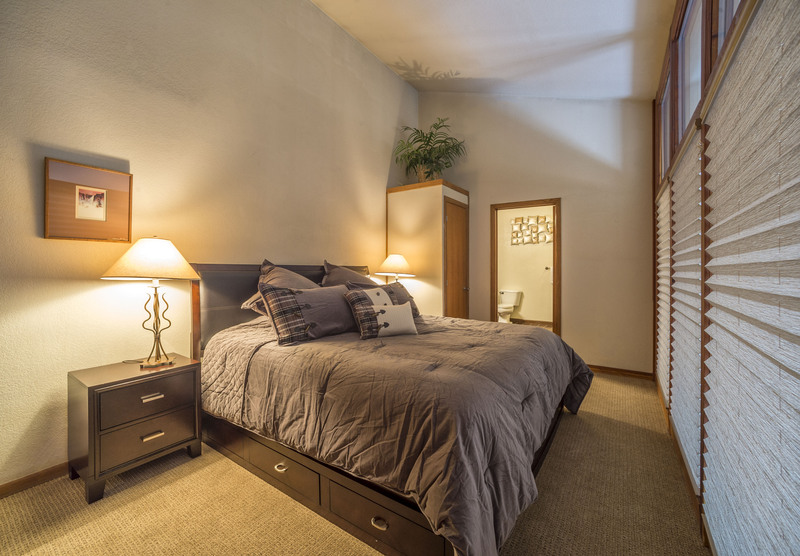 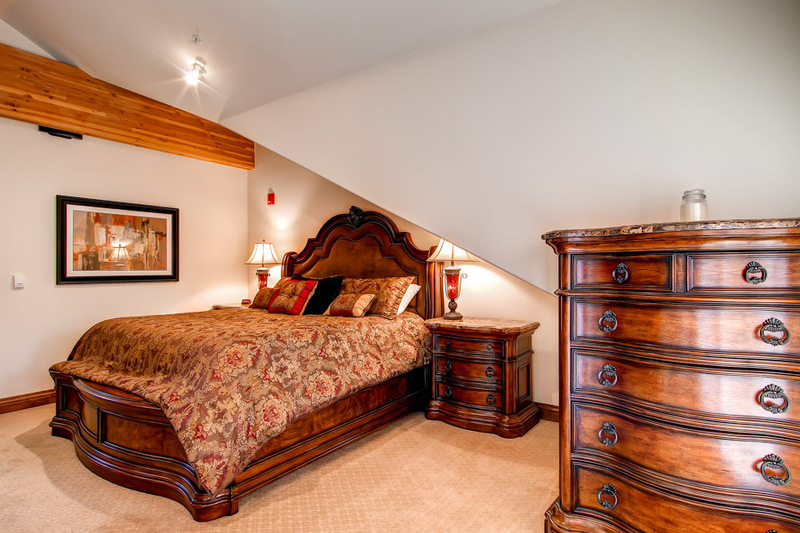 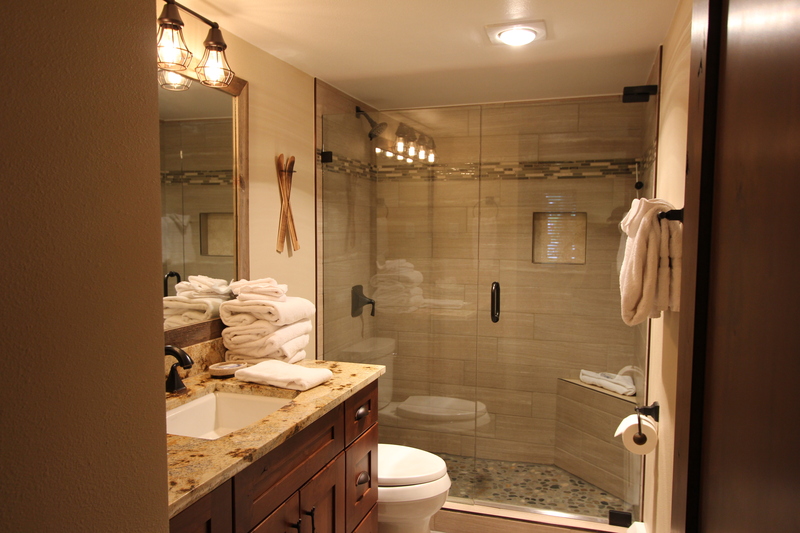 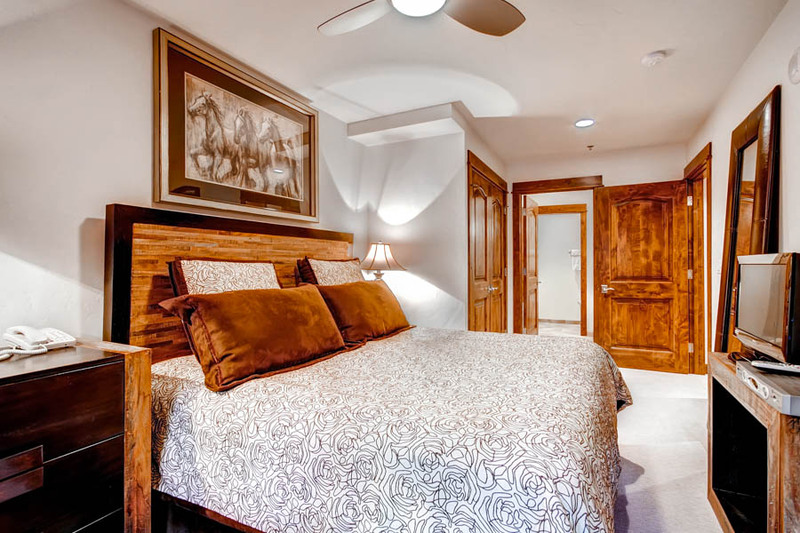 The master suite features a private safe for valuables. 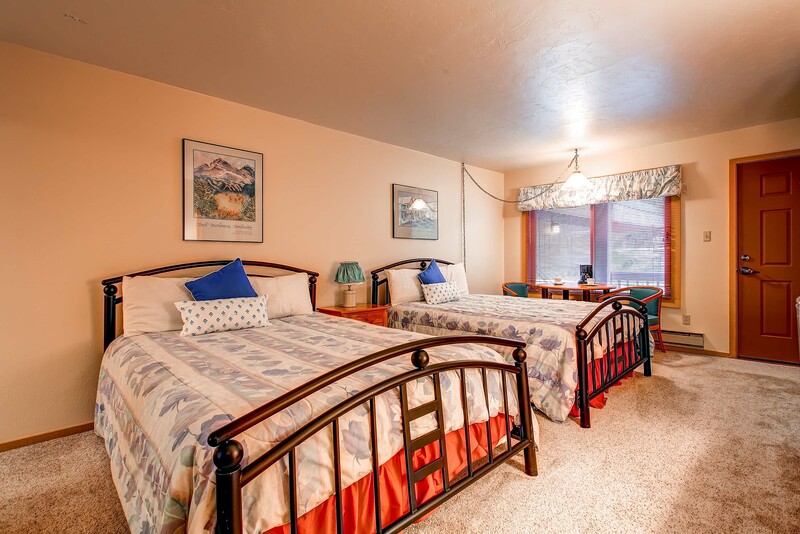 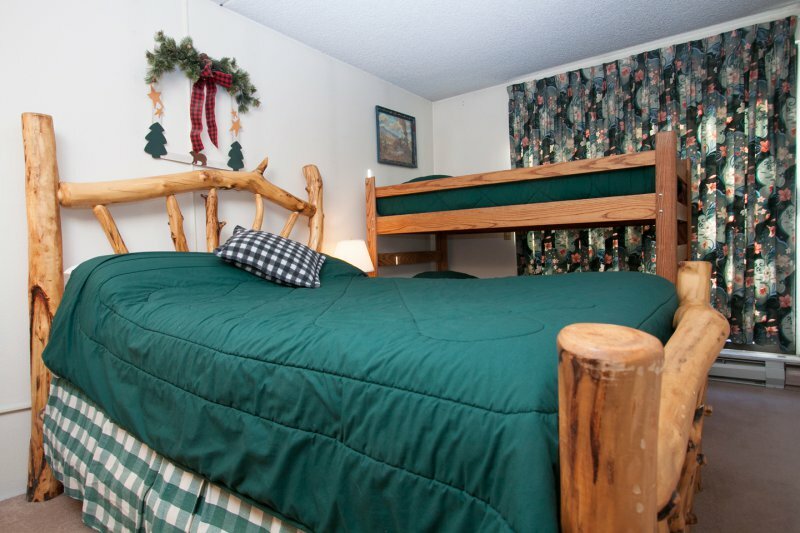 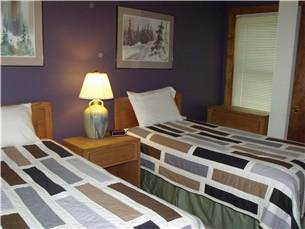 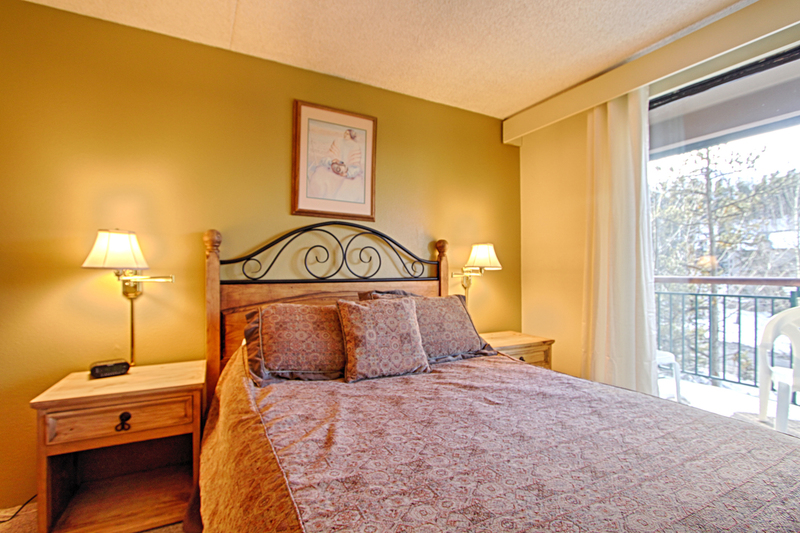 With 7 beds sleeping up to 10 people, 9E is the choice for groups of singles or large families. 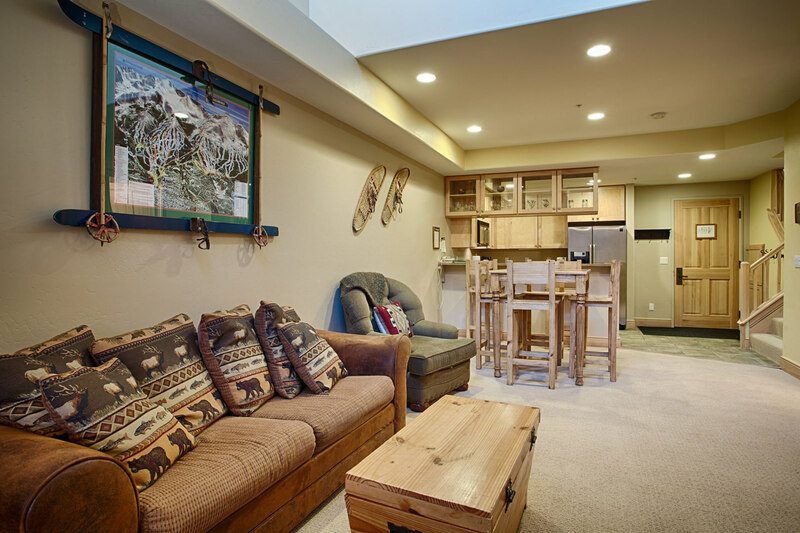 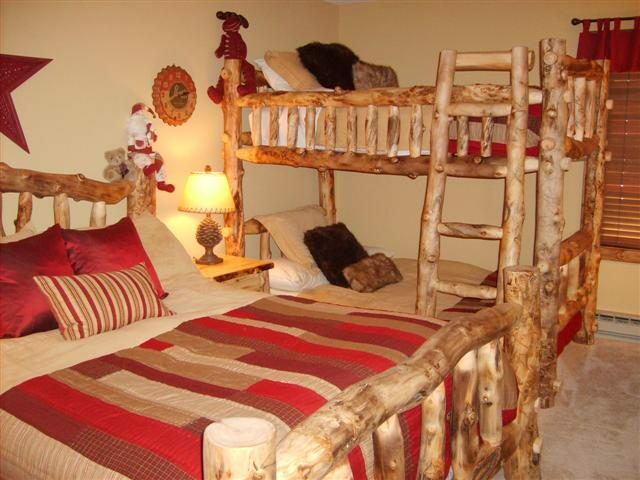 Trundle beds allow for a spacious living area in the loft.